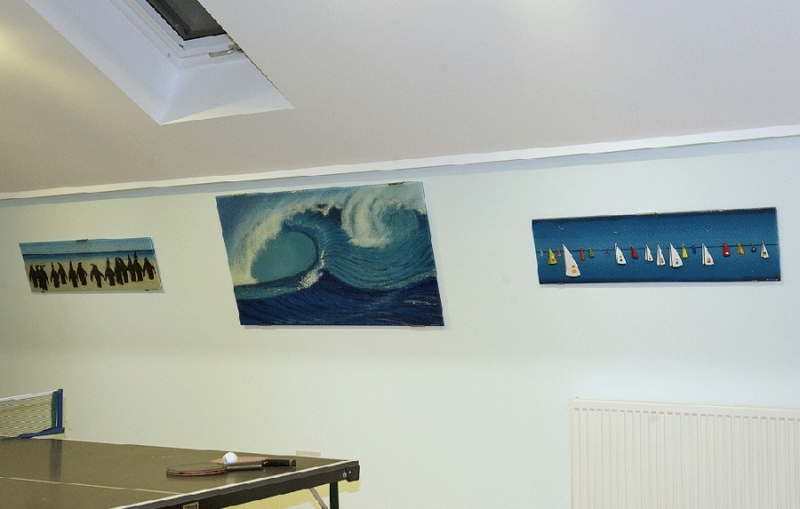 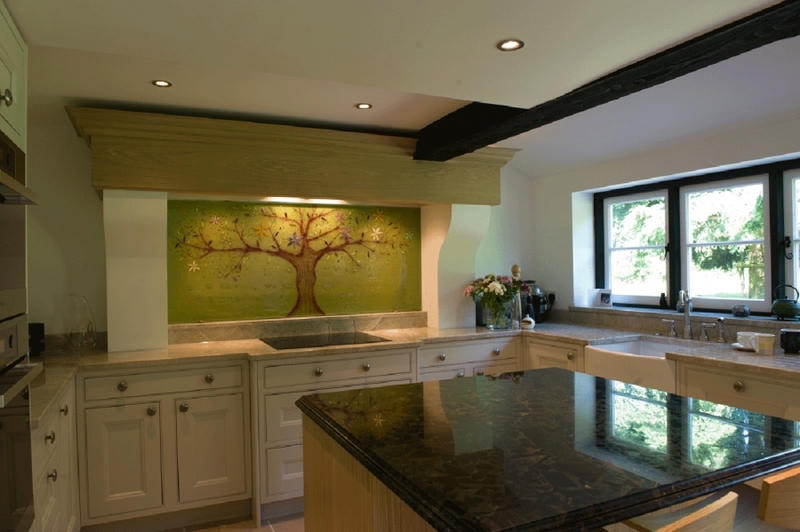 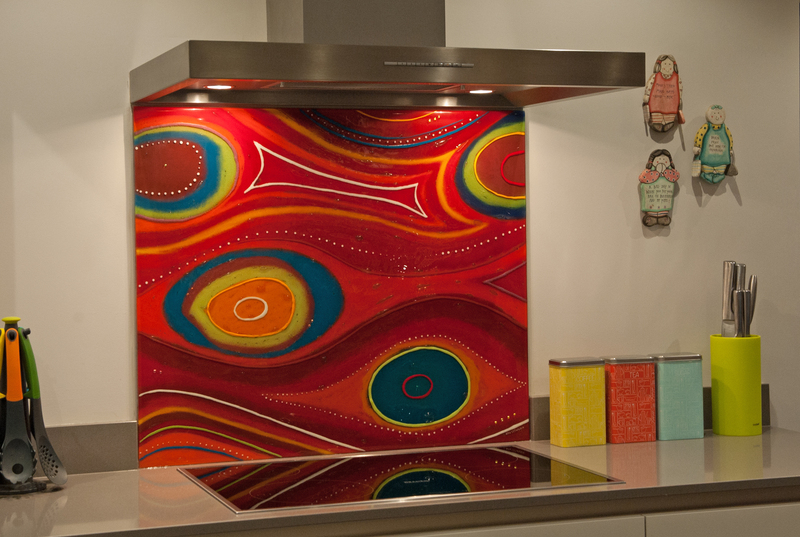 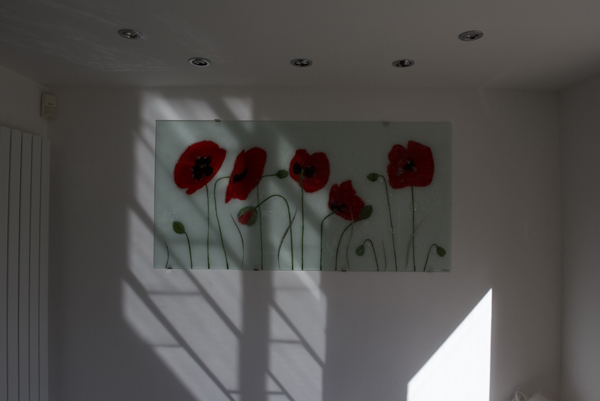 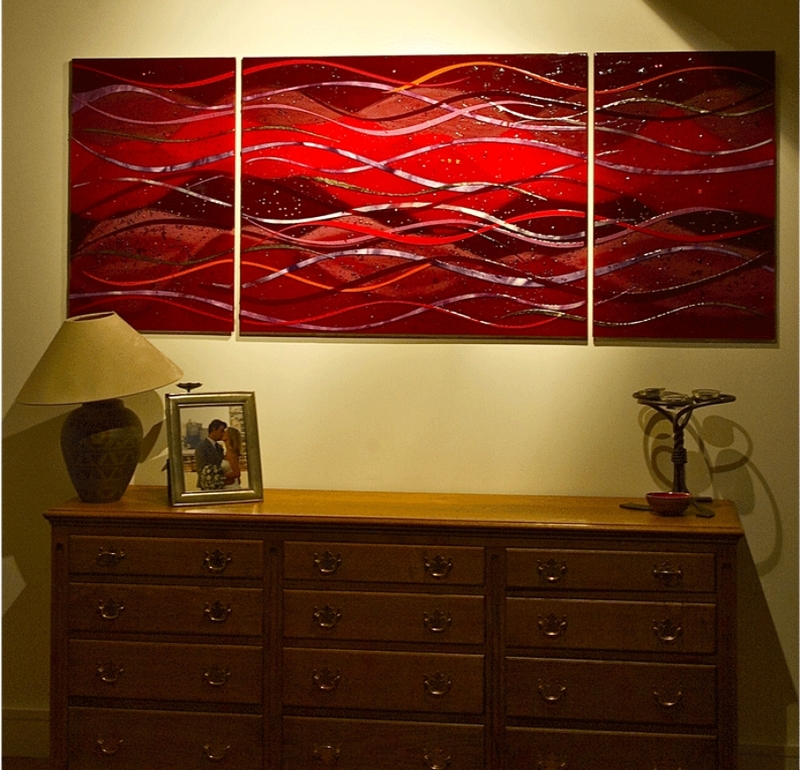 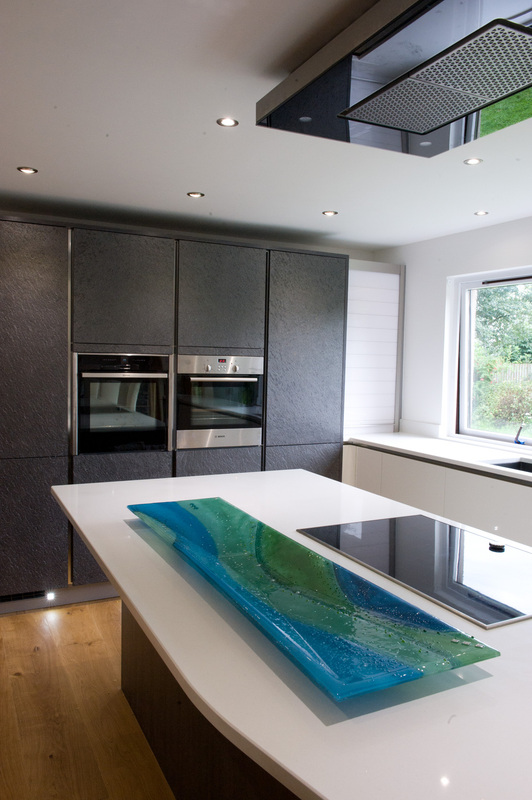 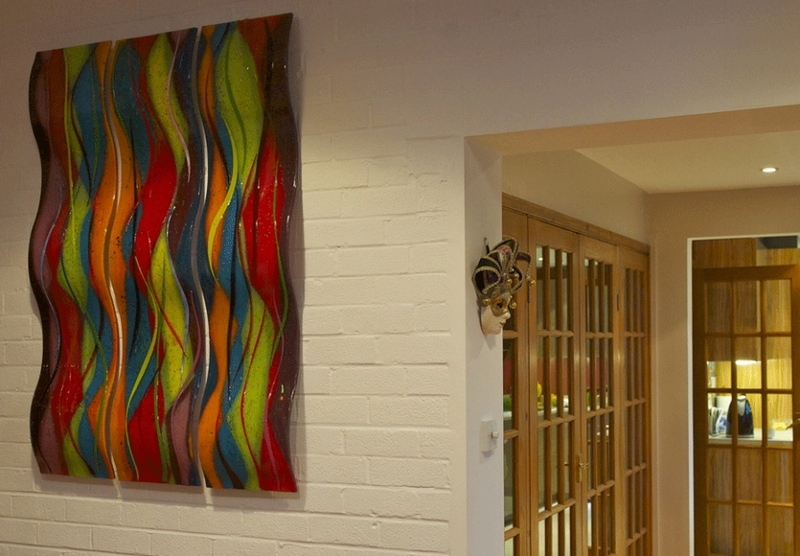 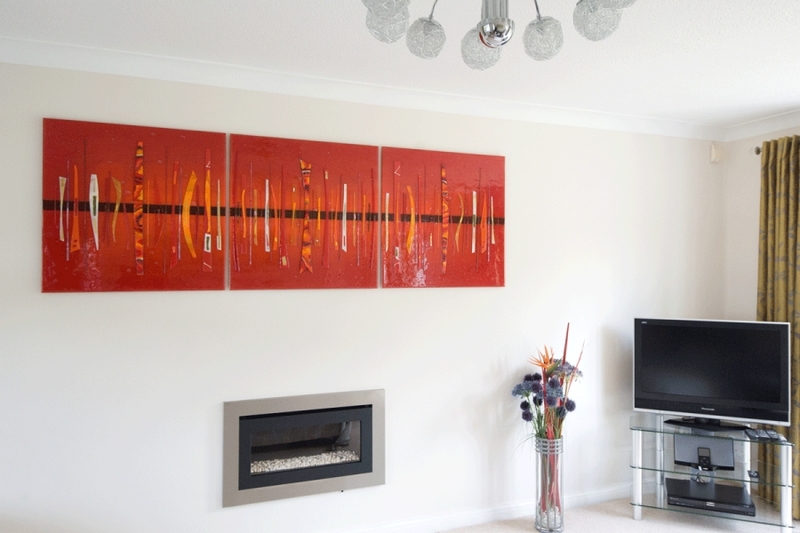 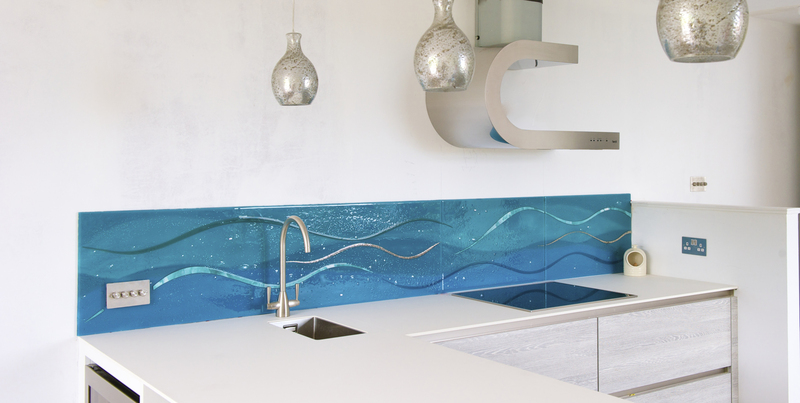 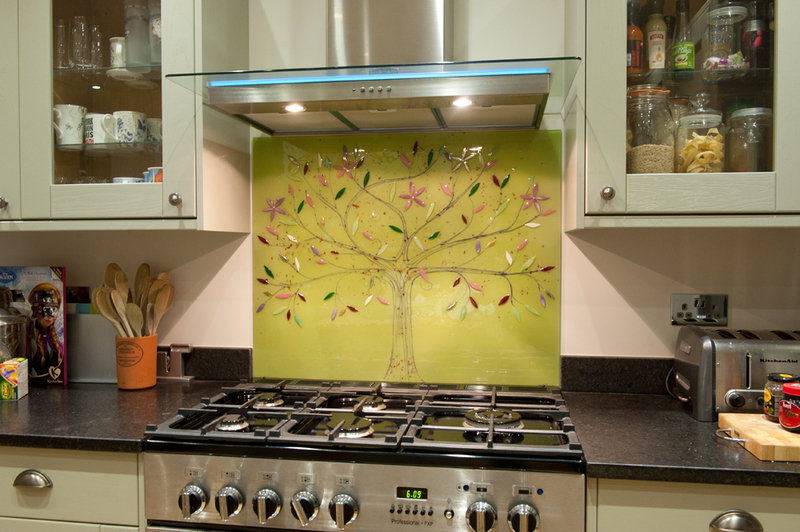 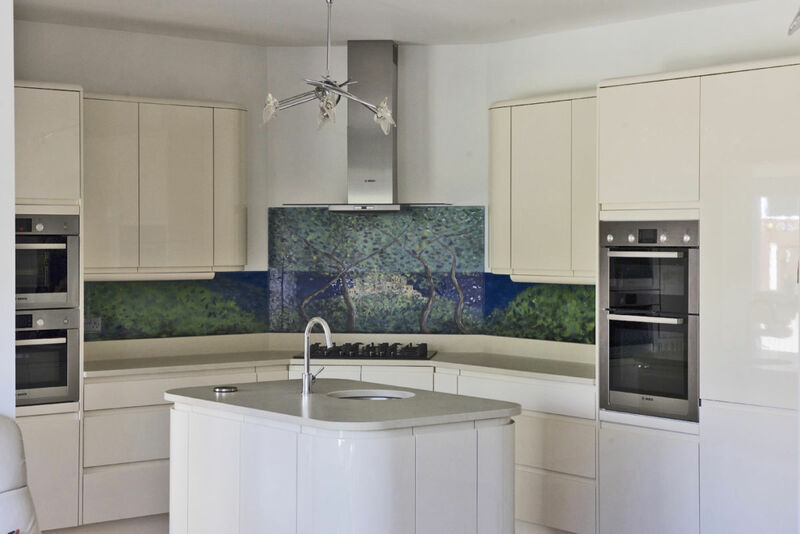 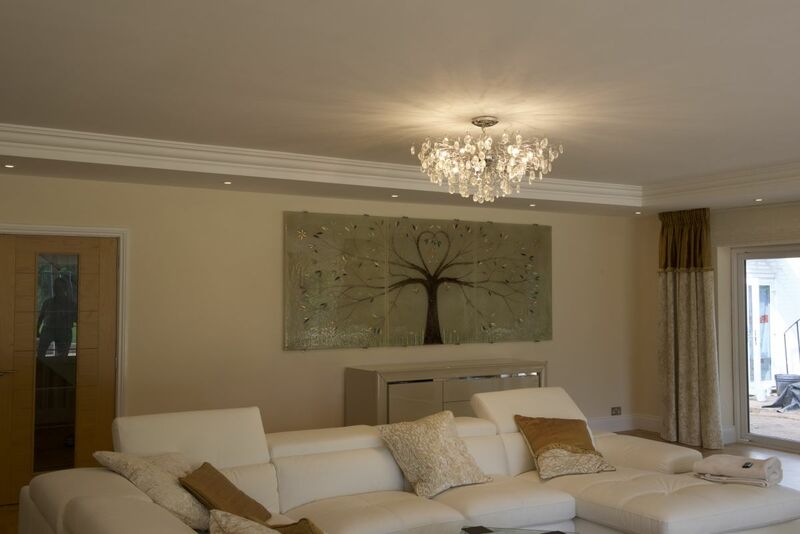 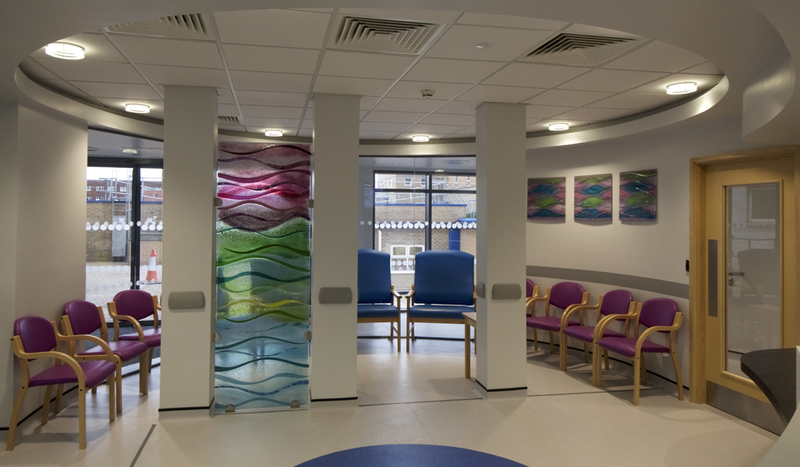 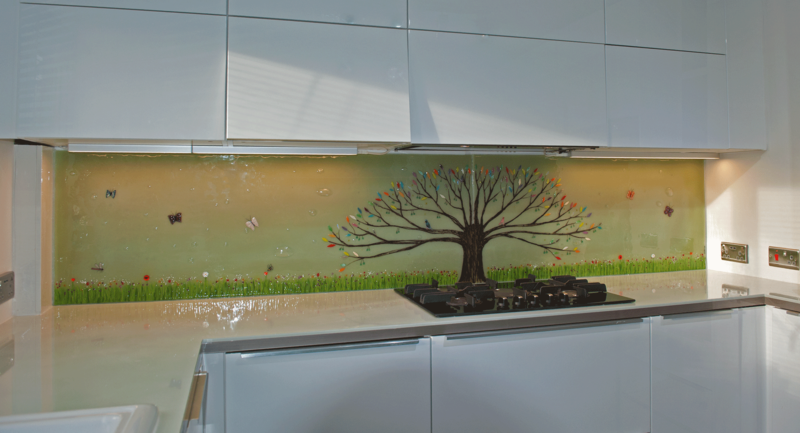 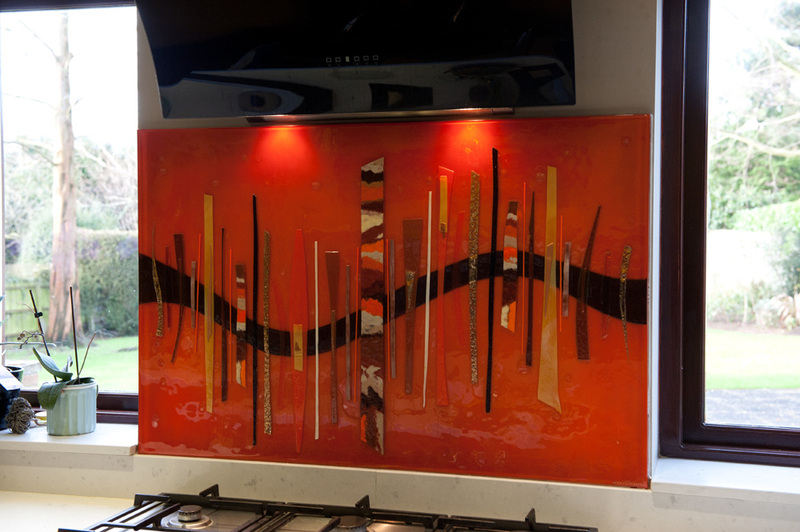 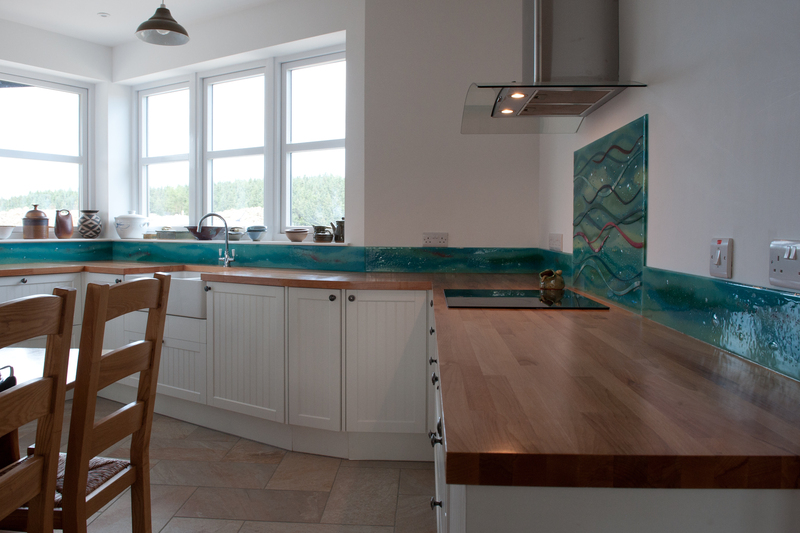 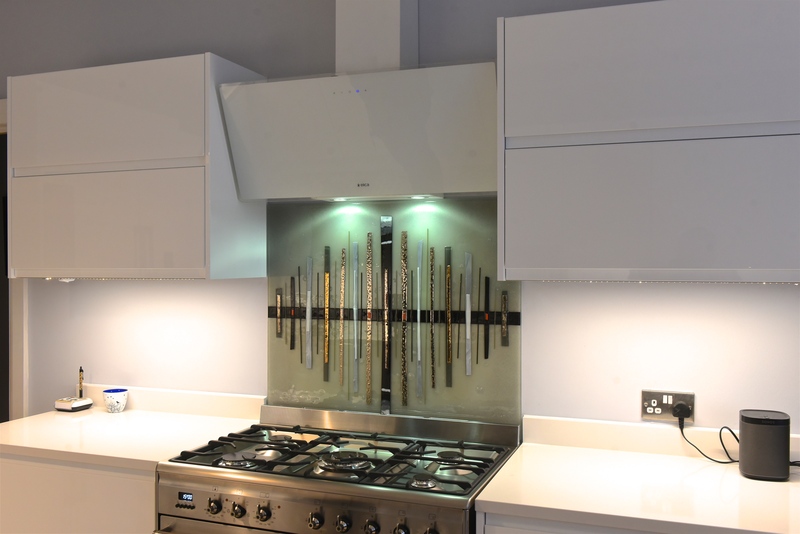 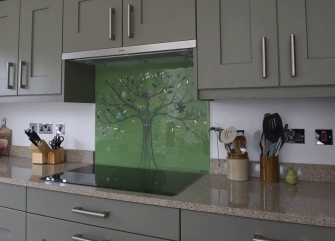 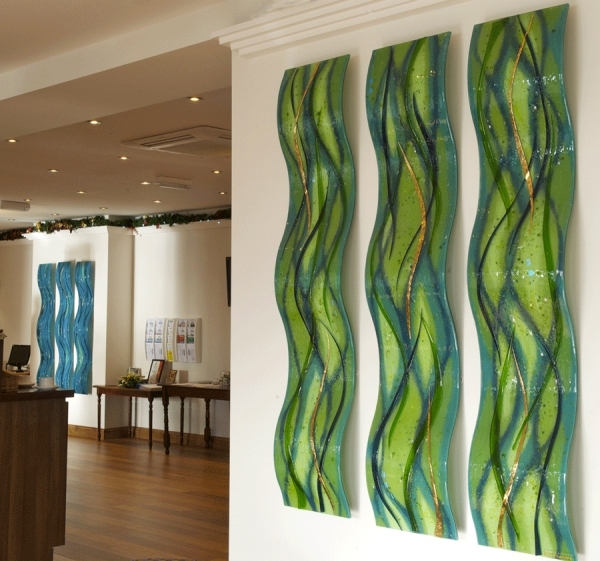 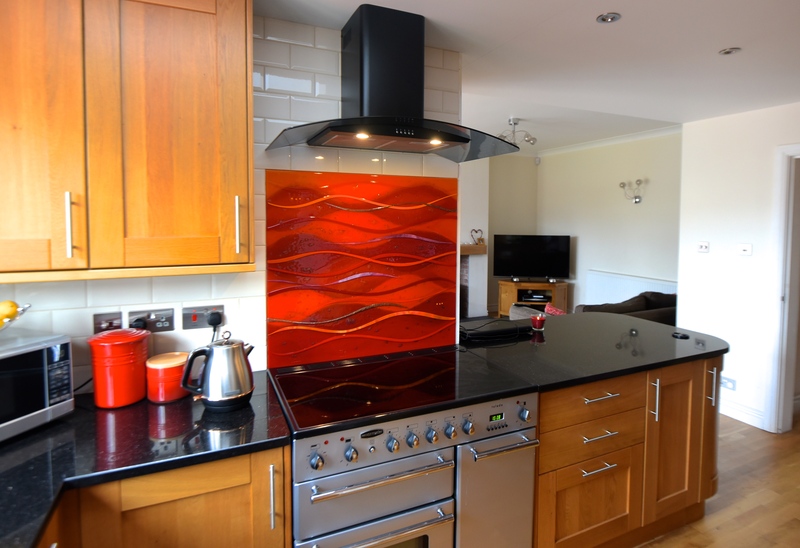 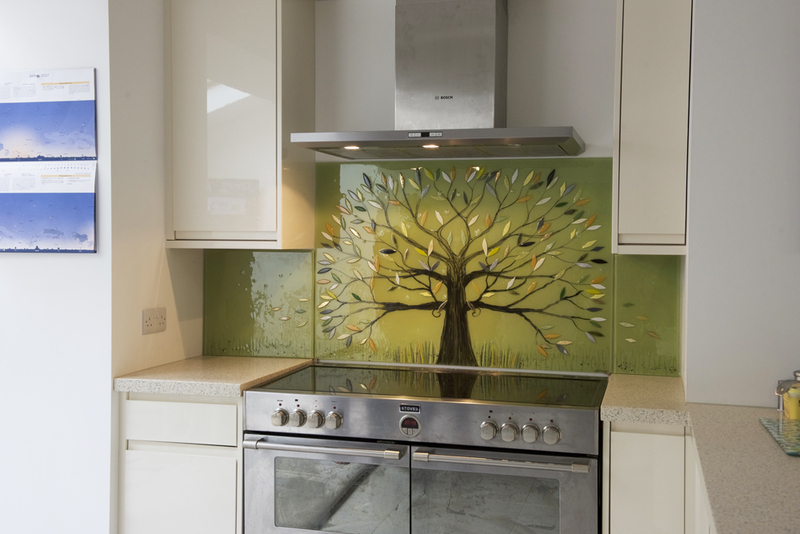 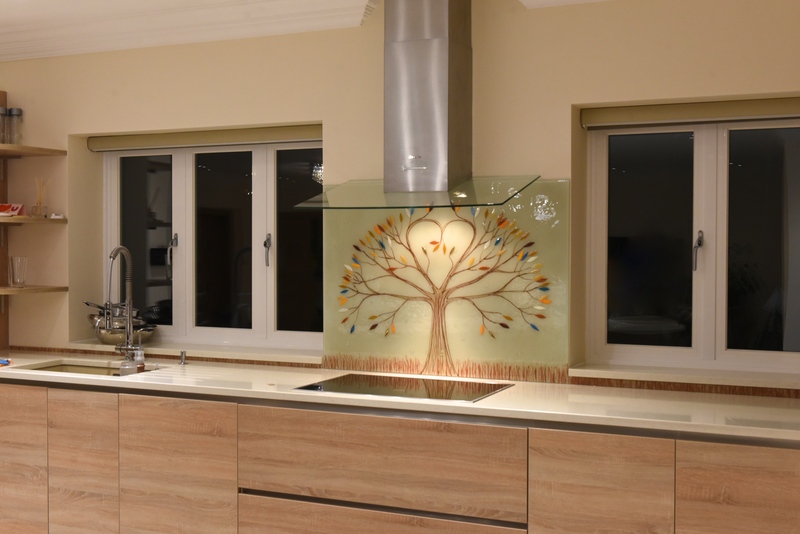 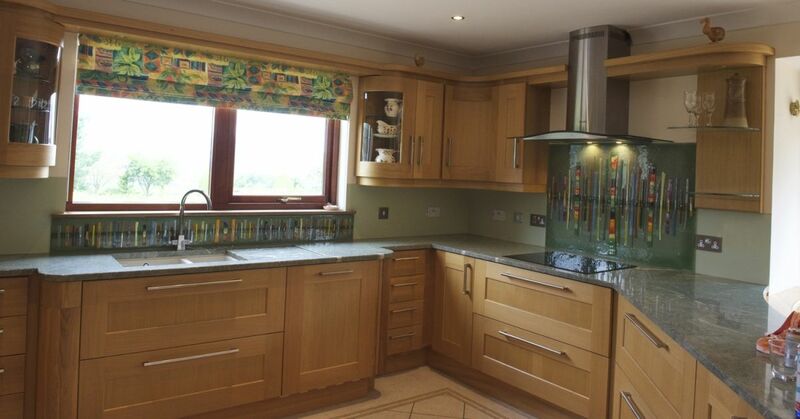 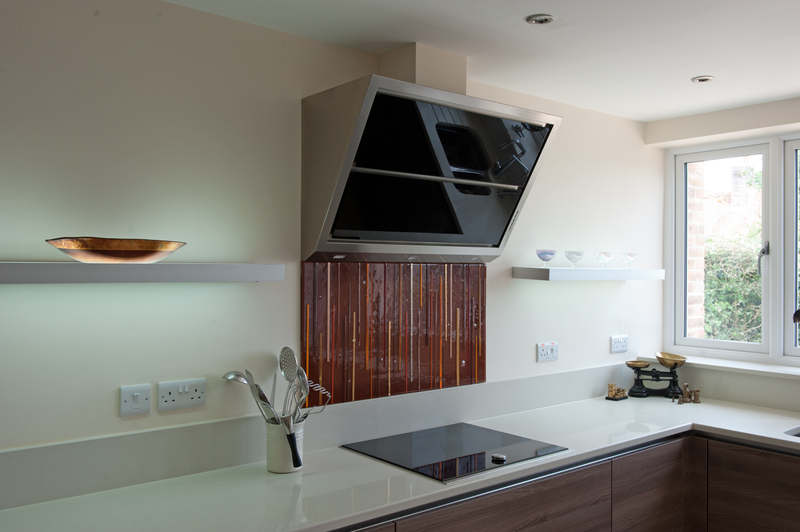 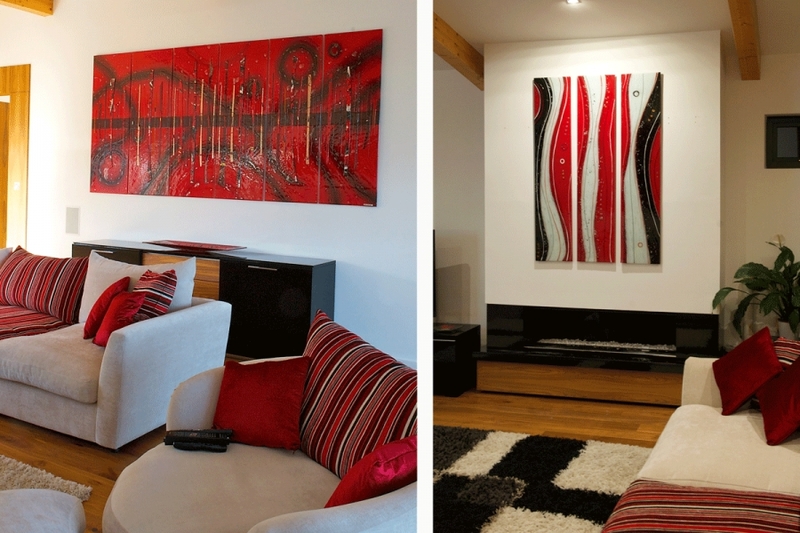 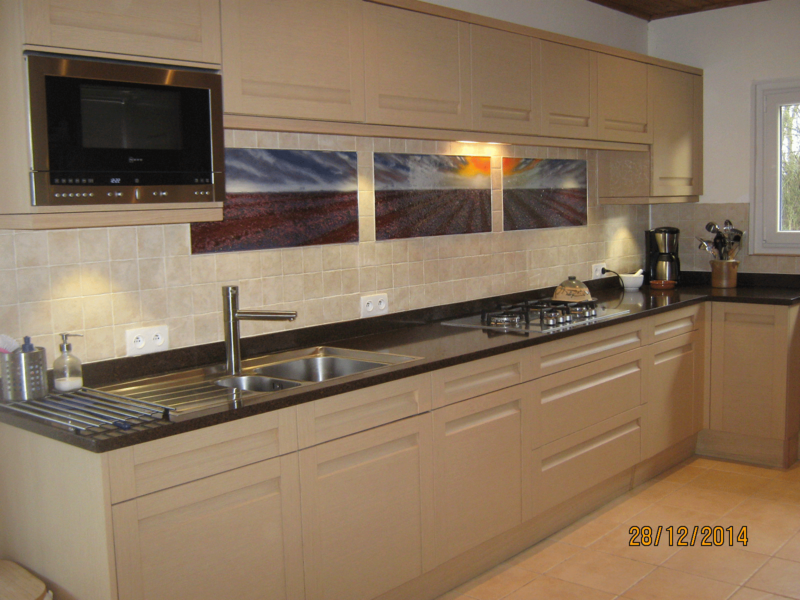 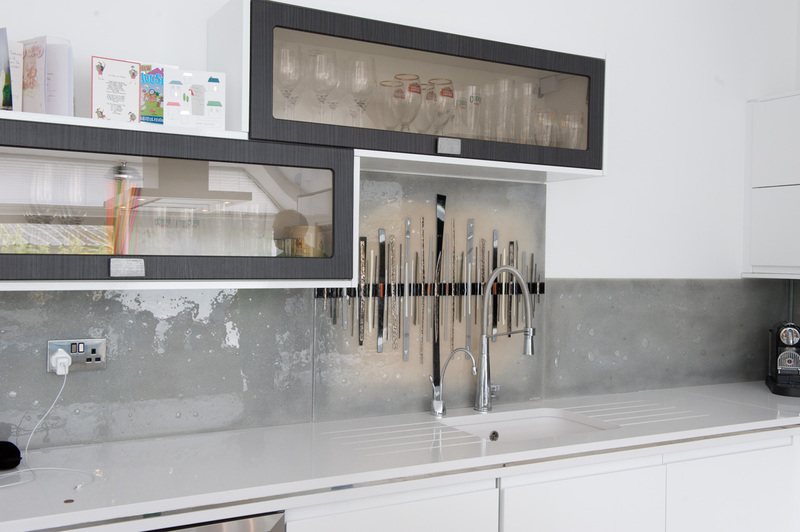 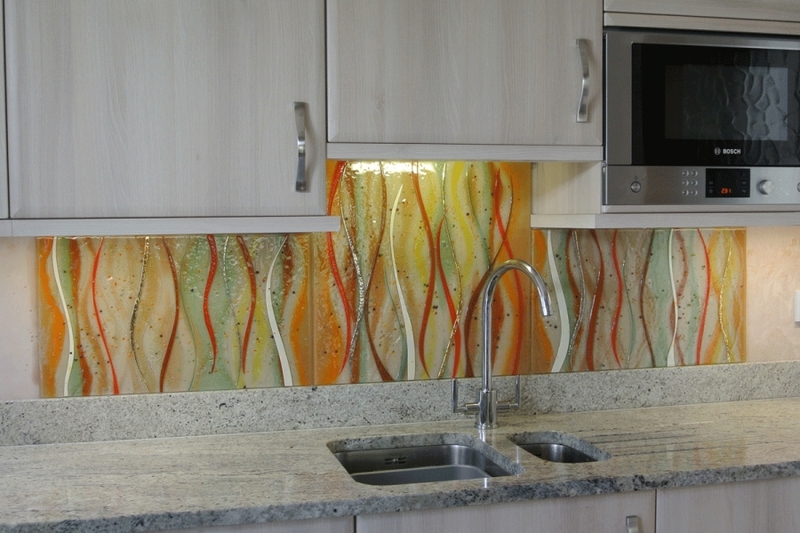 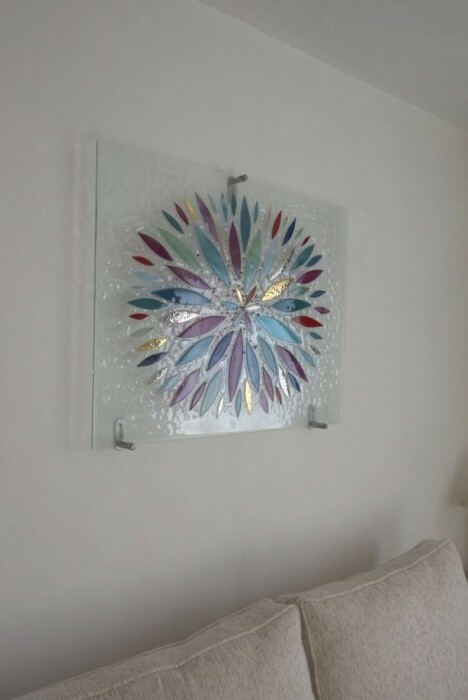 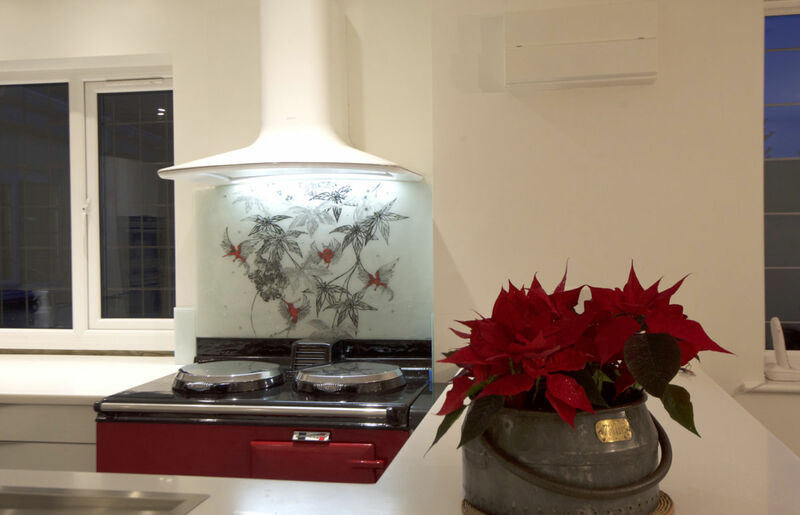 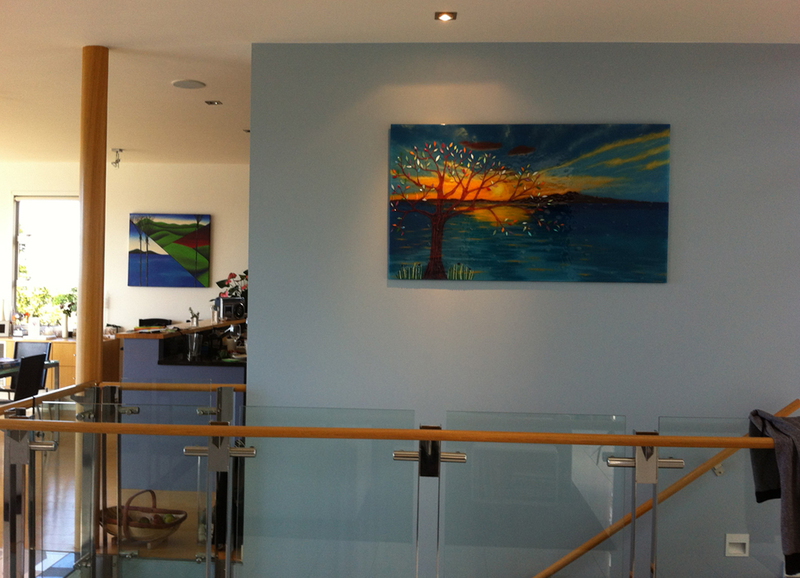 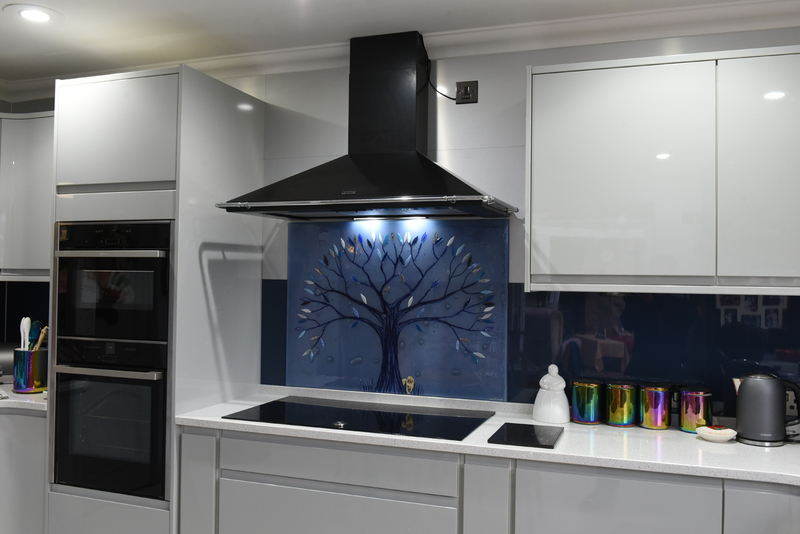 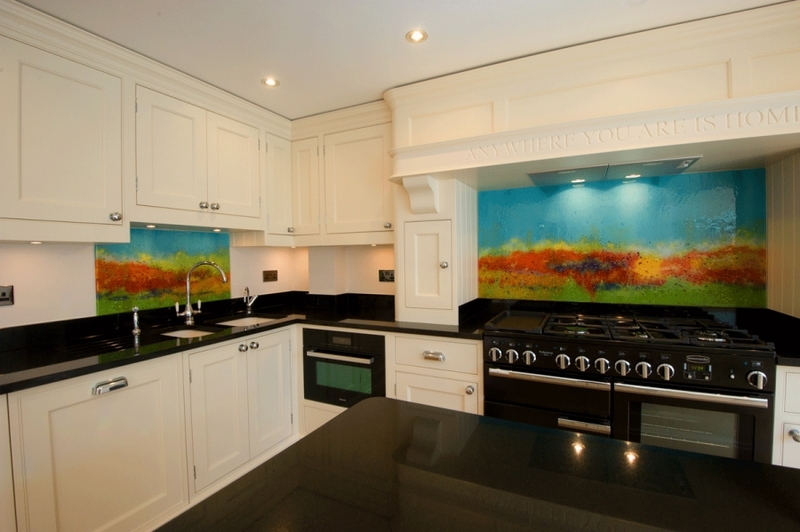 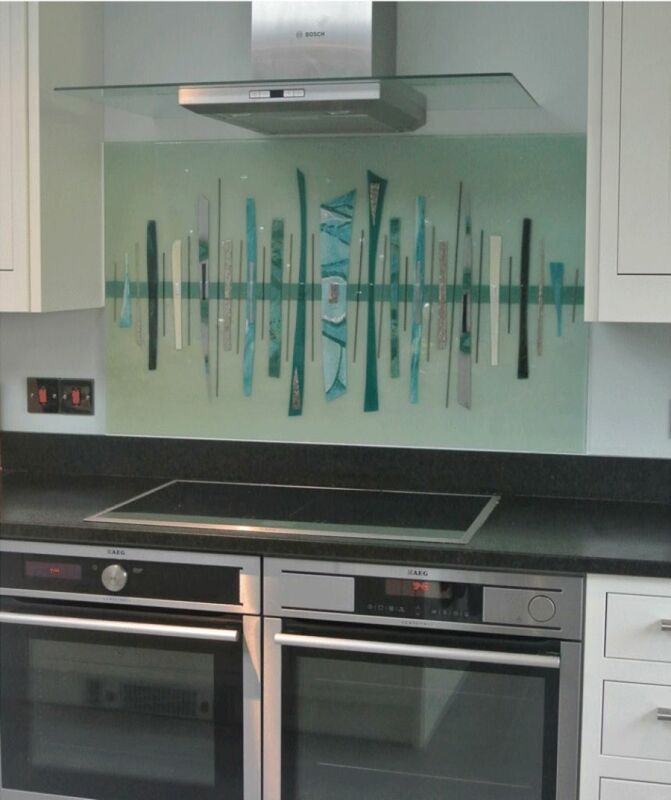 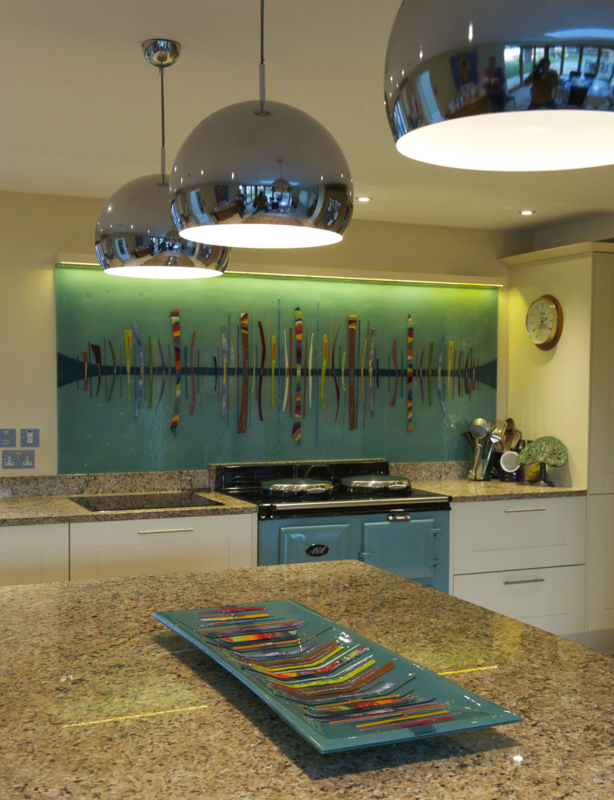 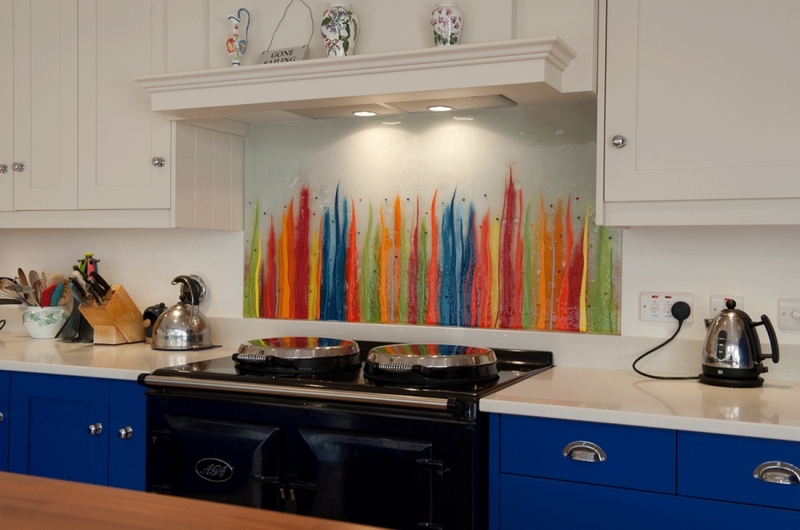 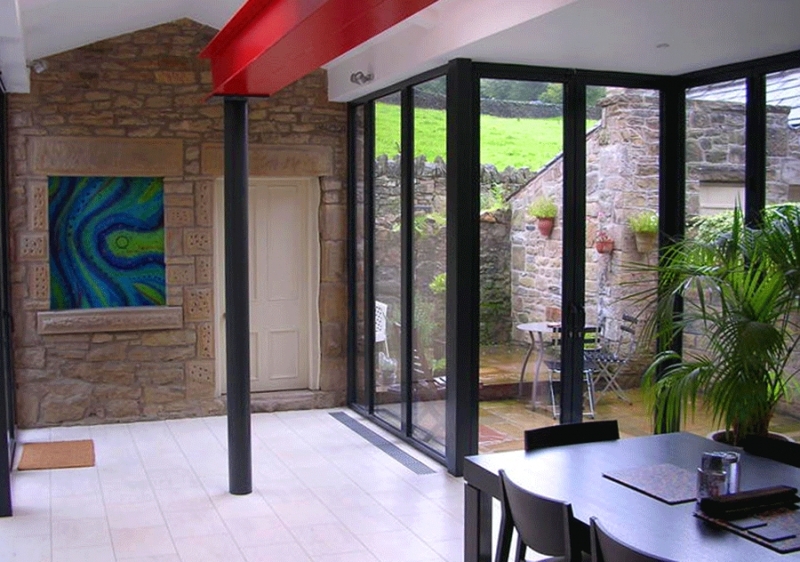 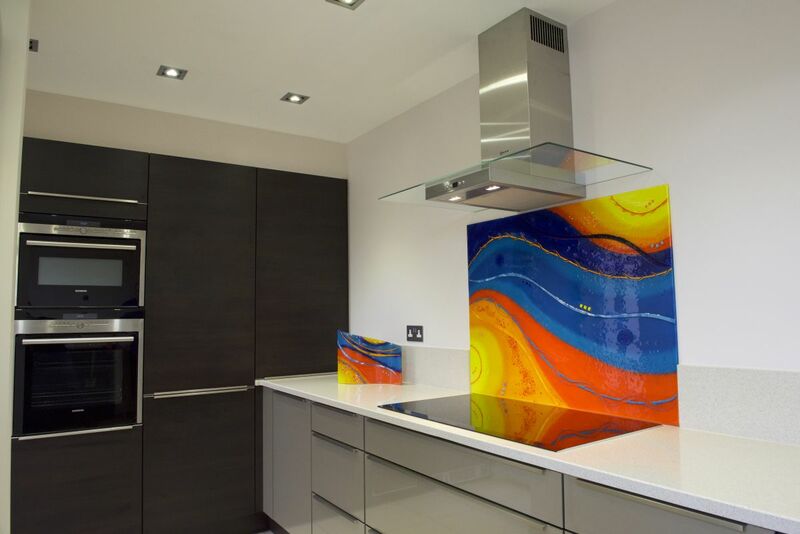 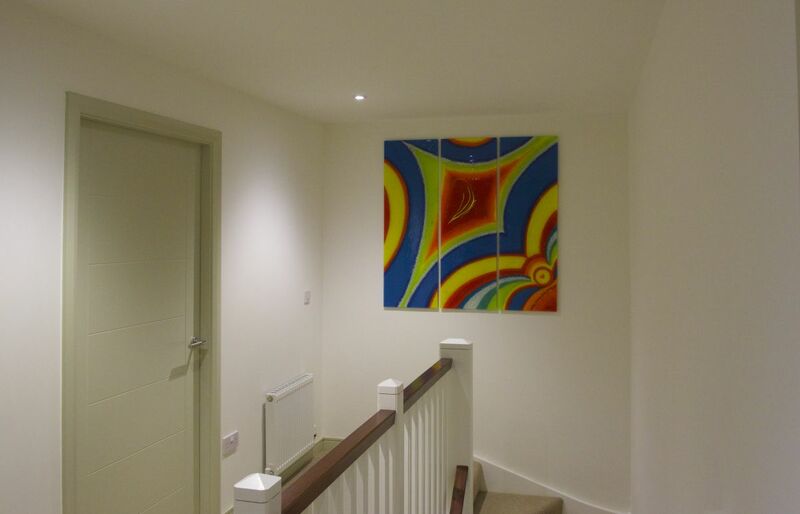 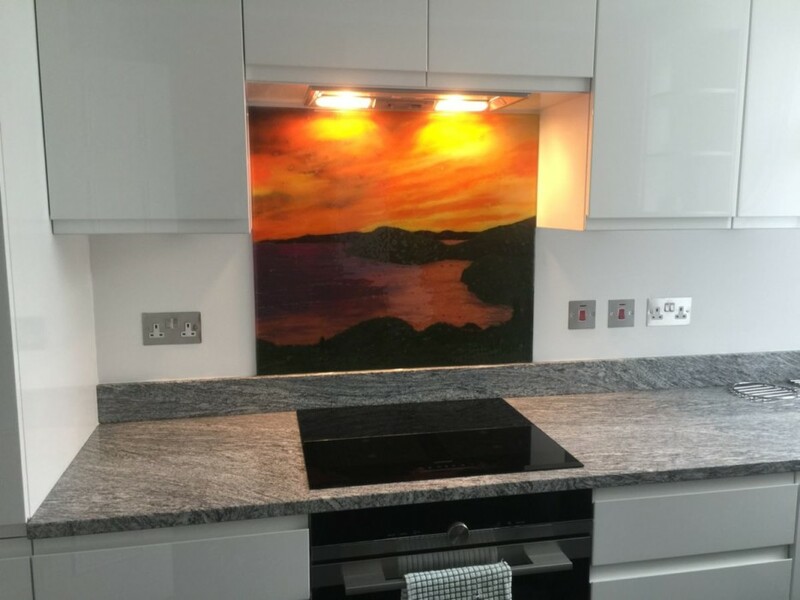 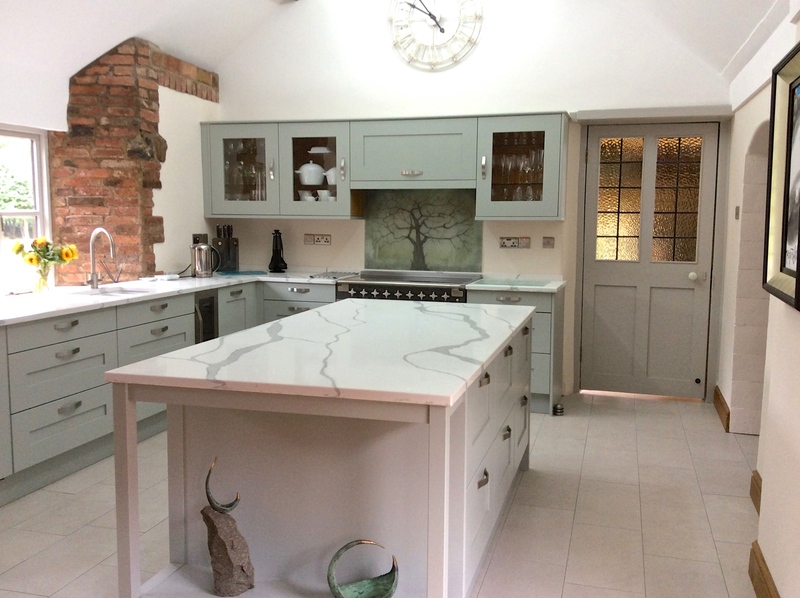 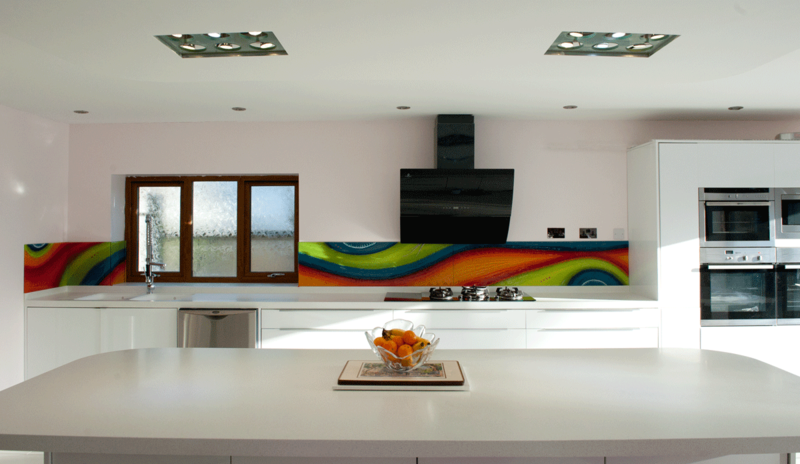 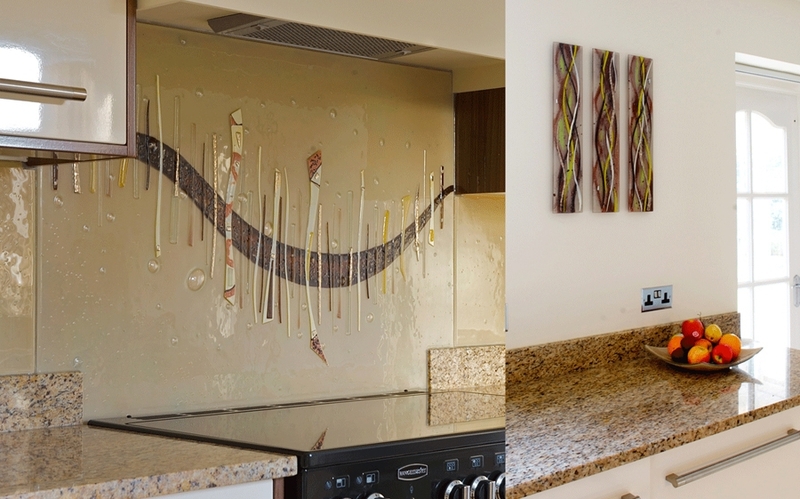 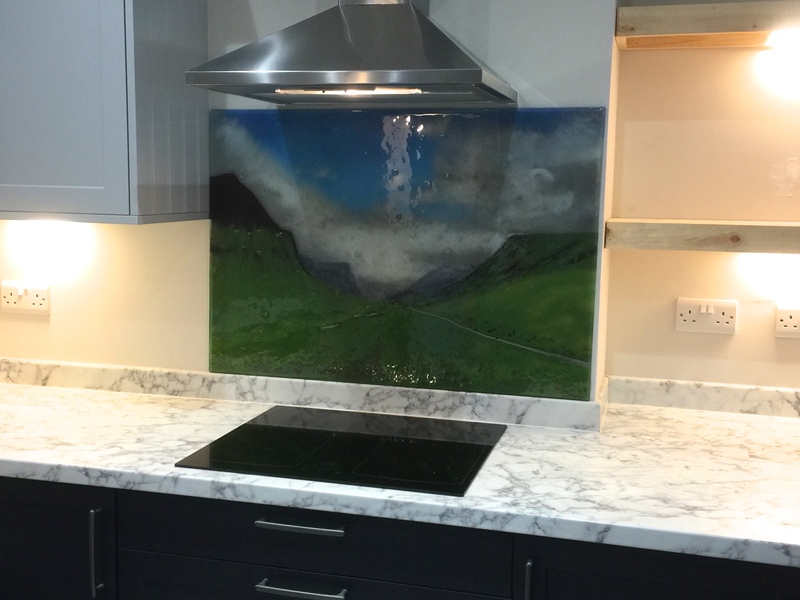 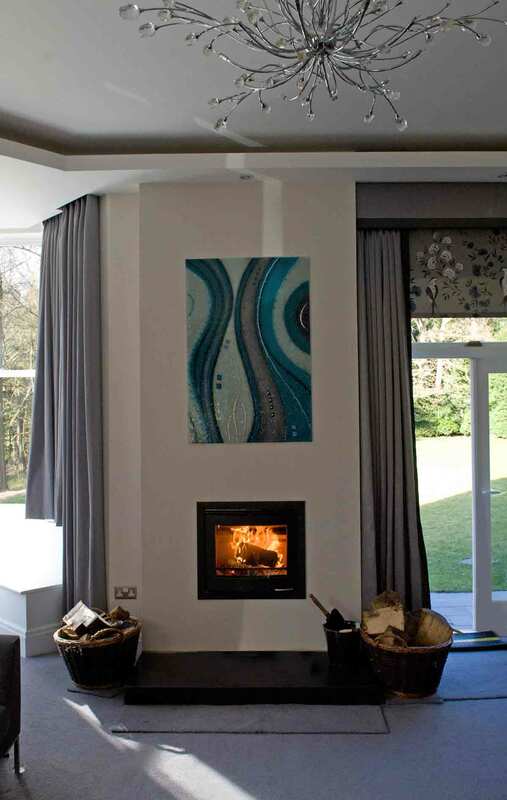 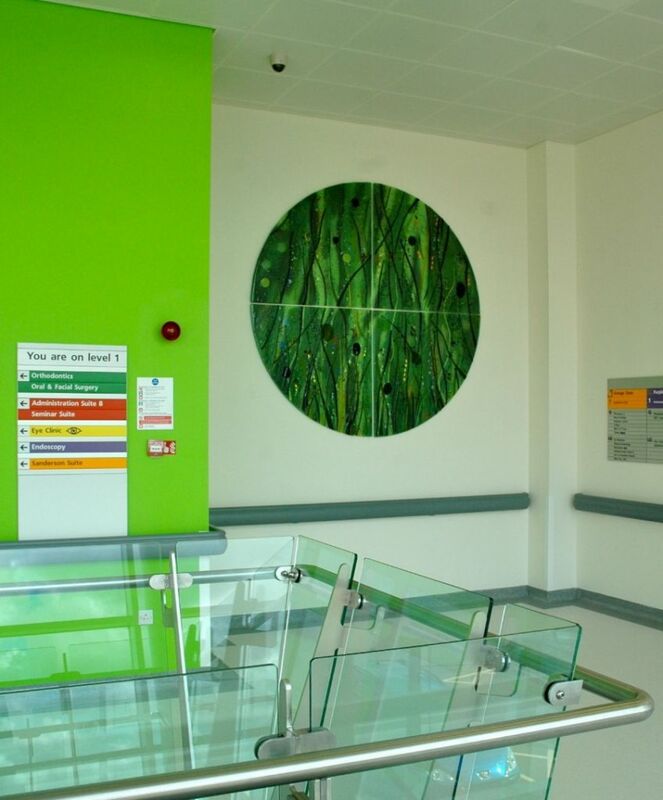 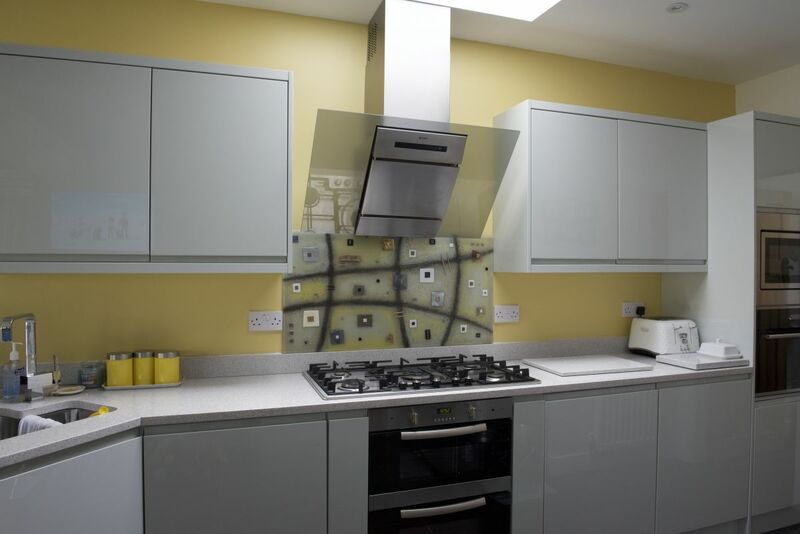 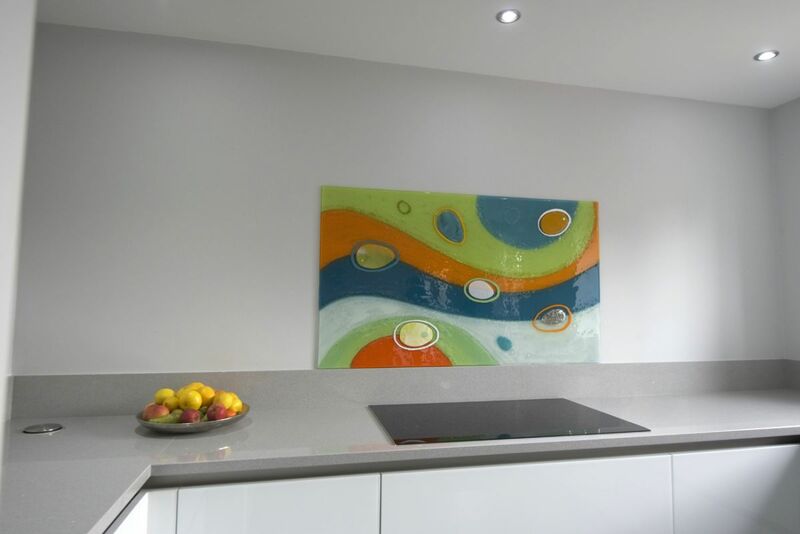 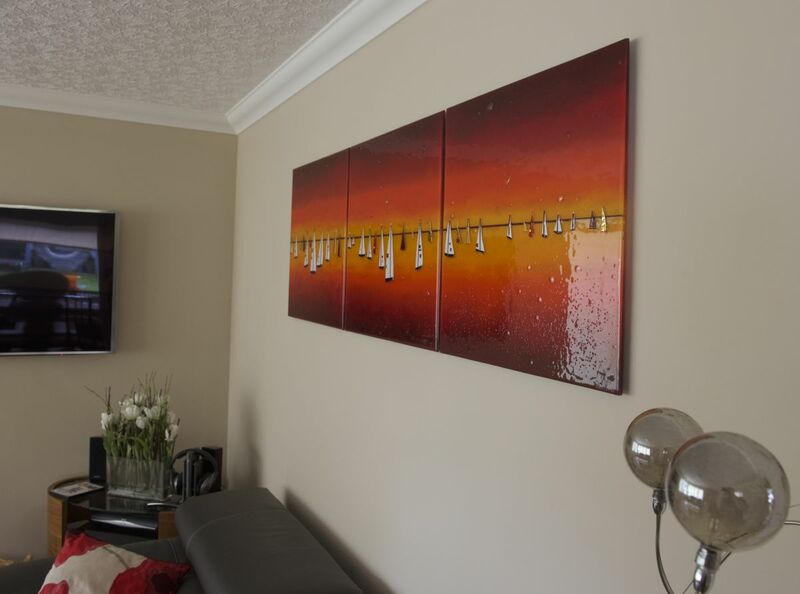 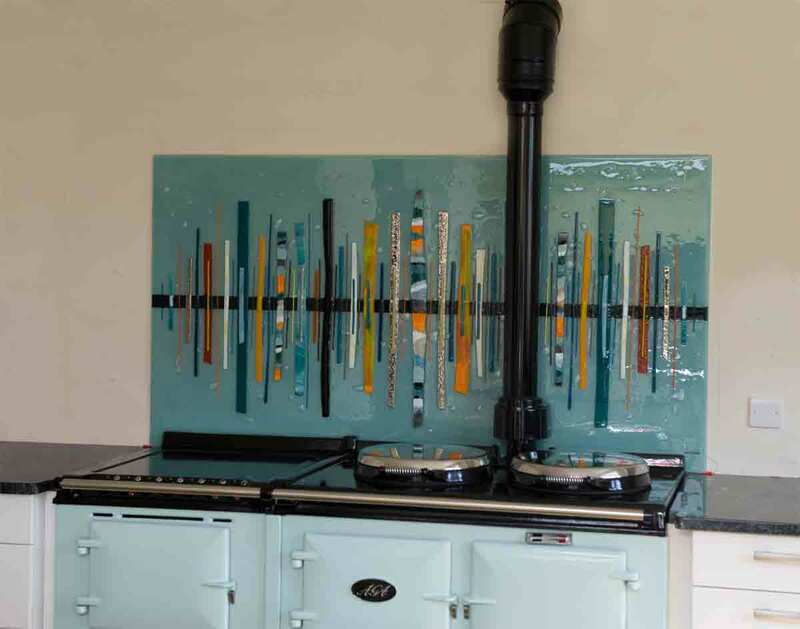 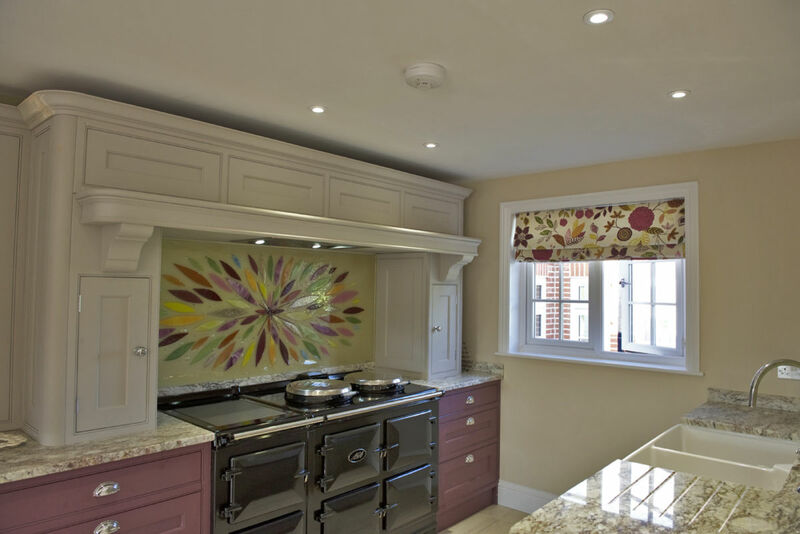 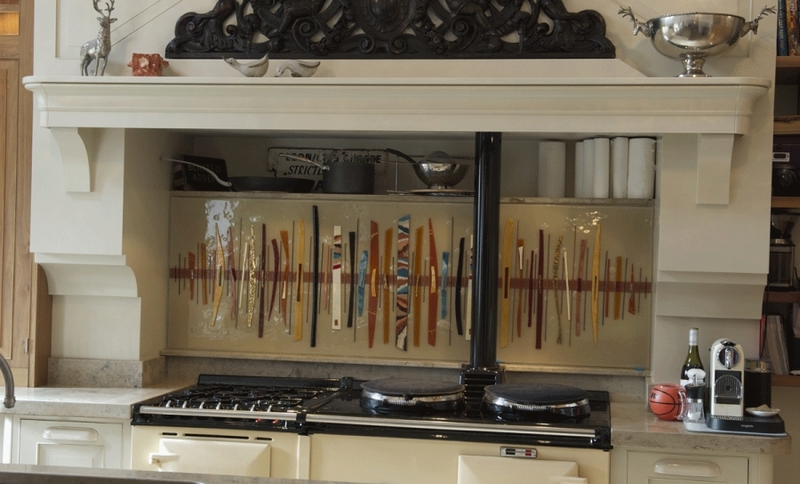 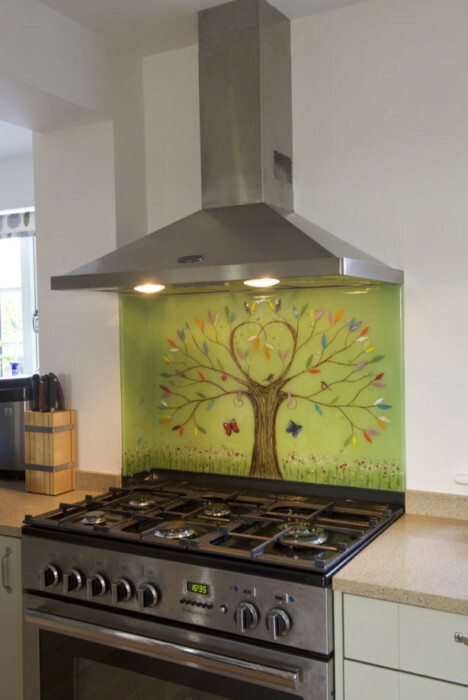 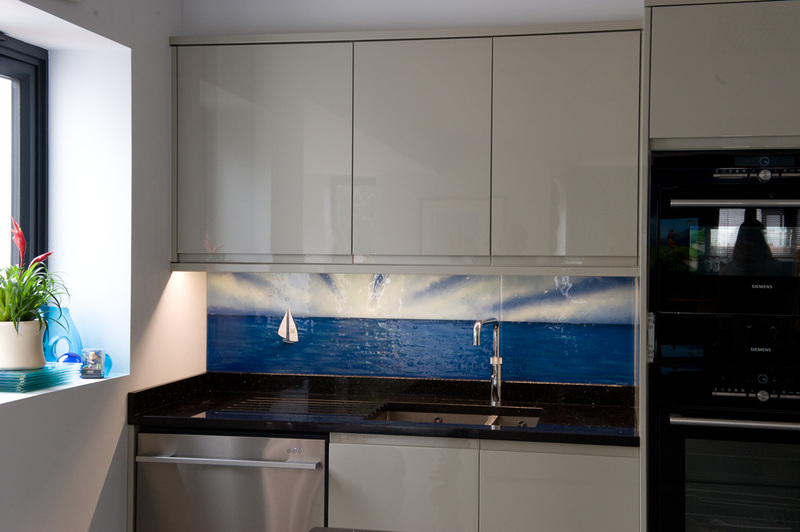 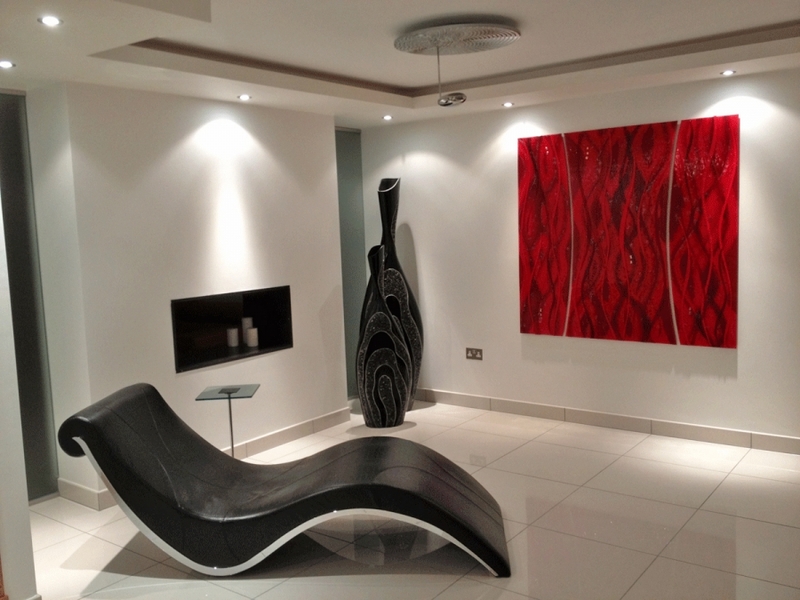 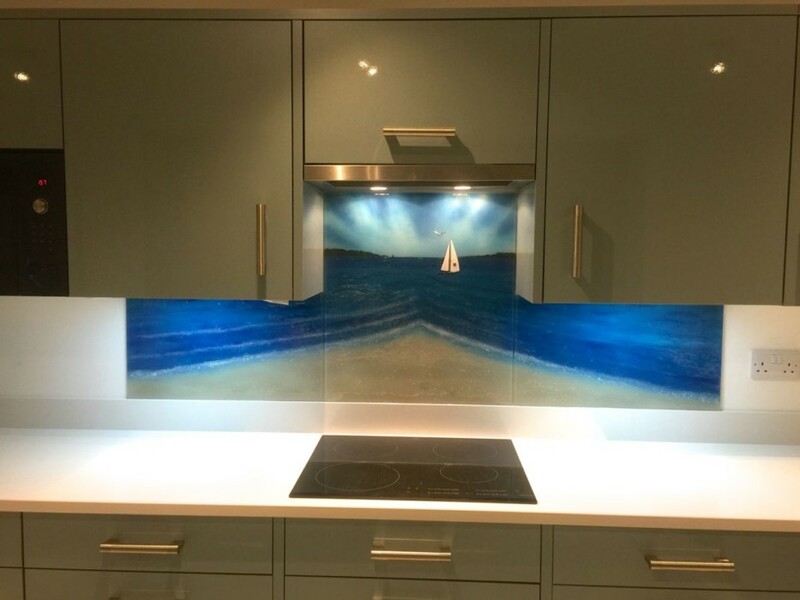 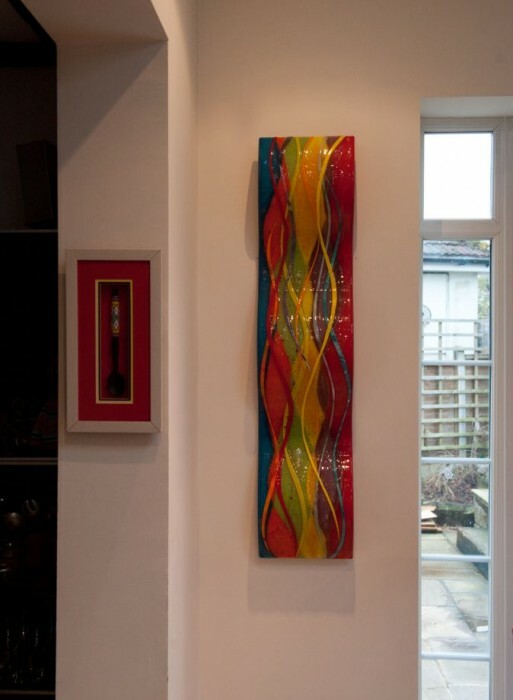 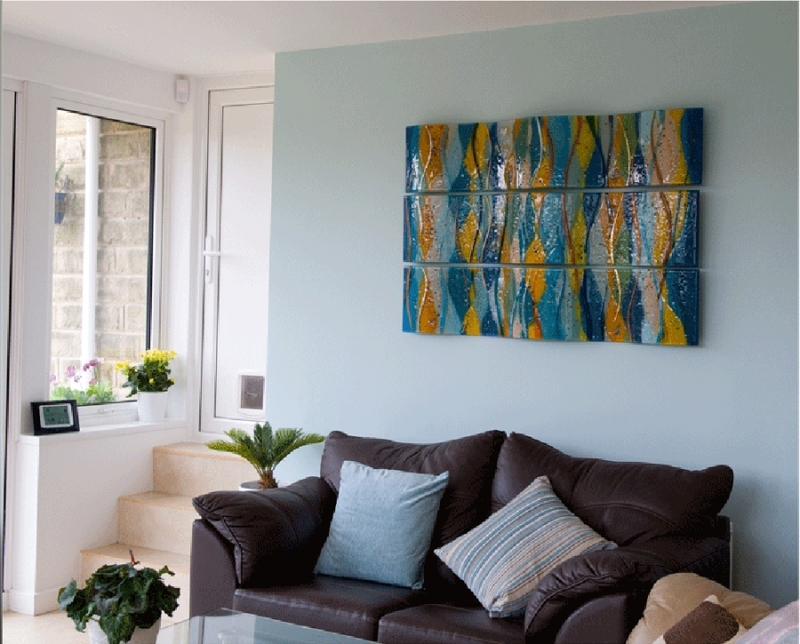 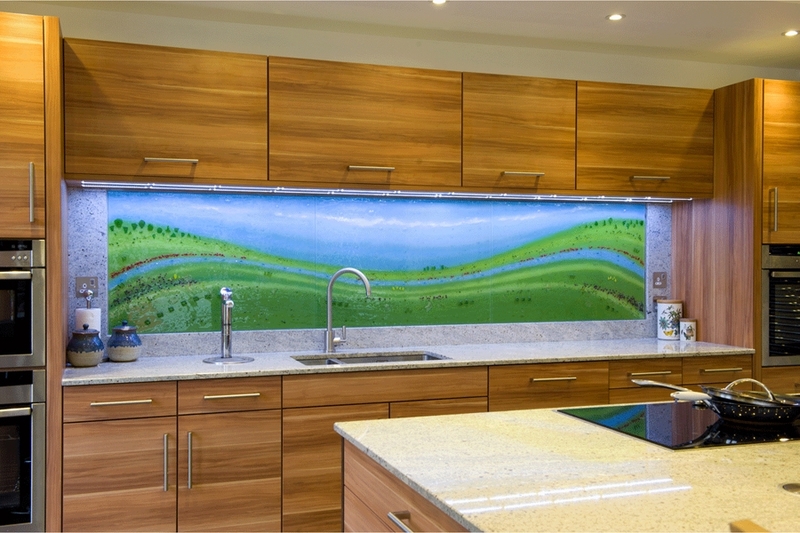 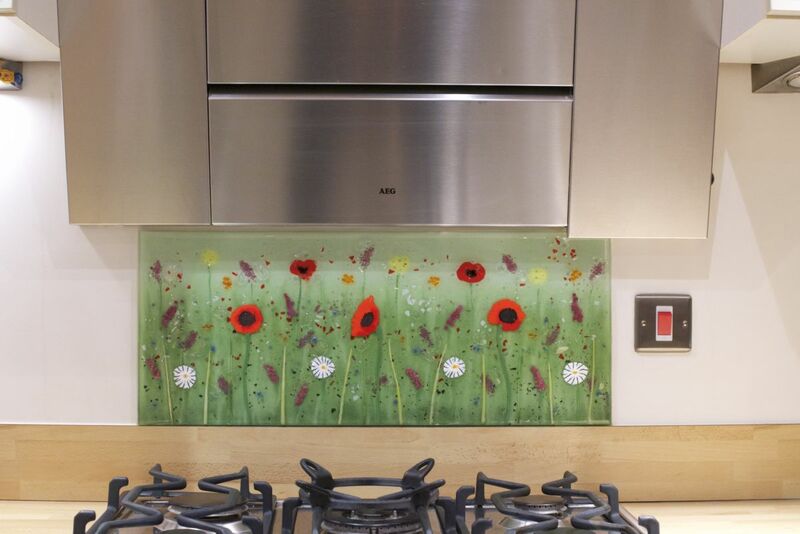 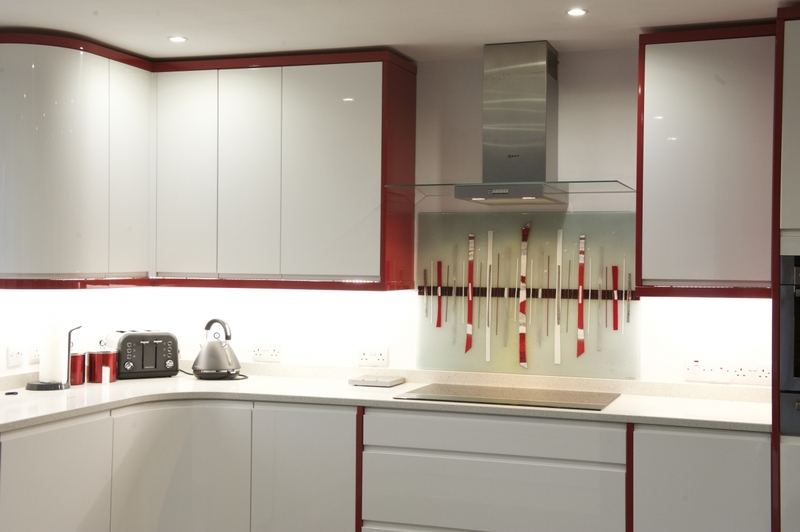 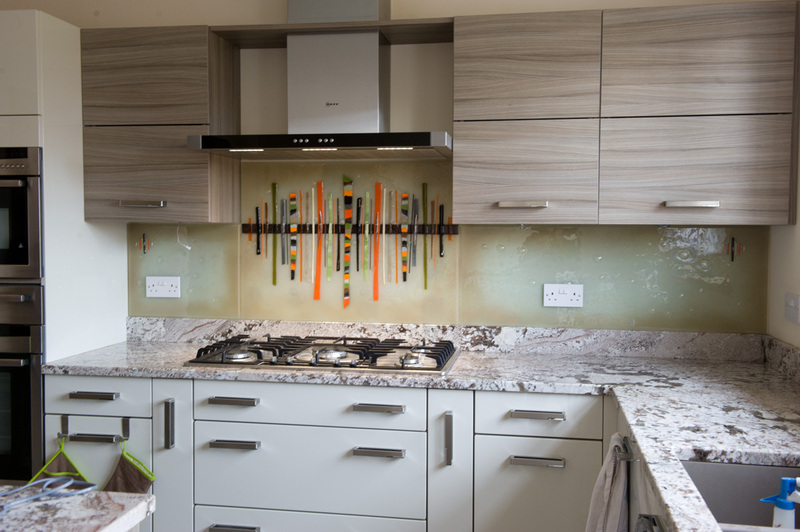 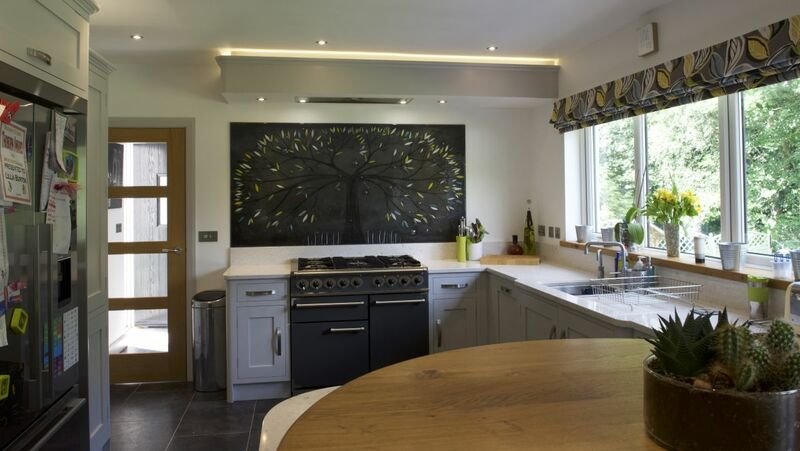 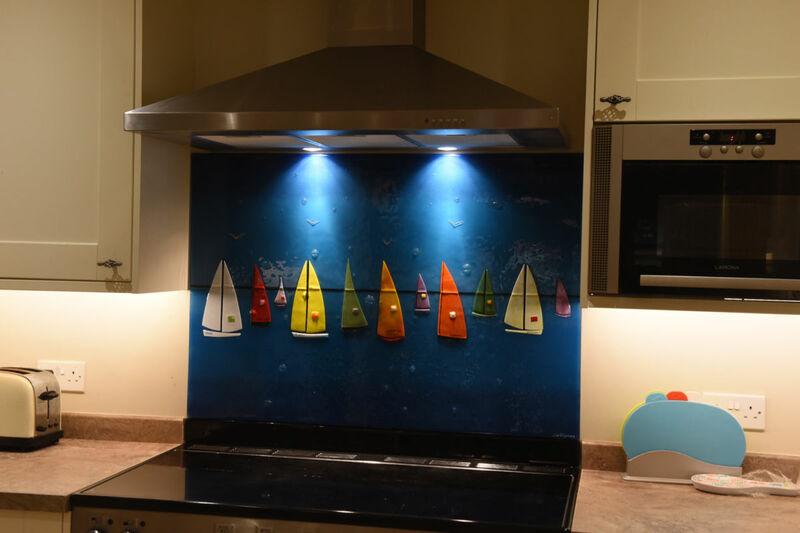 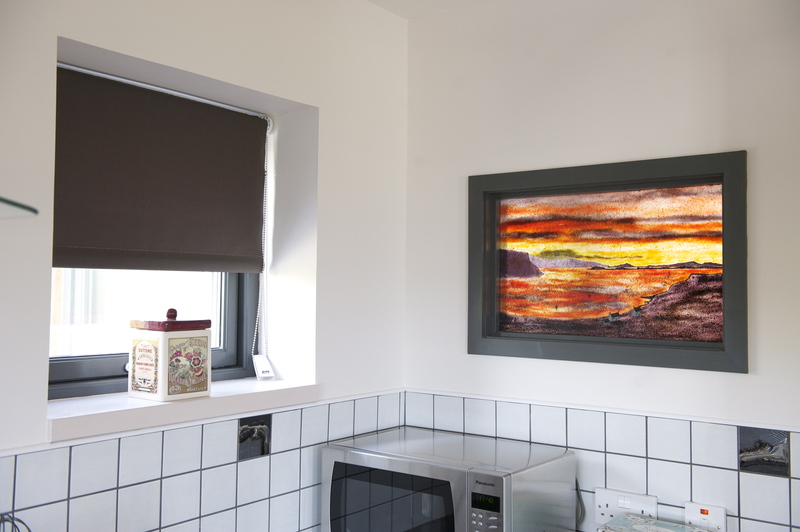 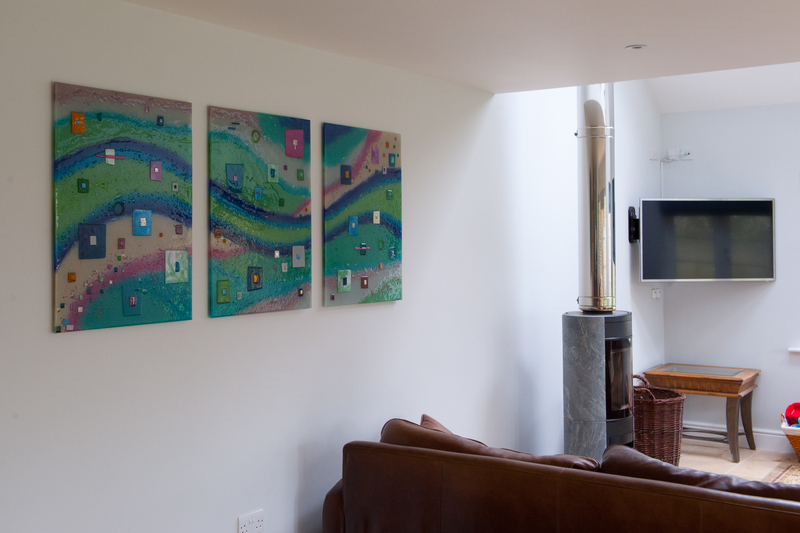 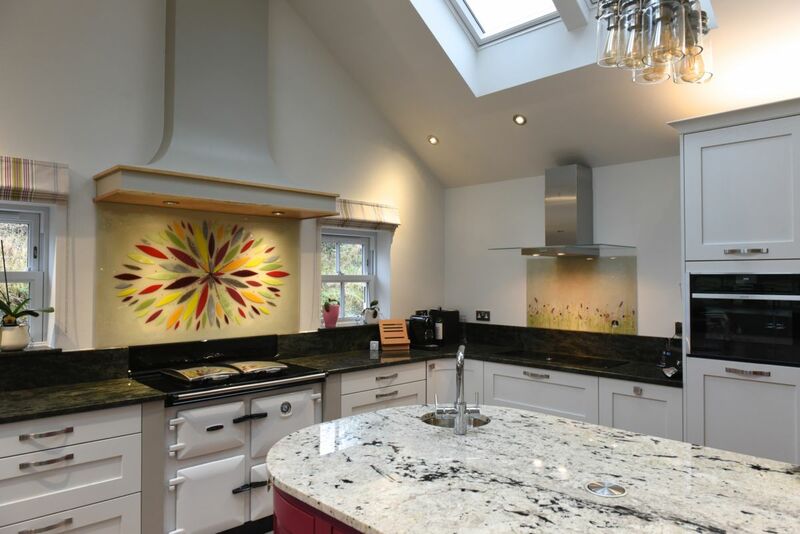 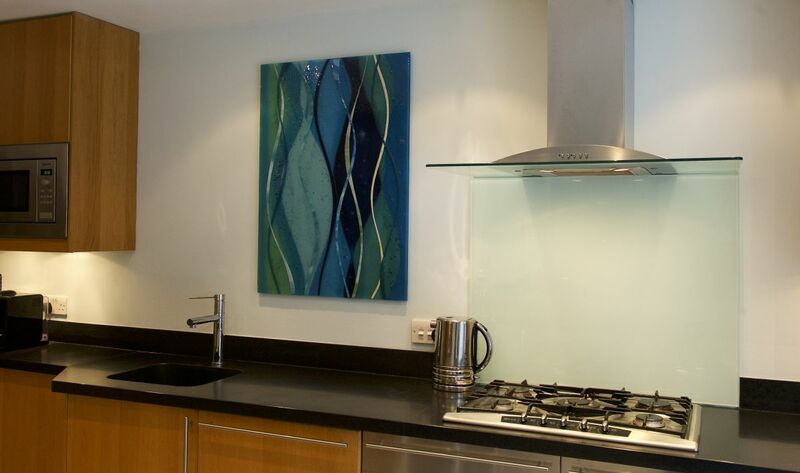 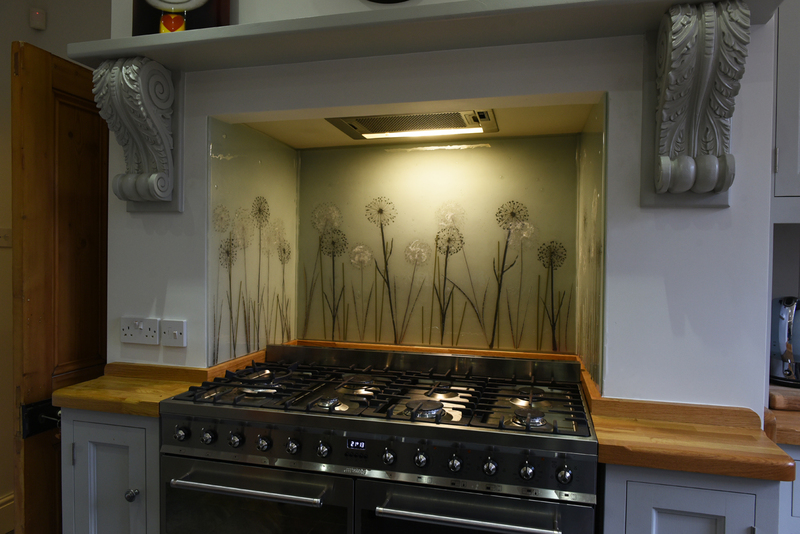 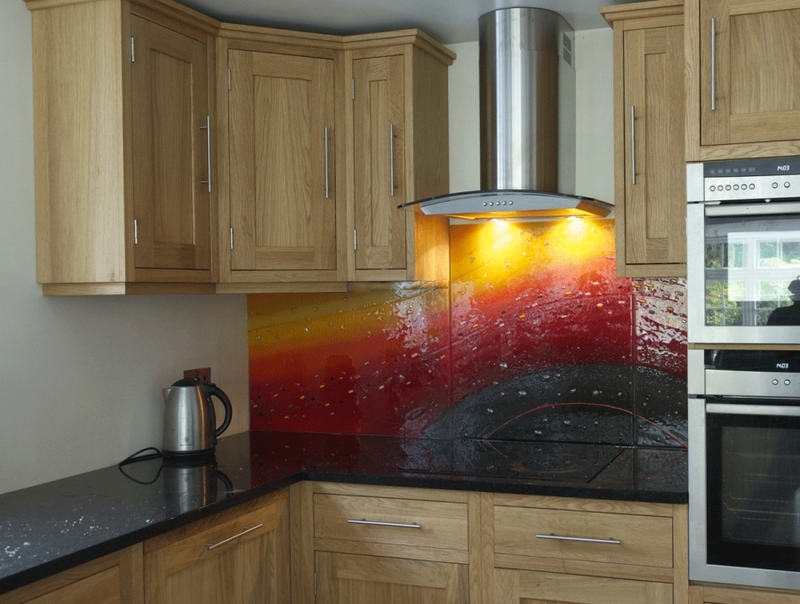 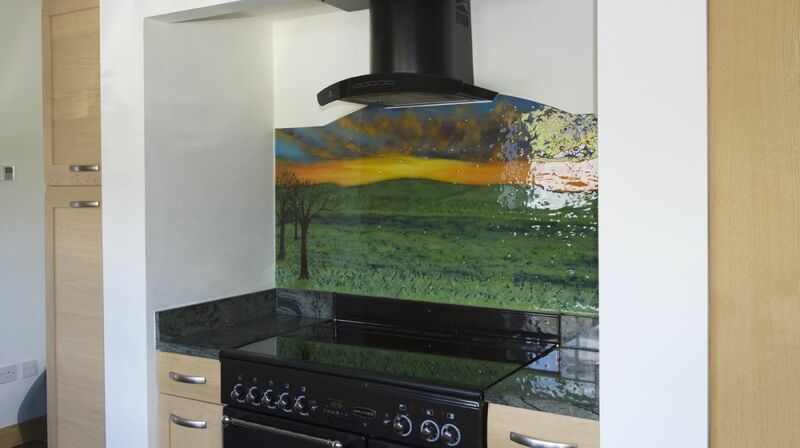 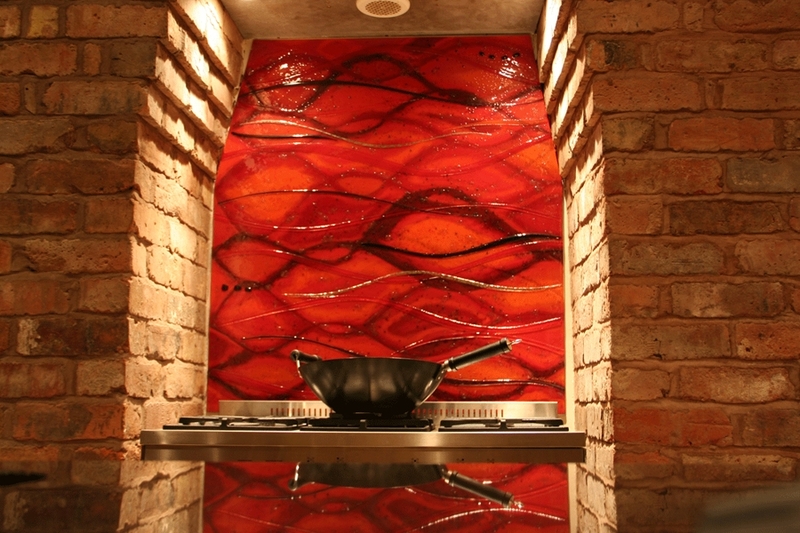 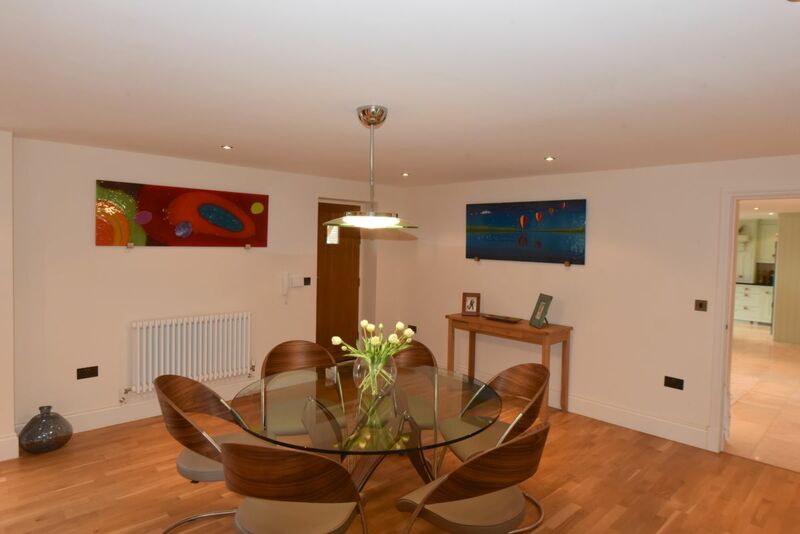 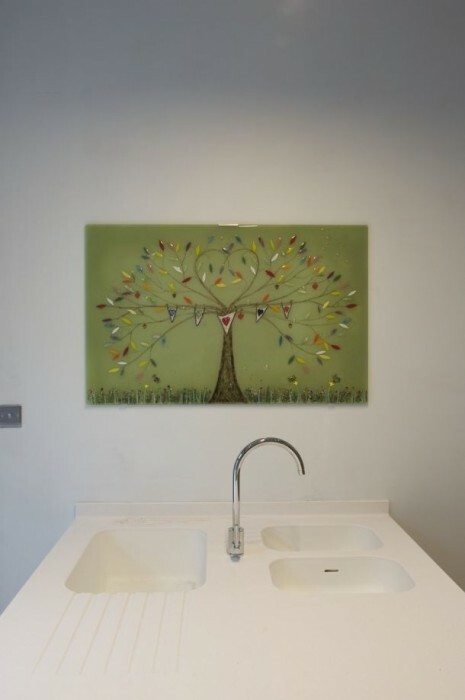 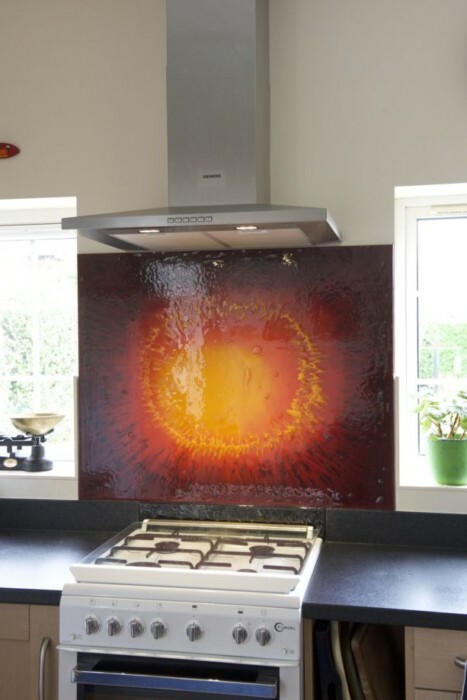 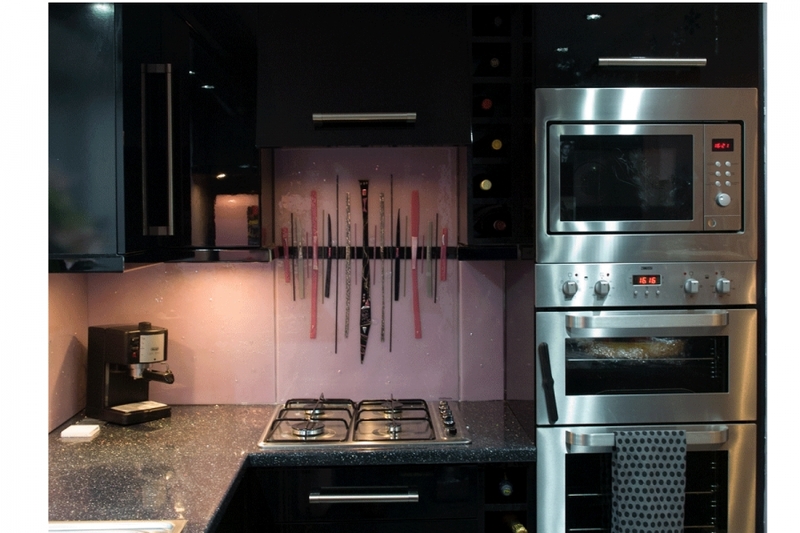 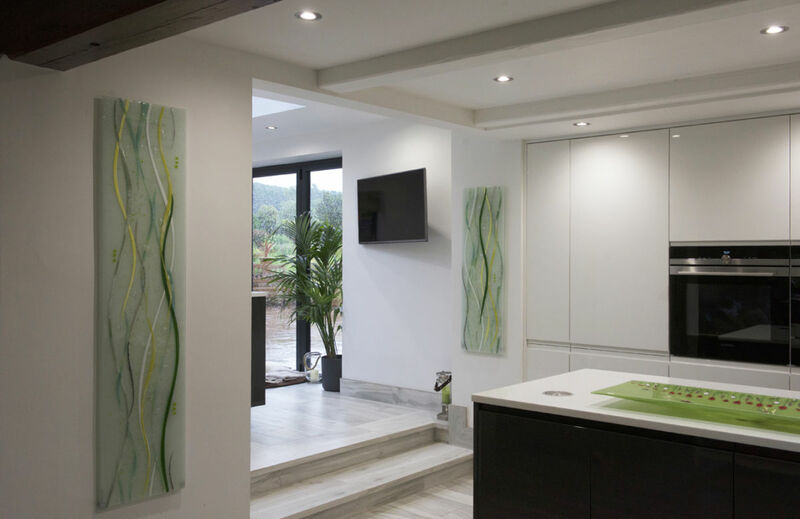 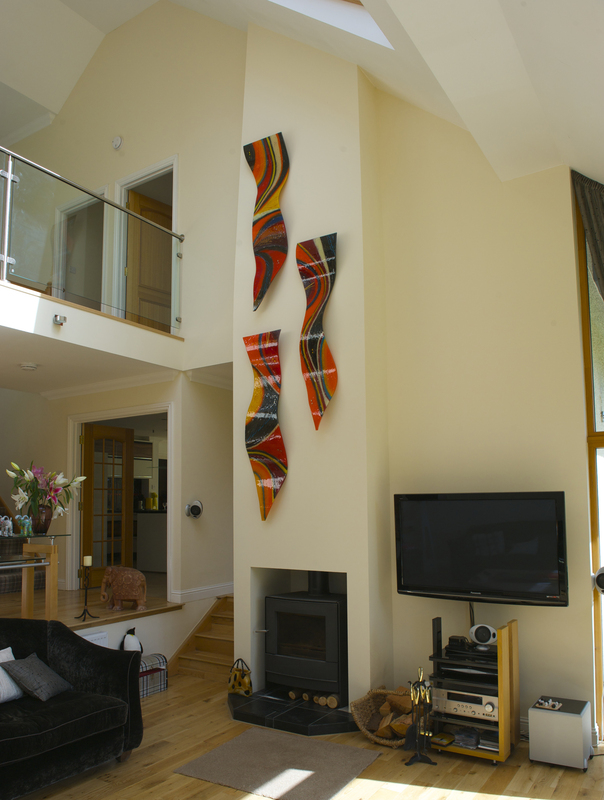 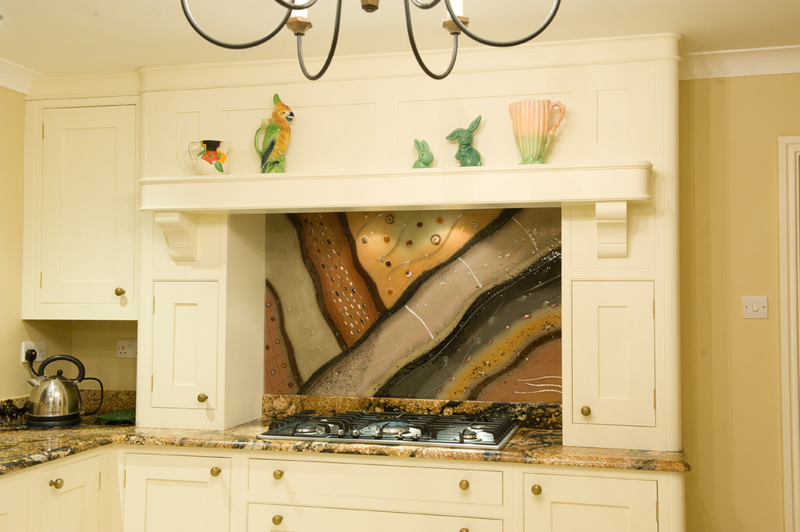 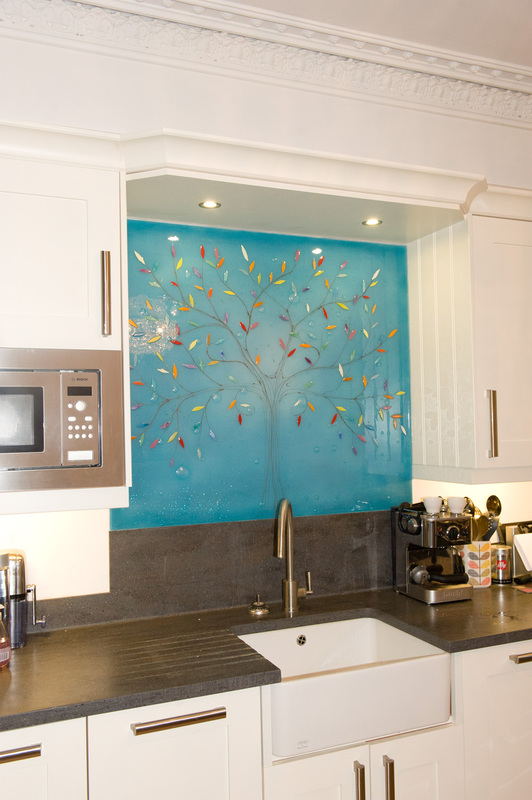 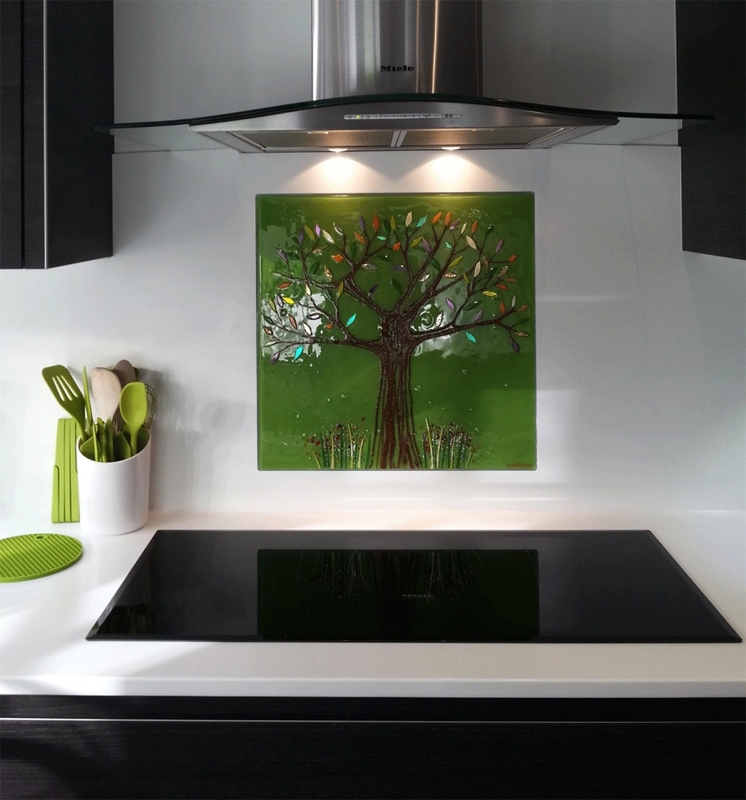 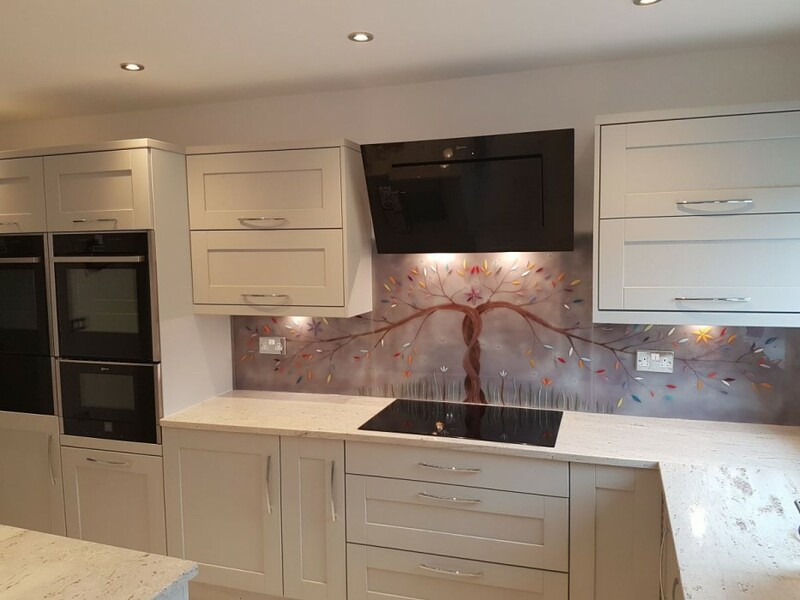 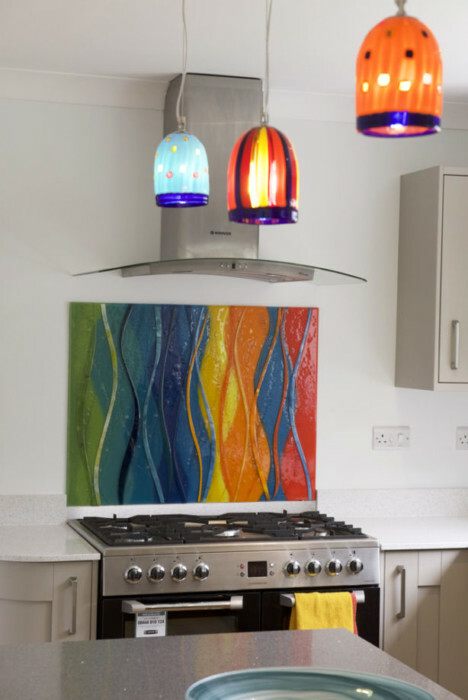 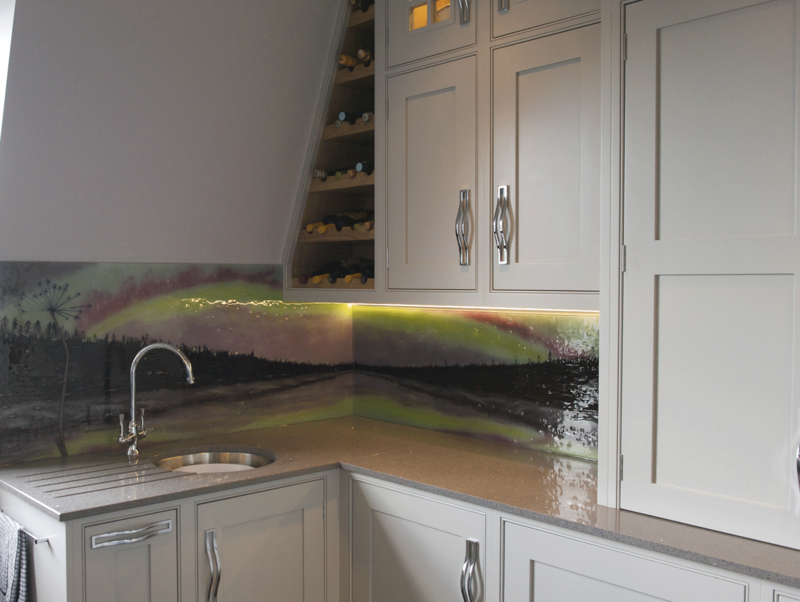 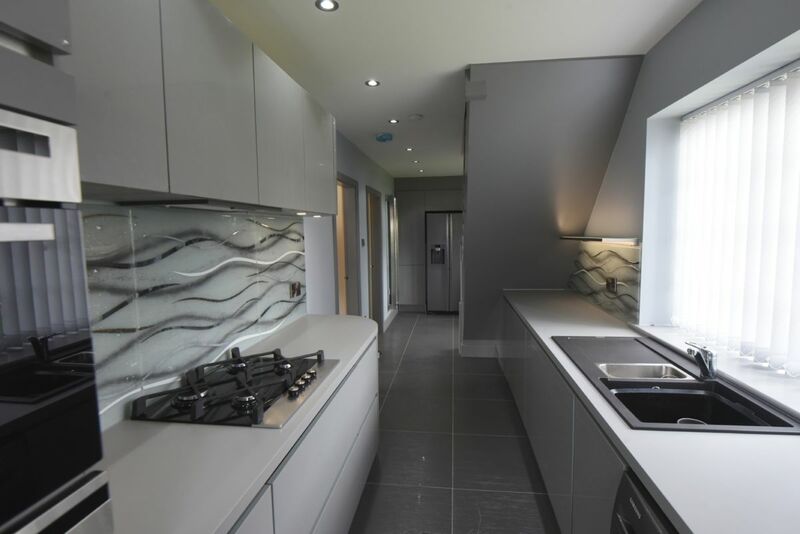 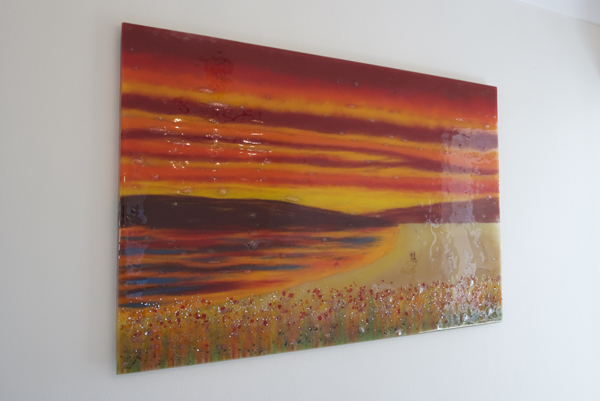 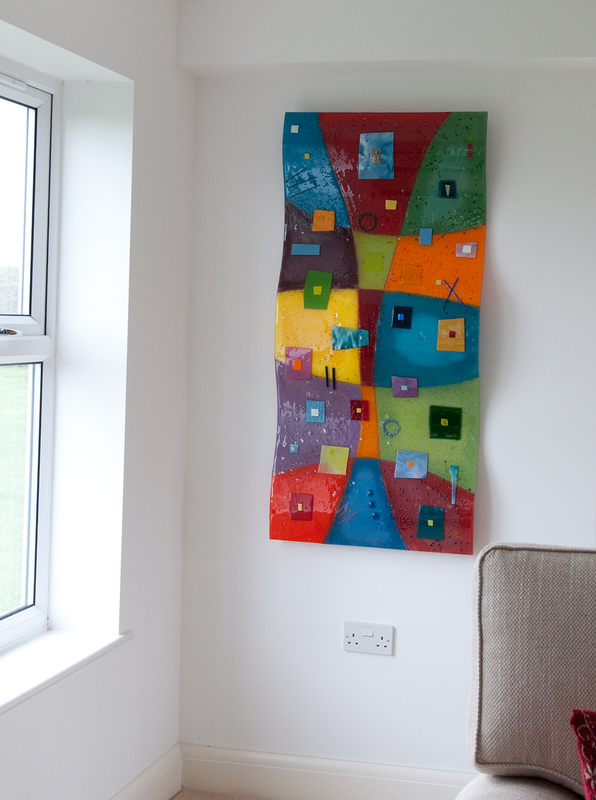 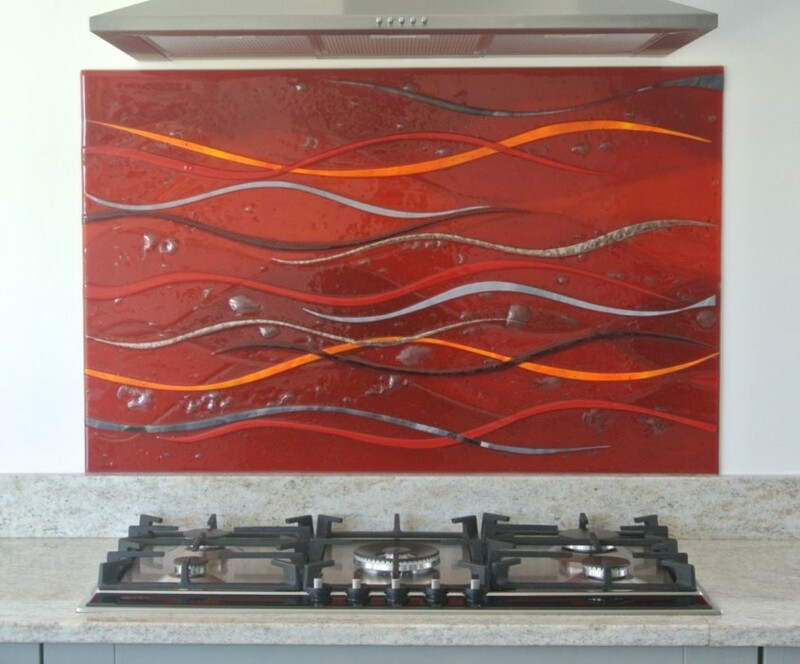 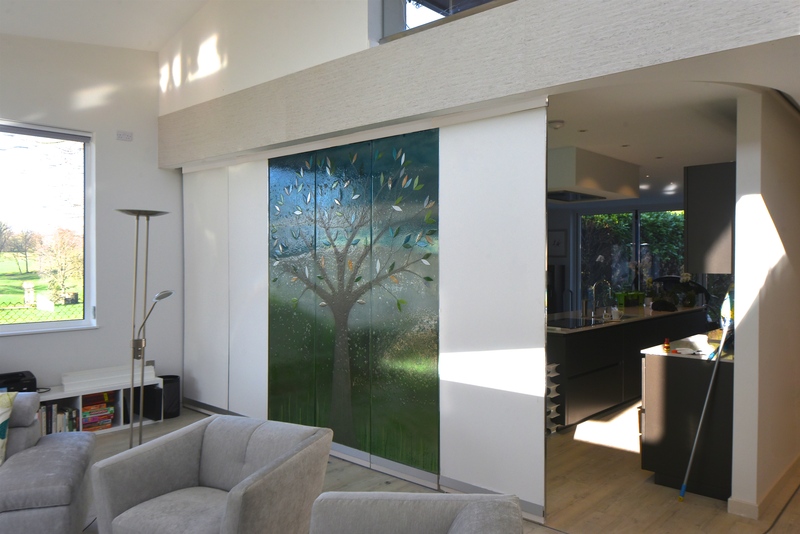 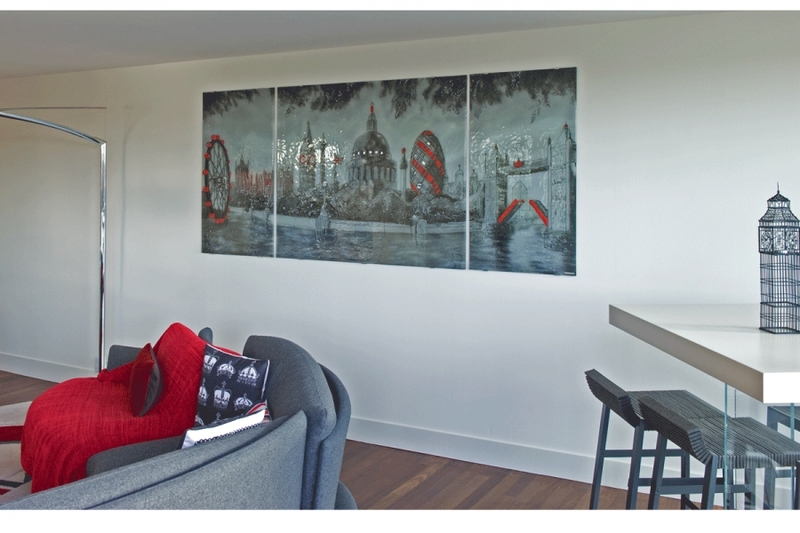 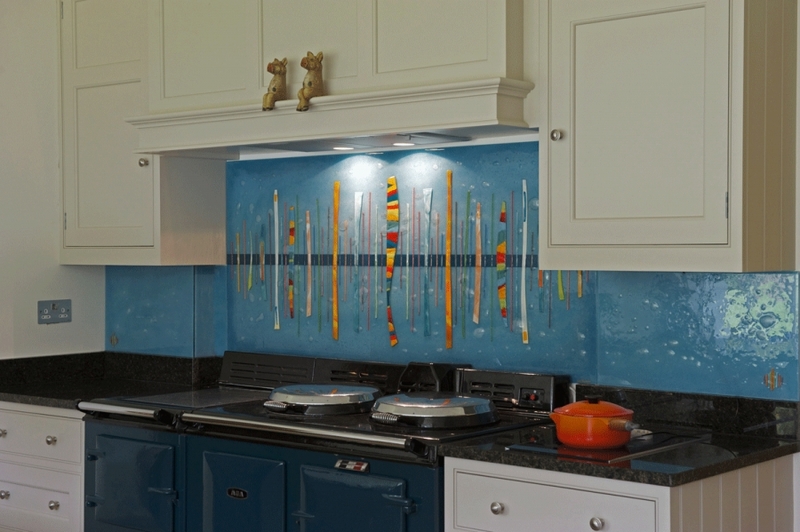 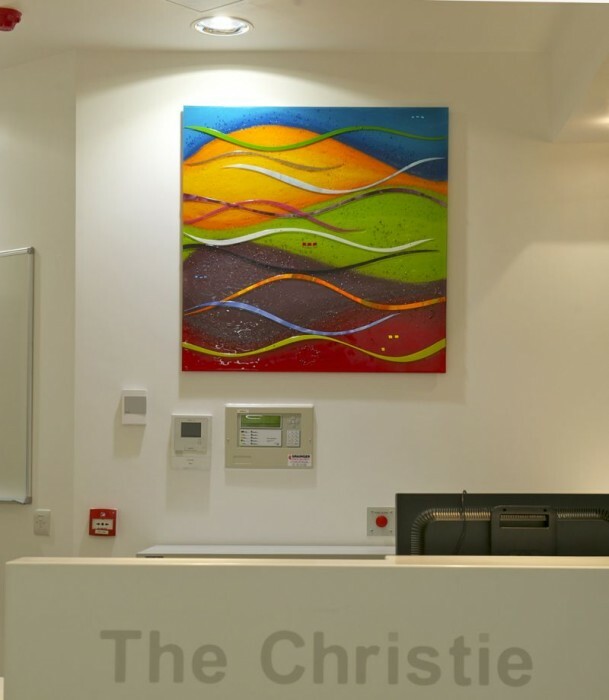 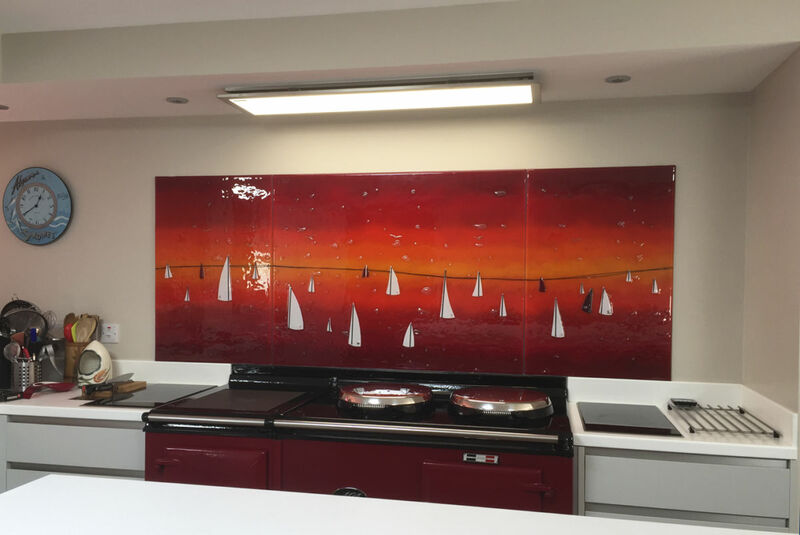 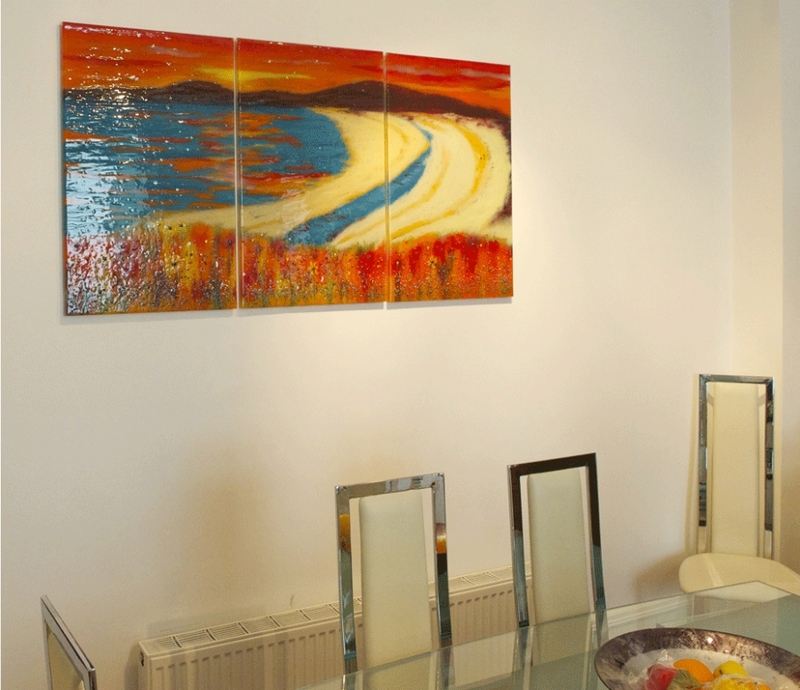 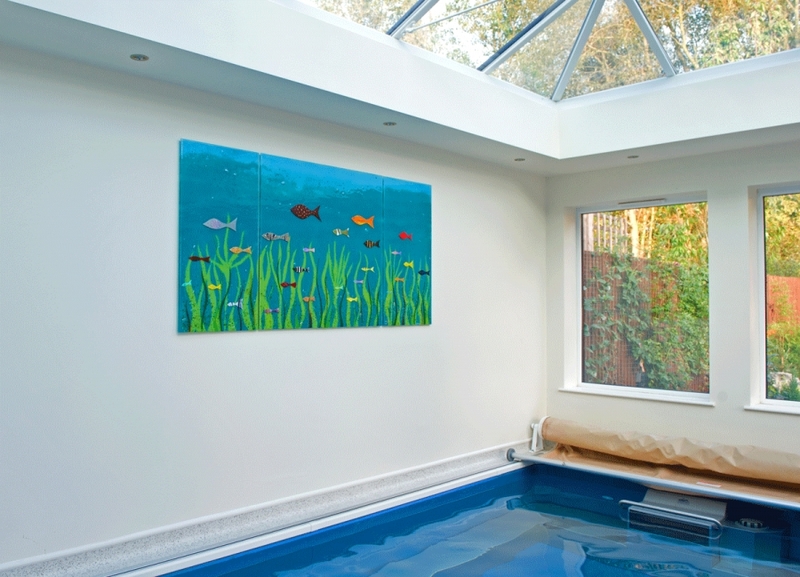 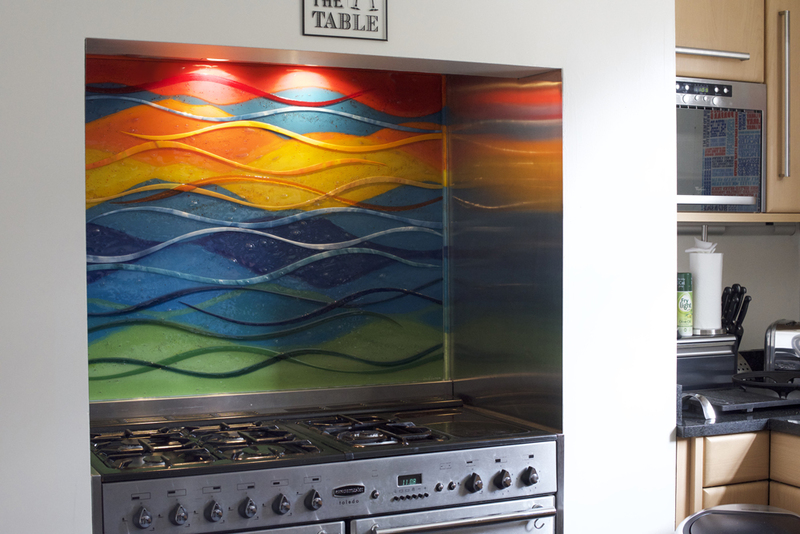 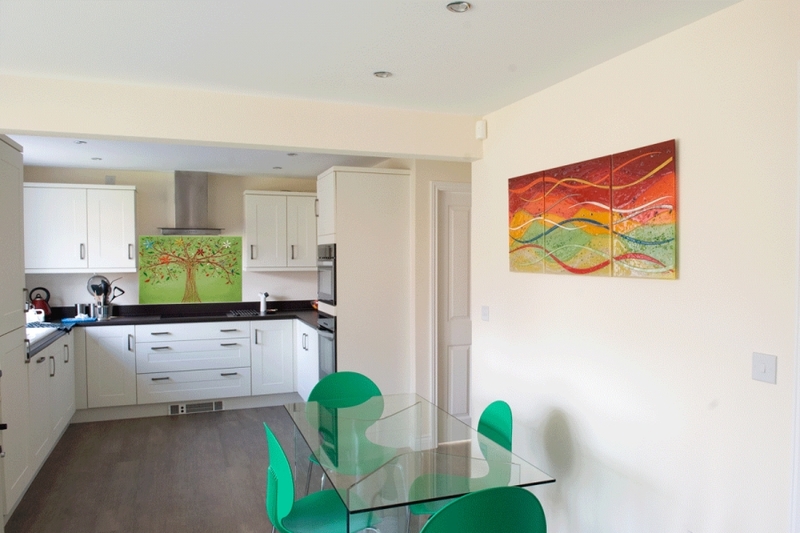 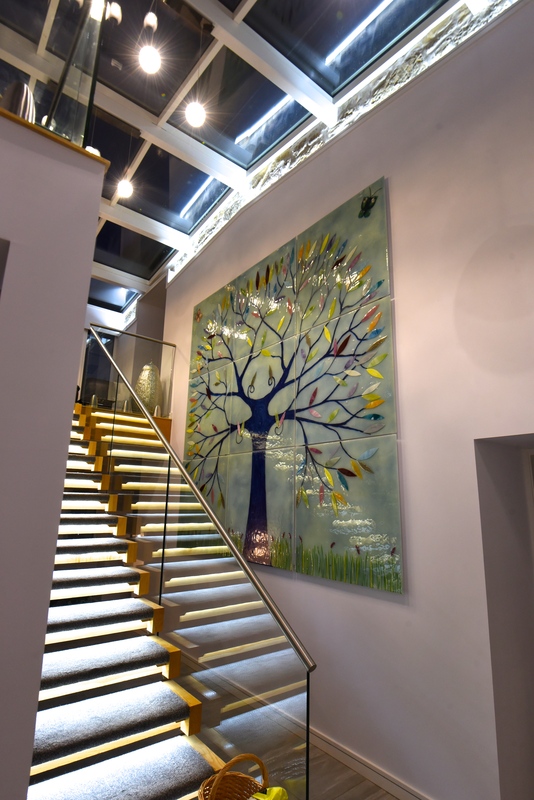 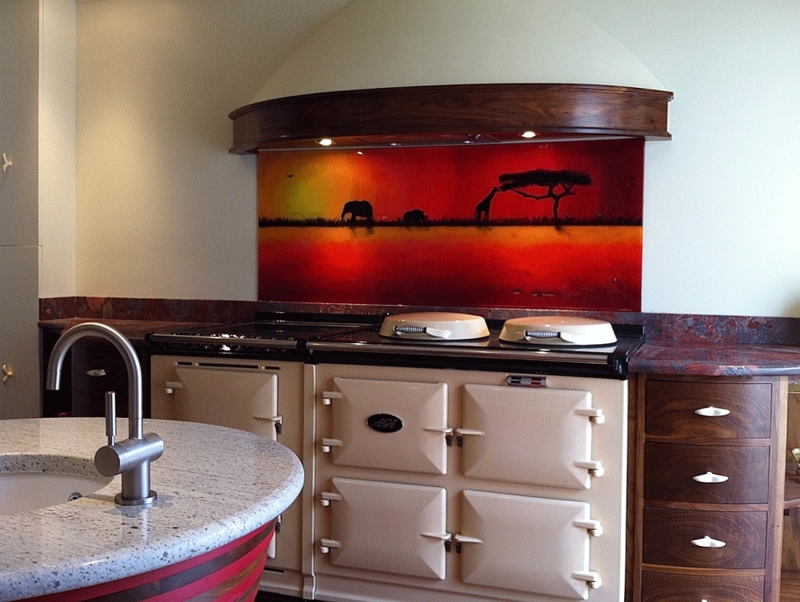 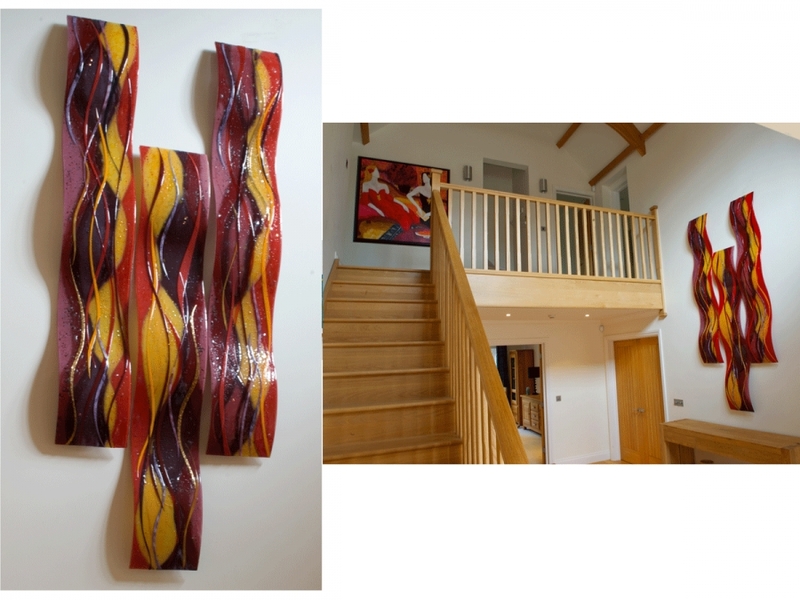 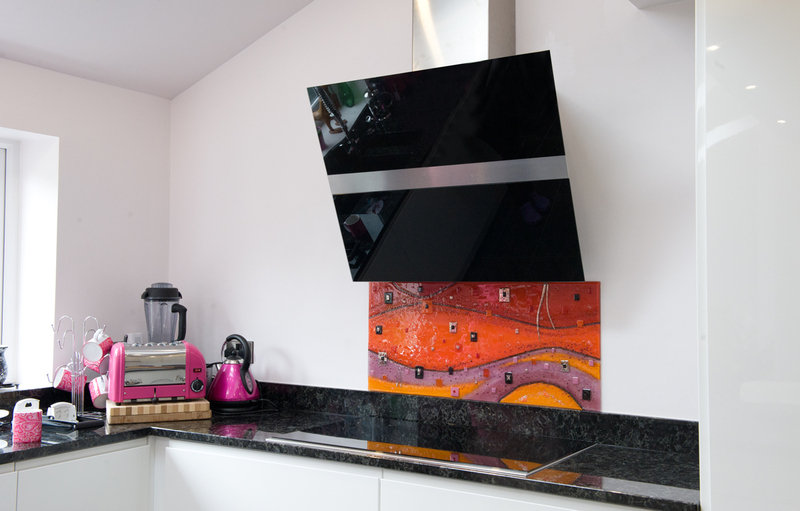 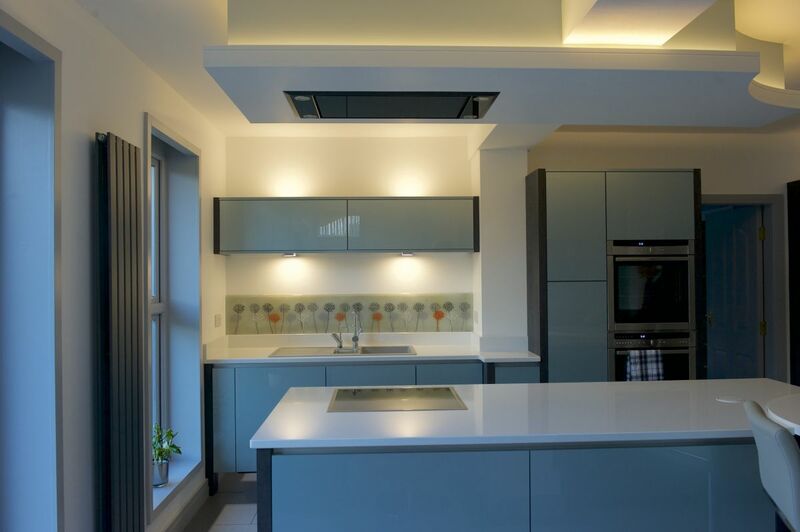 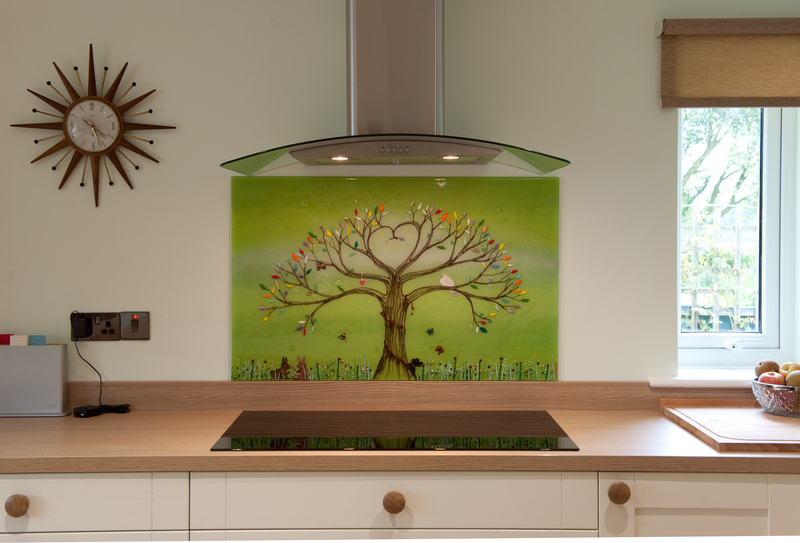 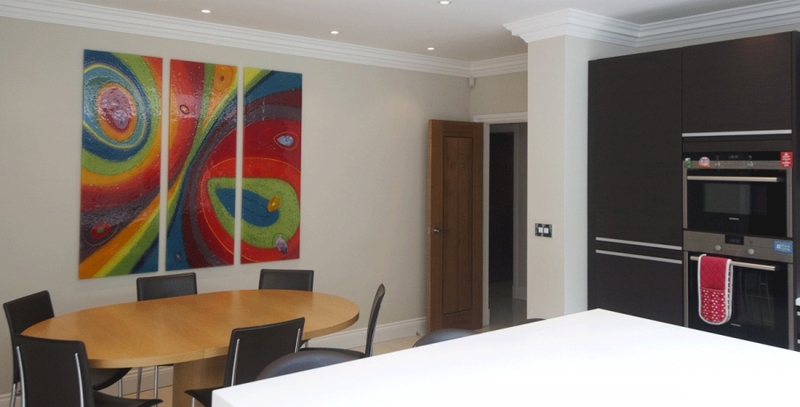 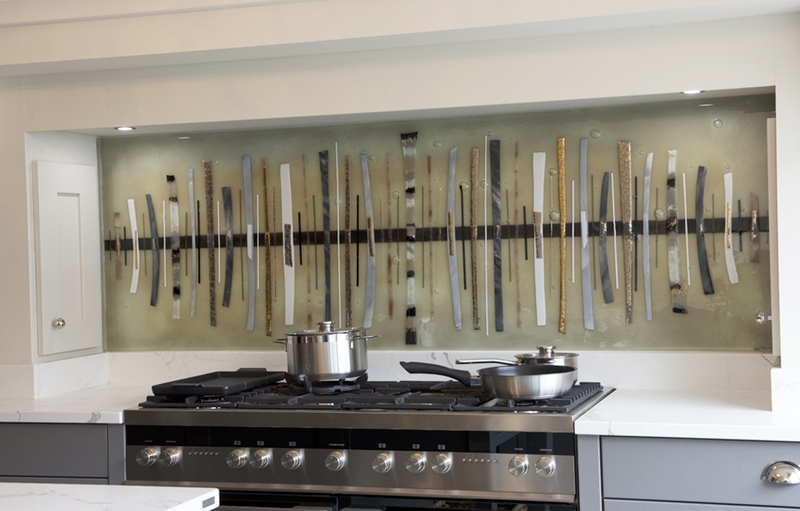 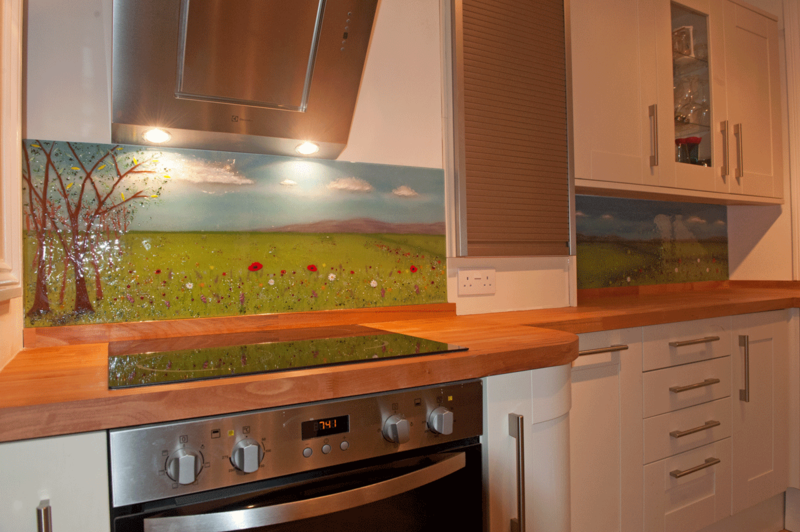 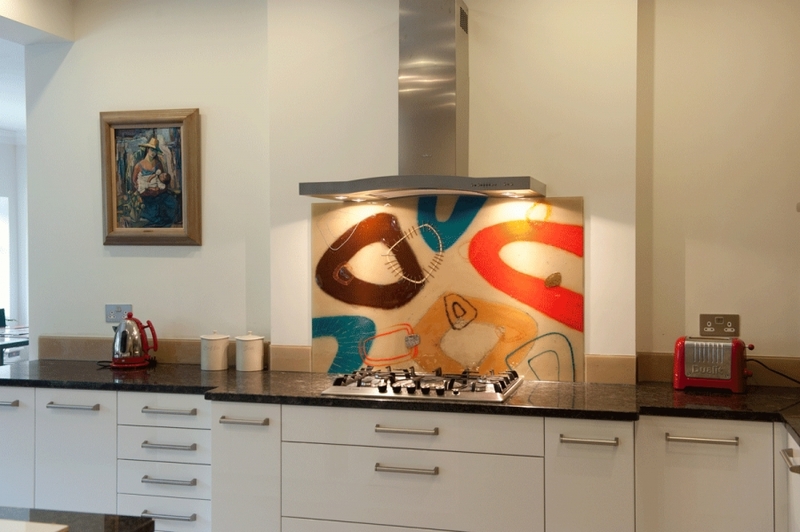 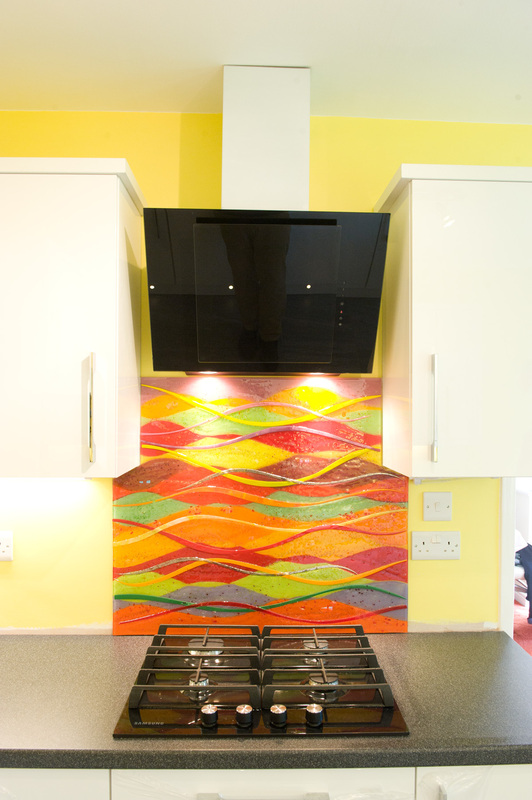 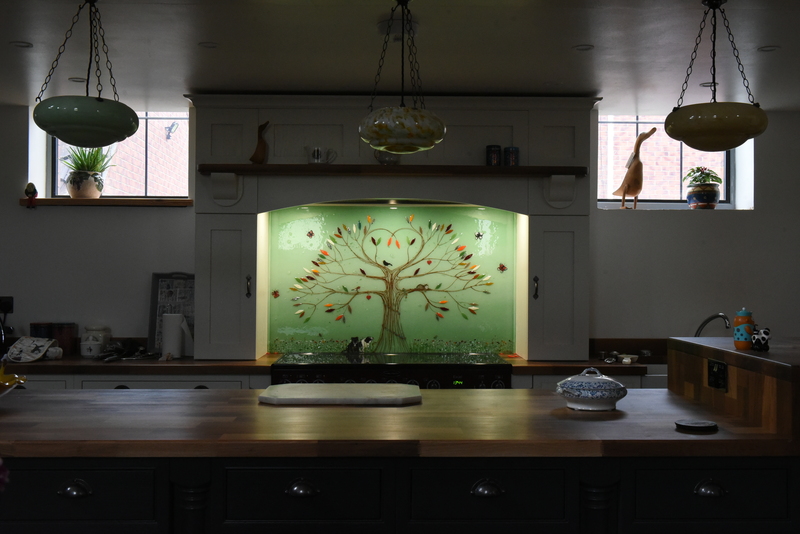 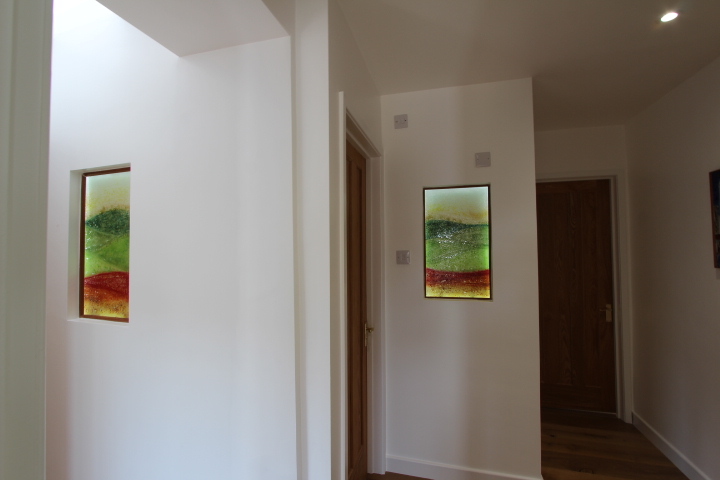 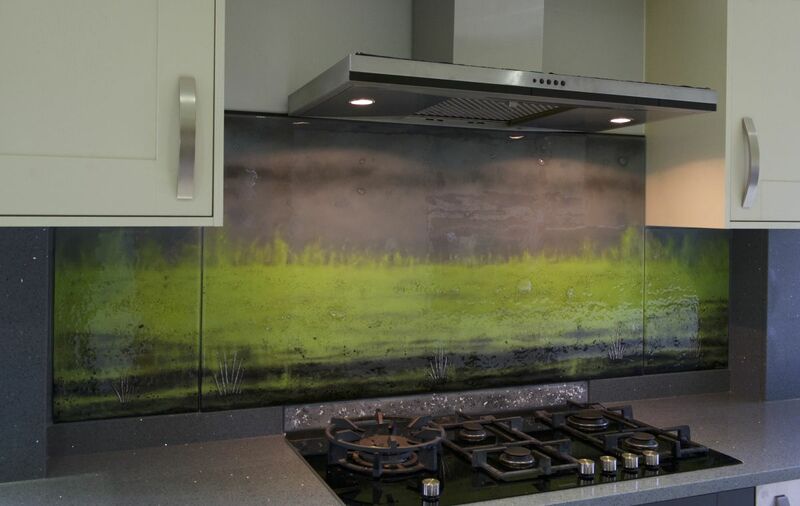 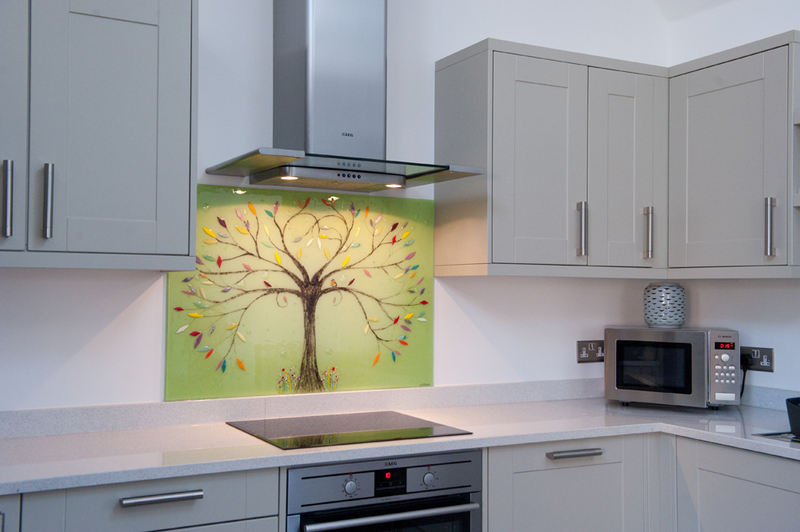 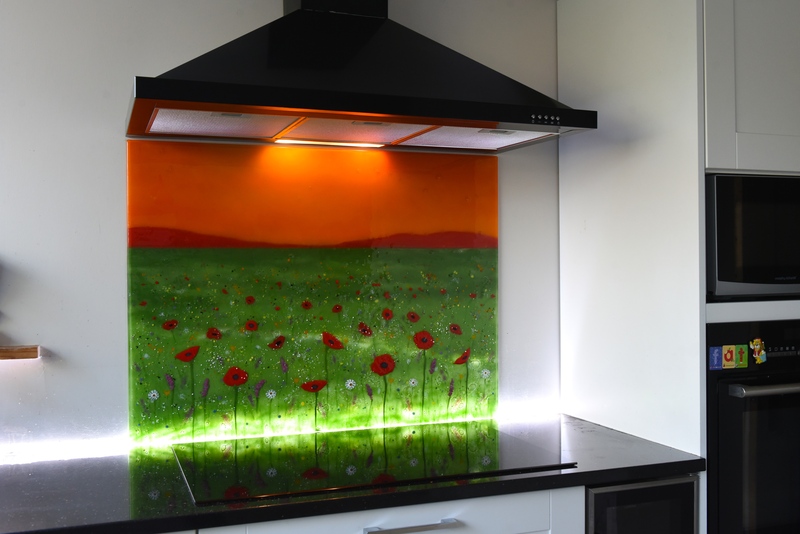 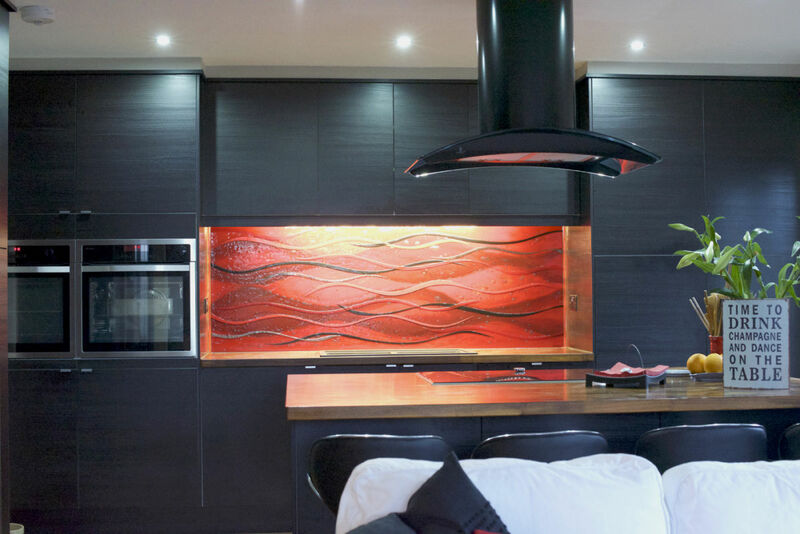 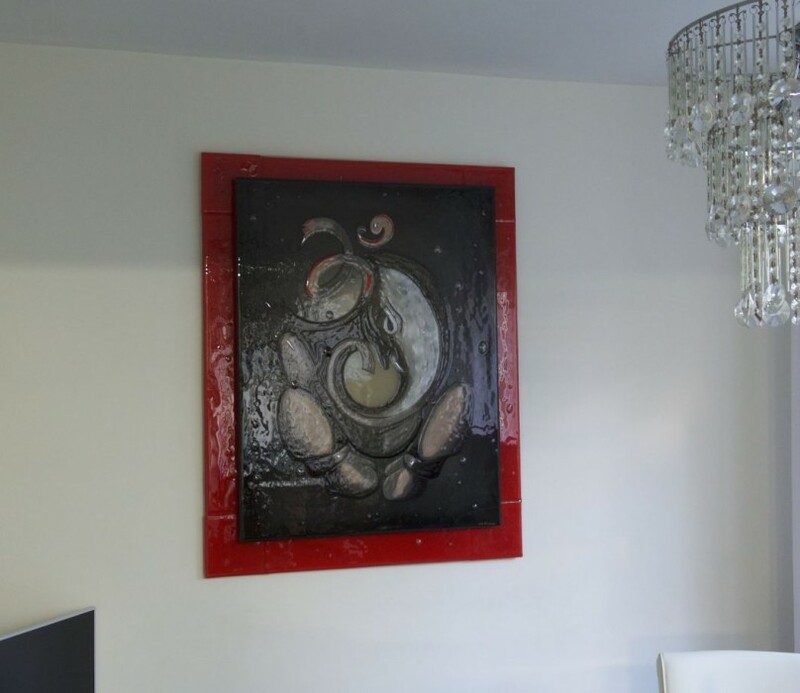 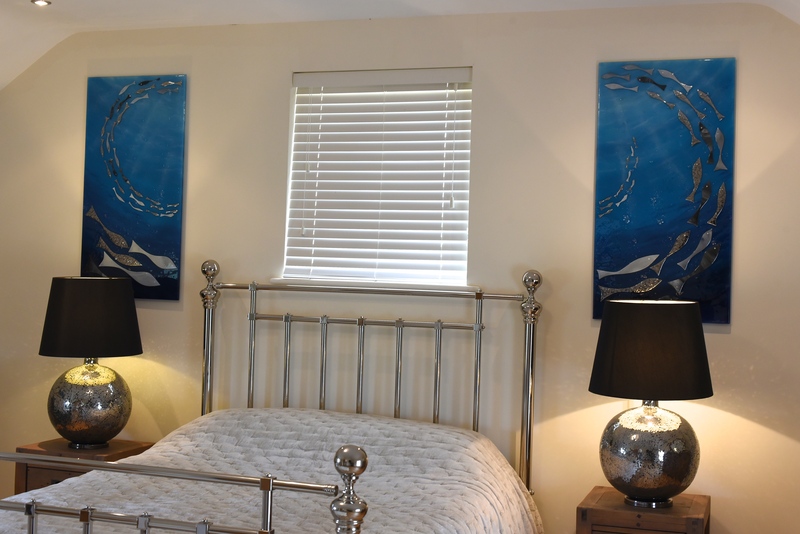 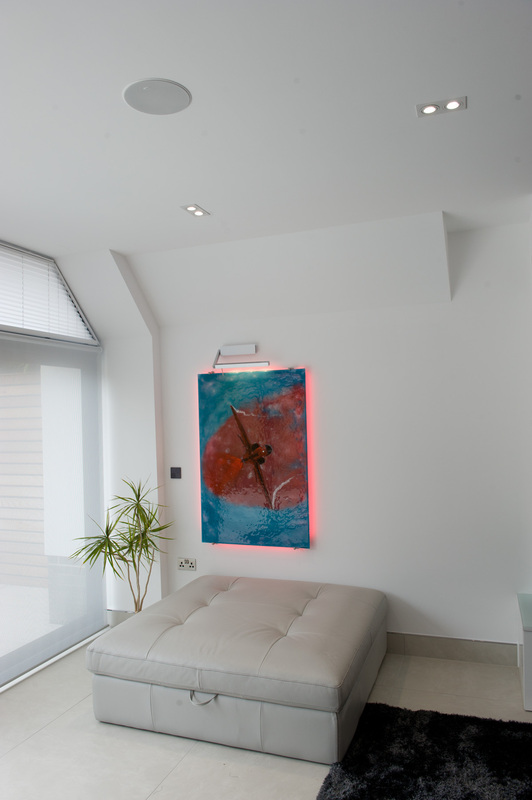 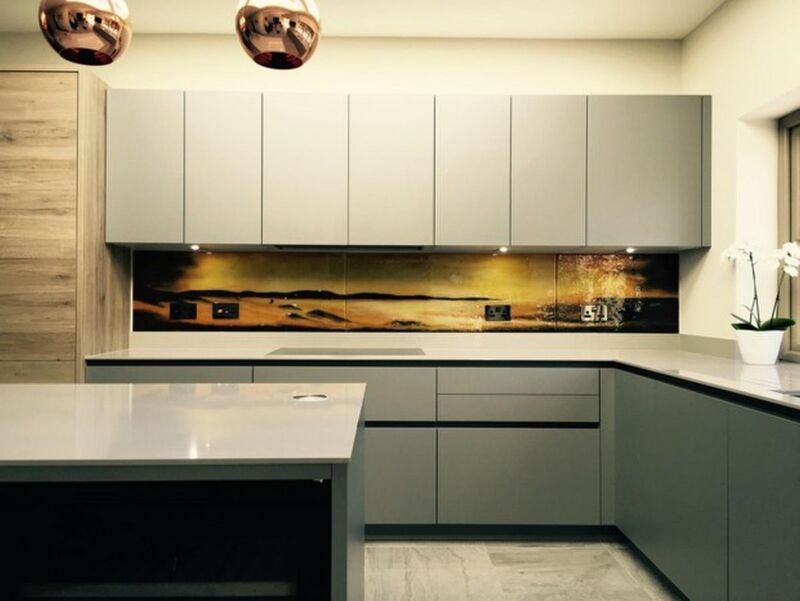 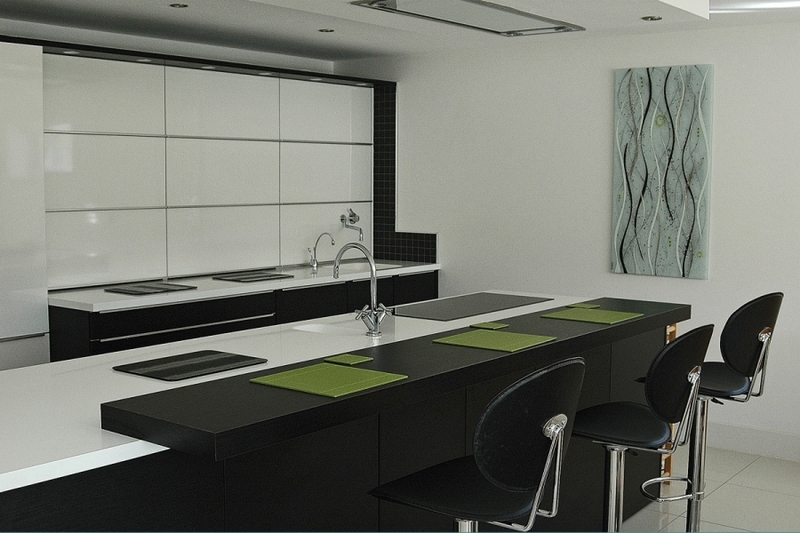 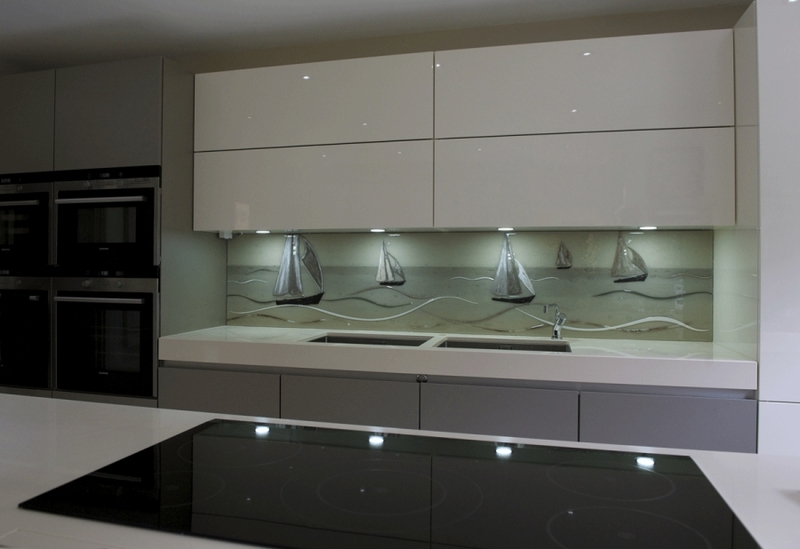 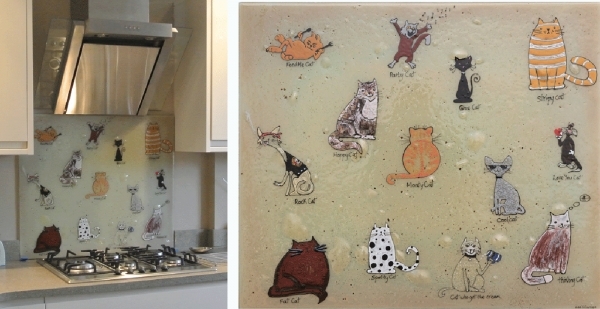 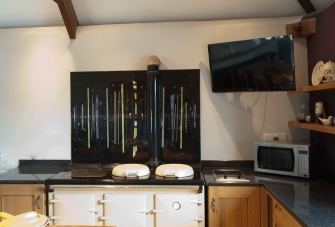 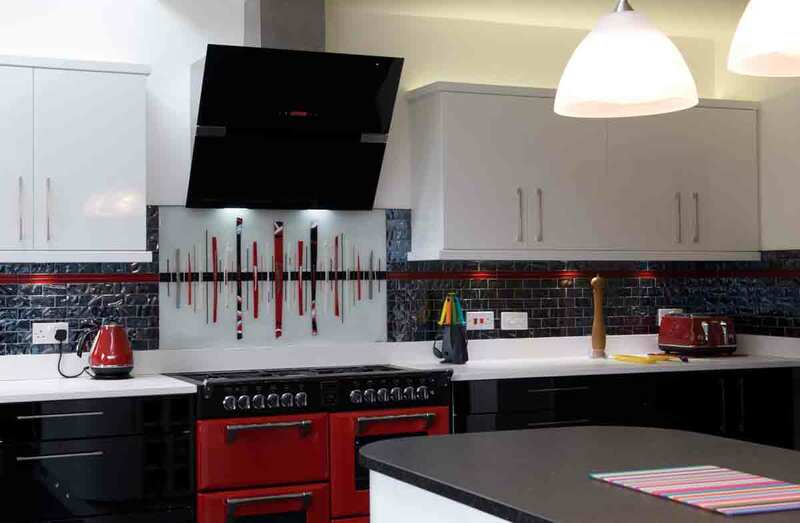 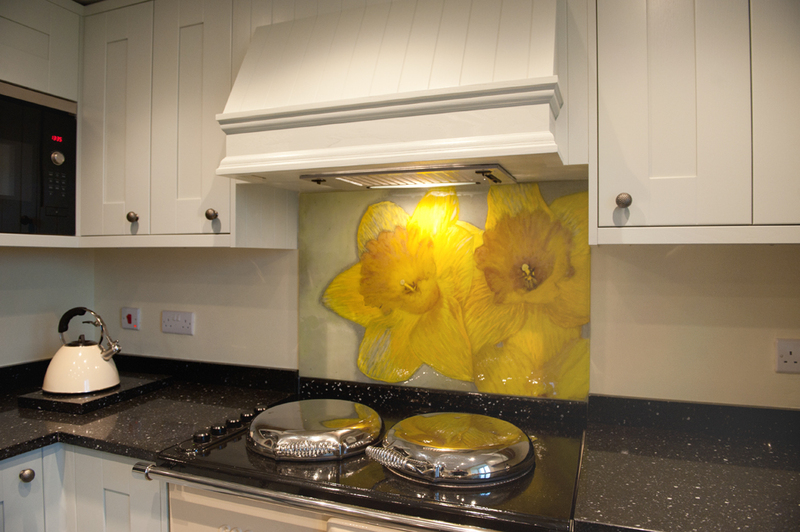 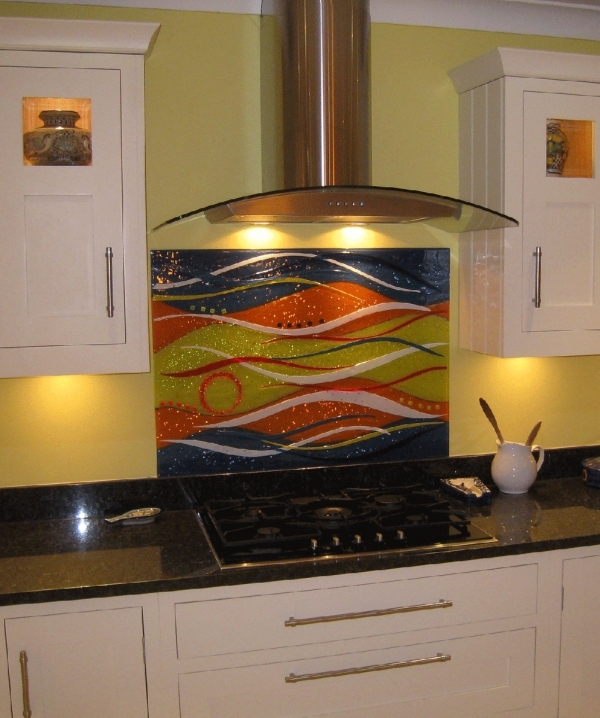 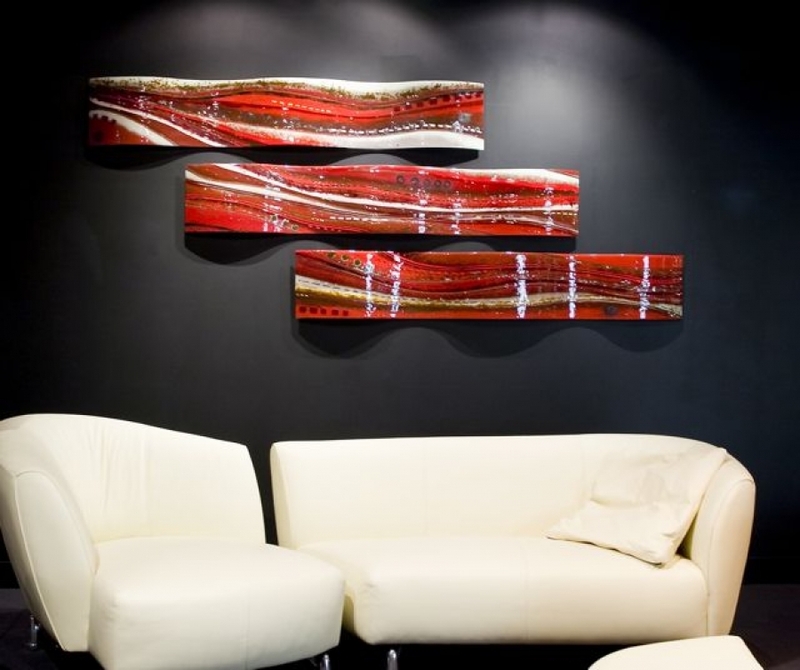 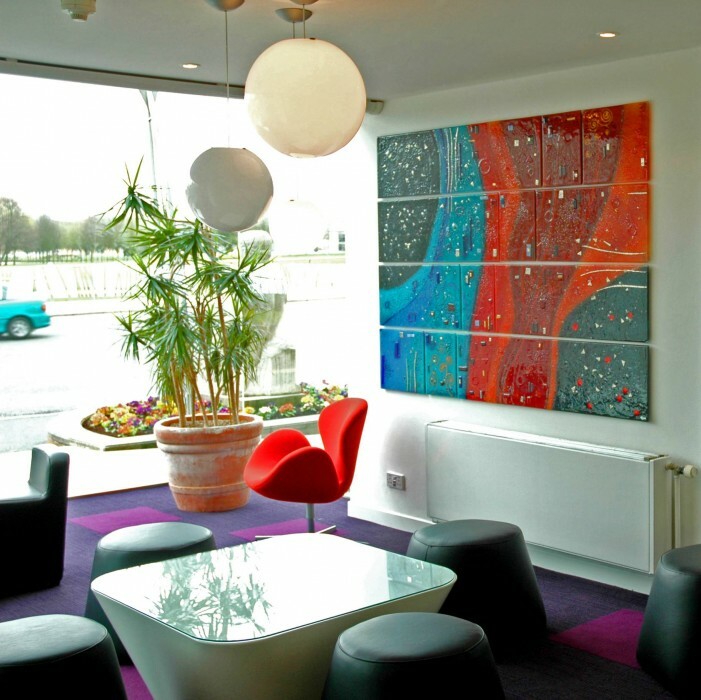 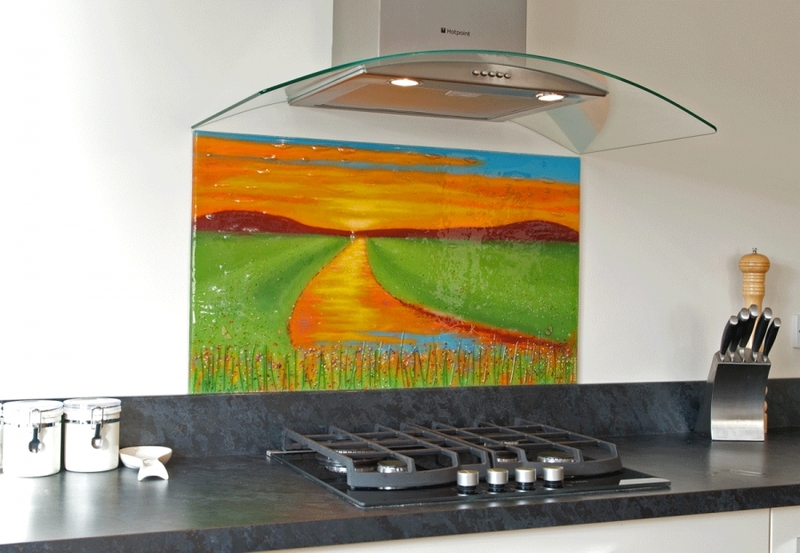 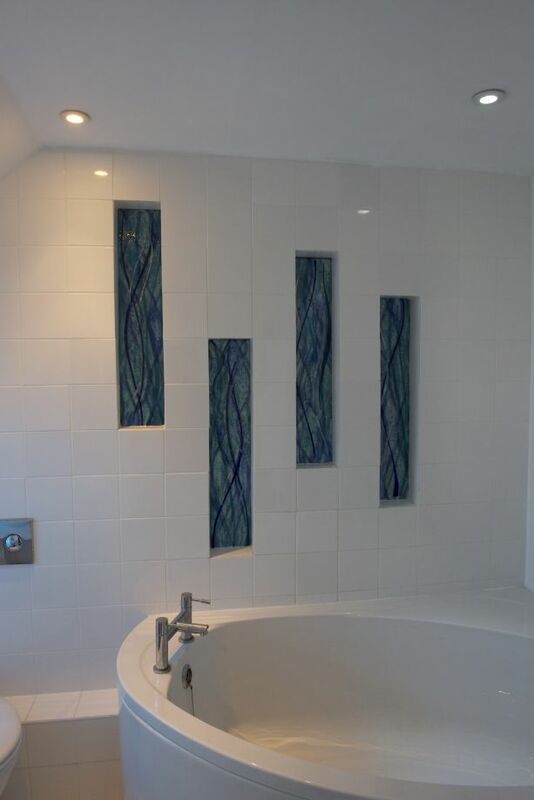 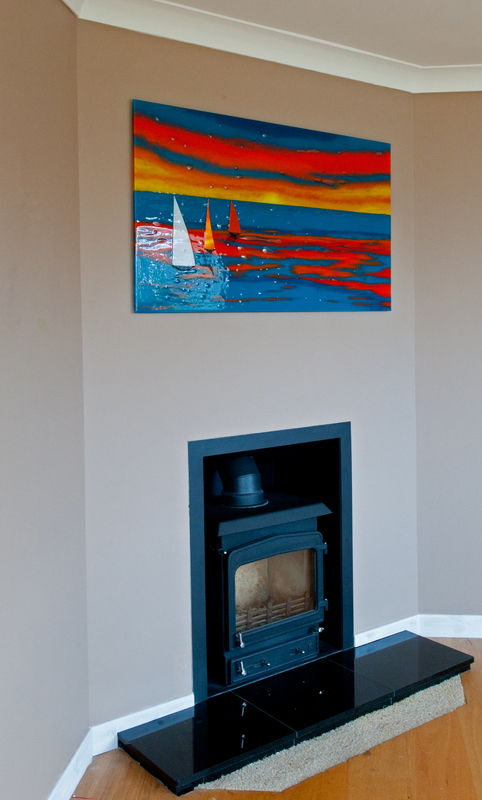 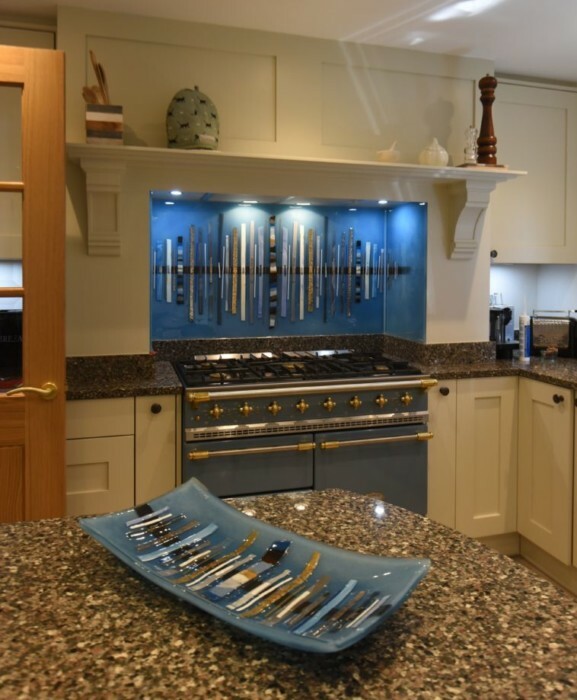 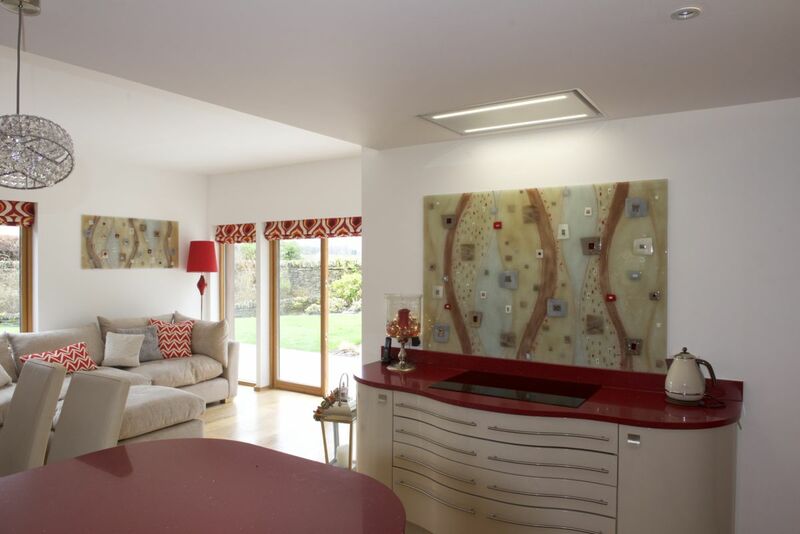 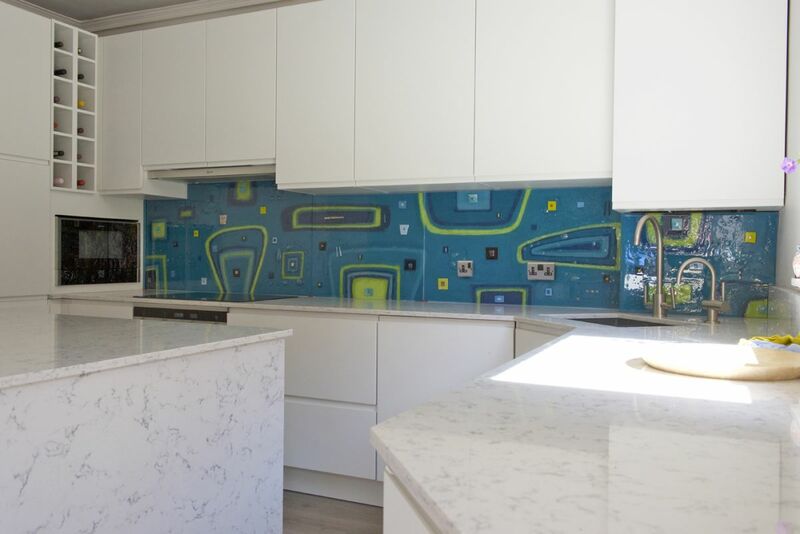 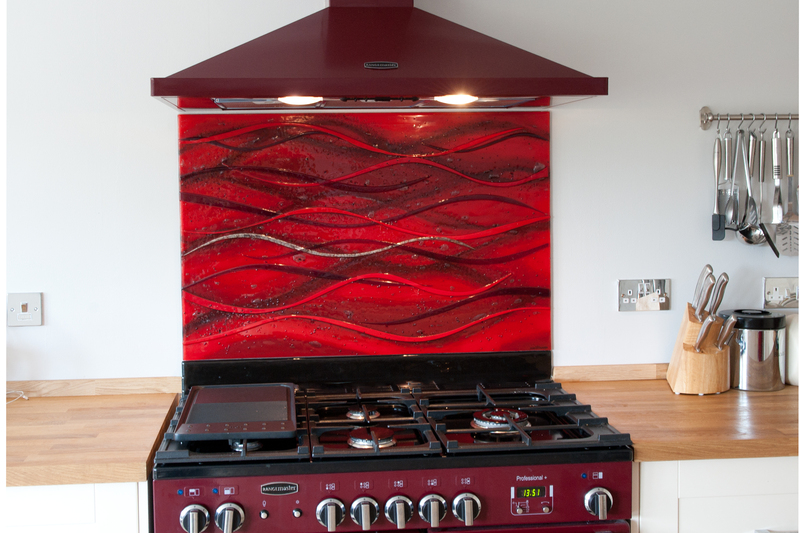 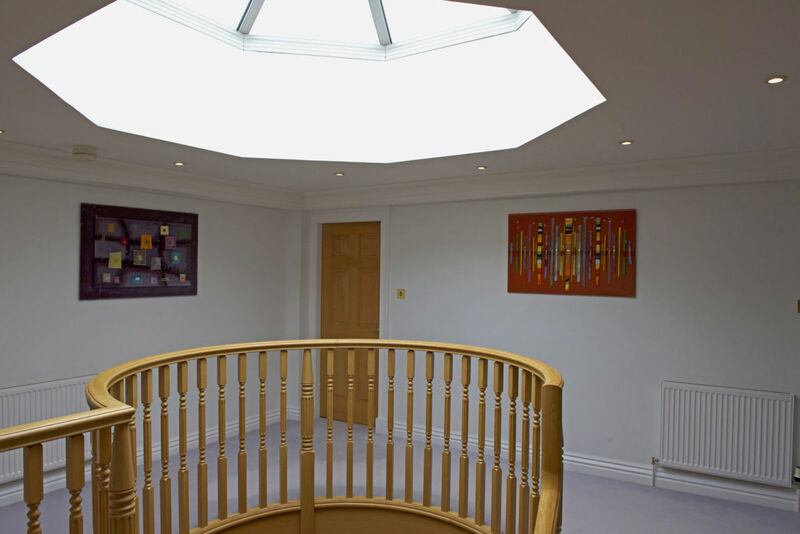 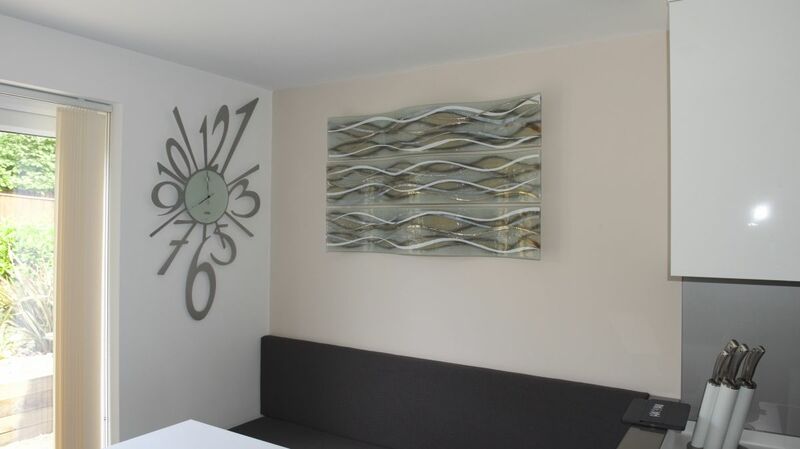 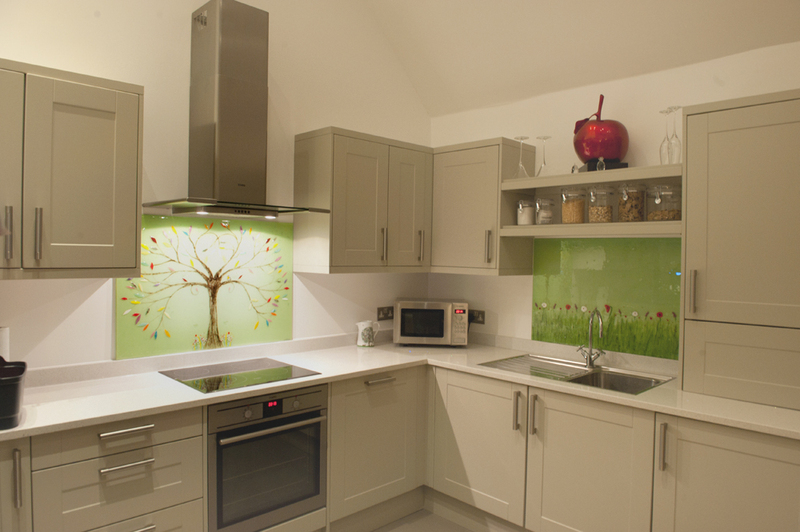 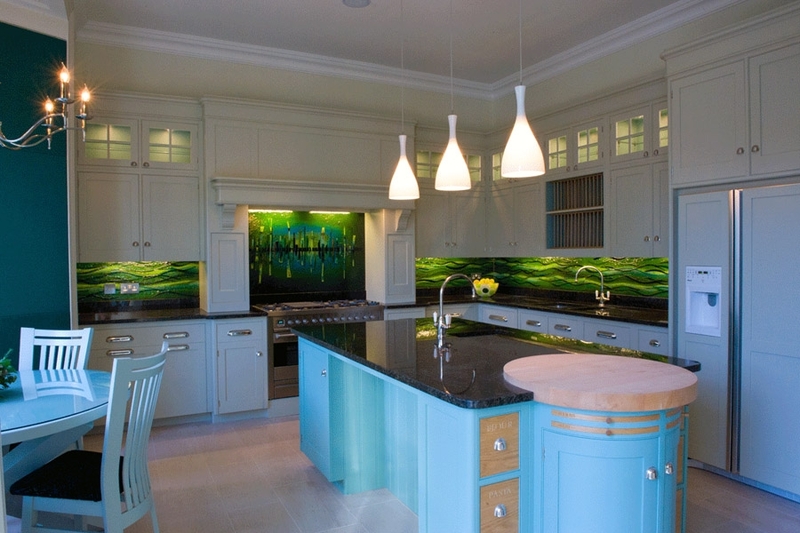 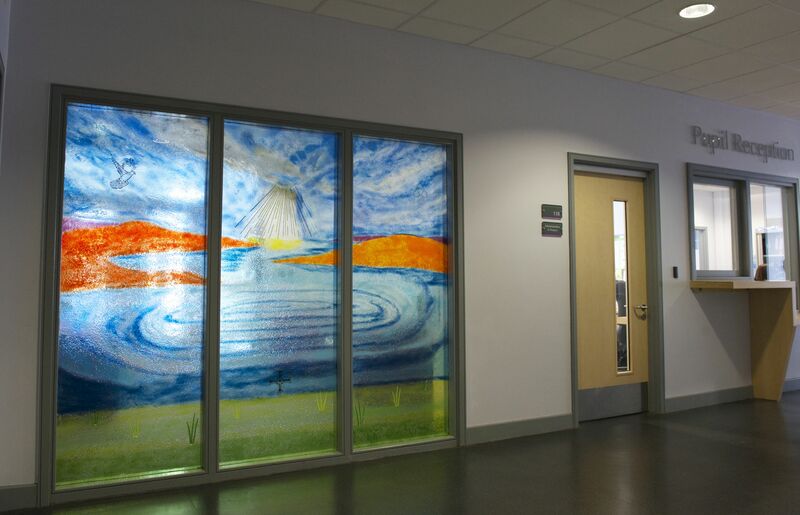 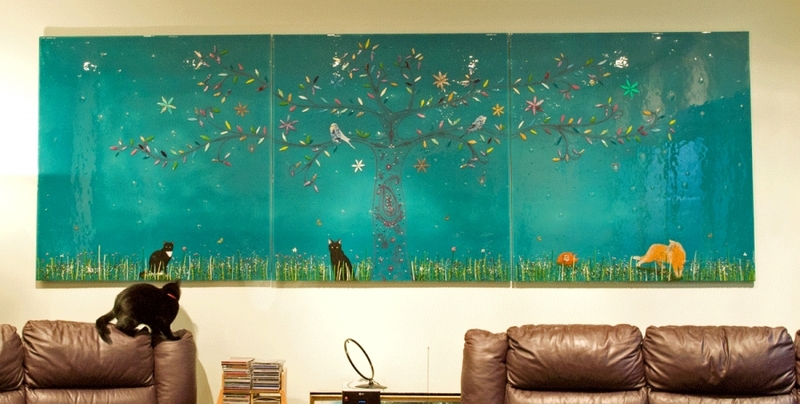 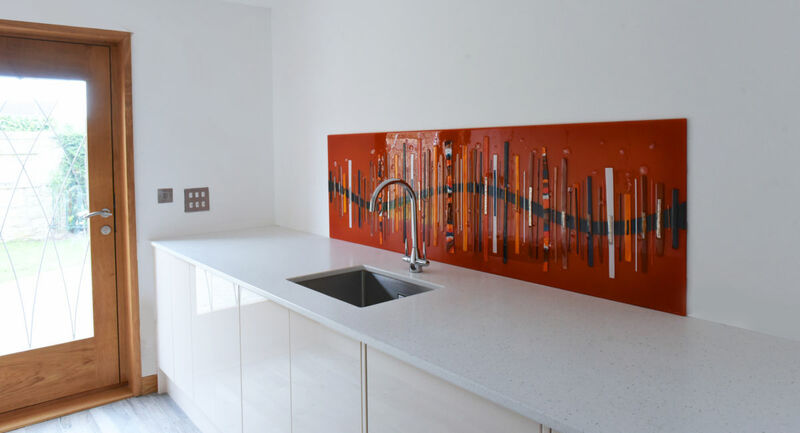 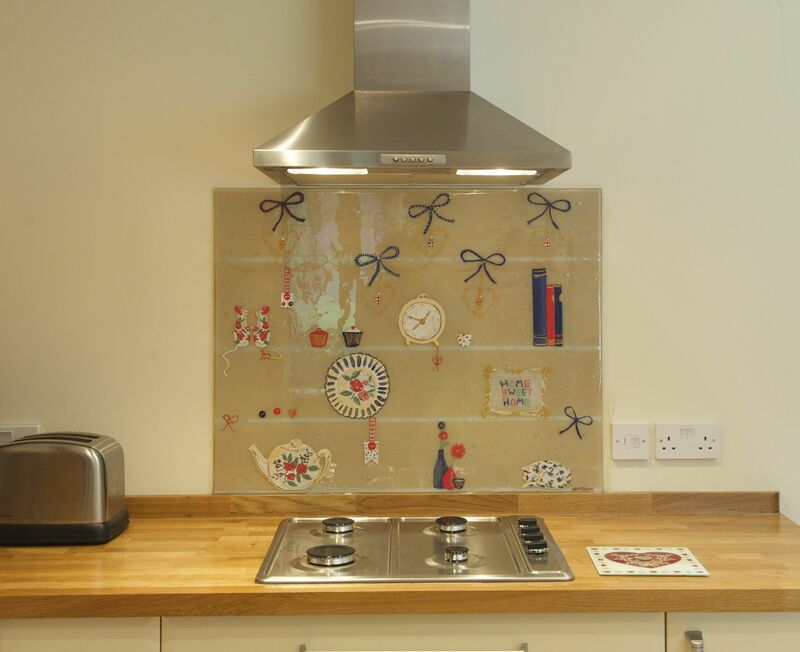 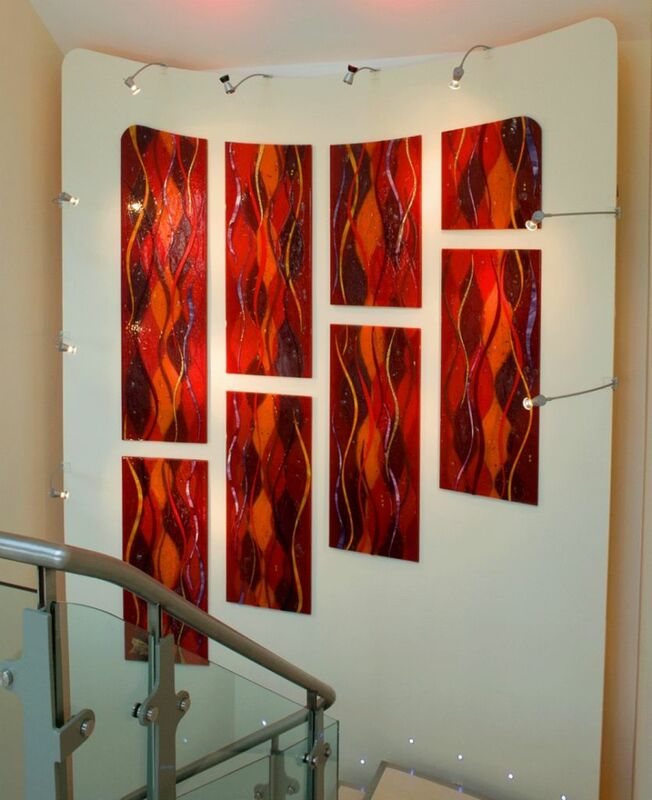 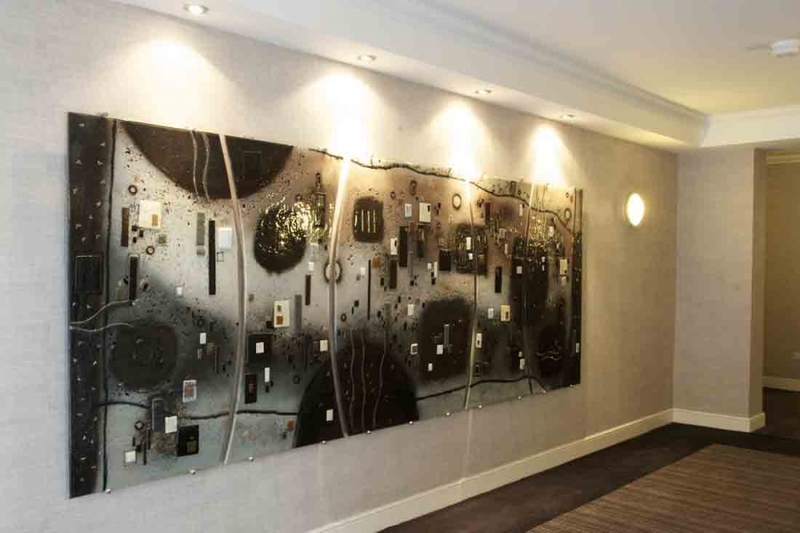 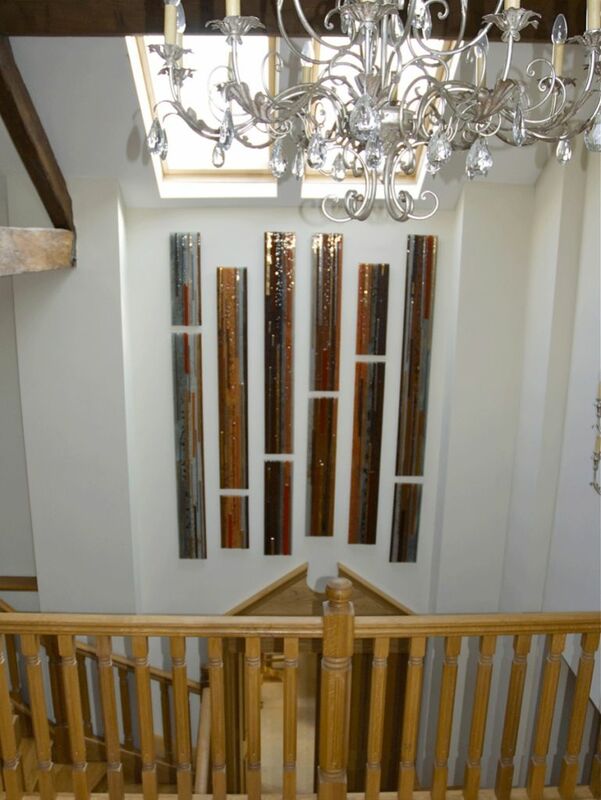 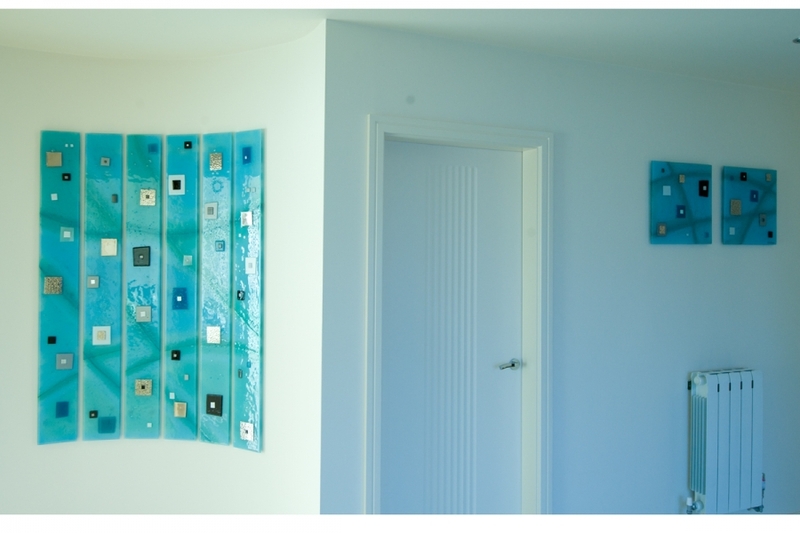 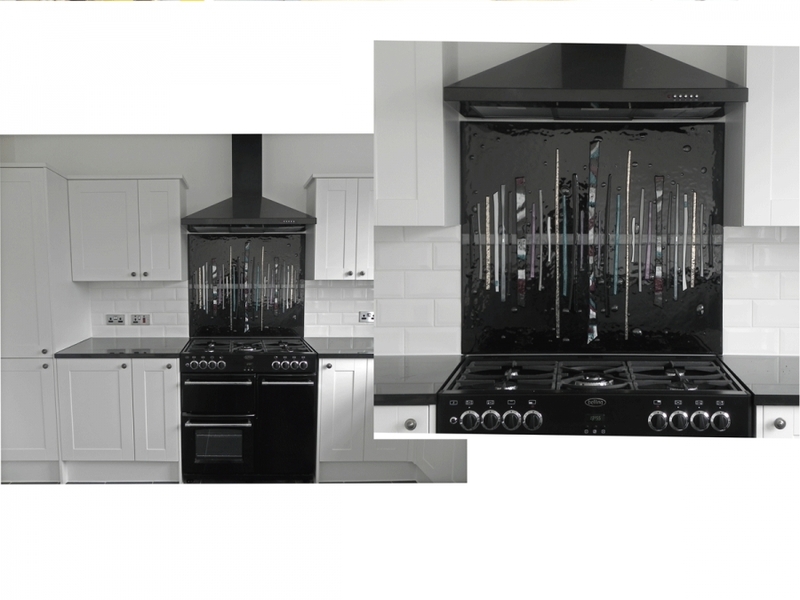 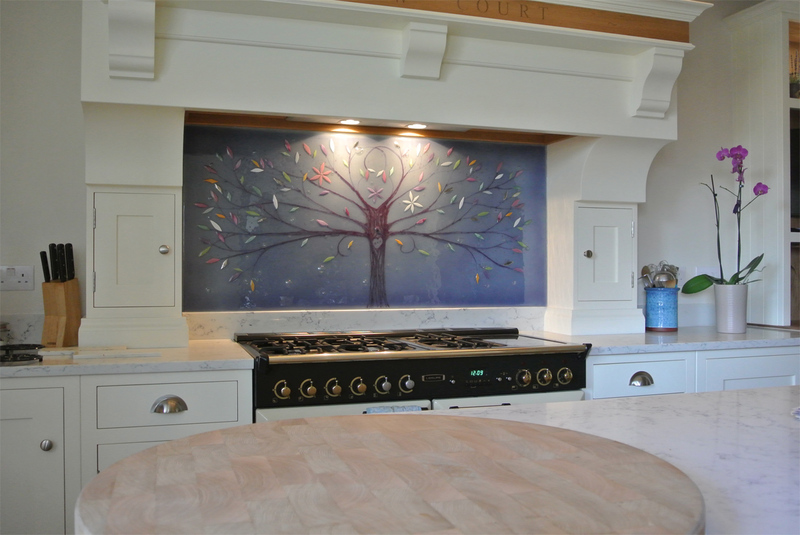 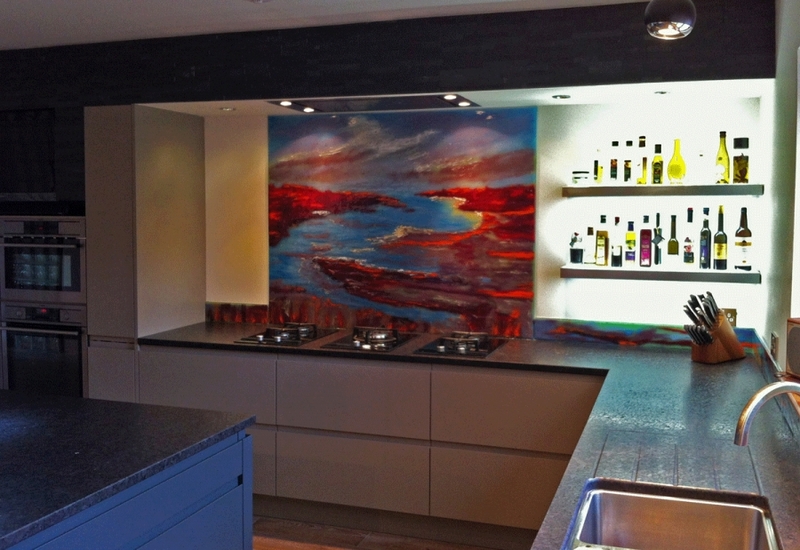 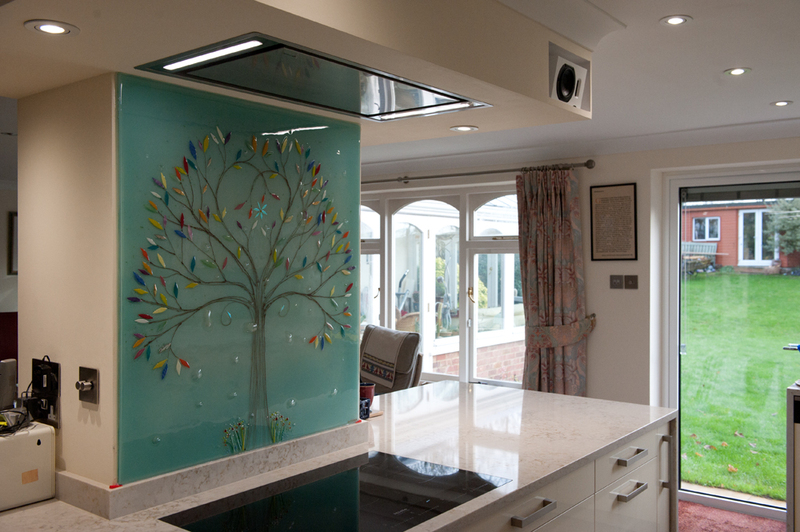 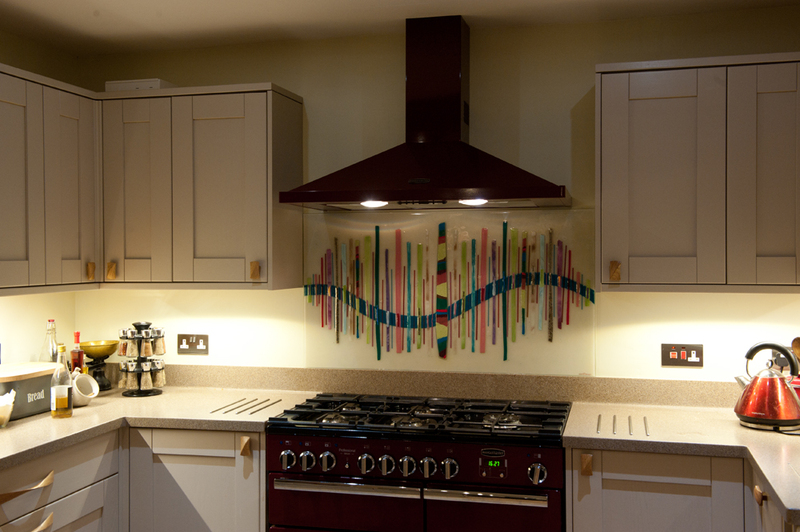 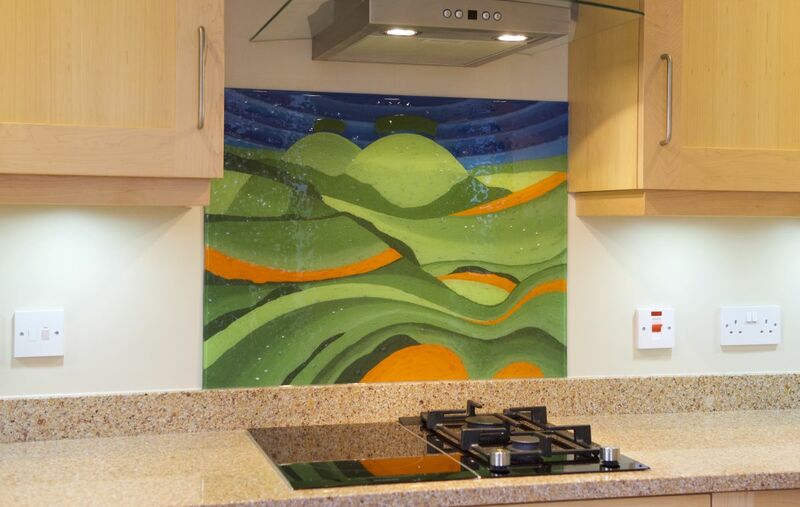 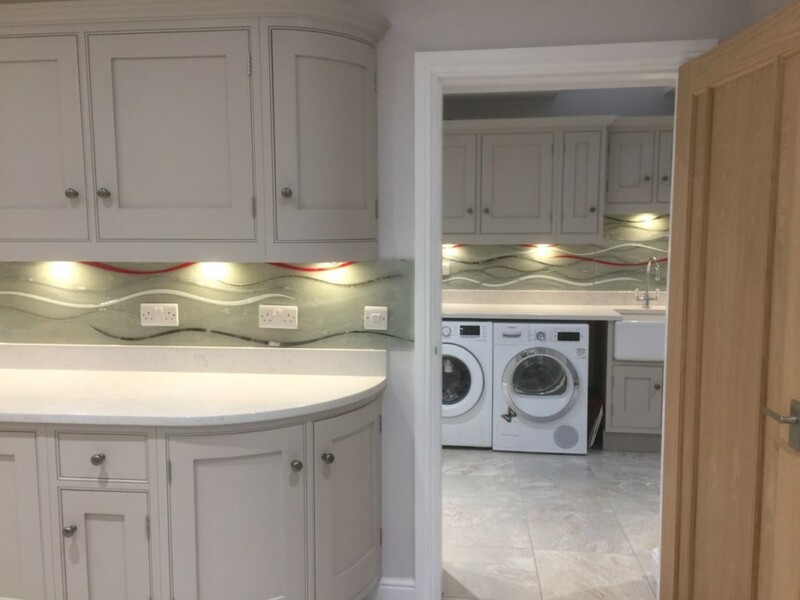 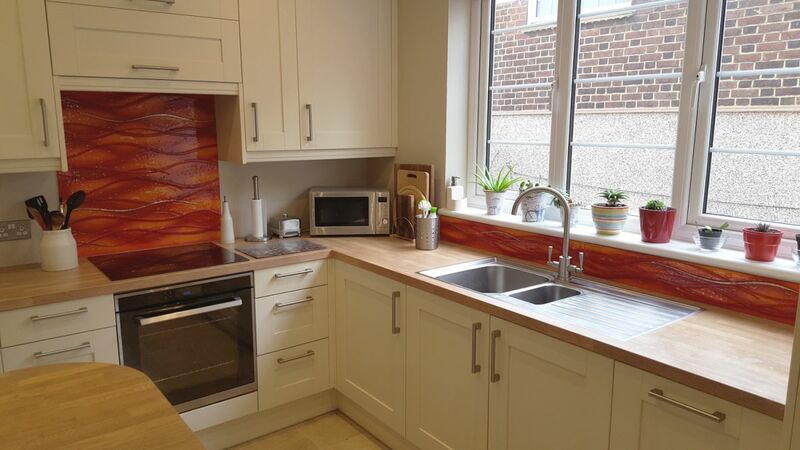 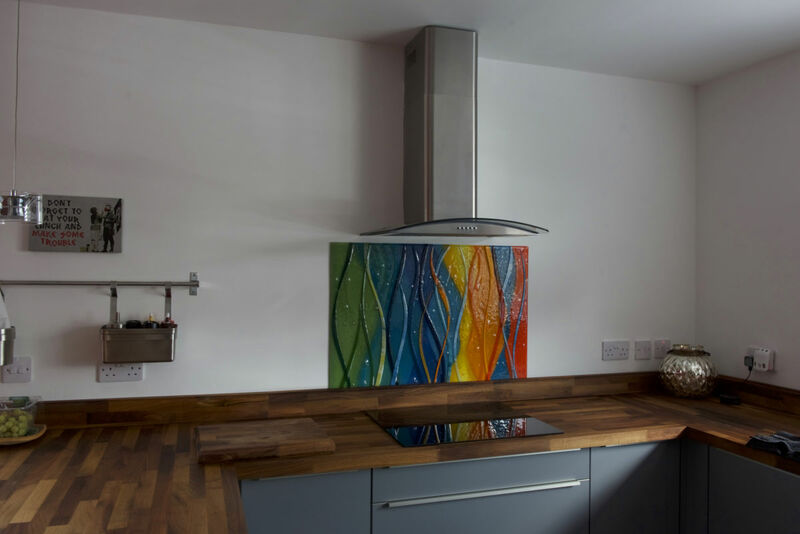 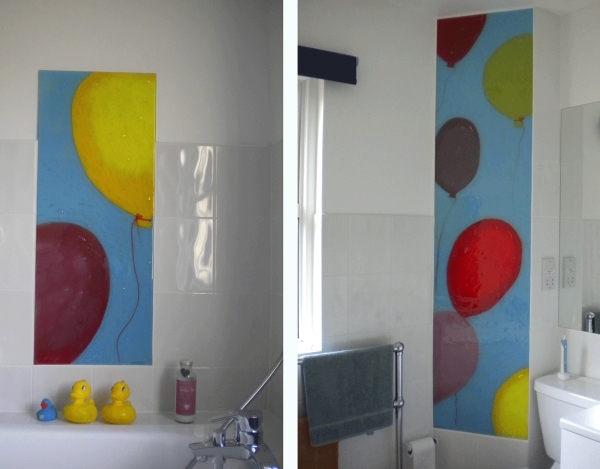 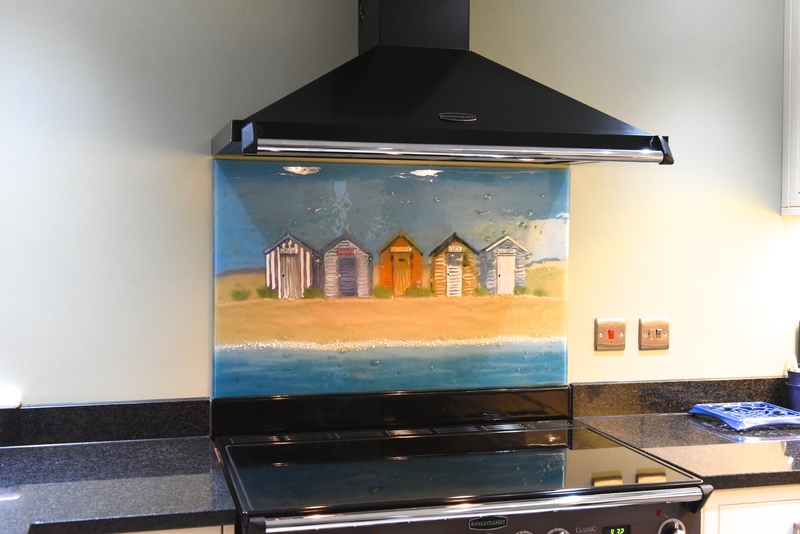 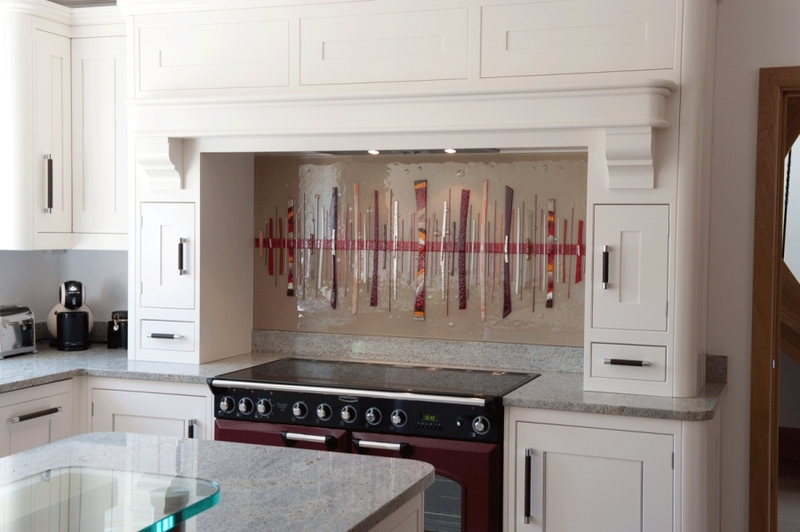 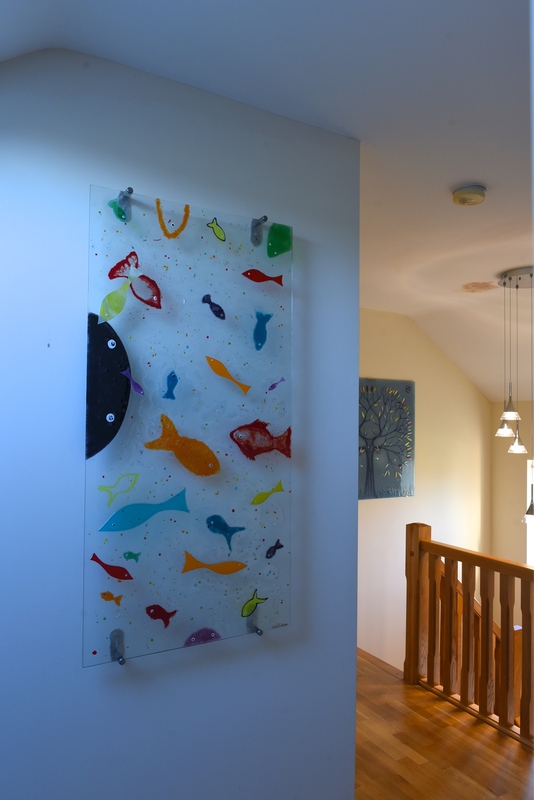 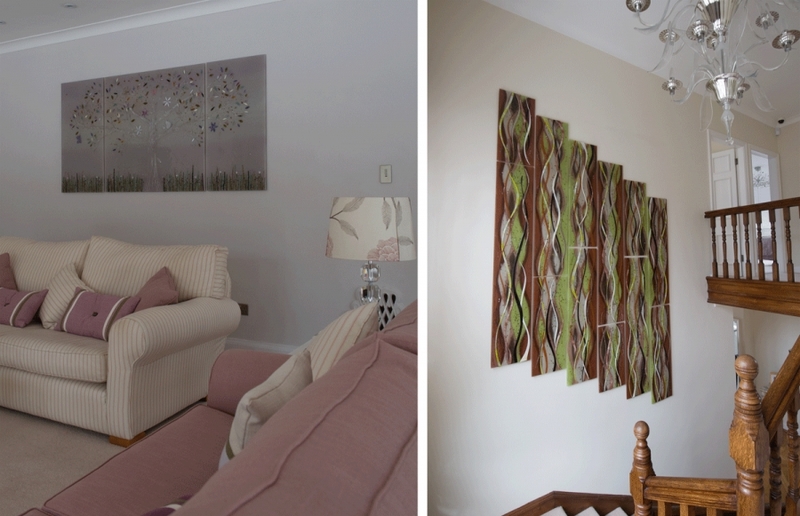 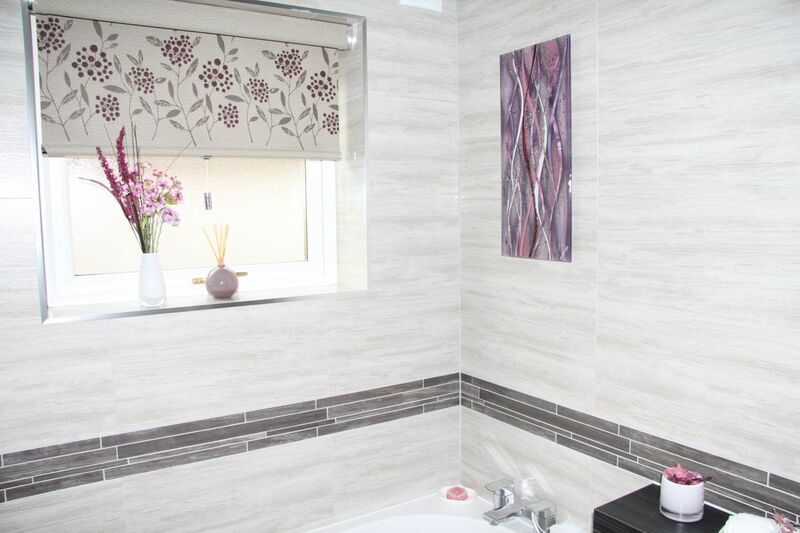 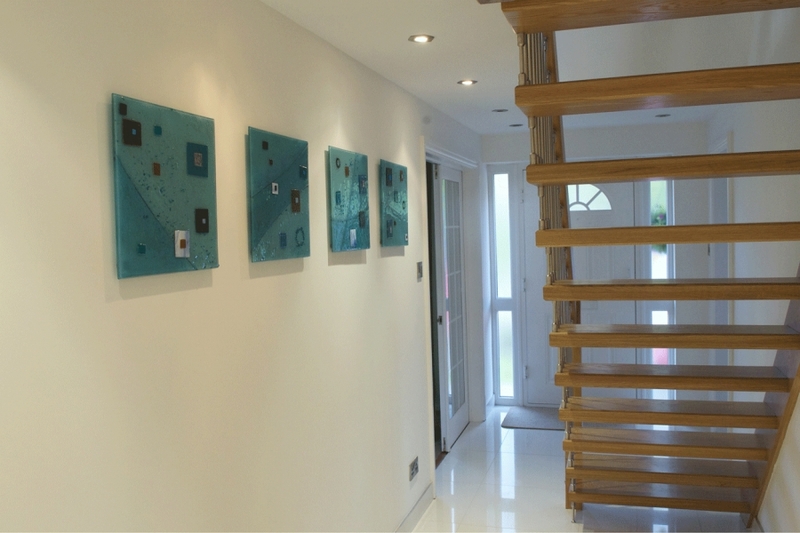 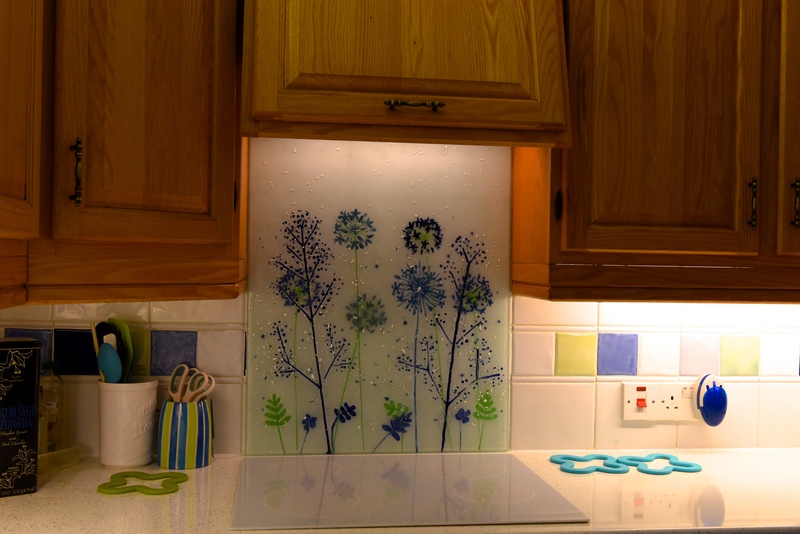 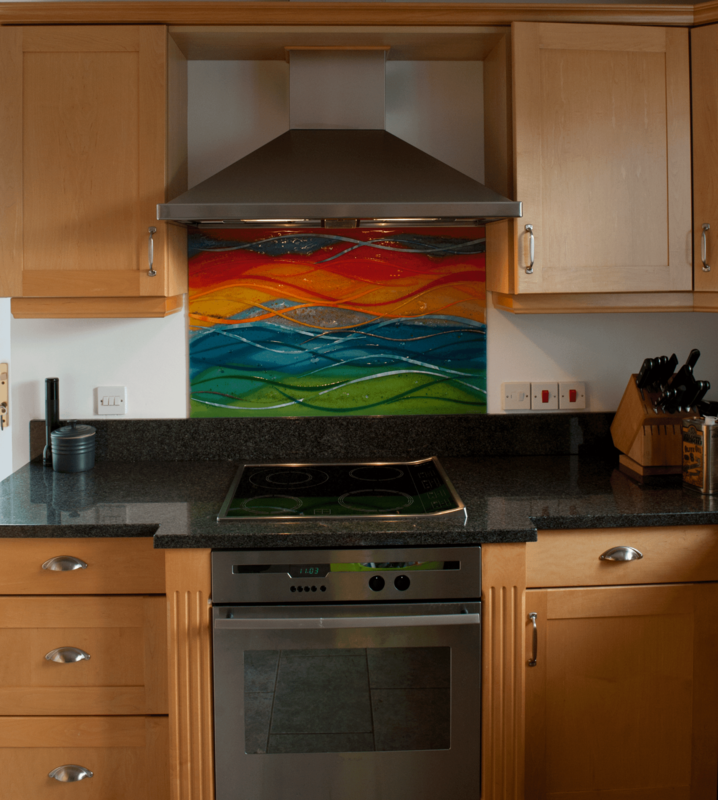 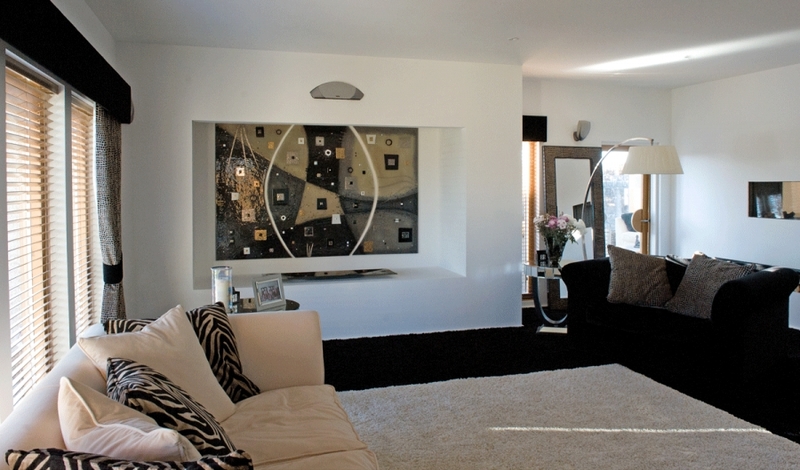 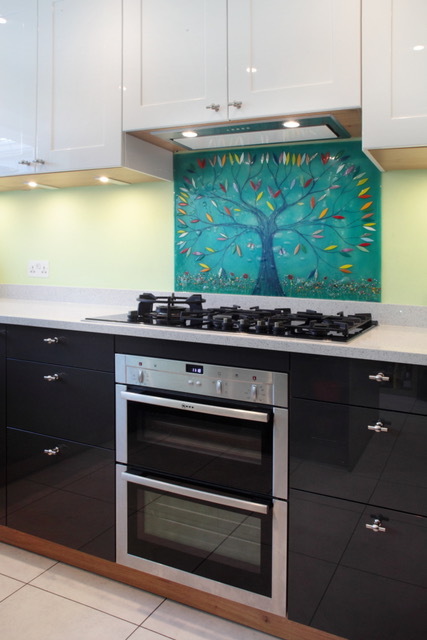 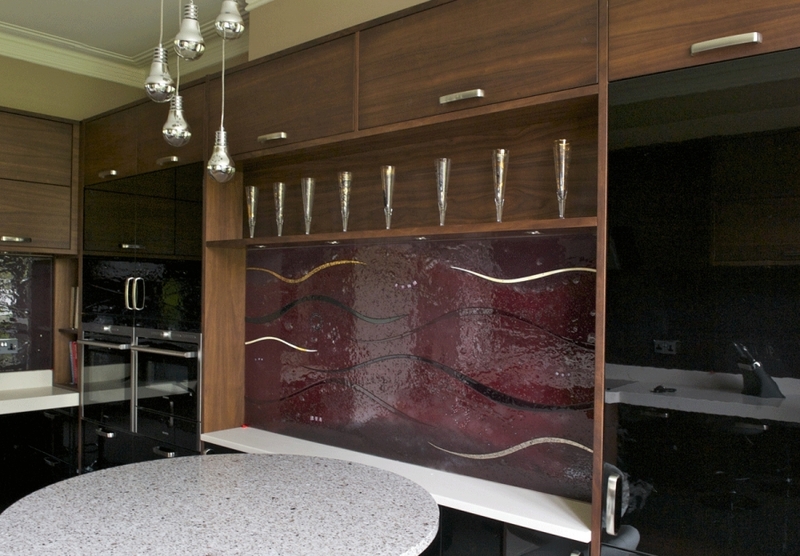 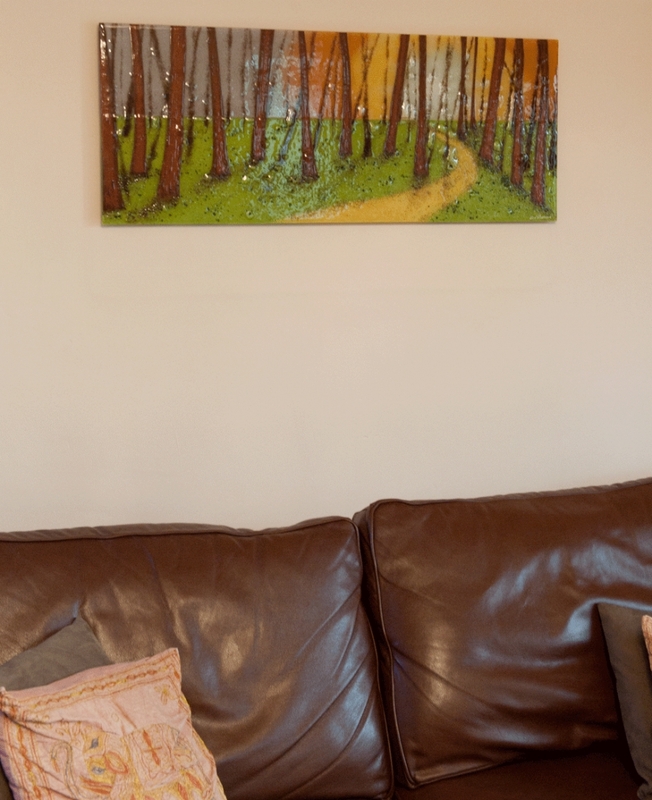 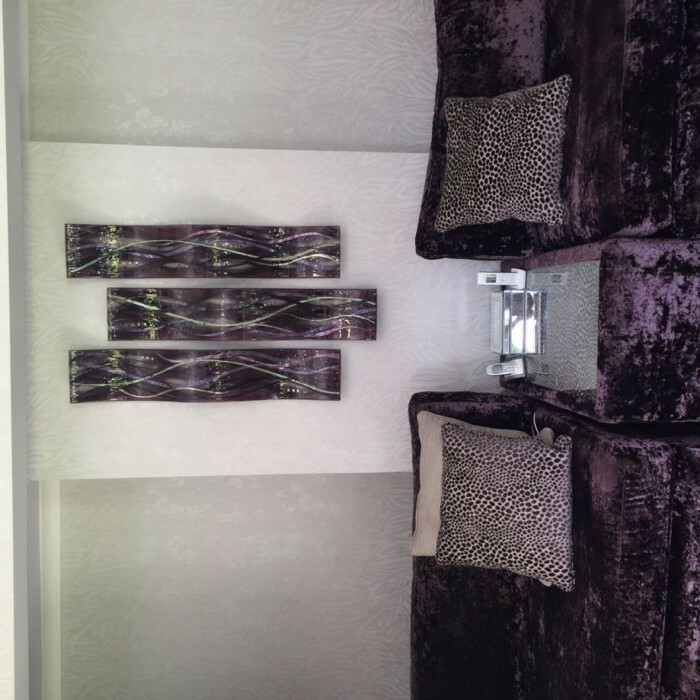 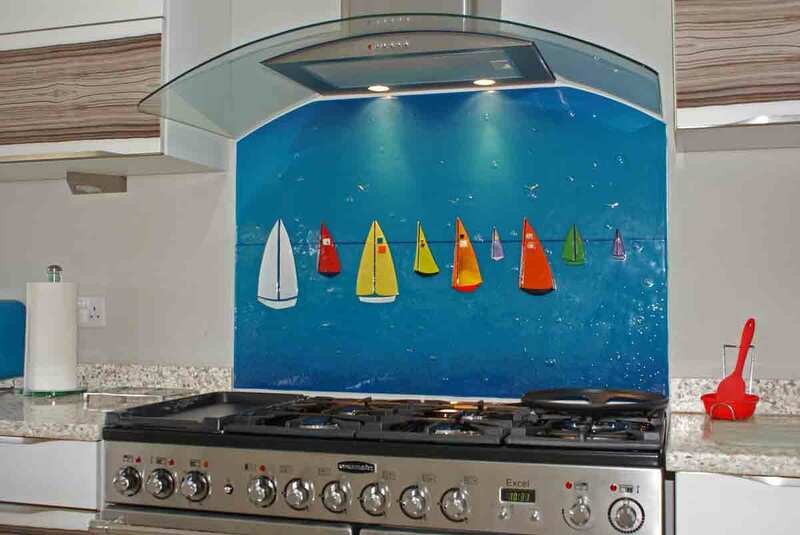 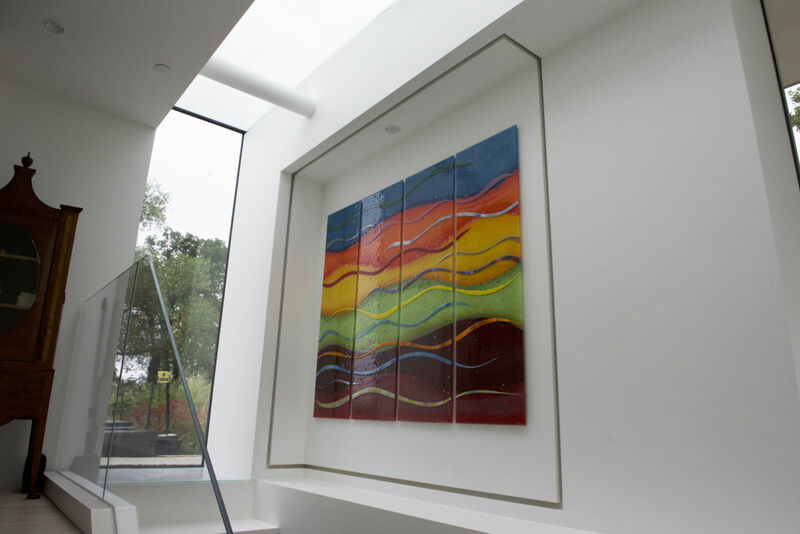 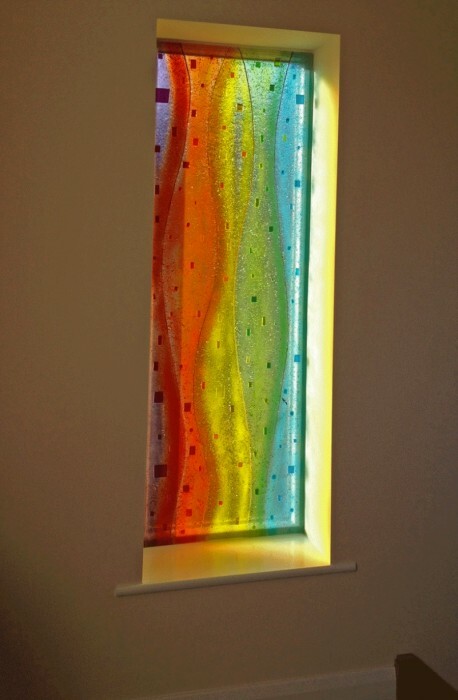 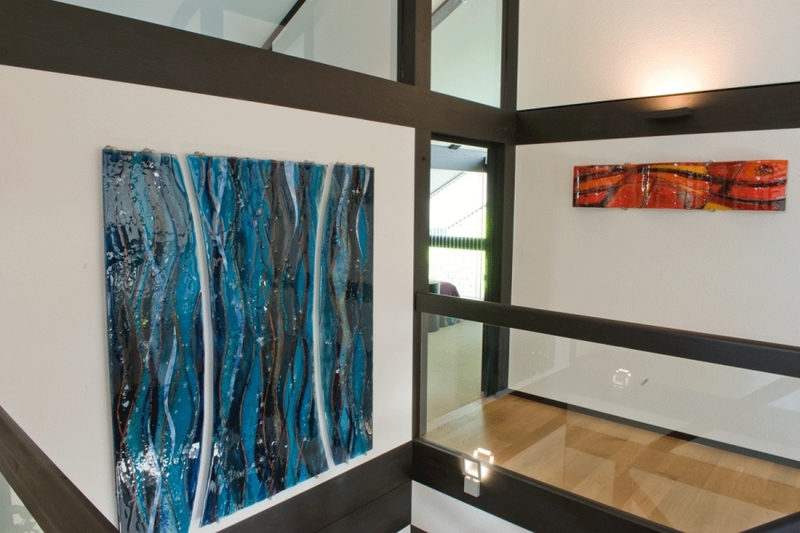 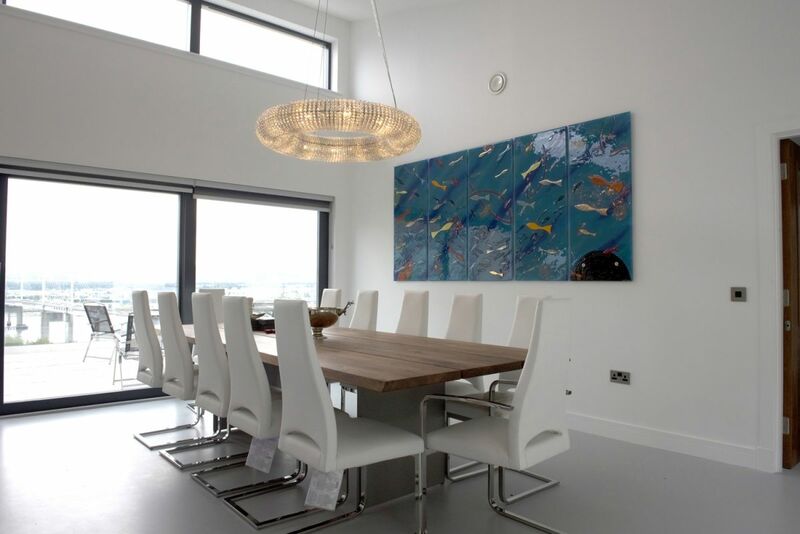 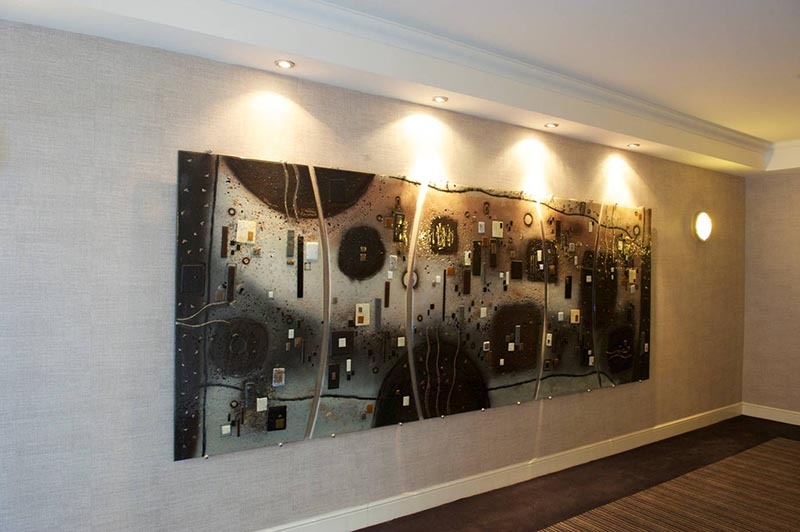 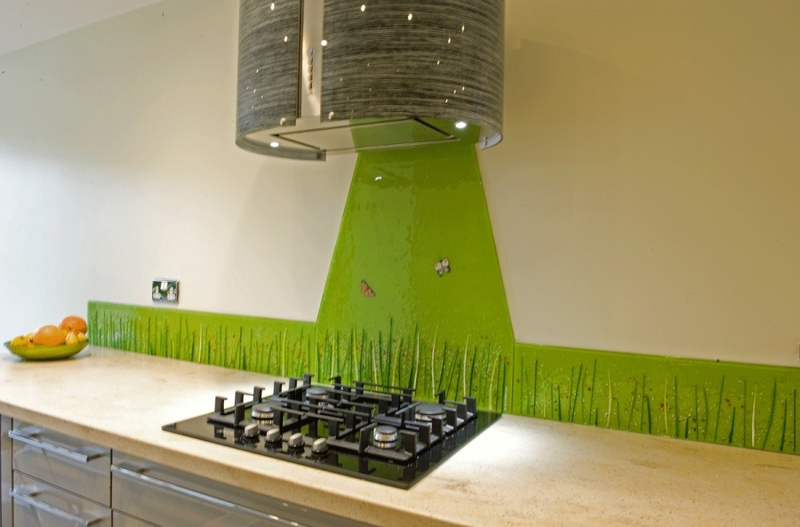 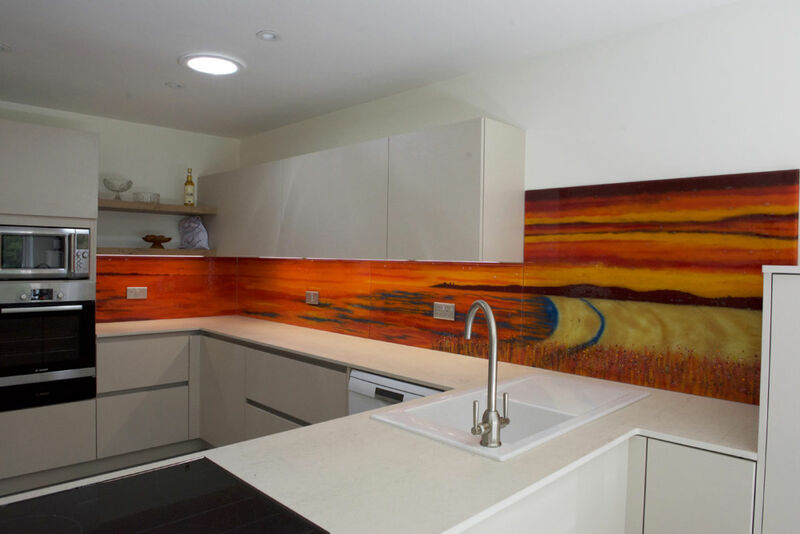 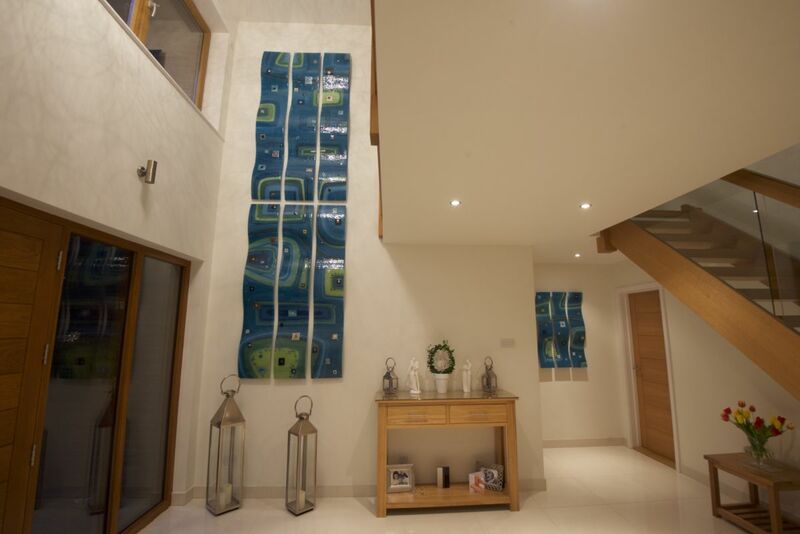 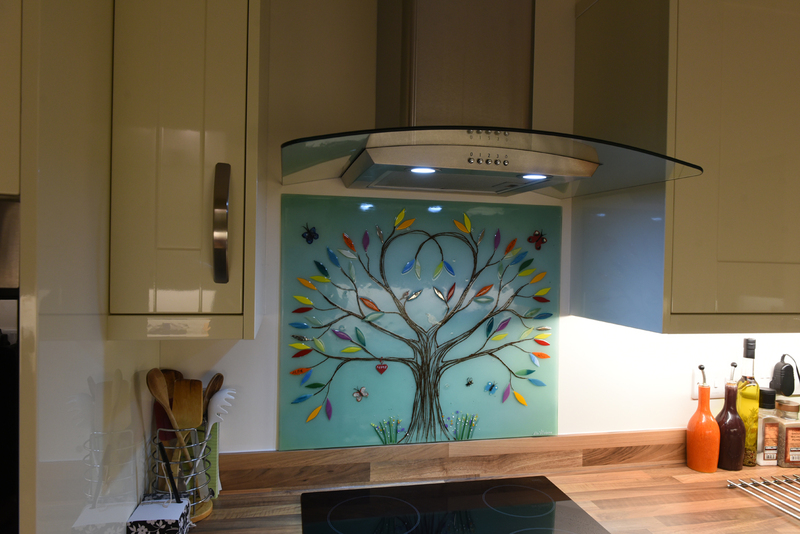 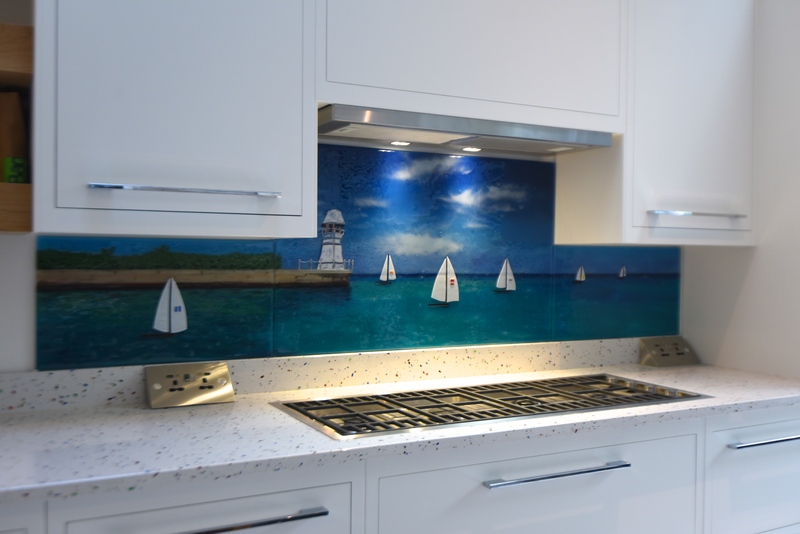 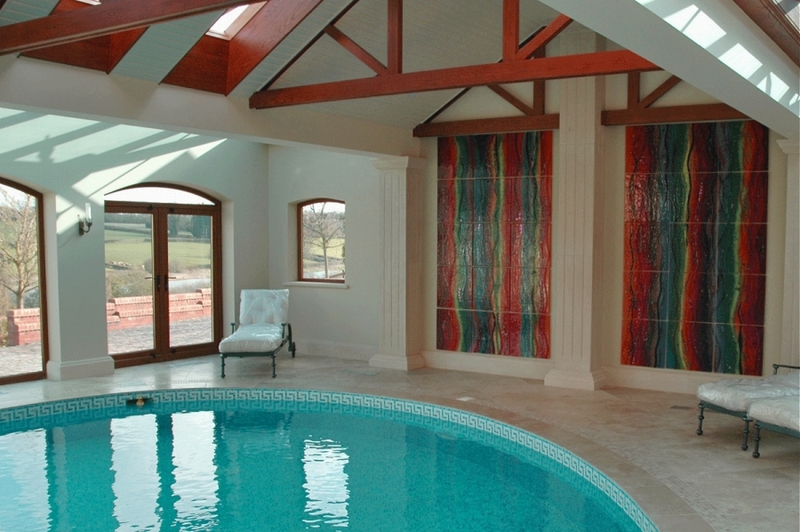 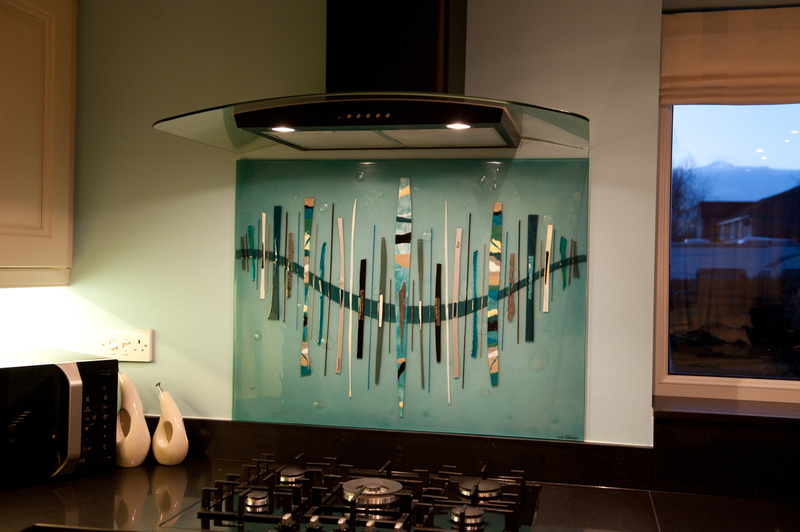 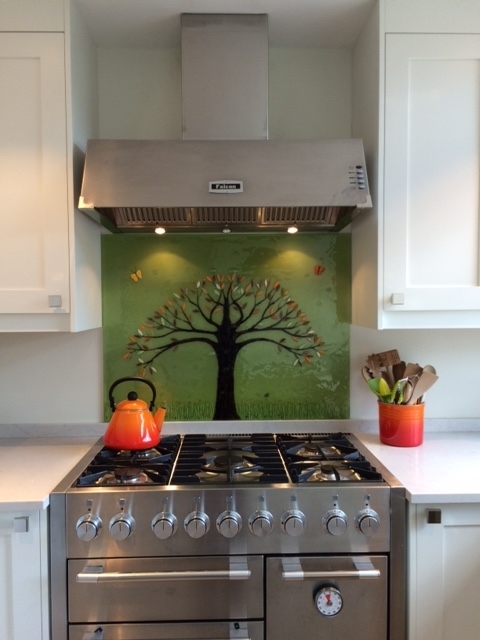 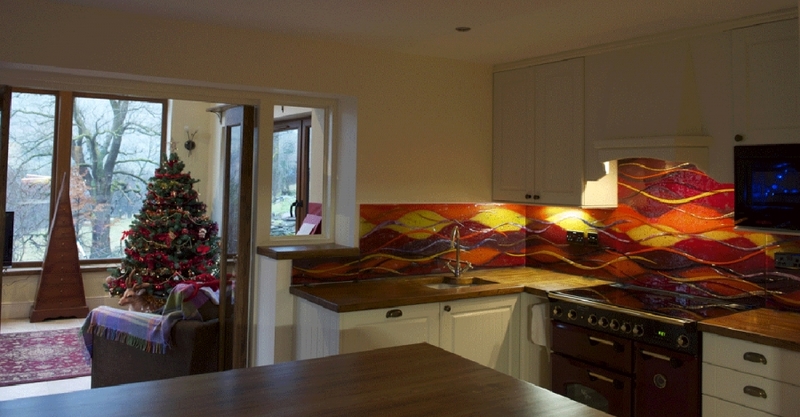 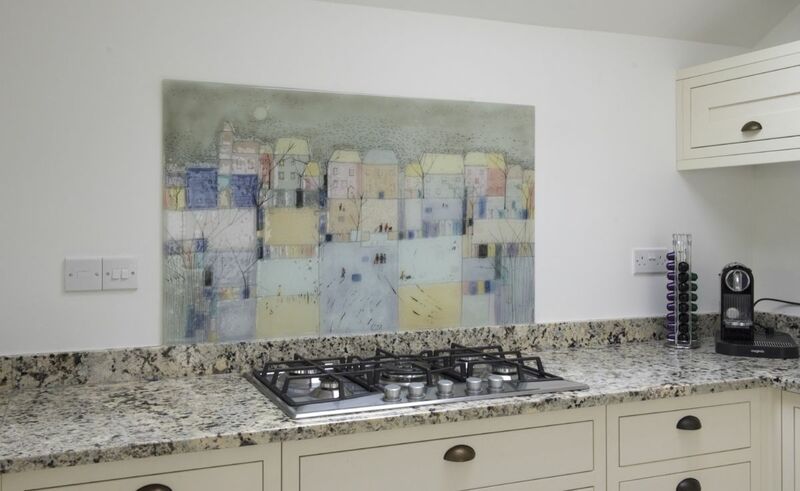 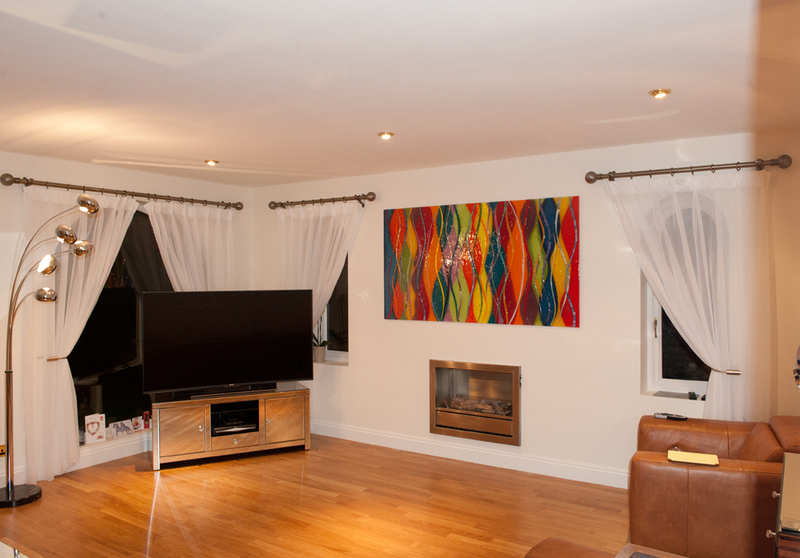 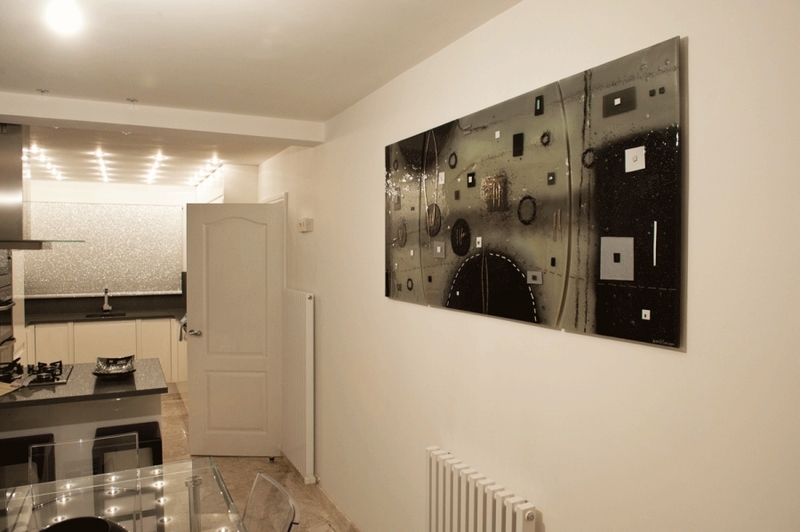 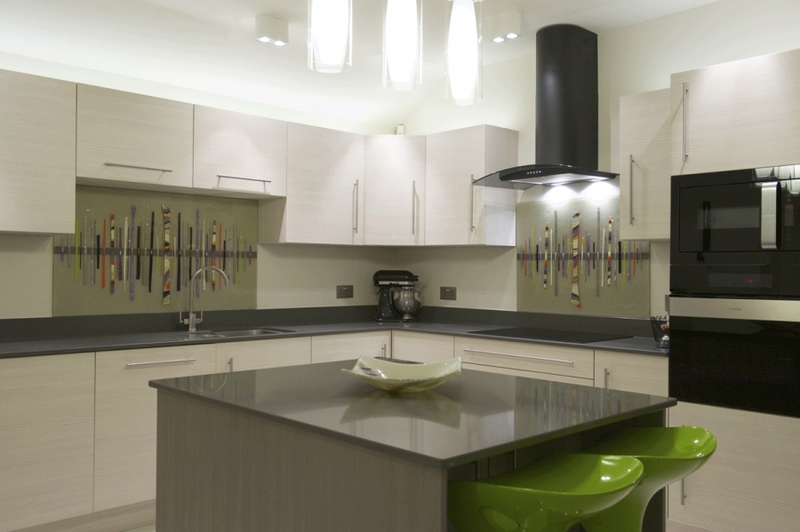 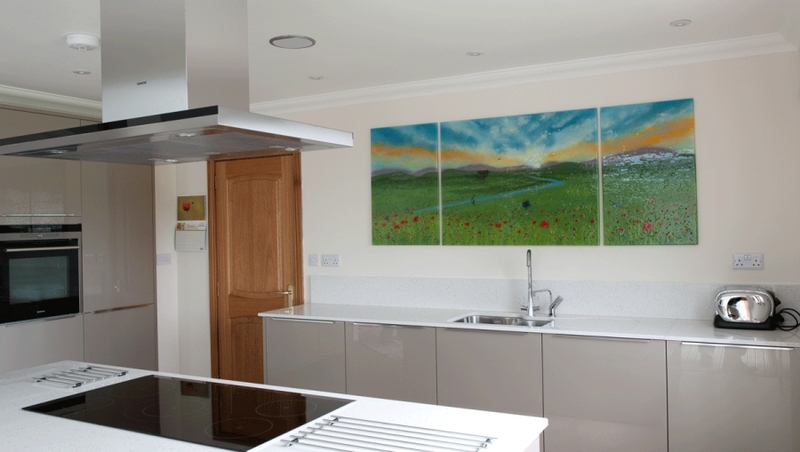 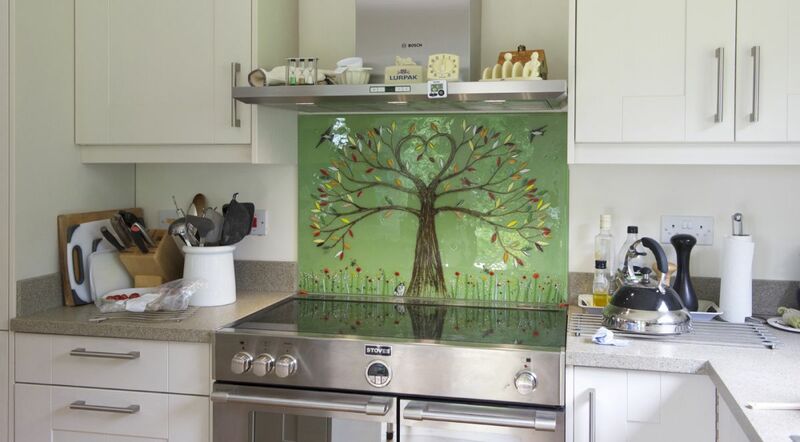 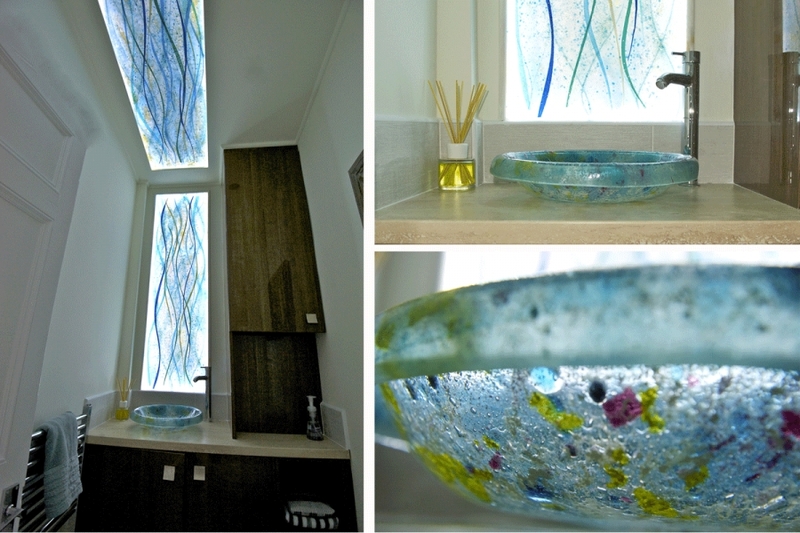 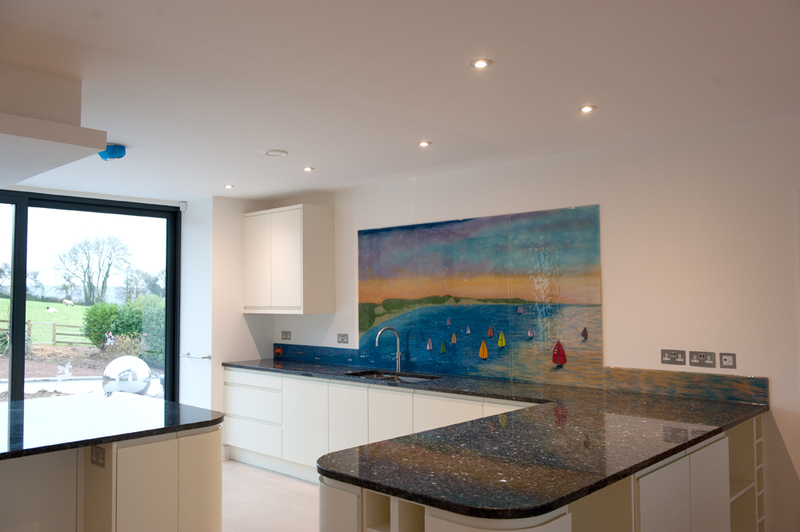 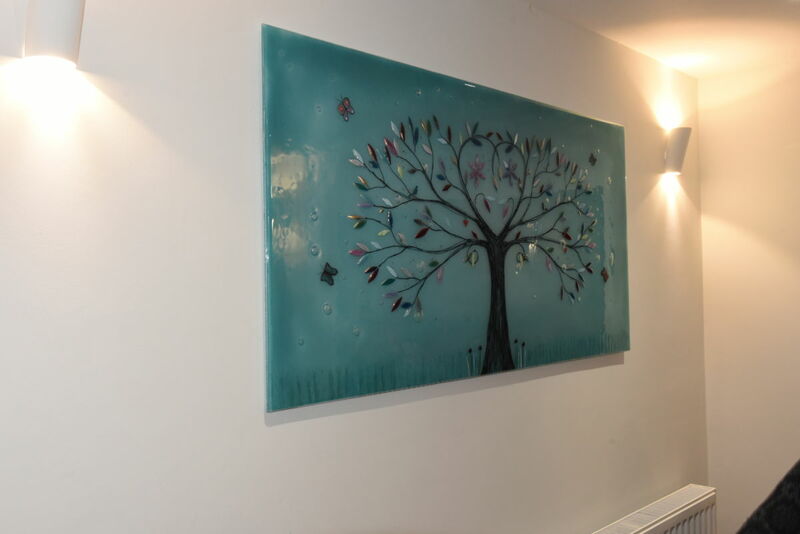 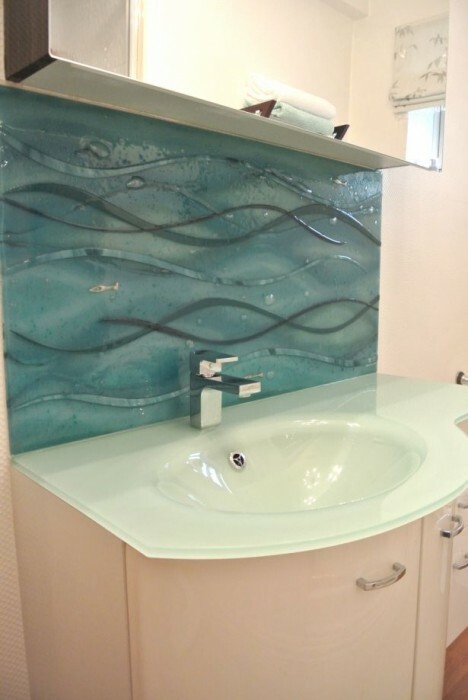 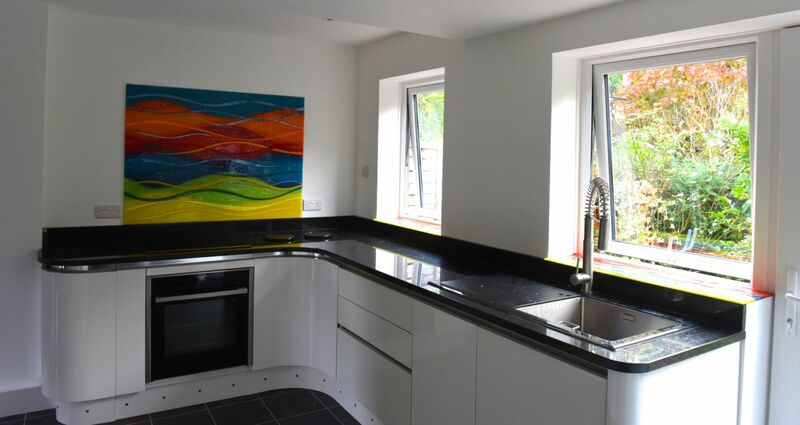 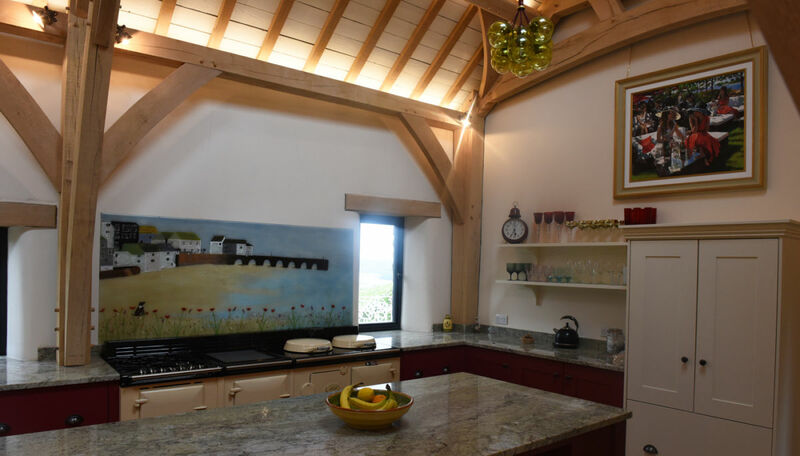 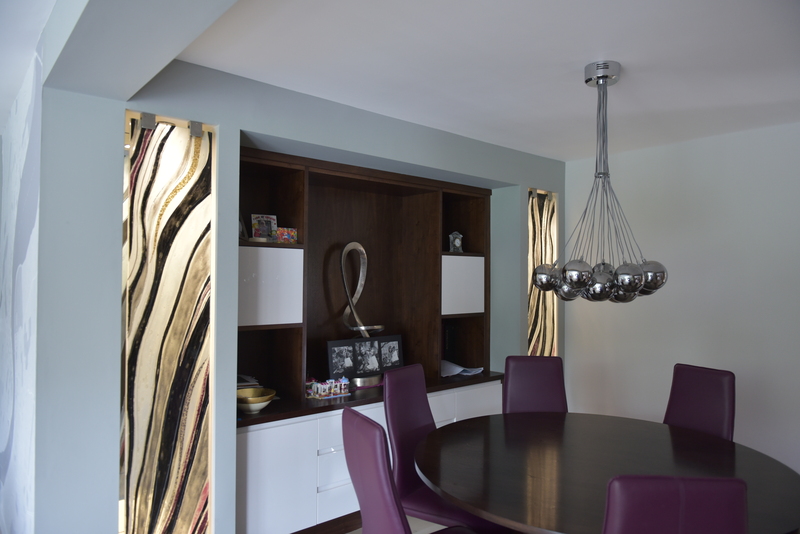 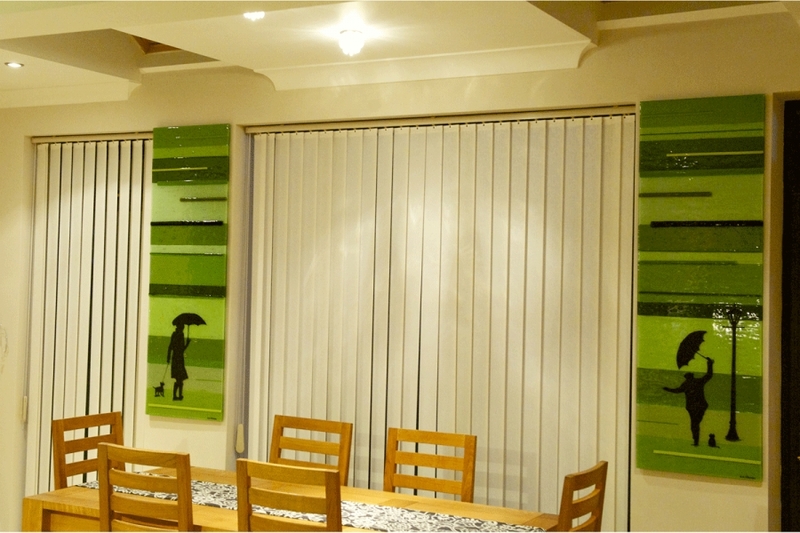 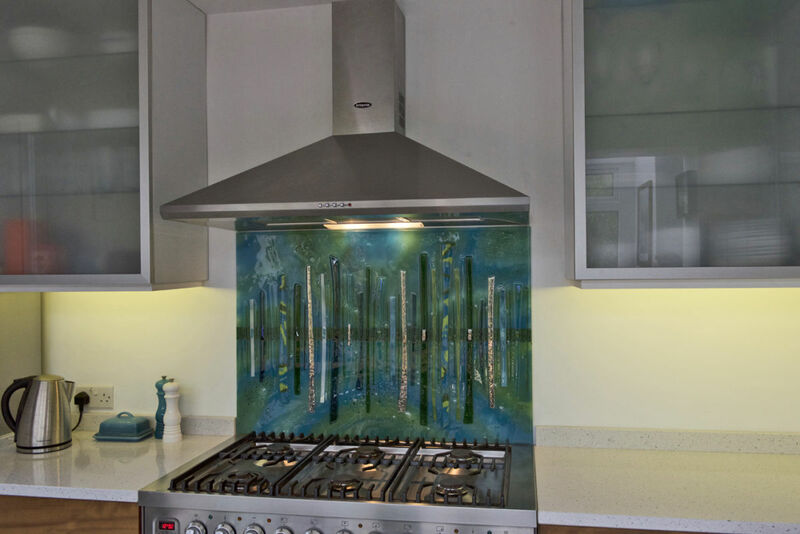 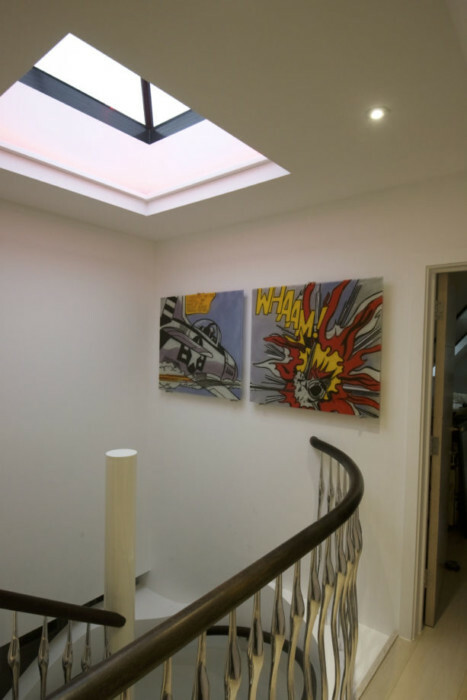 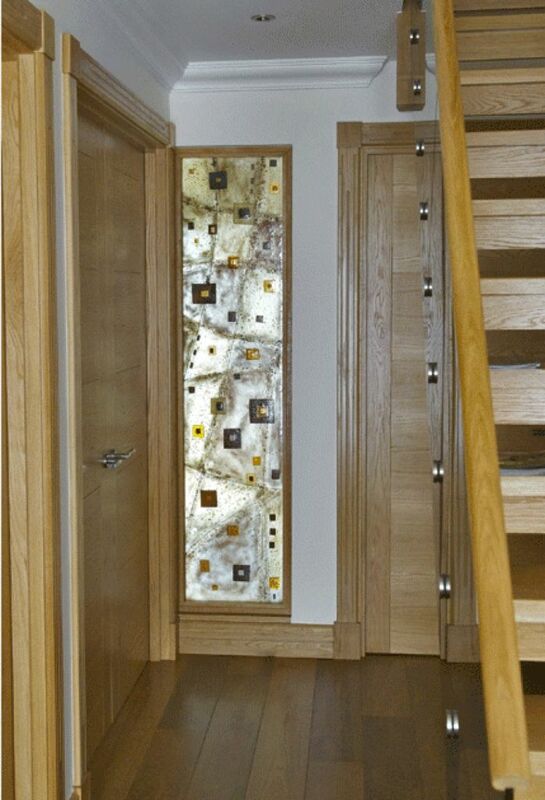 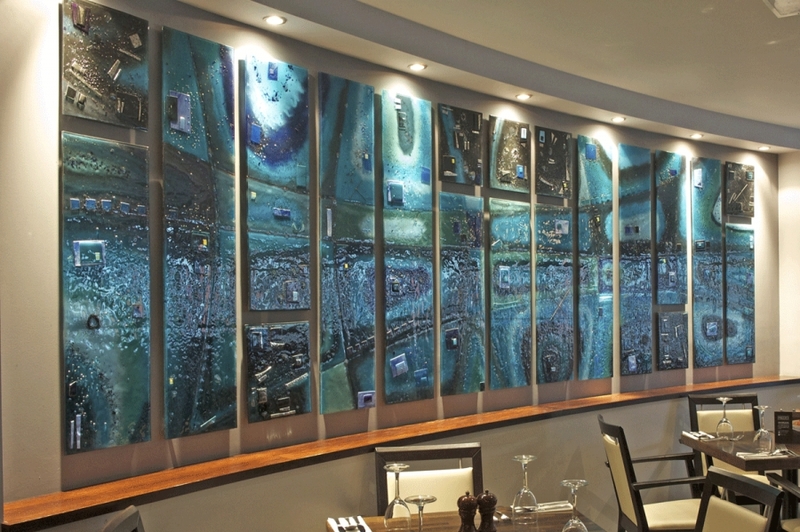 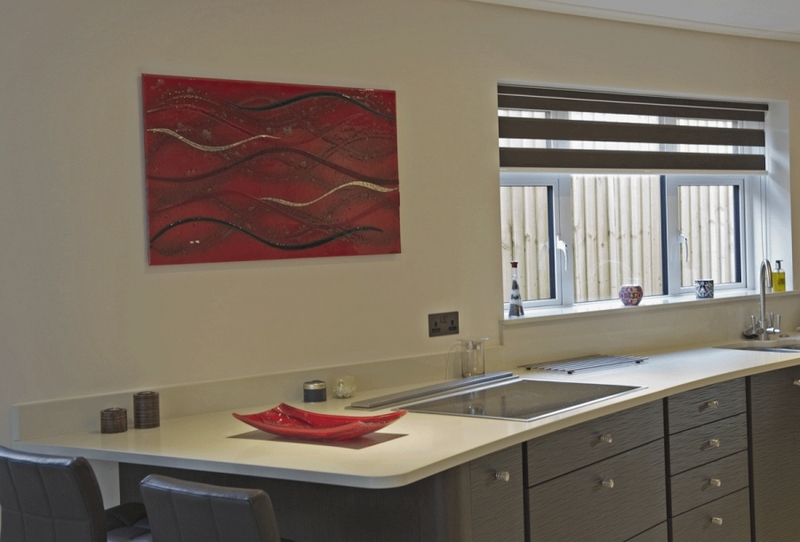 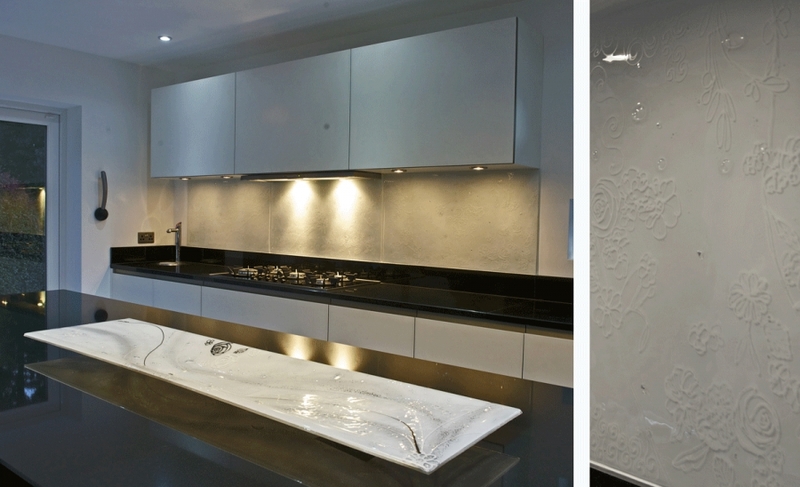 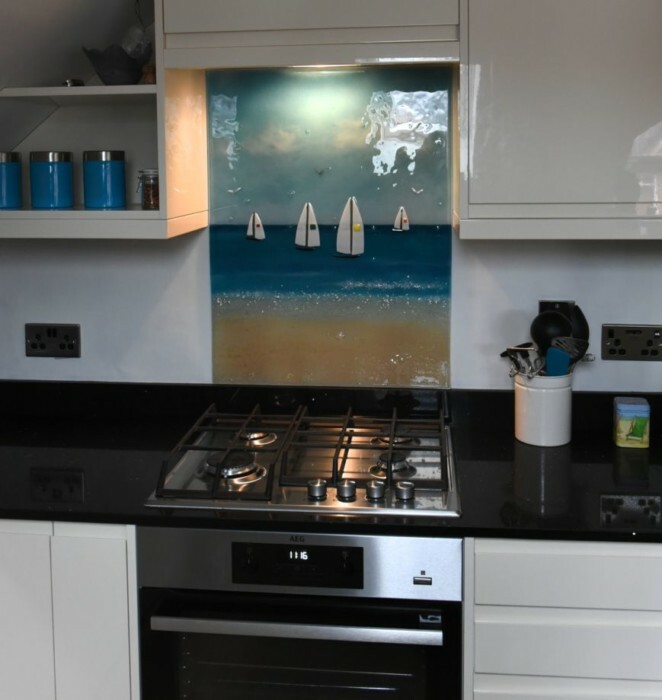 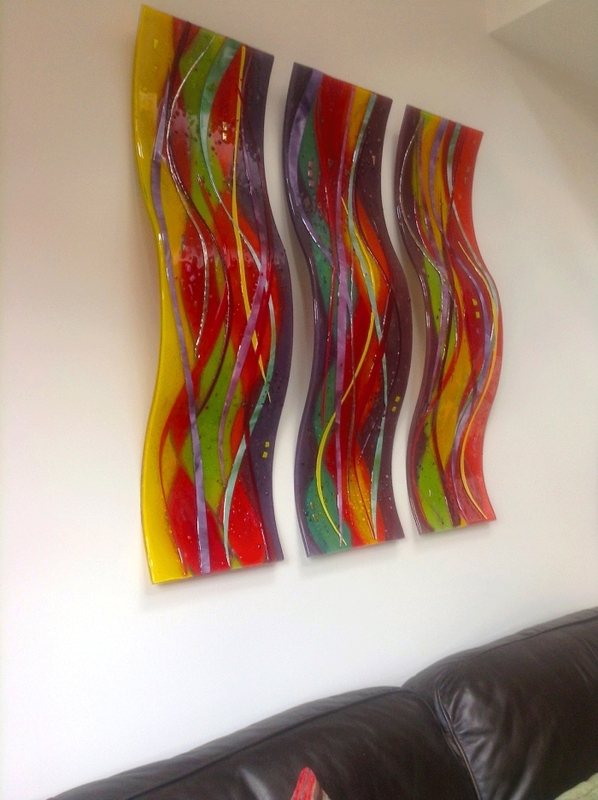 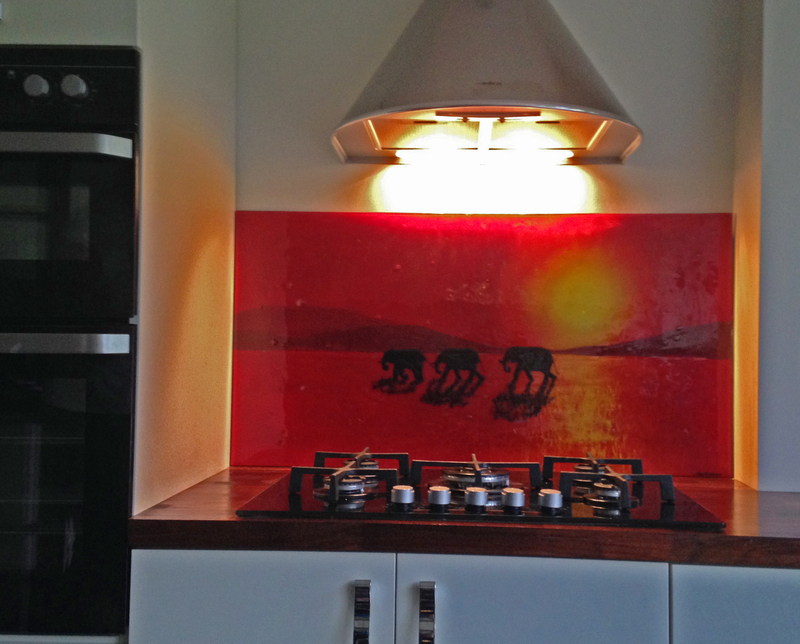 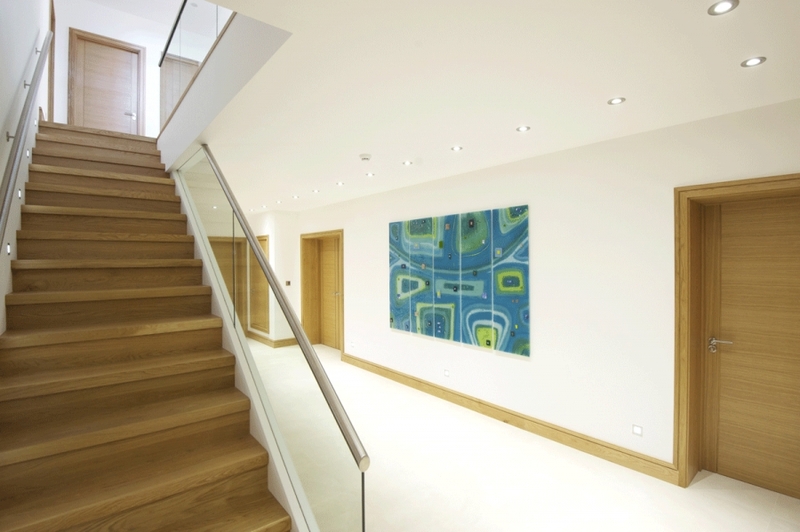 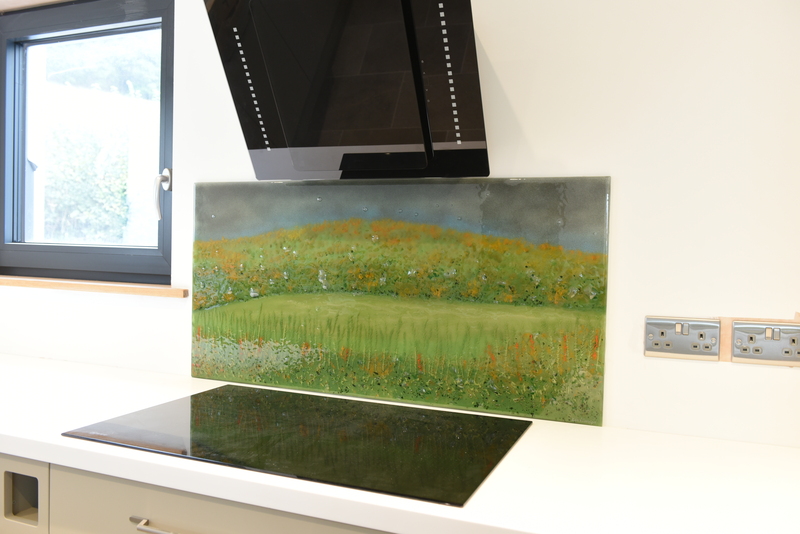 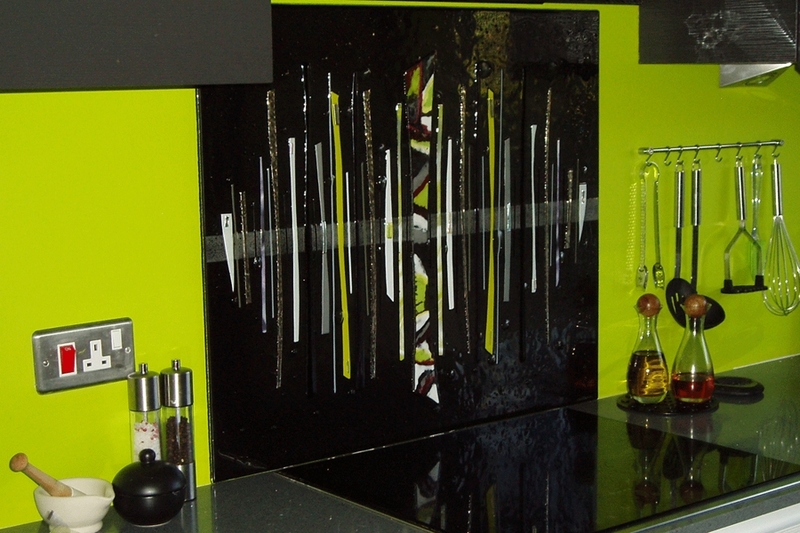 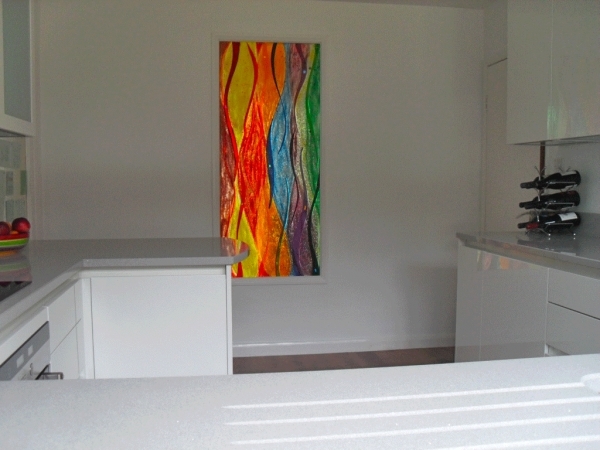 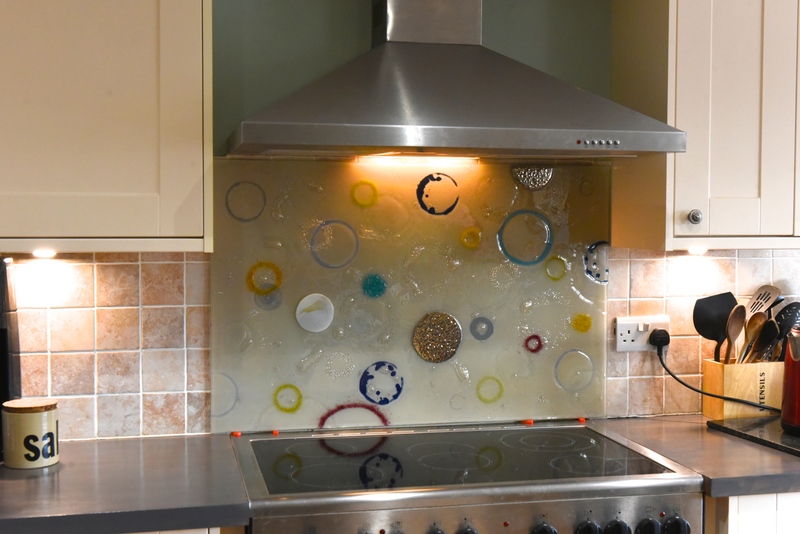 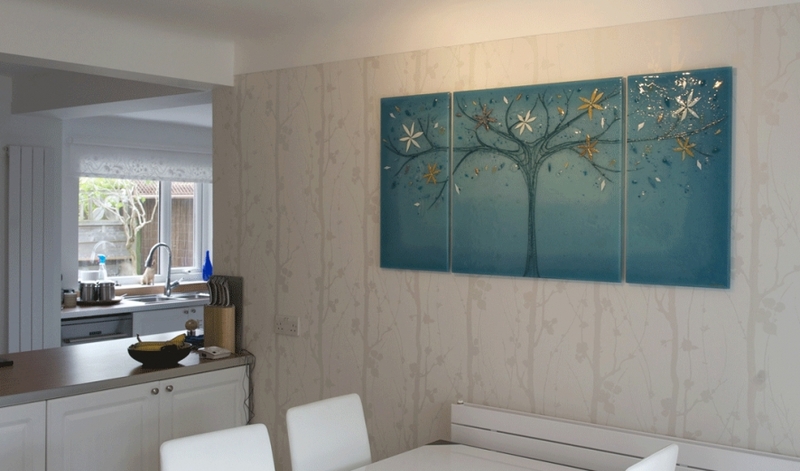 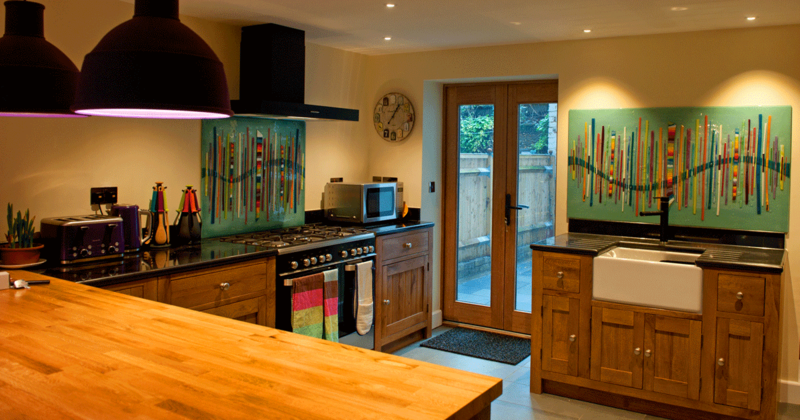 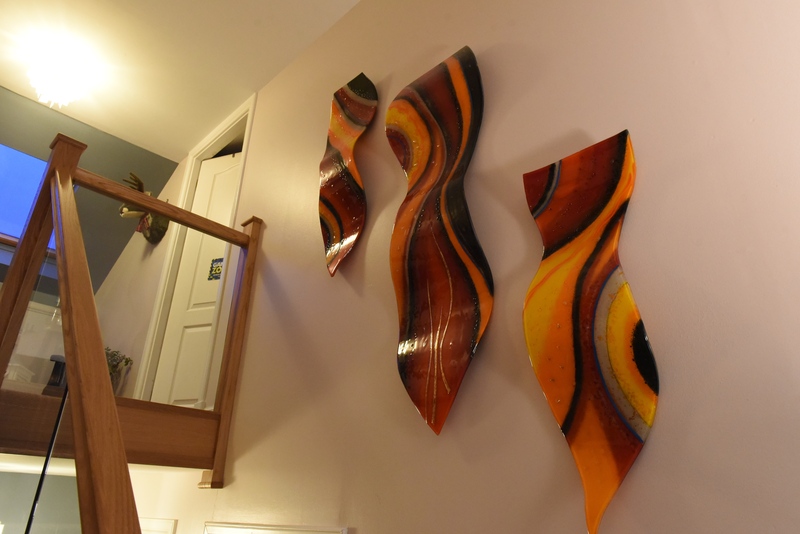 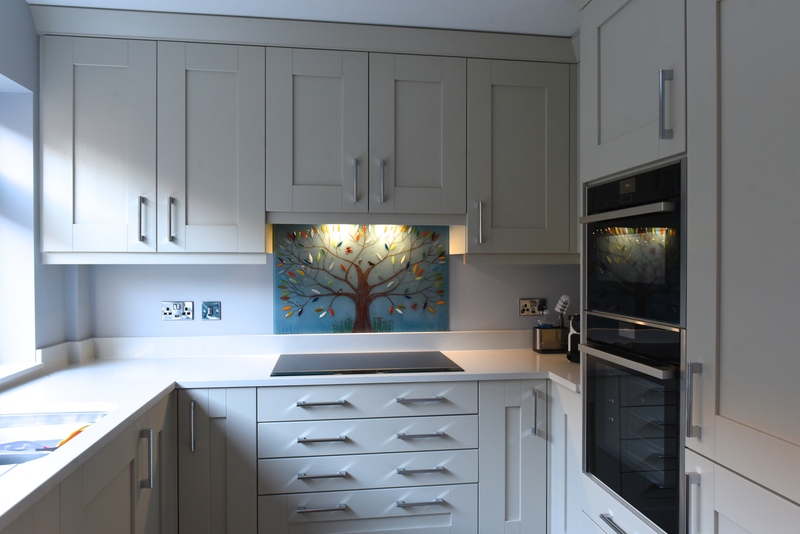 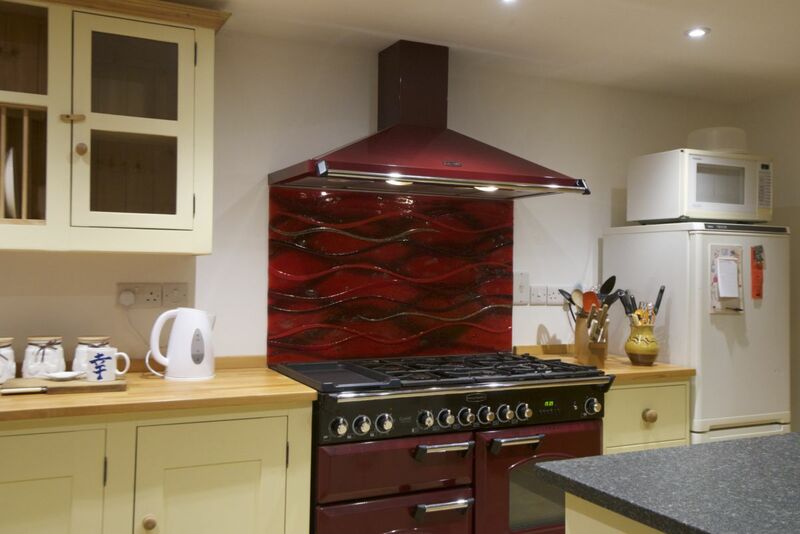 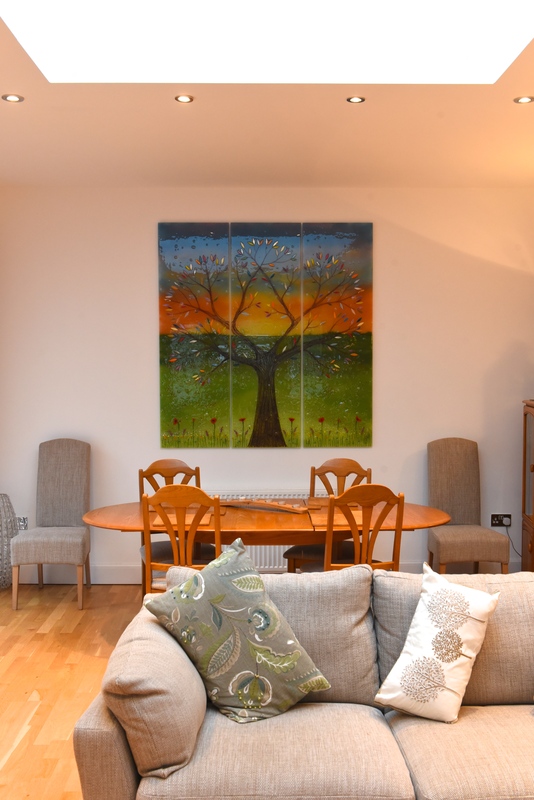 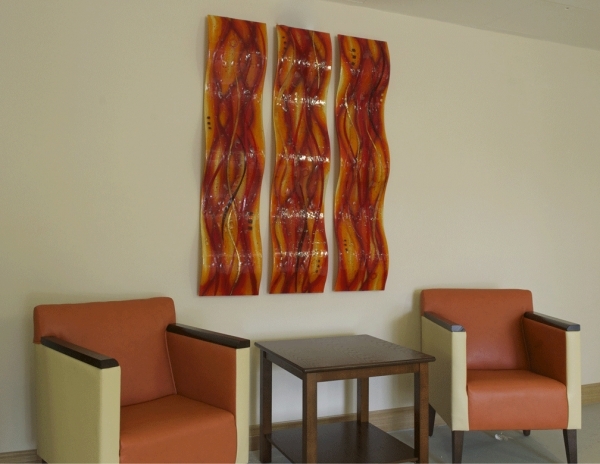 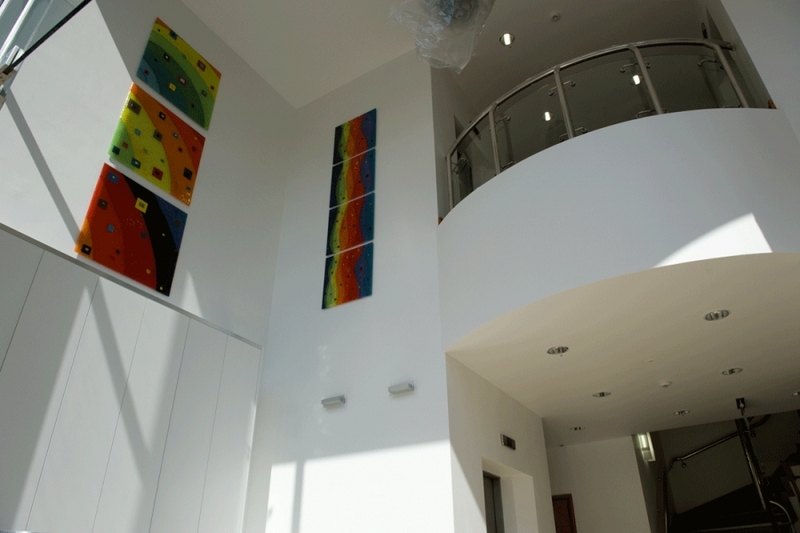 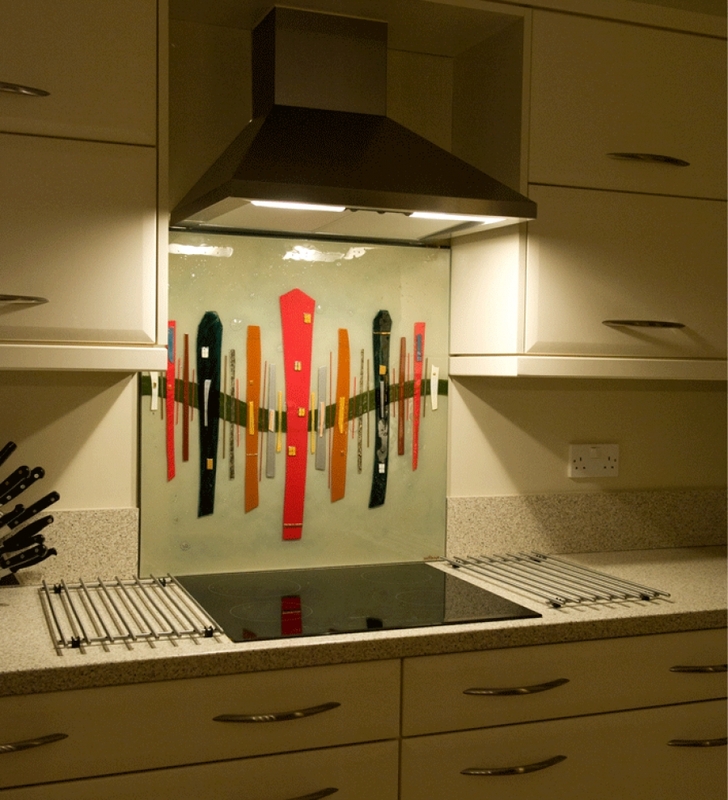 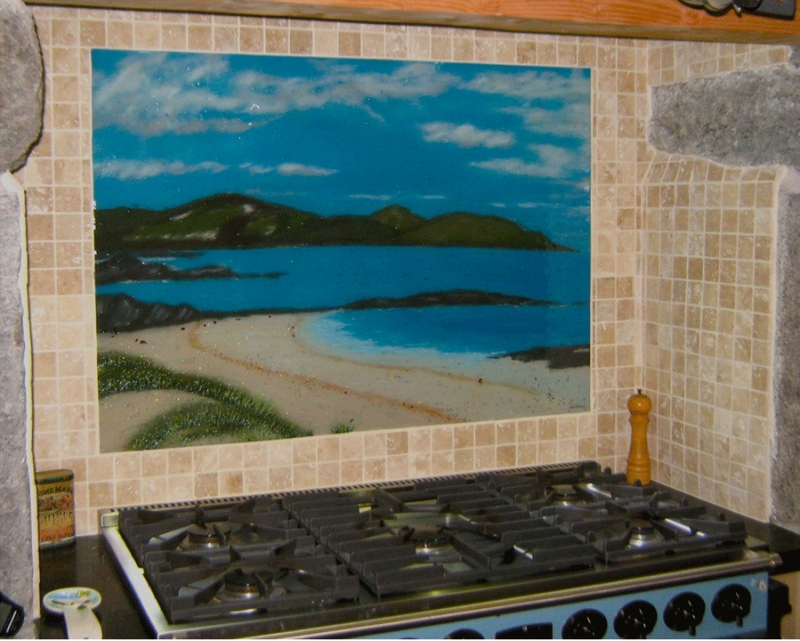 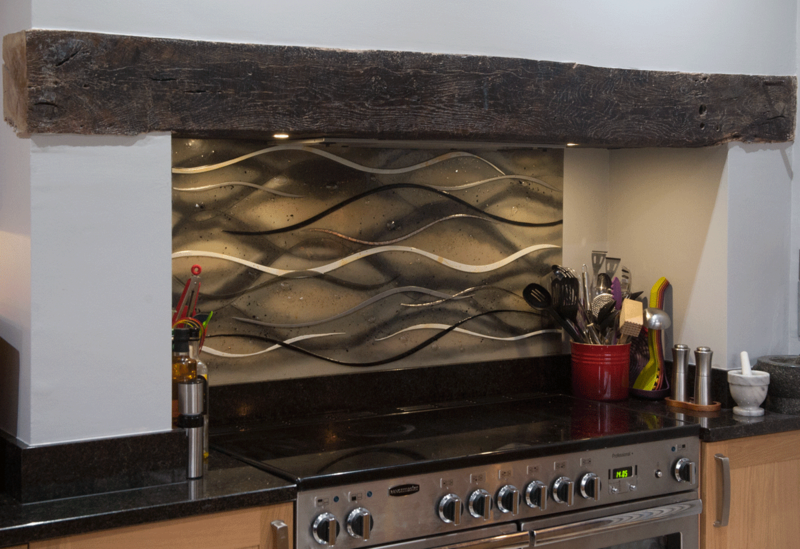 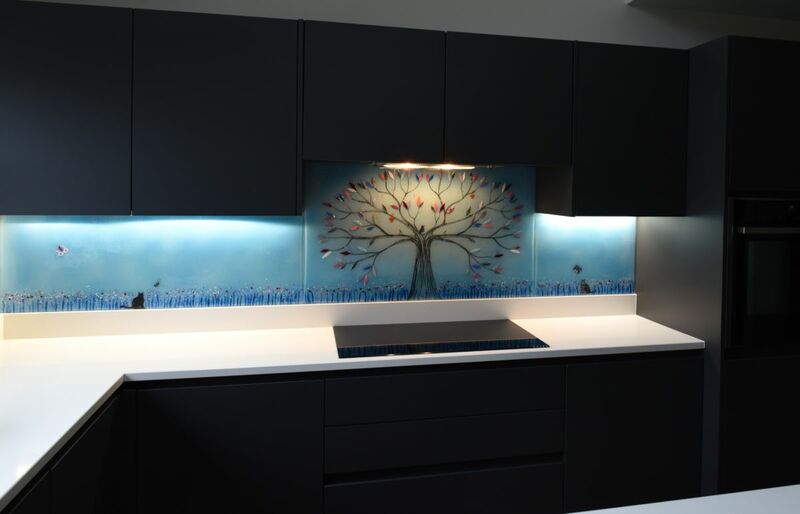 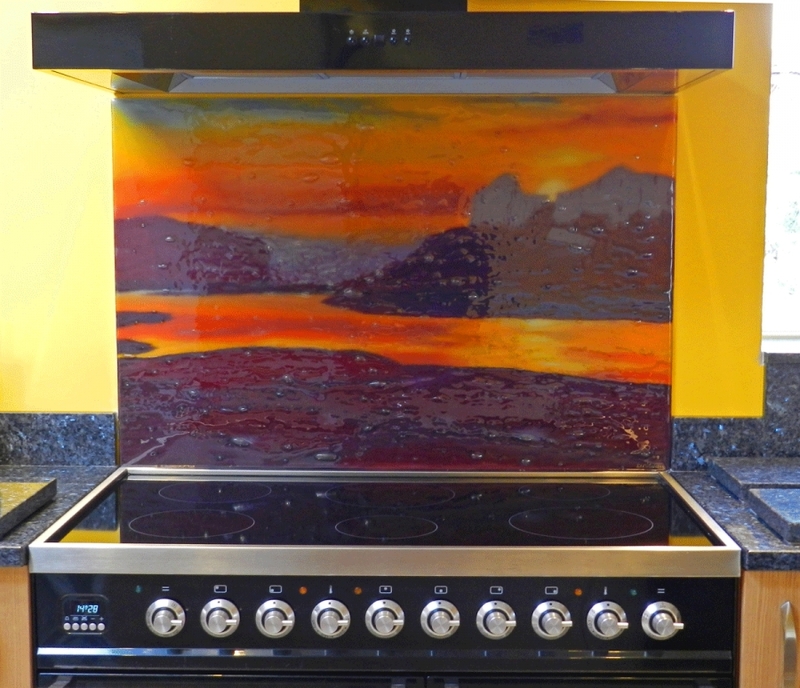 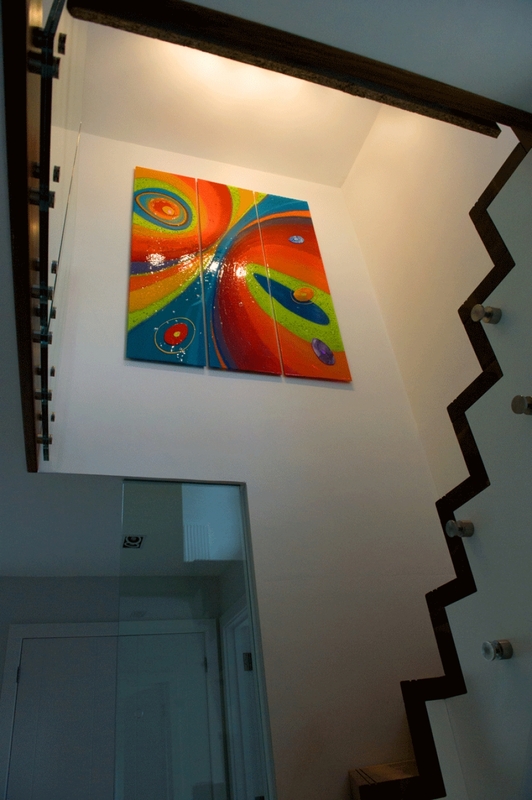 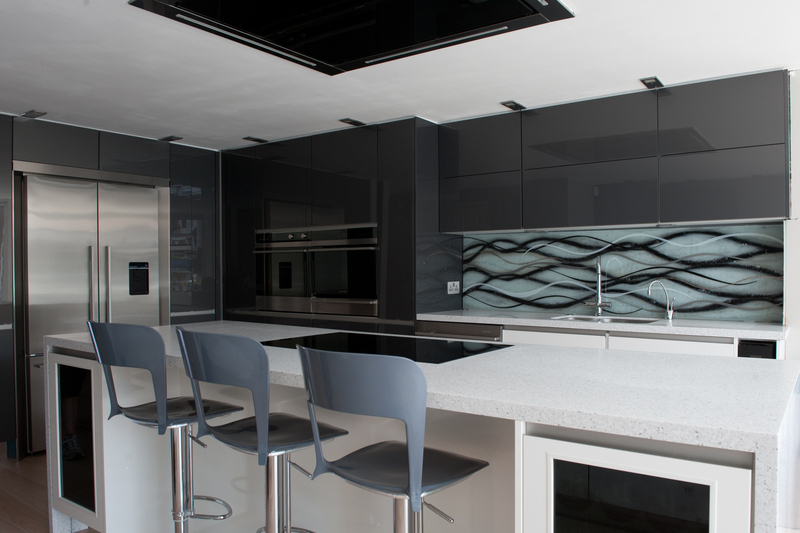 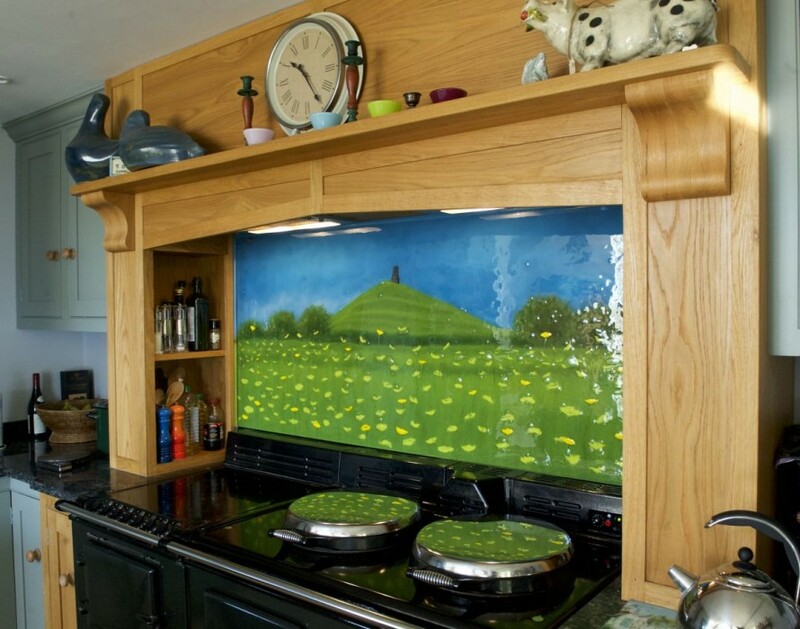 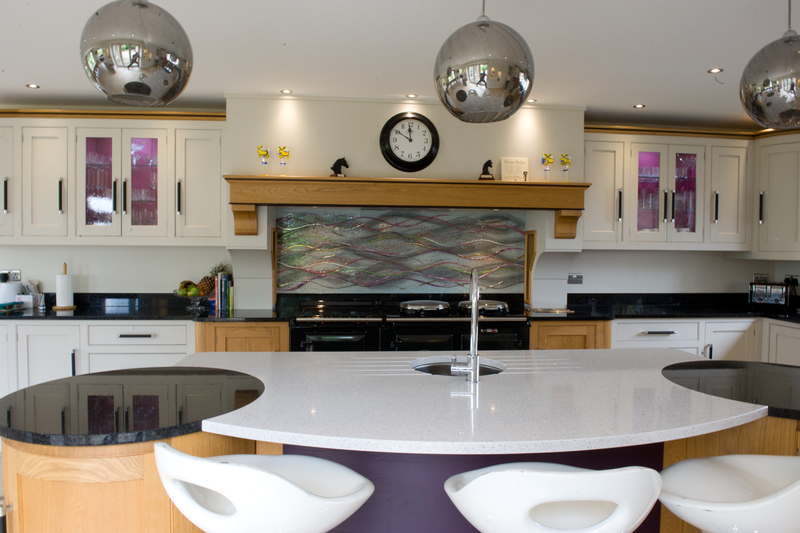 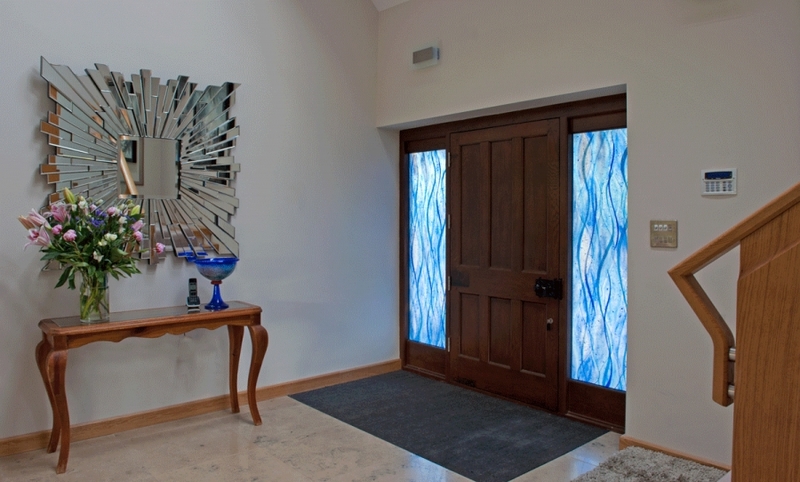 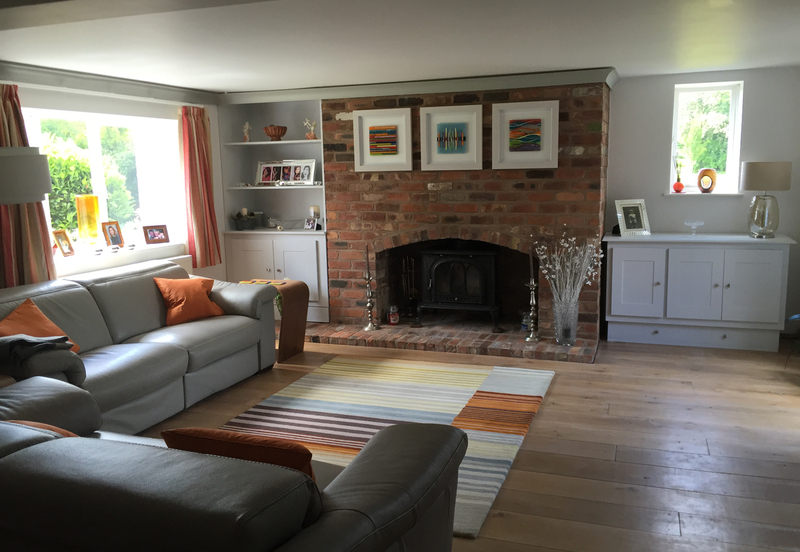 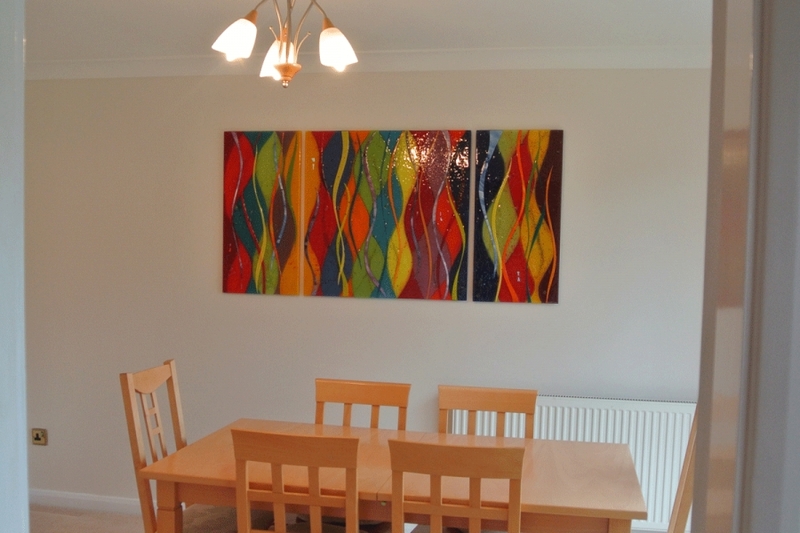 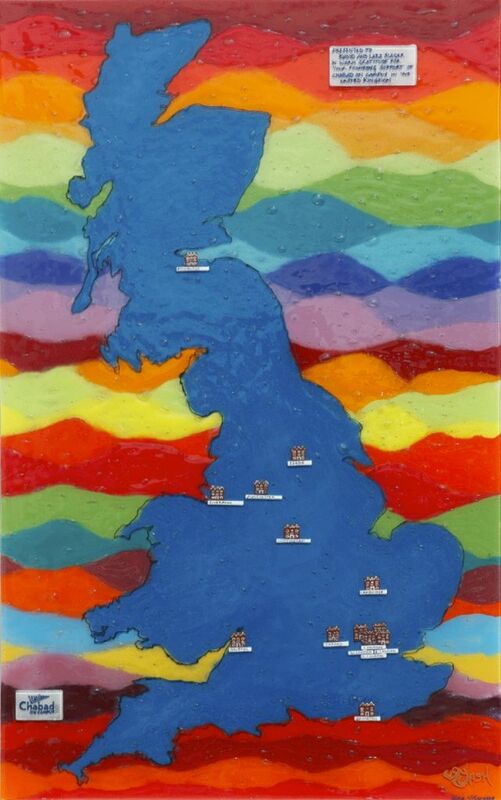 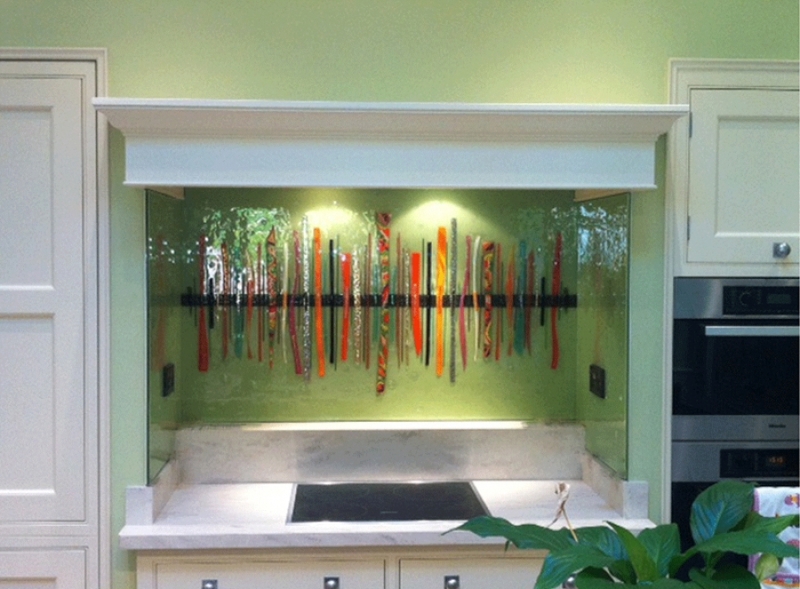 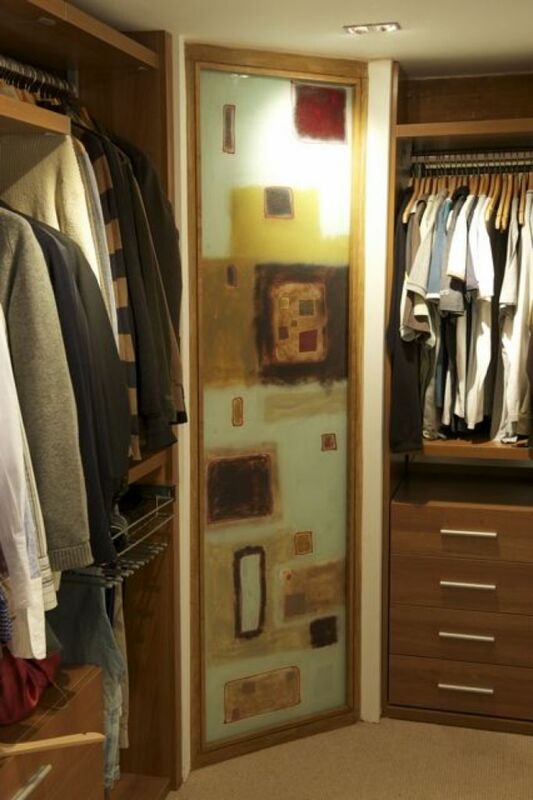 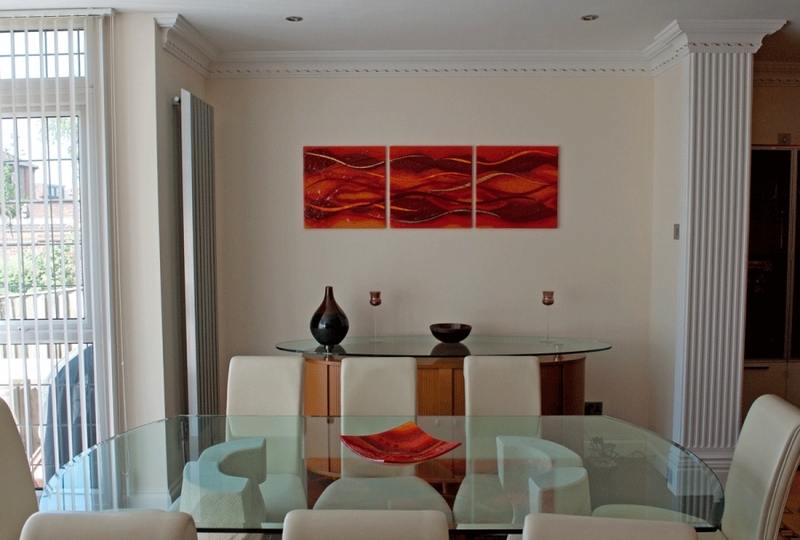 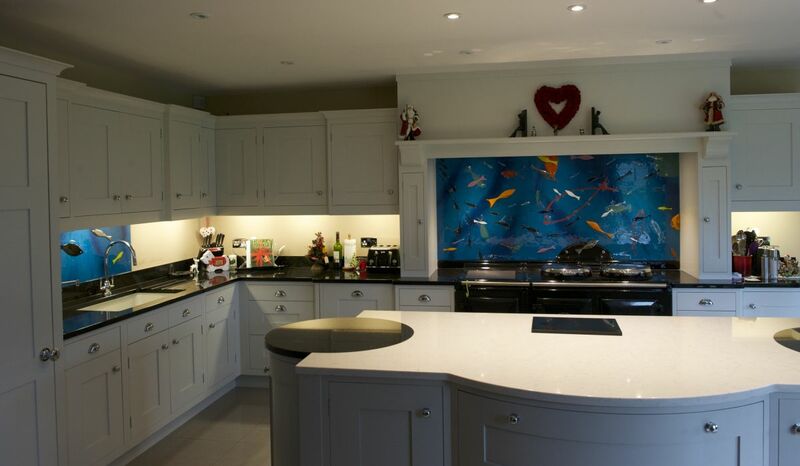 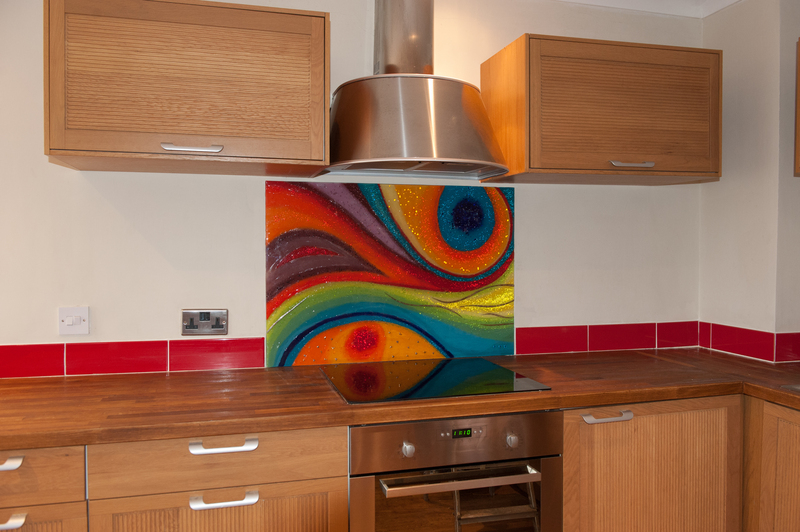 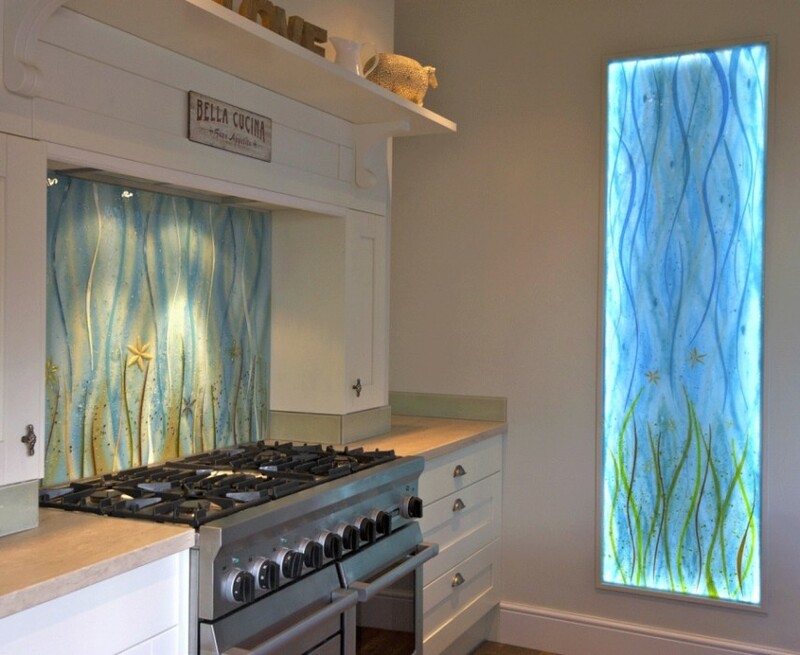 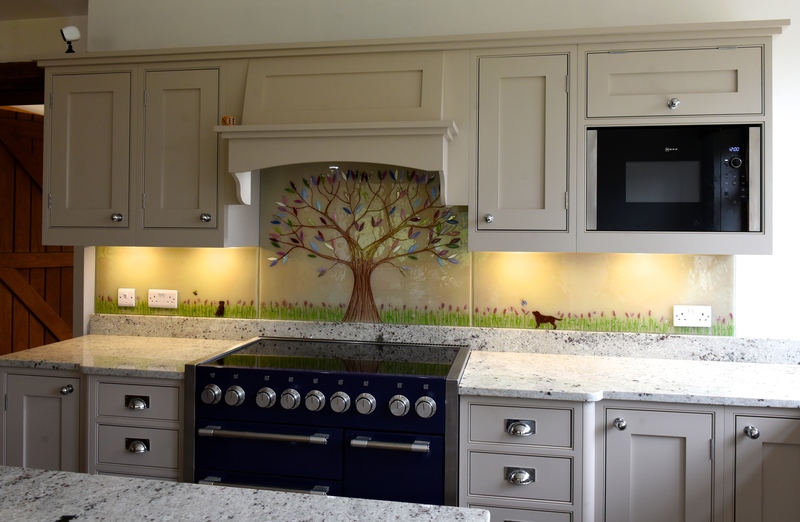 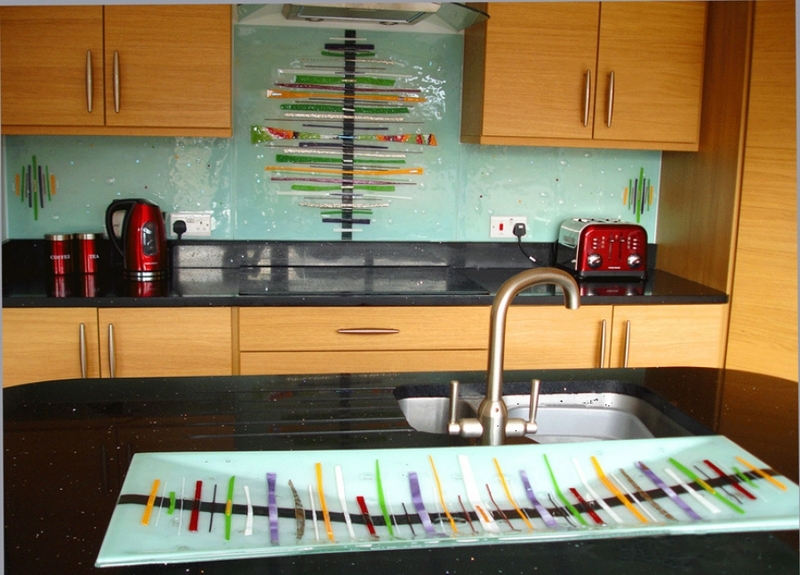 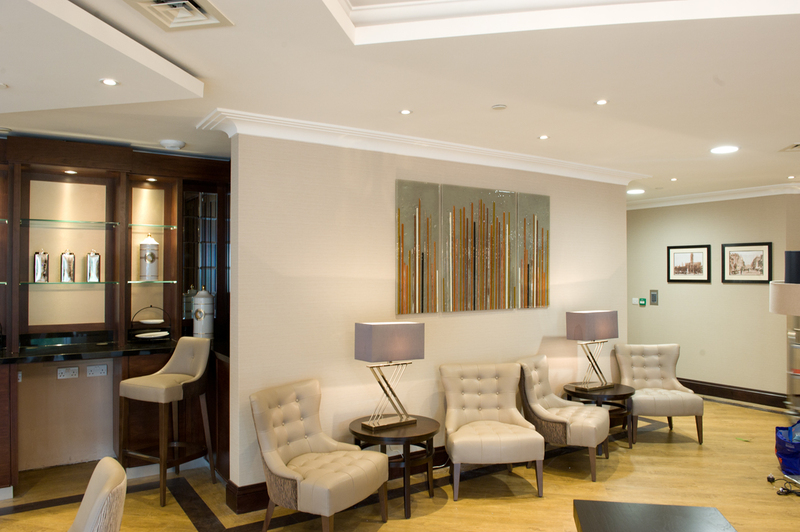 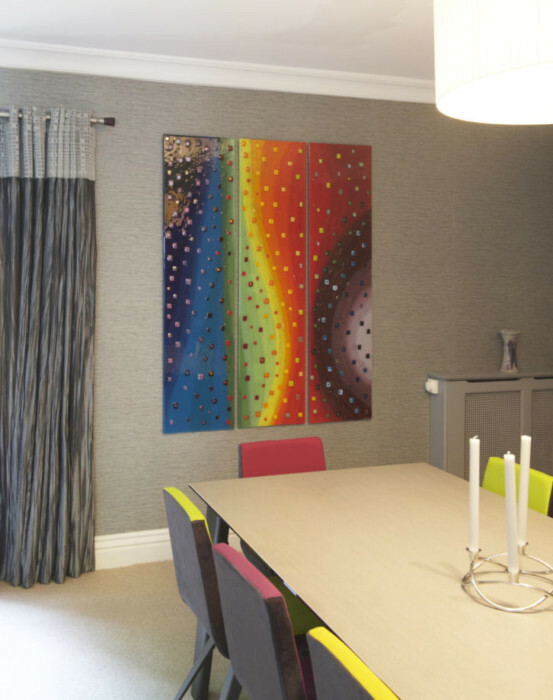 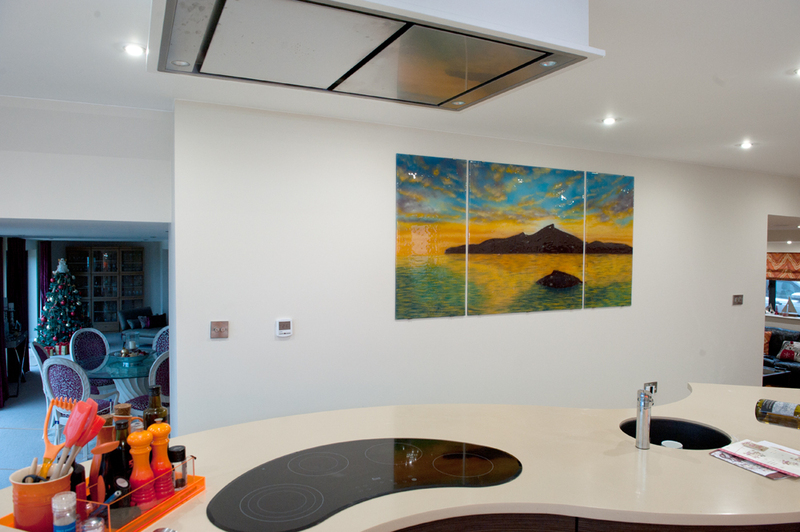 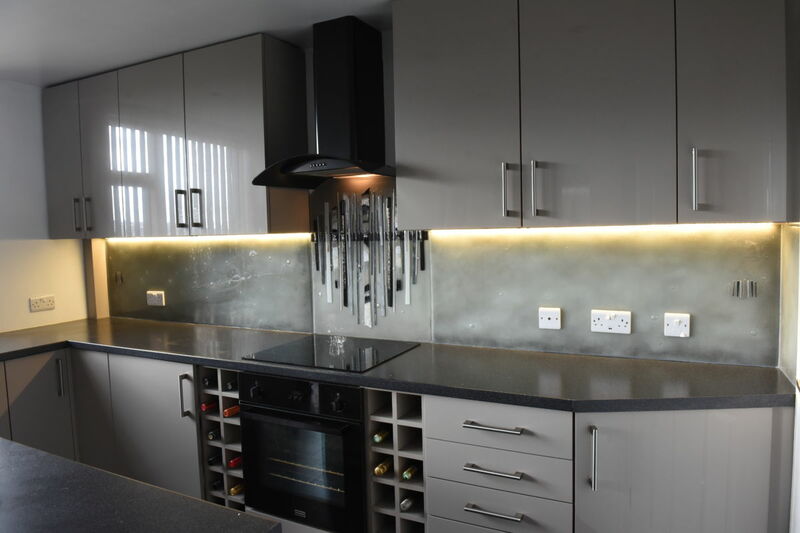 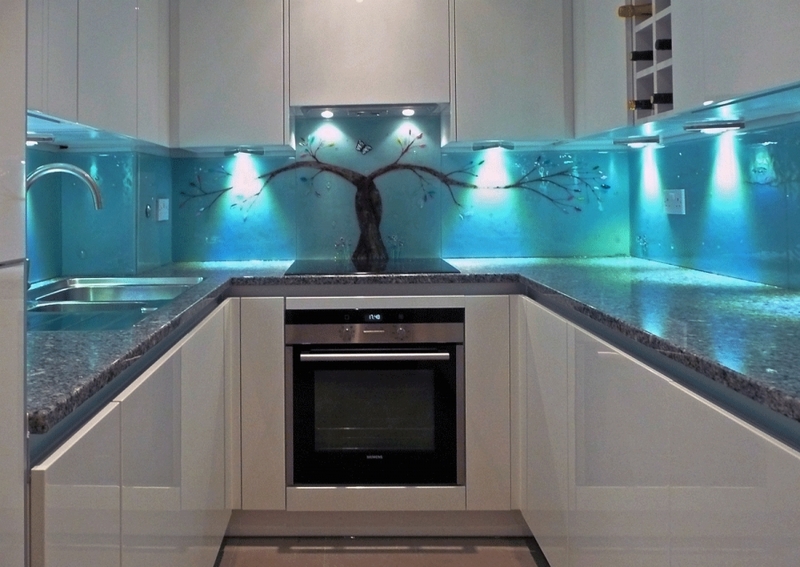 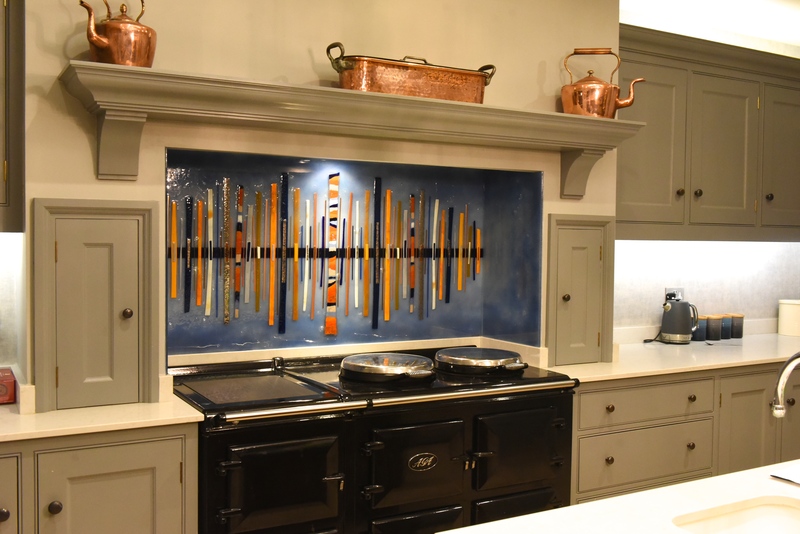 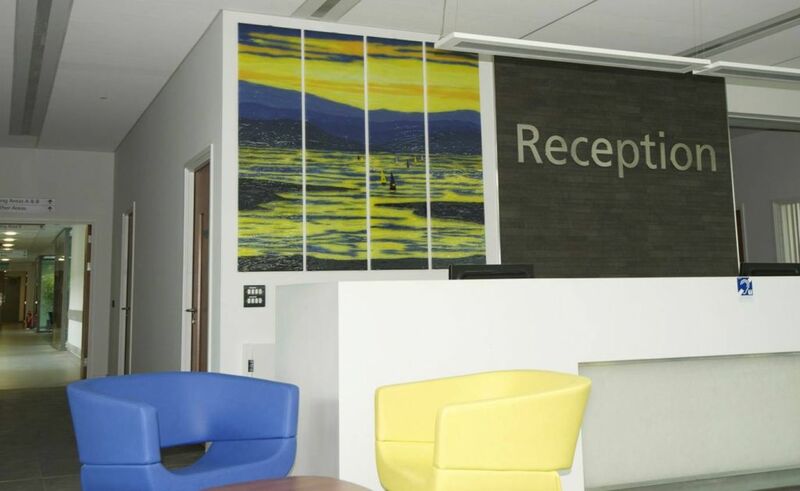 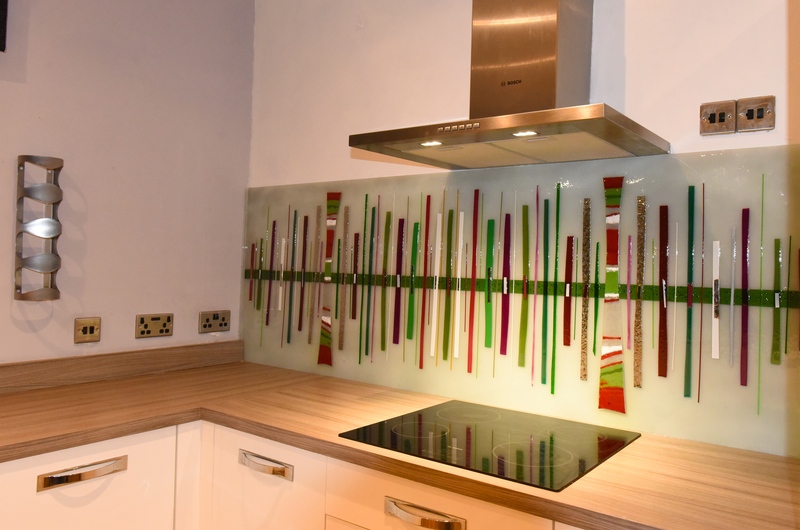 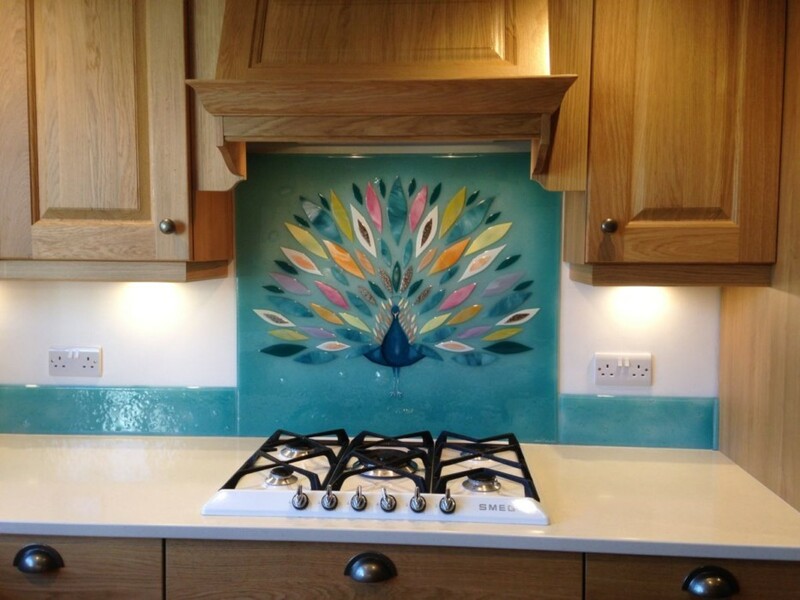 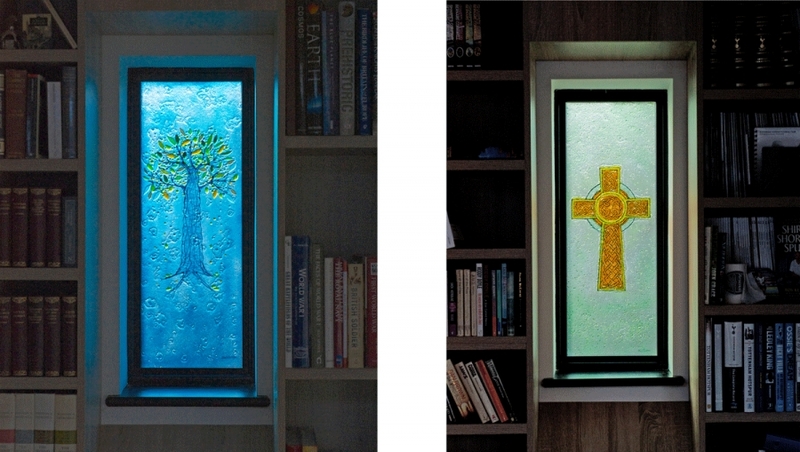 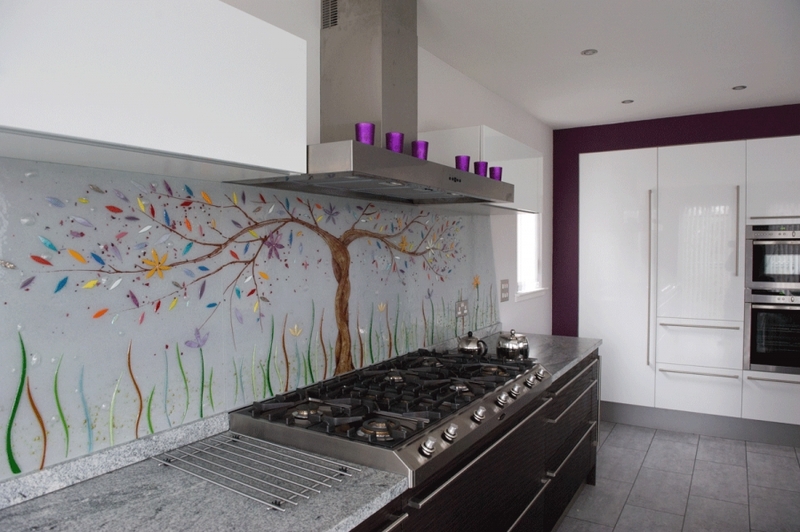 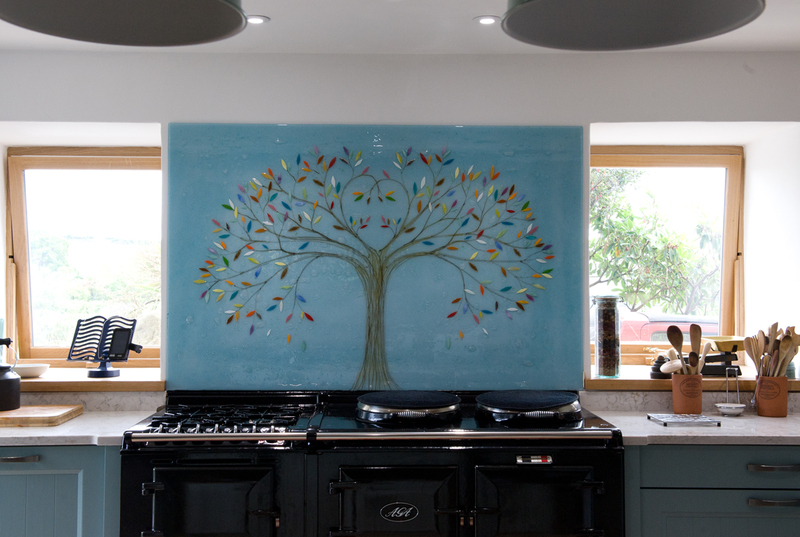 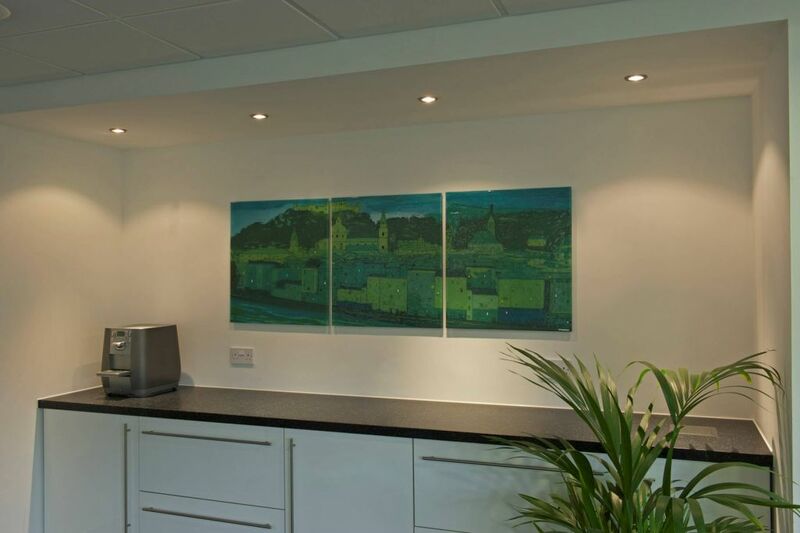 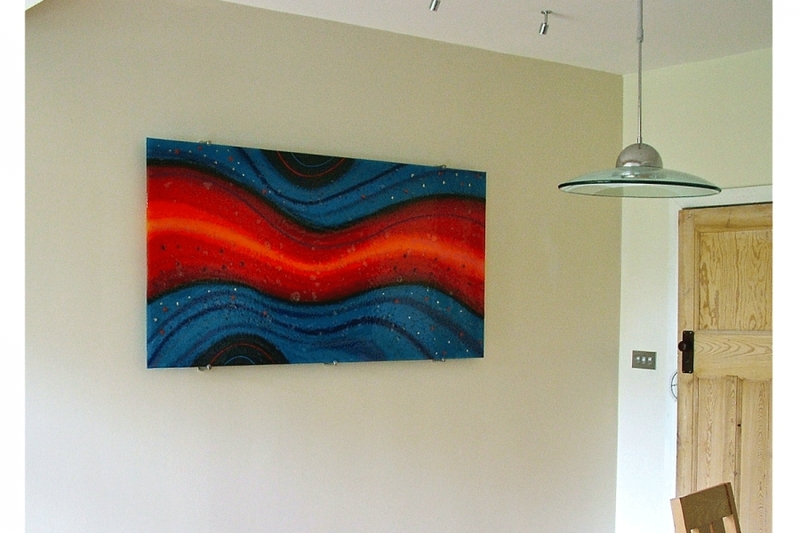 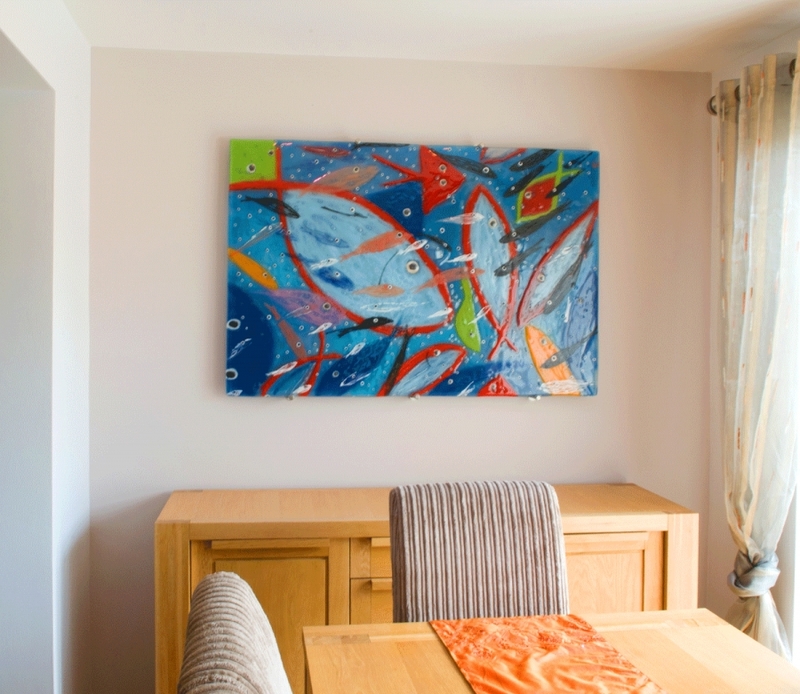 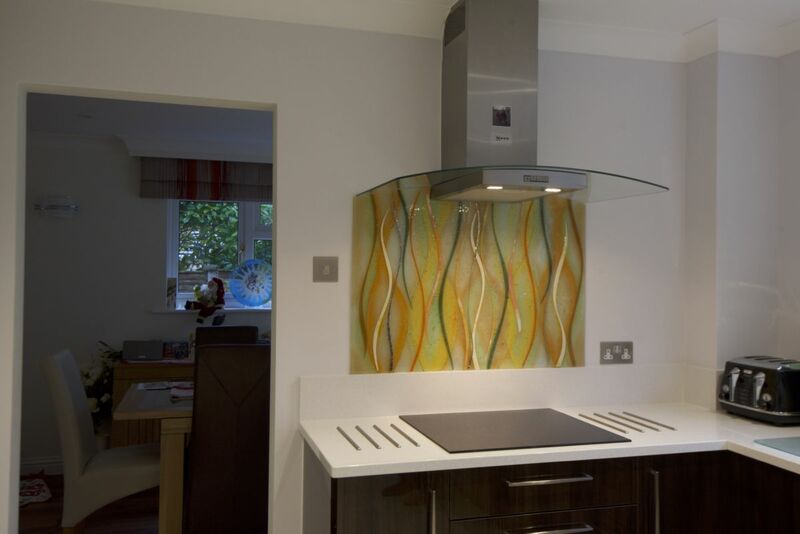 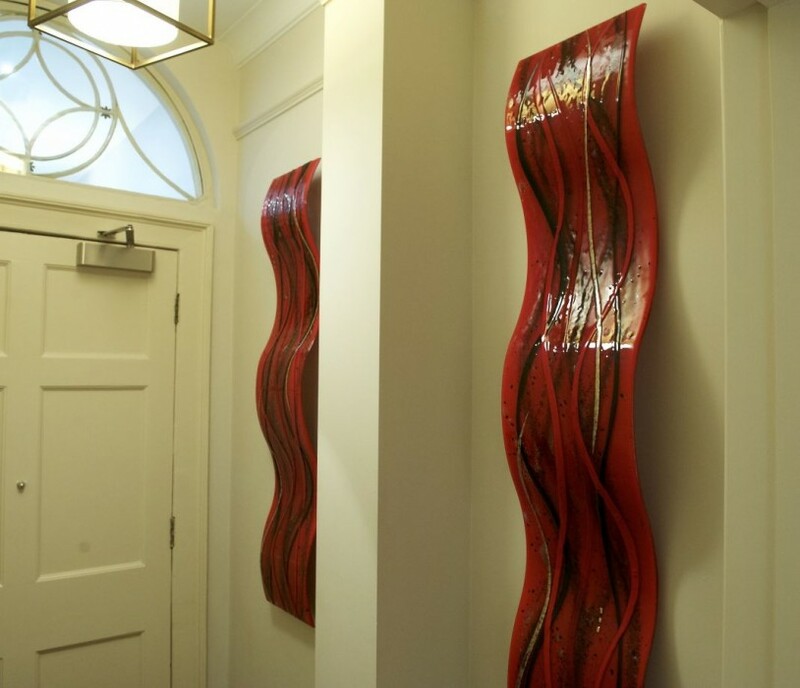 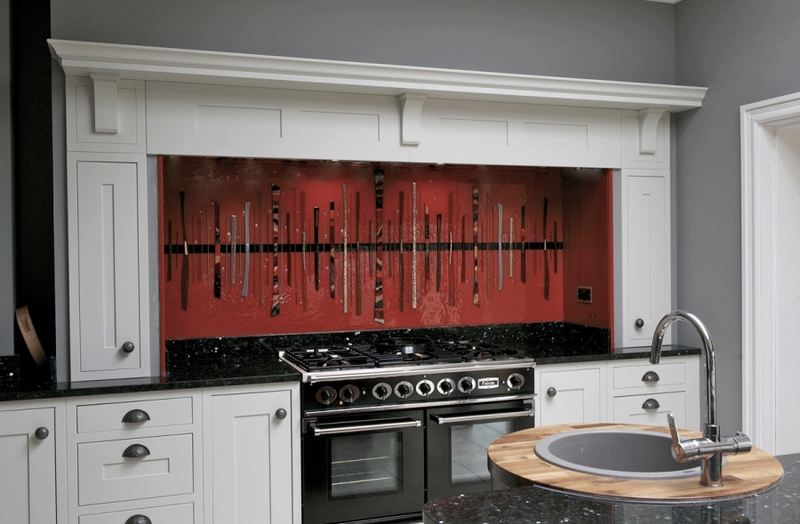 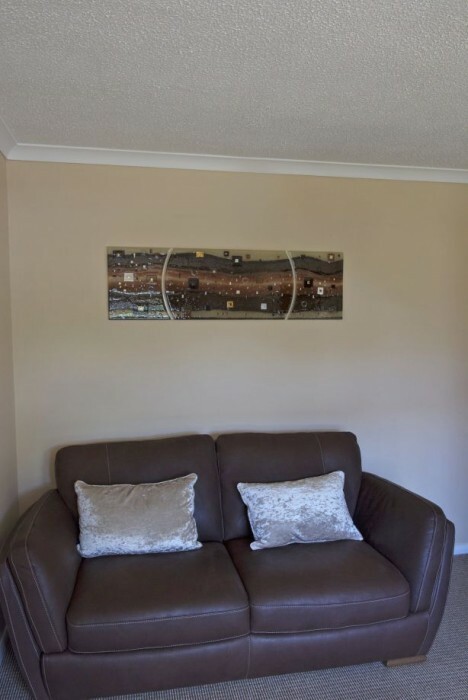 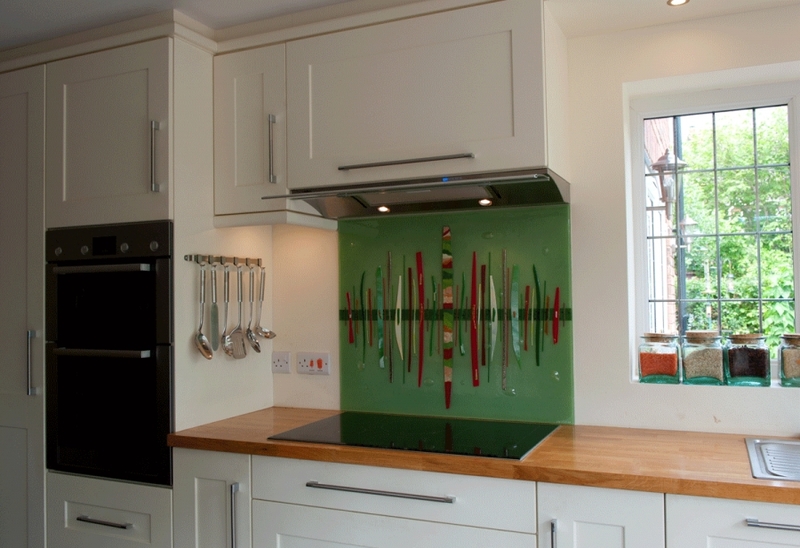 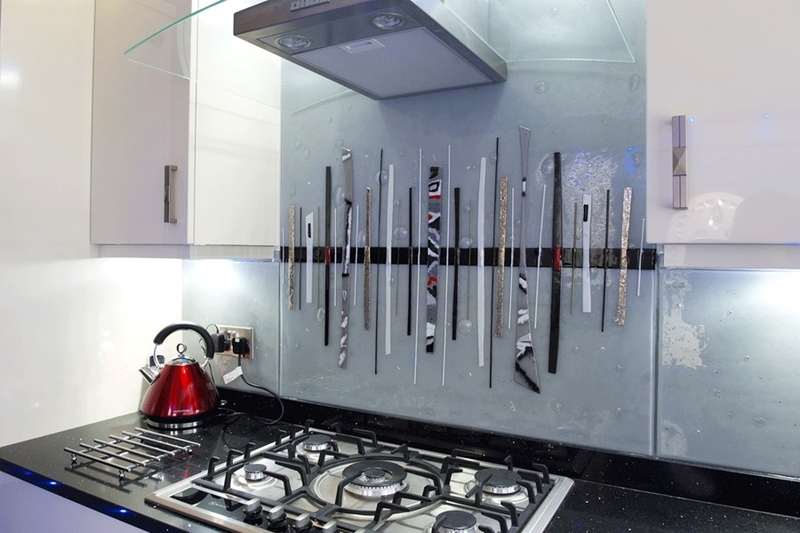 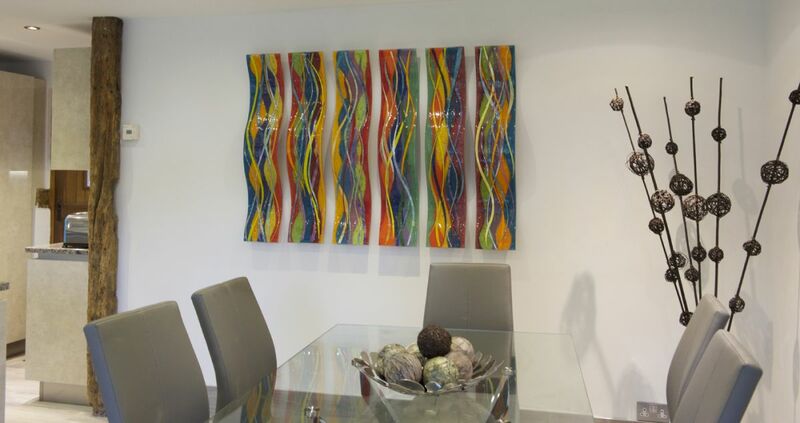 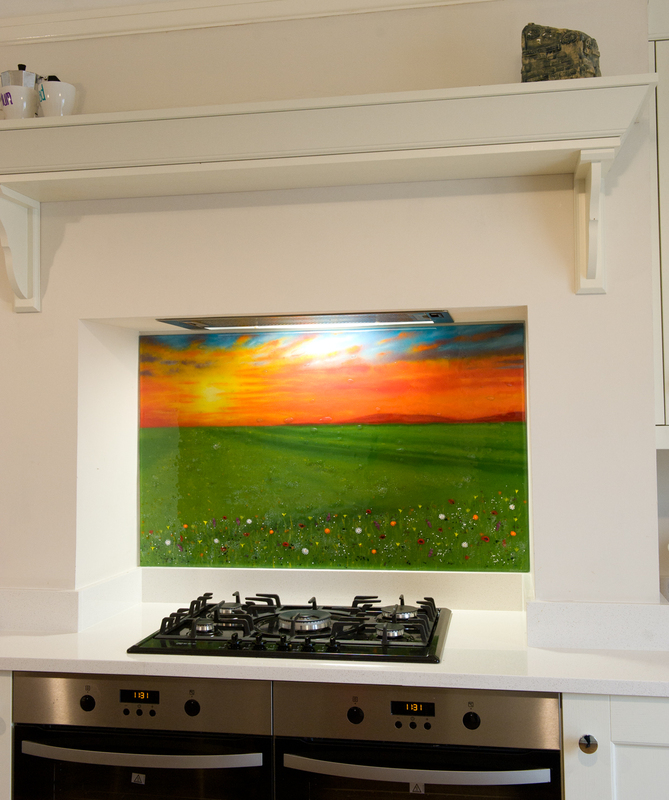 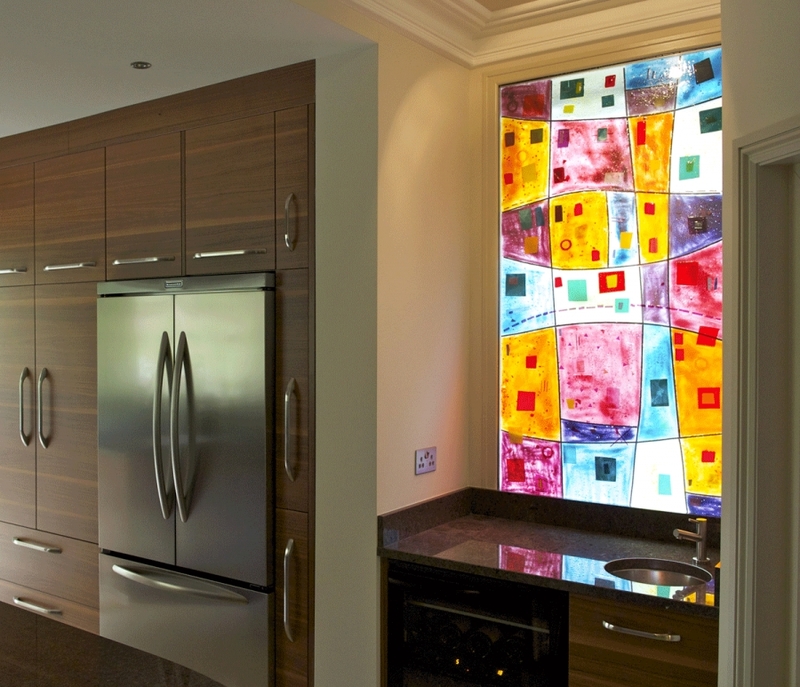 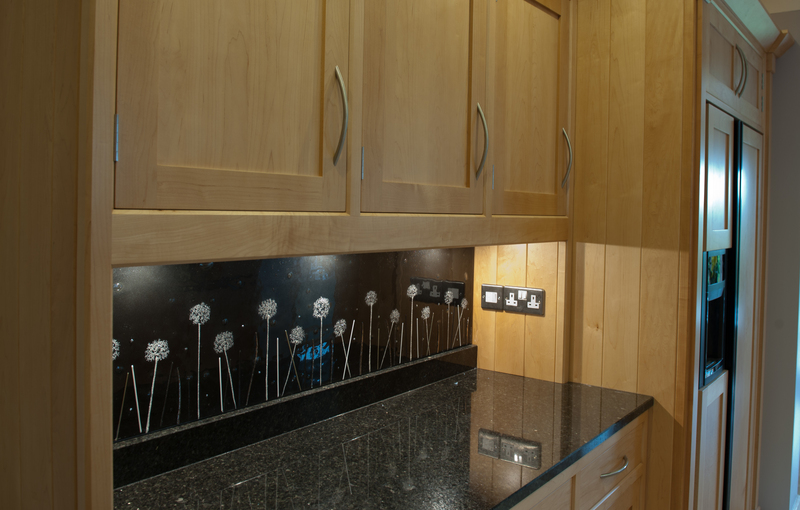 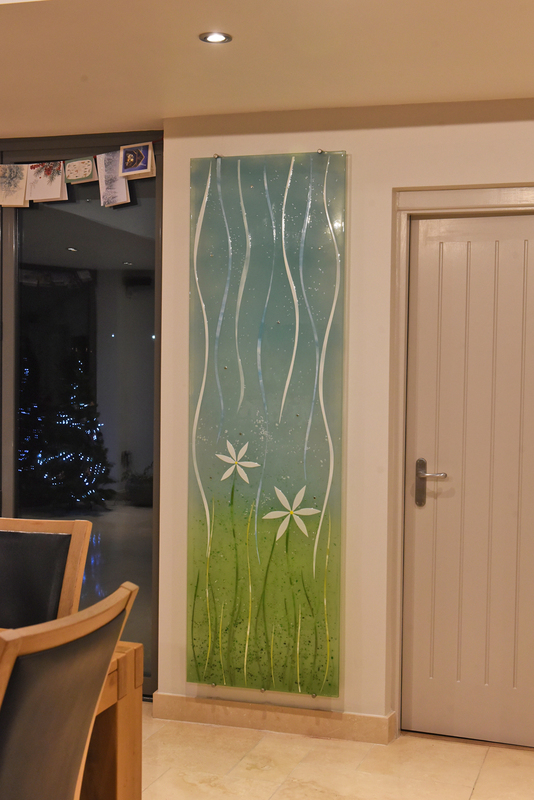 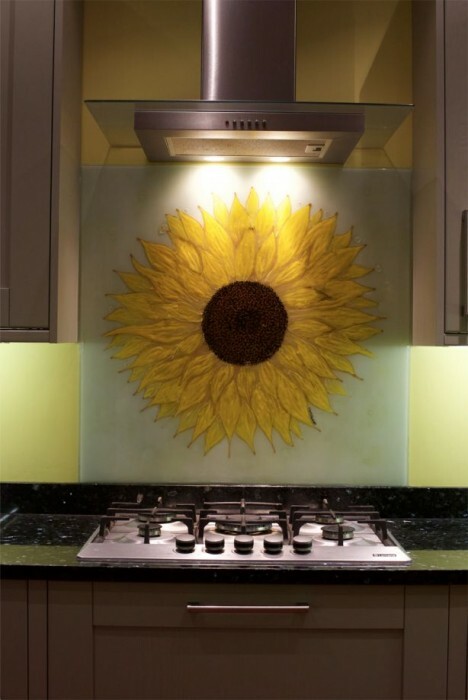 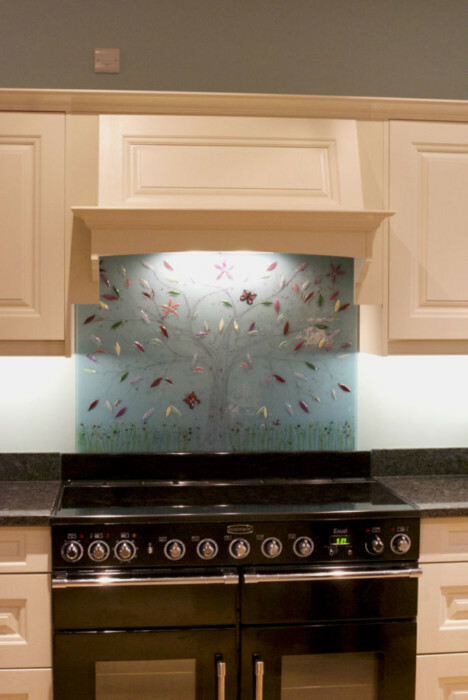 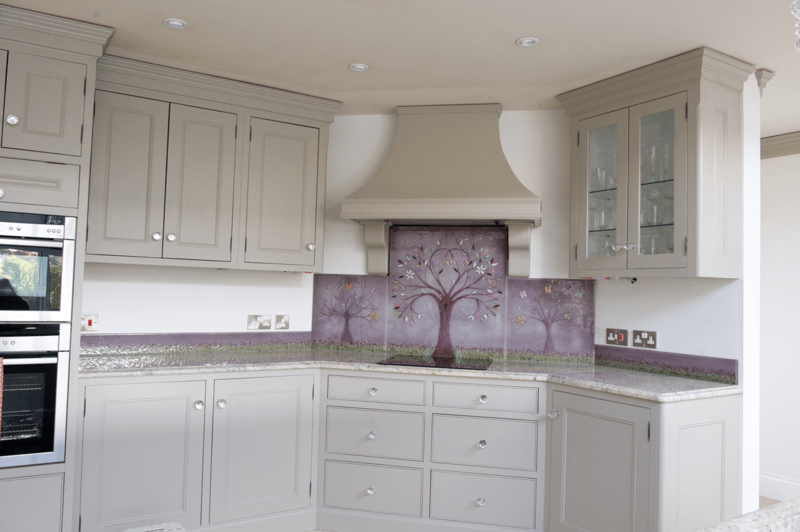 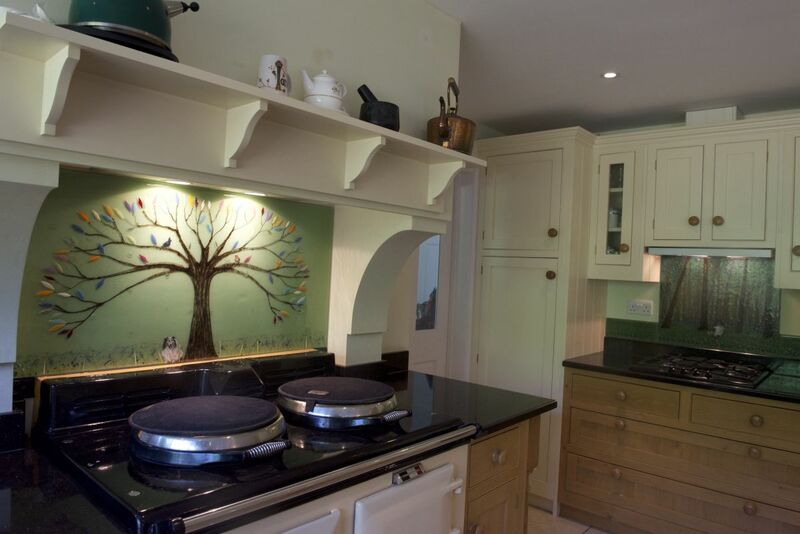 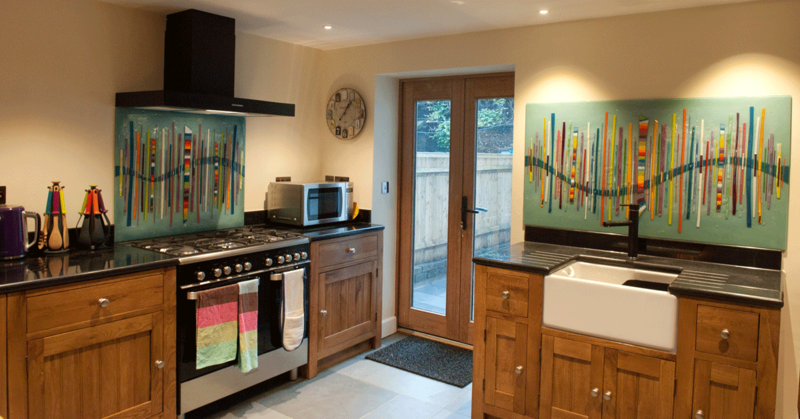 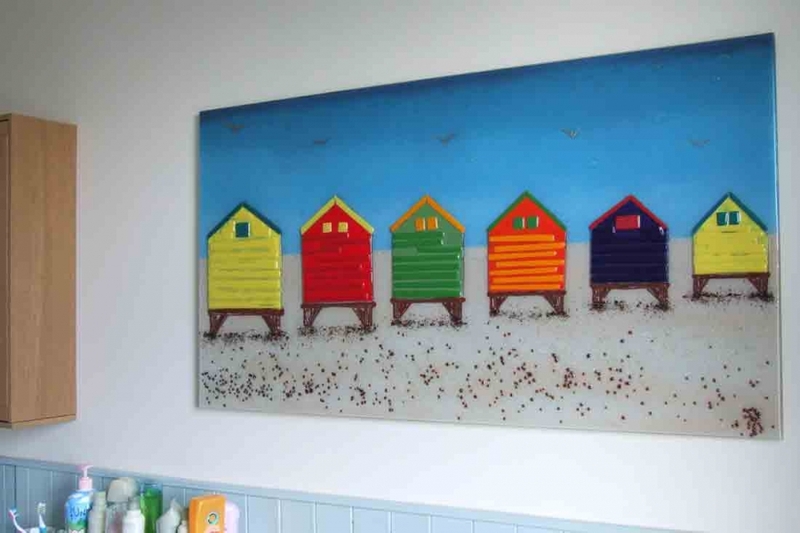 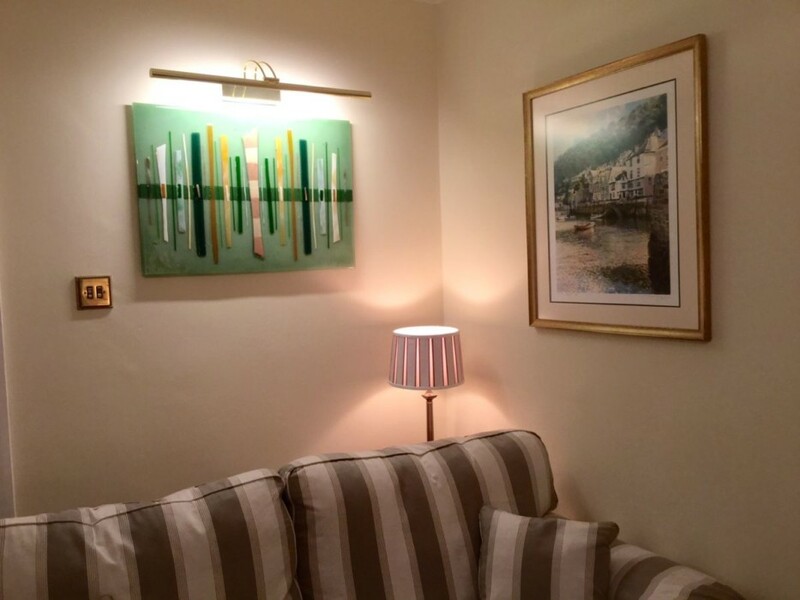 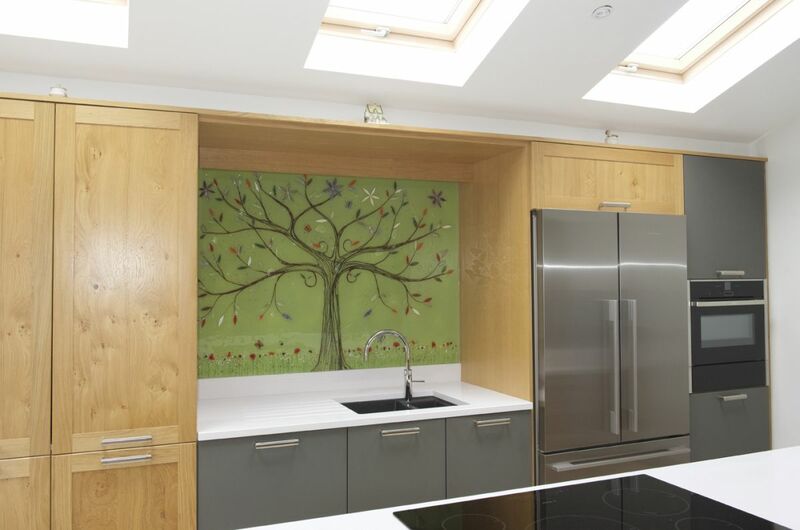 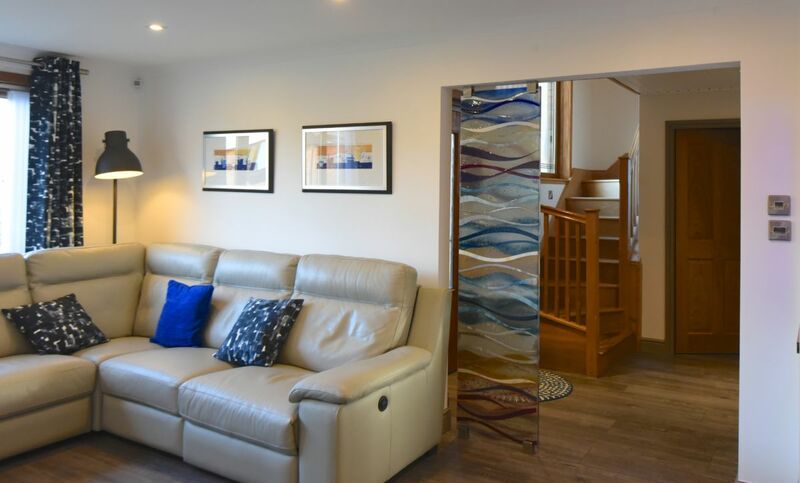 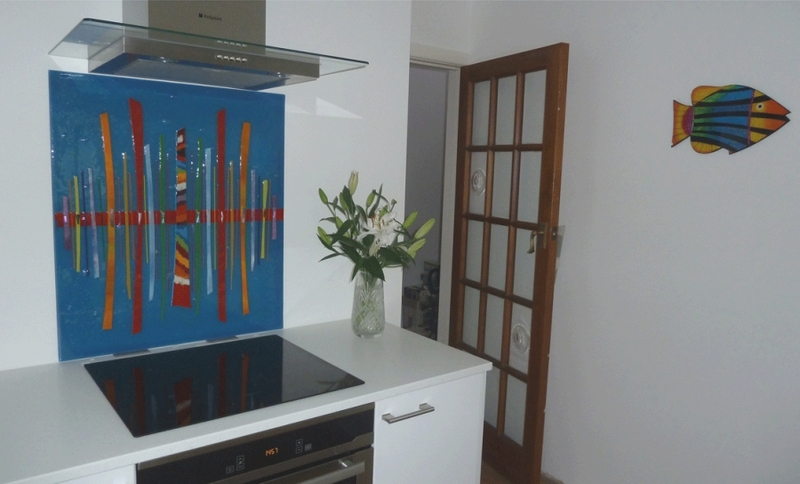 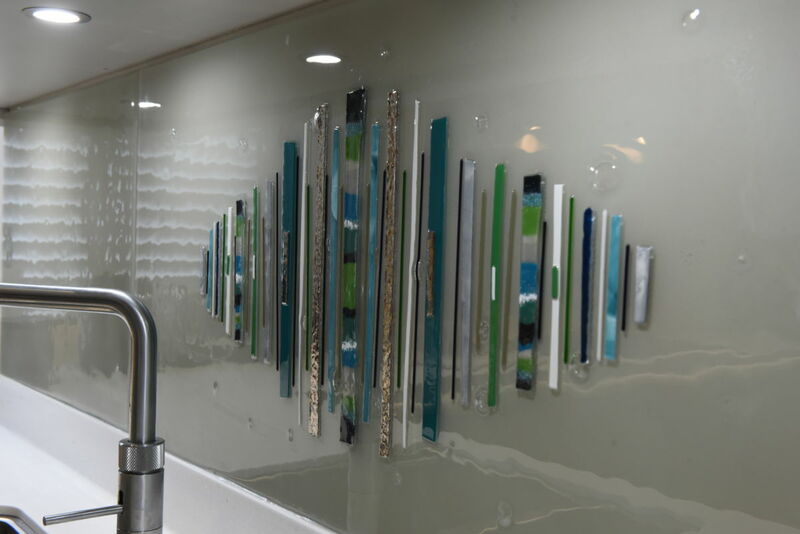 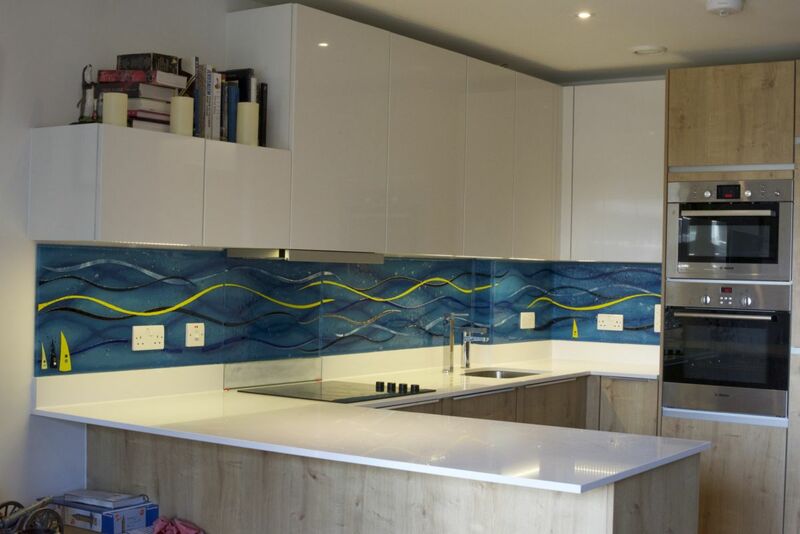 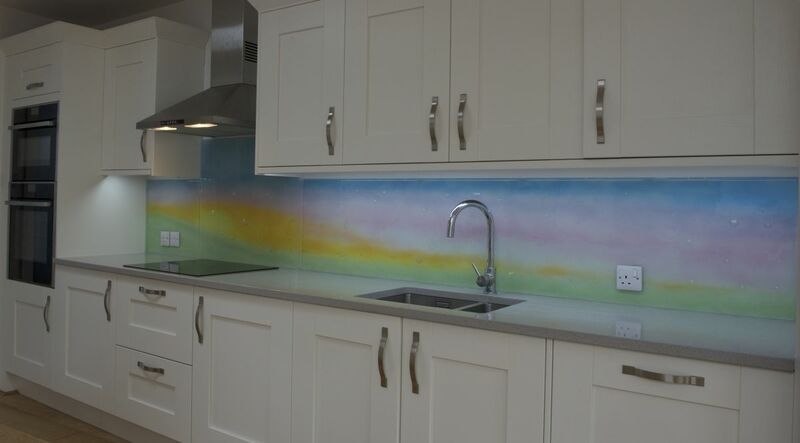 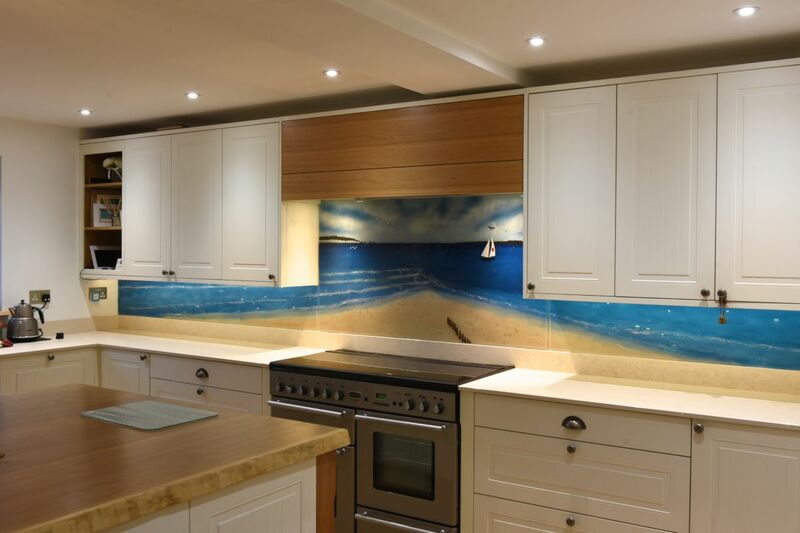 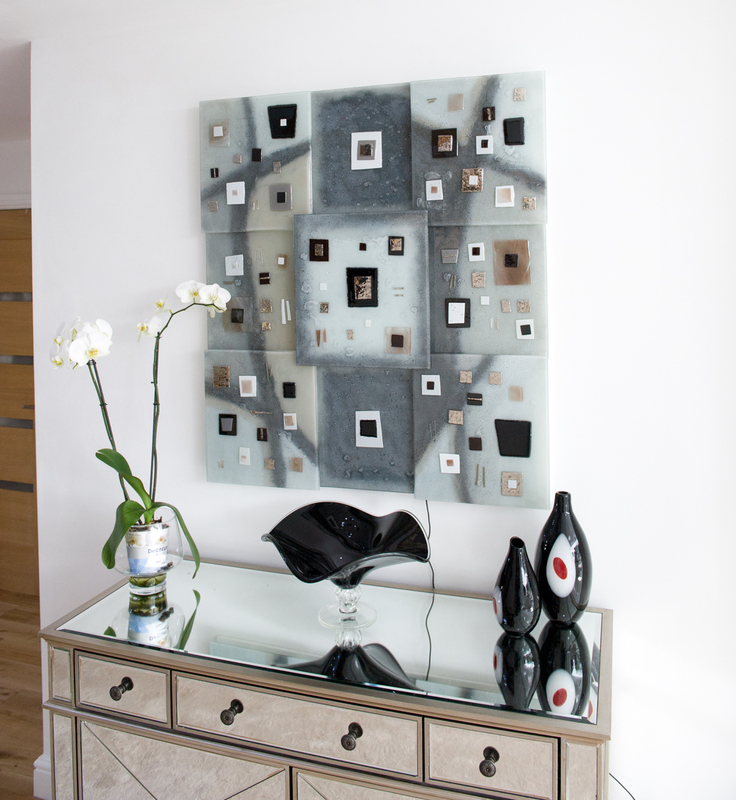 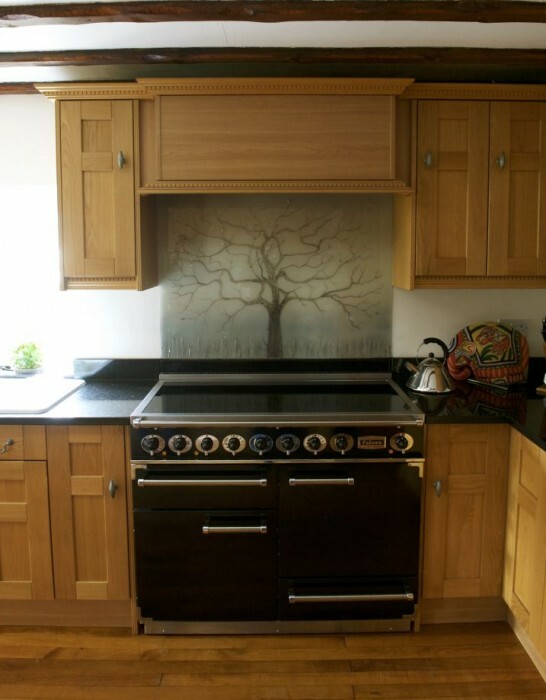 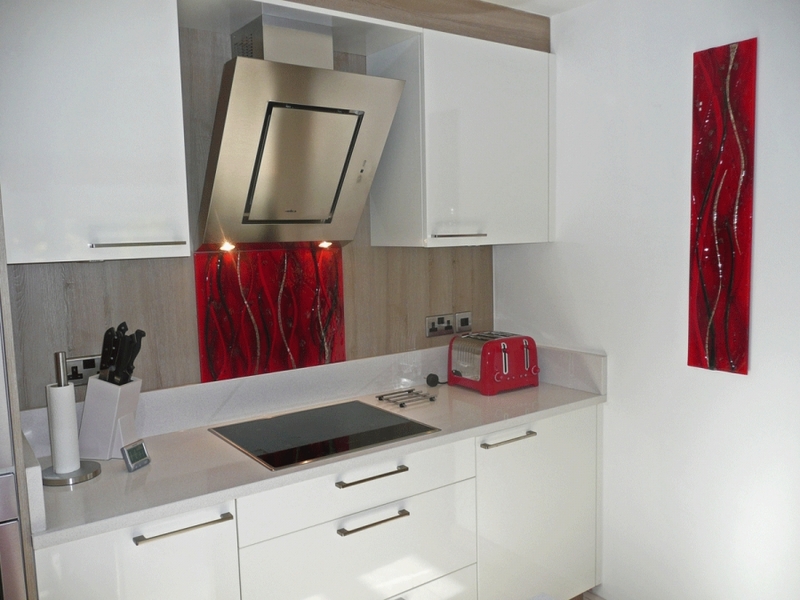 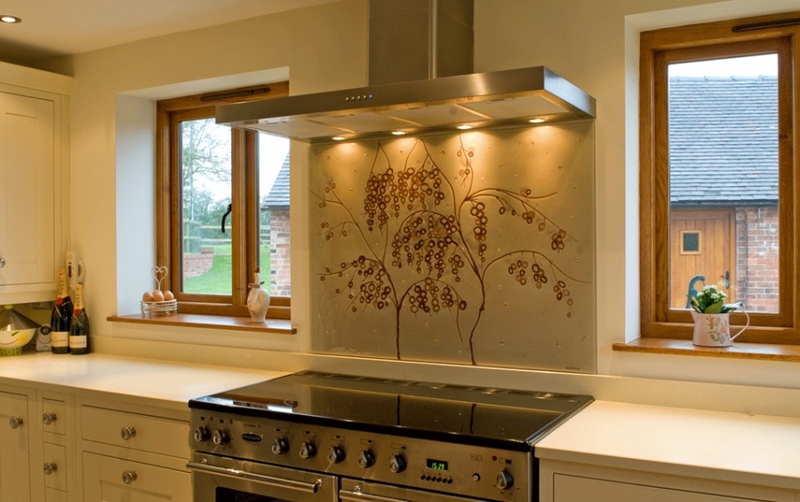 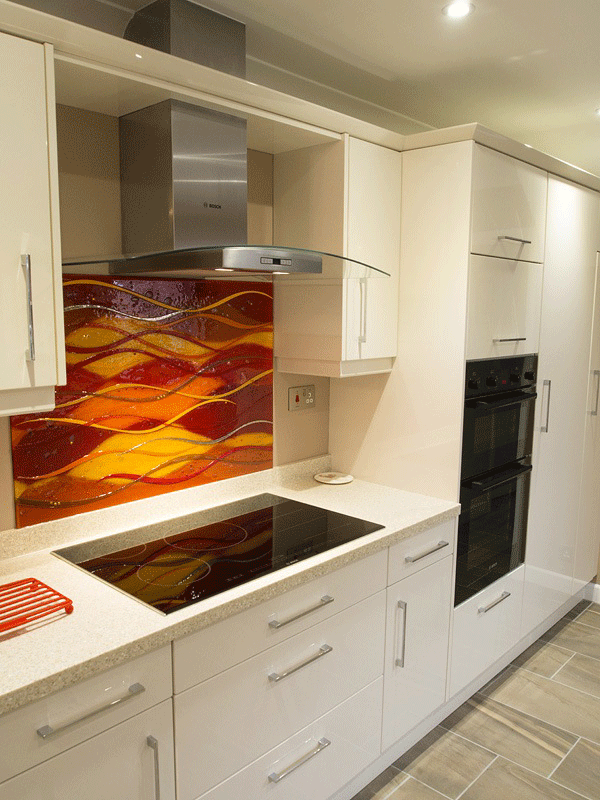 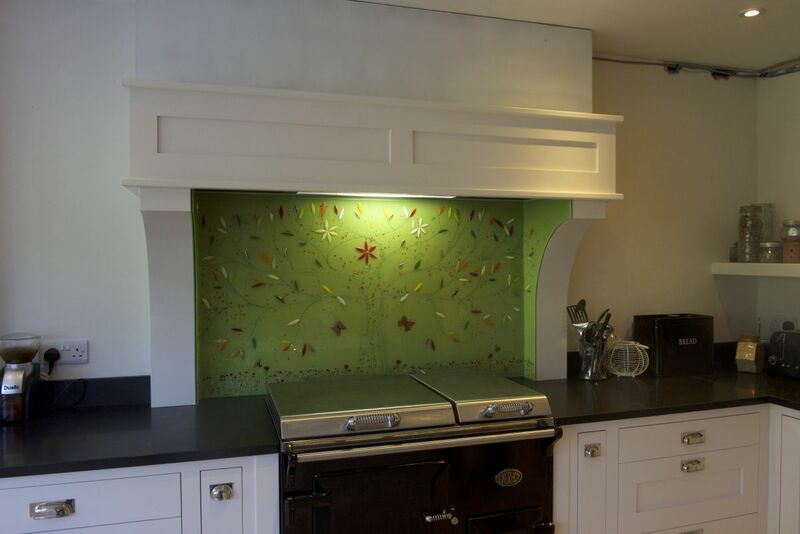 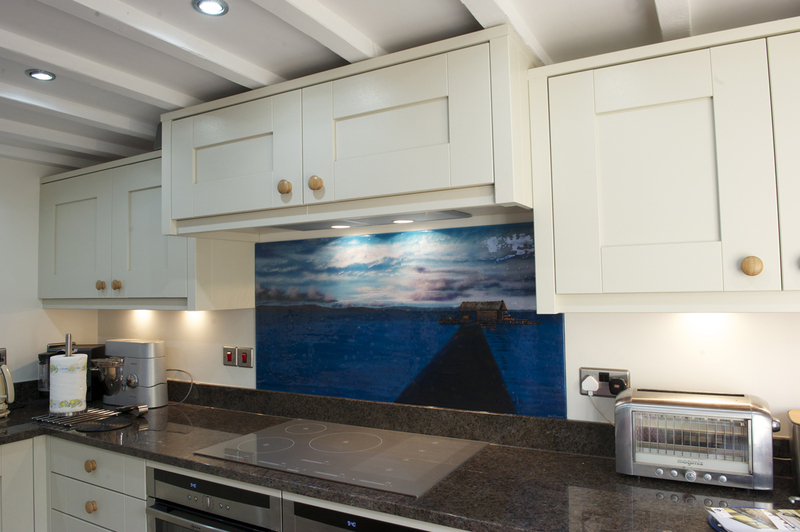 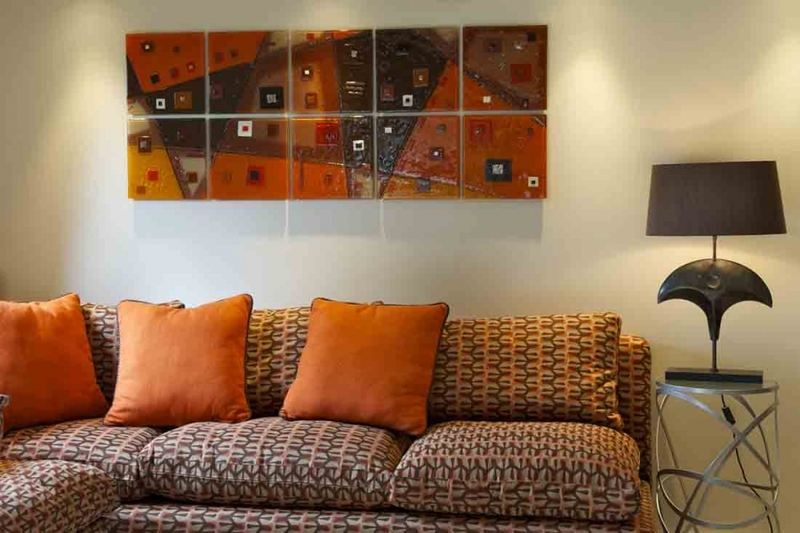 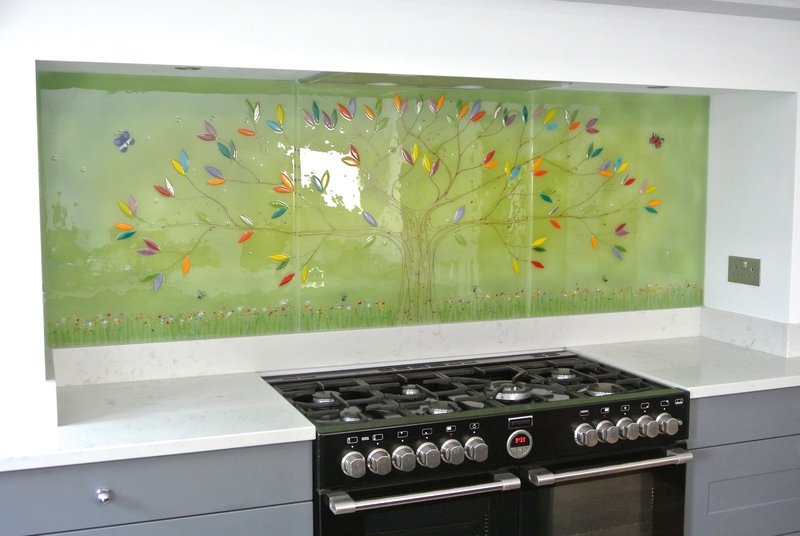 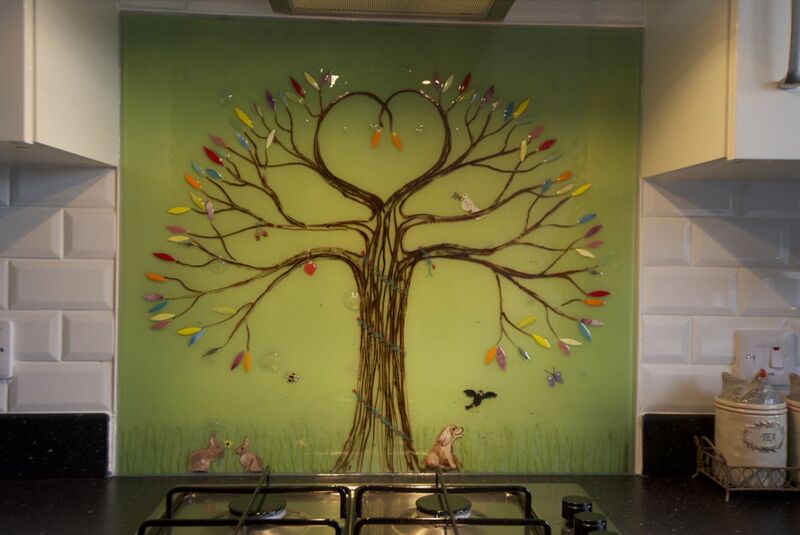 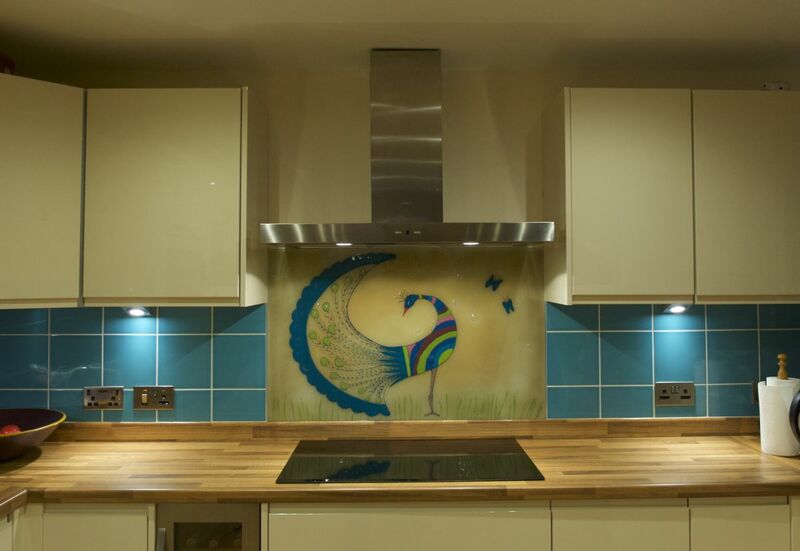 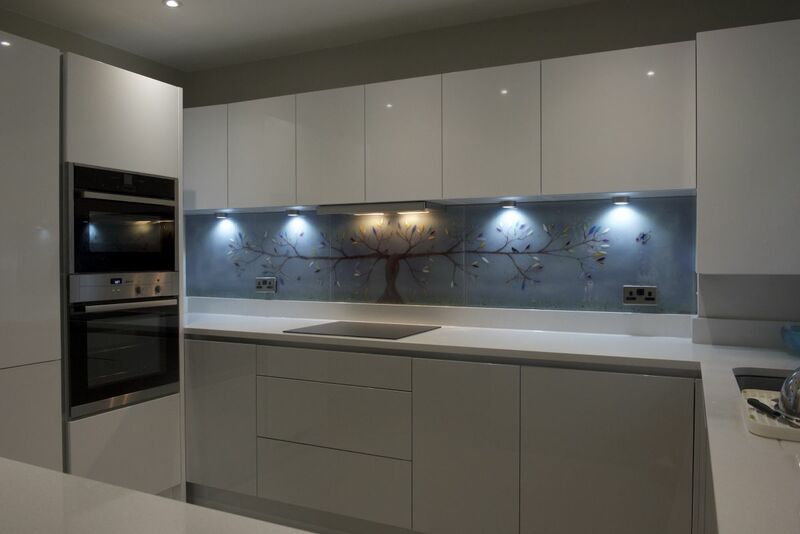 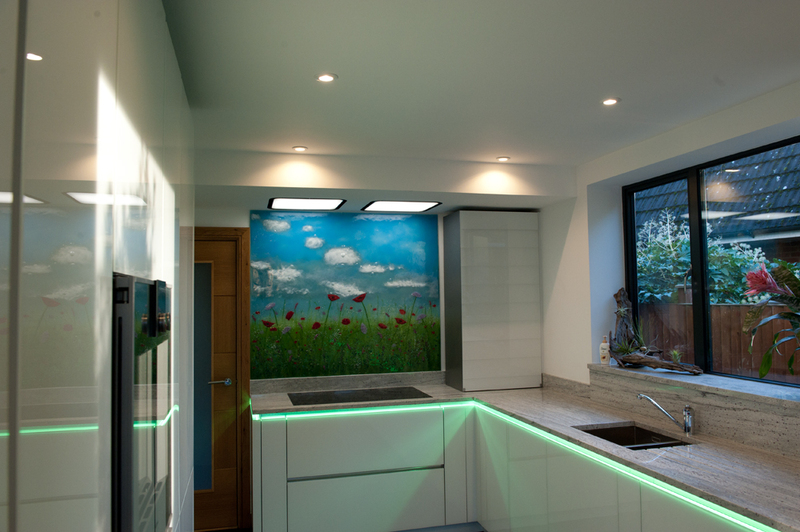 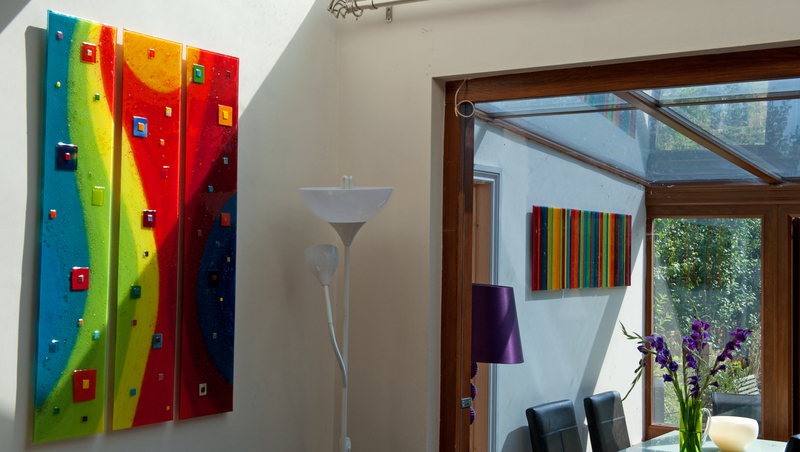 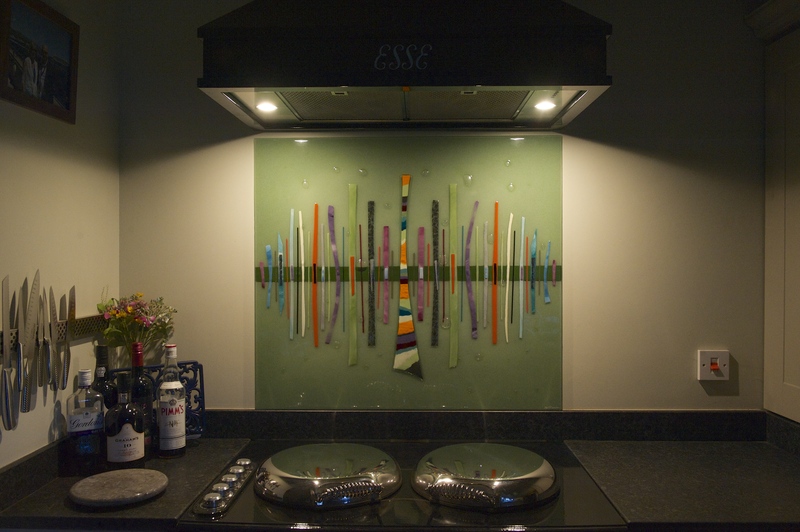 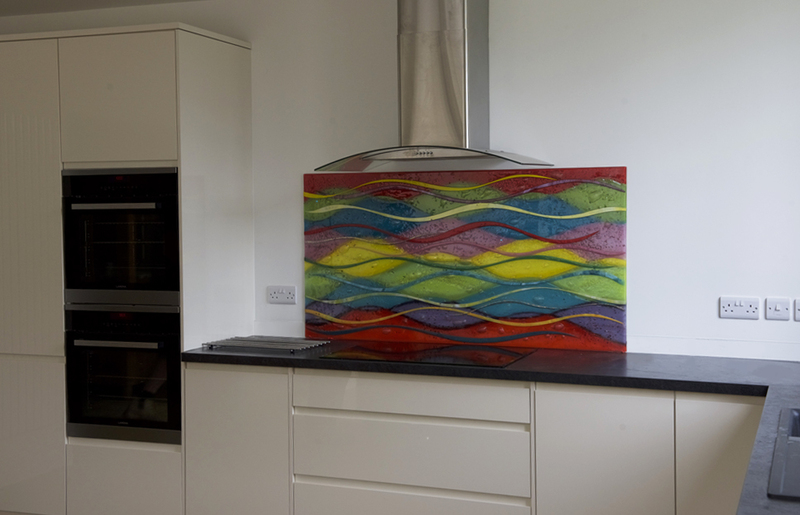 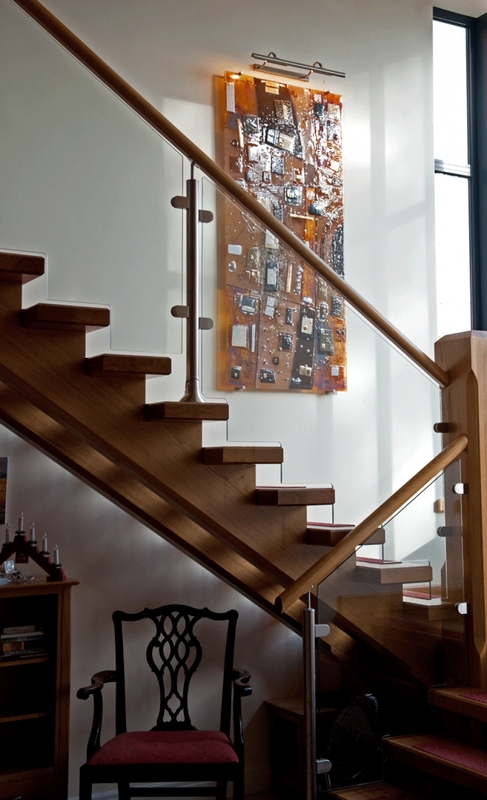 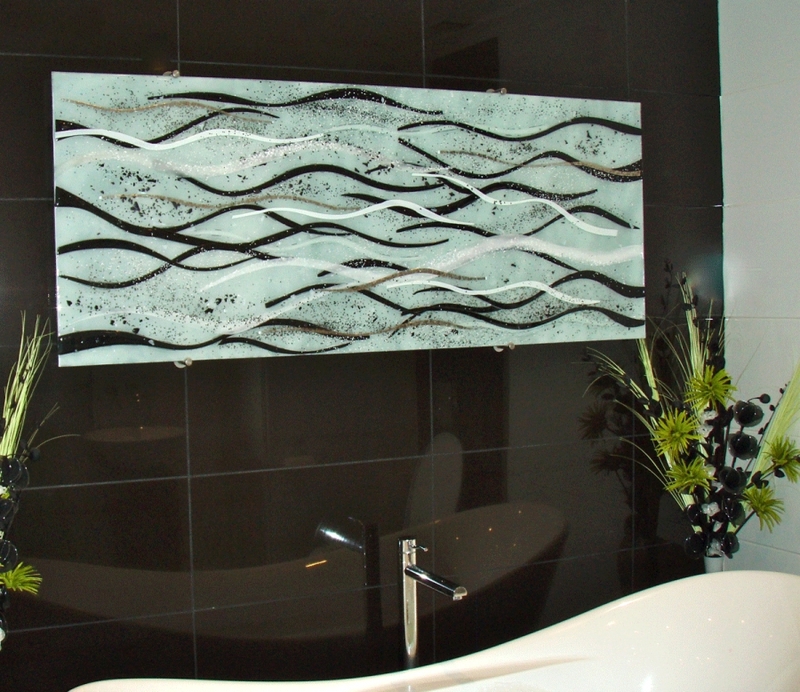 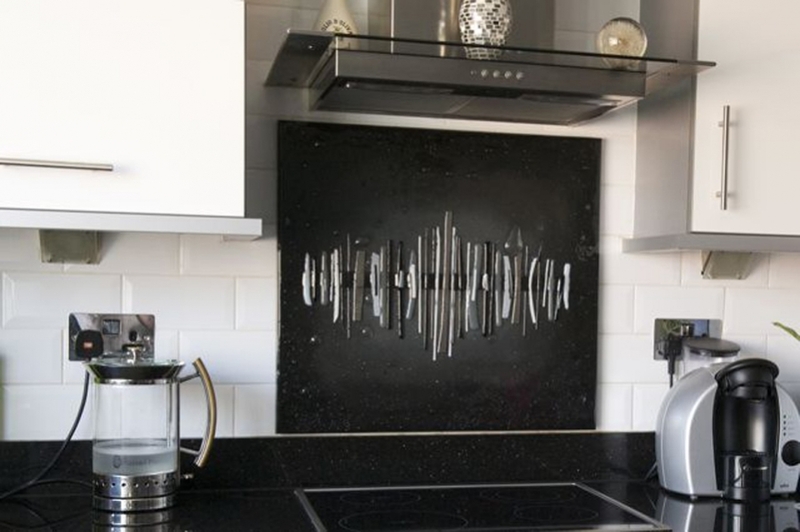 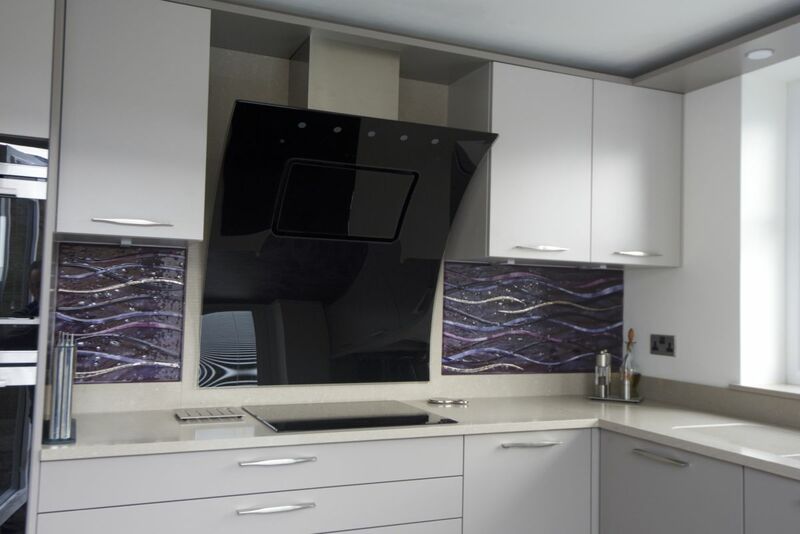 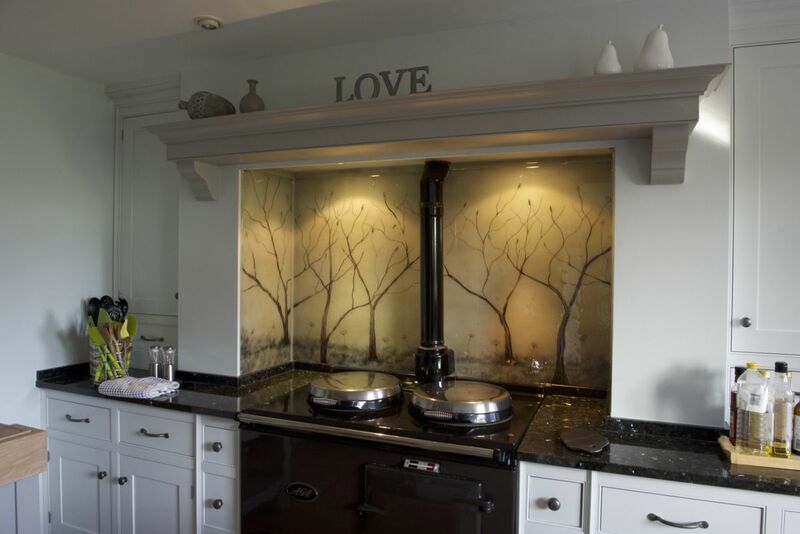 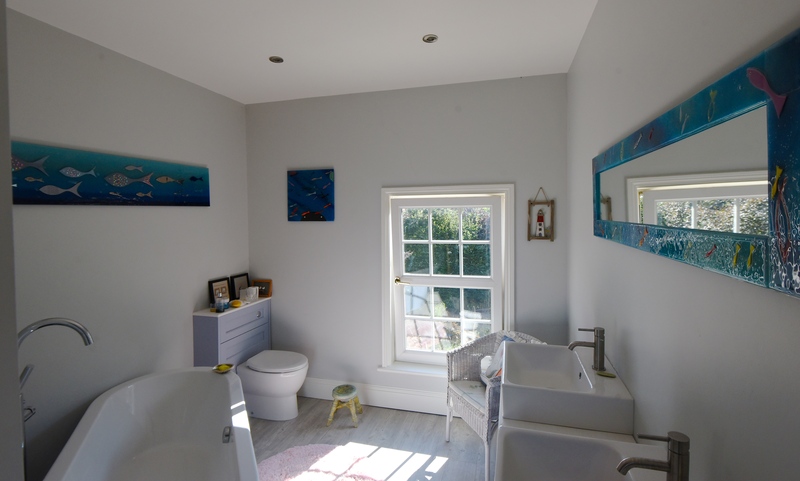 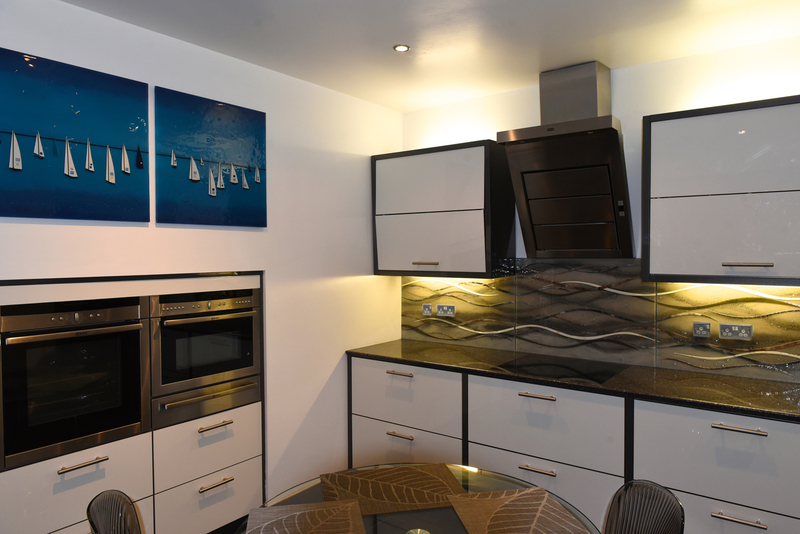 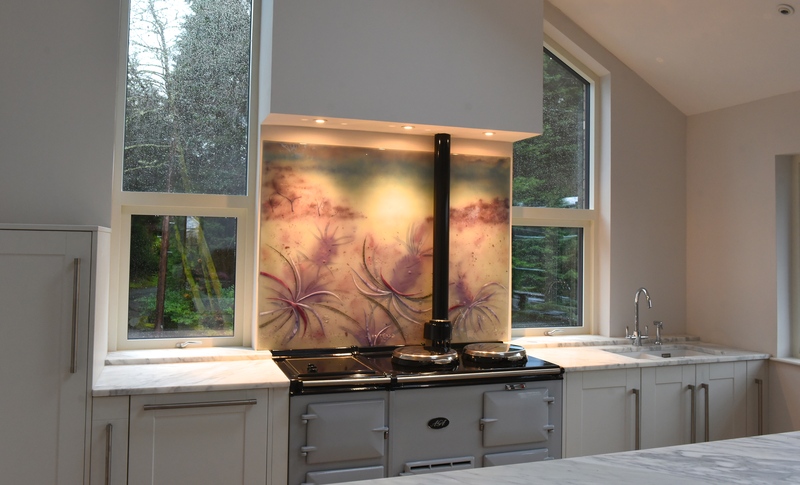 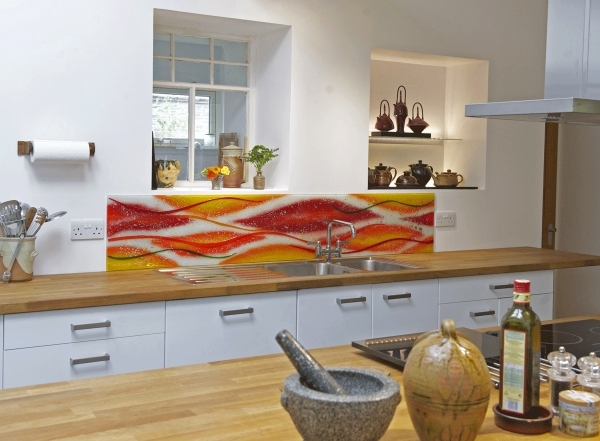 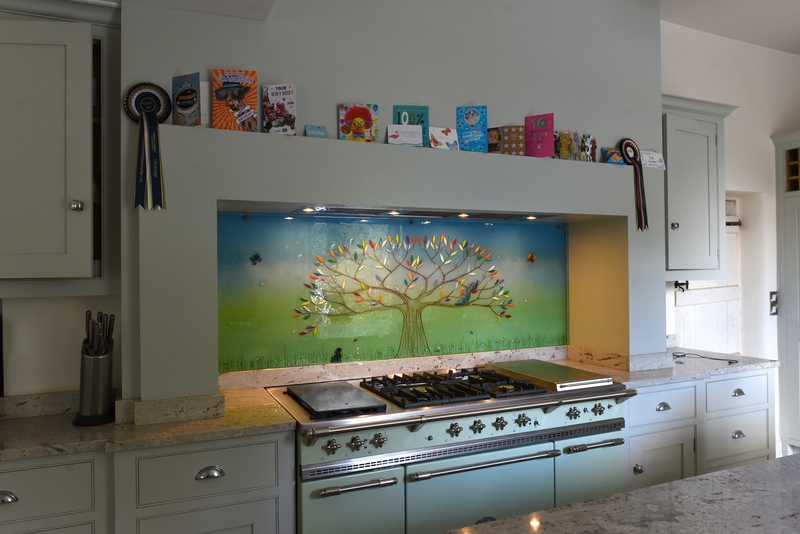 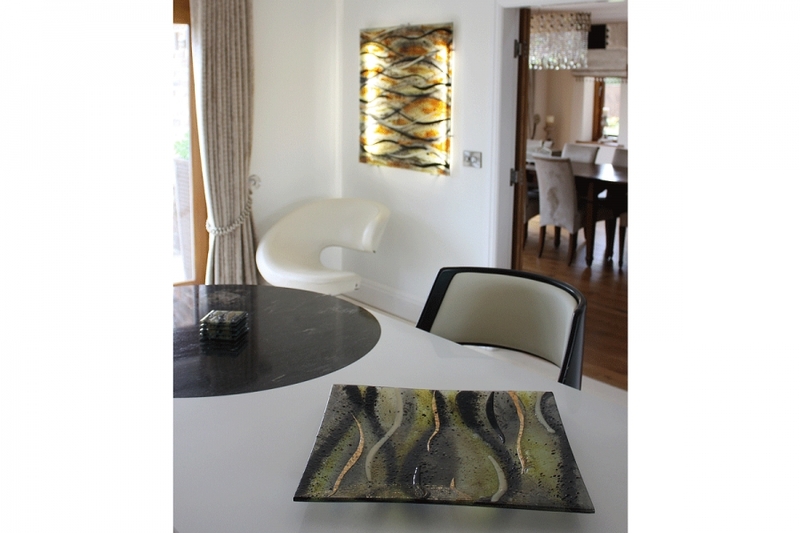 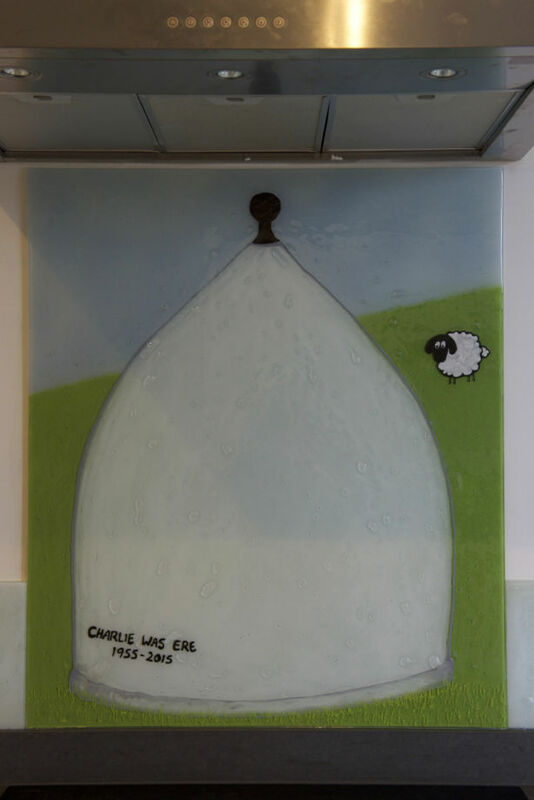 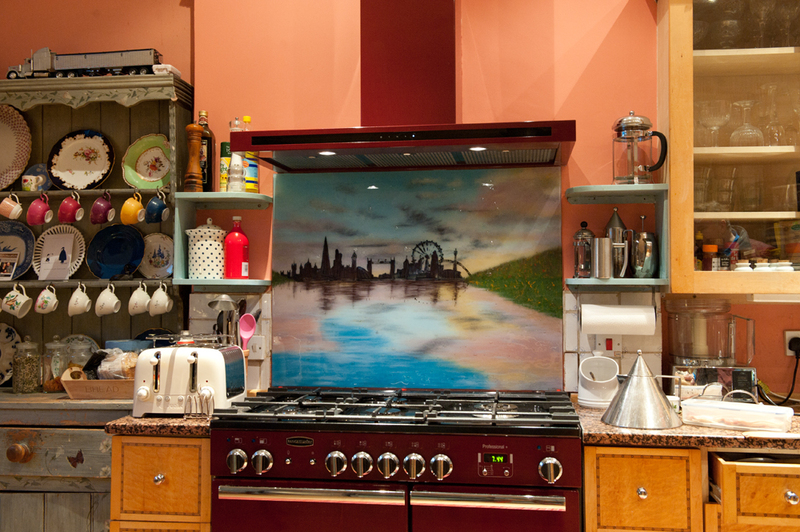 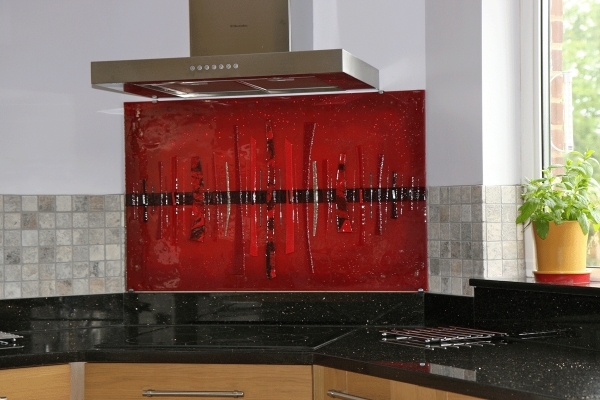 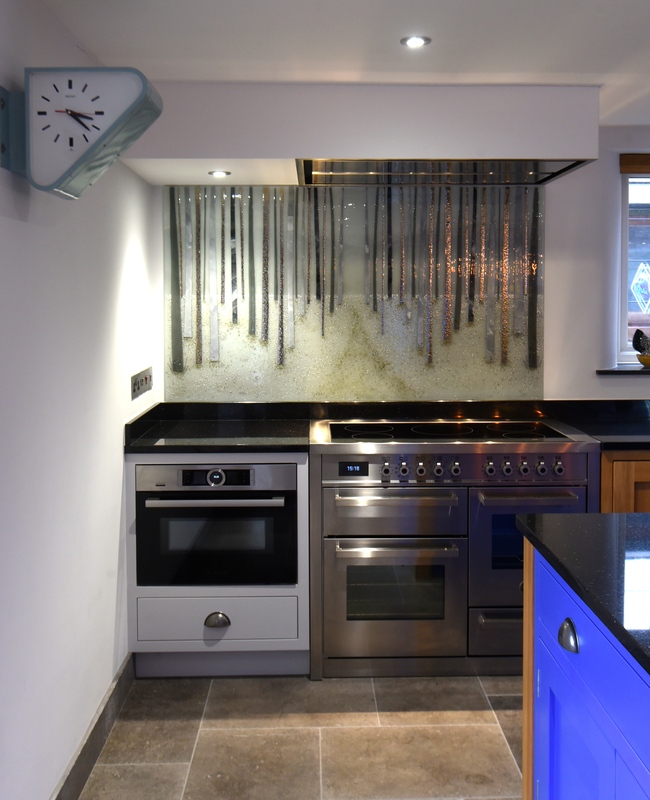 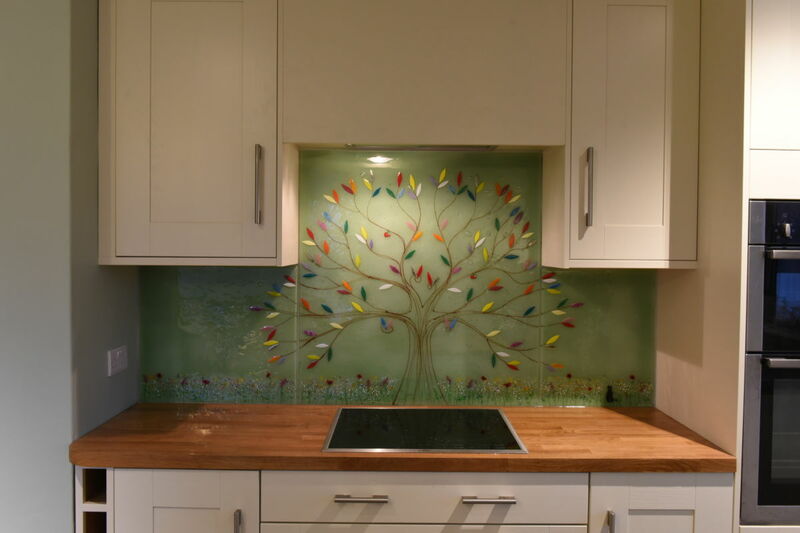 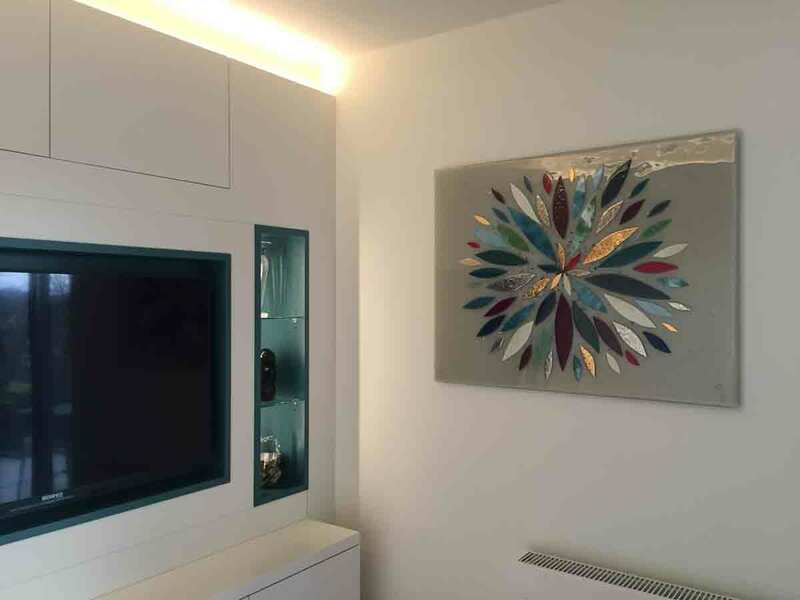 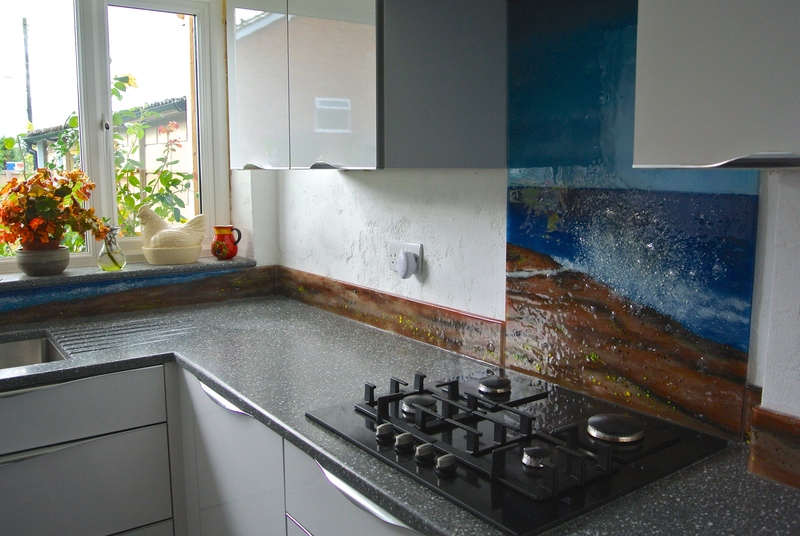 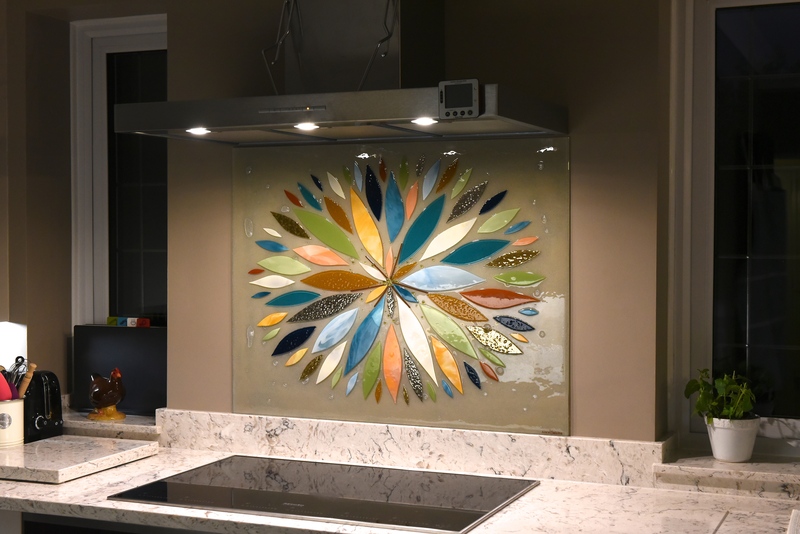 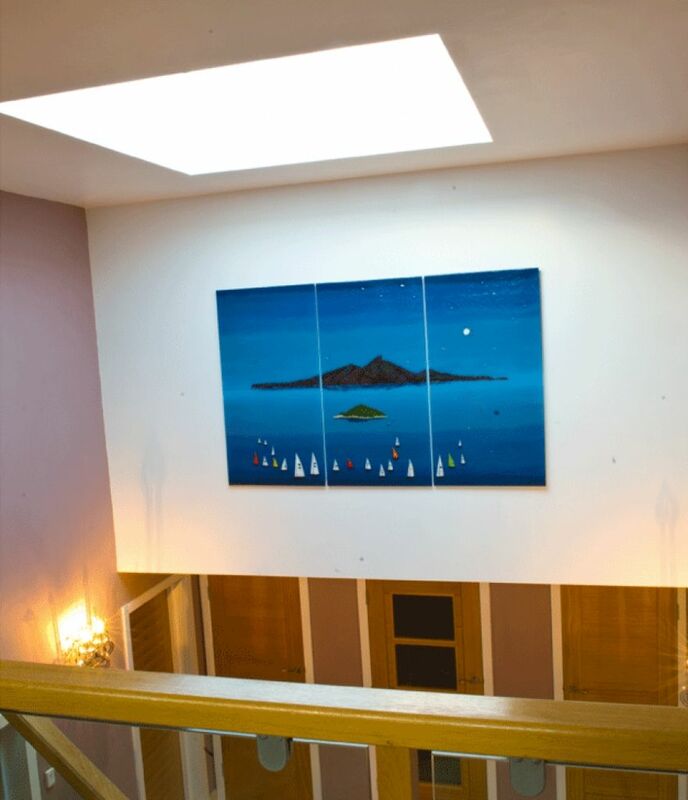 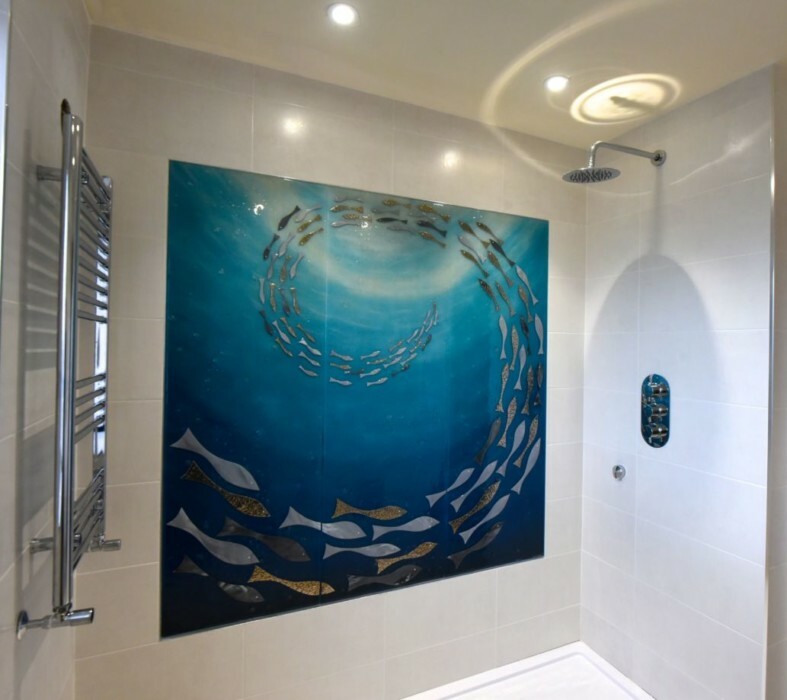 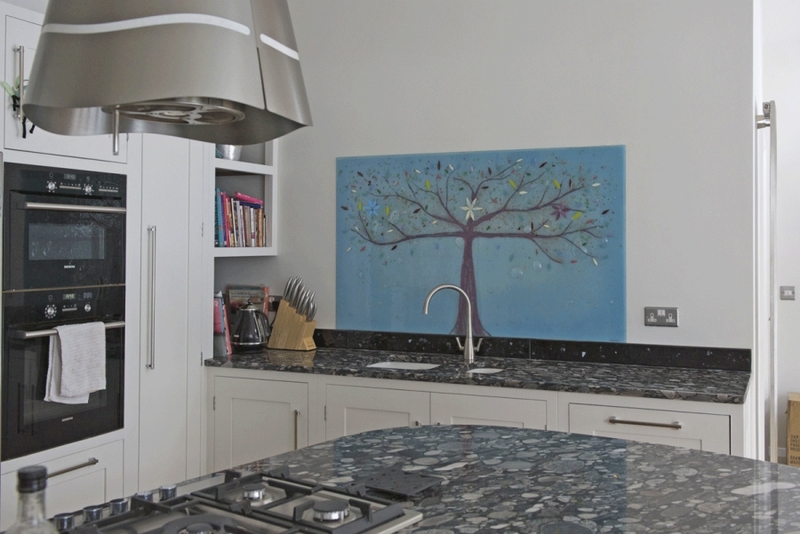 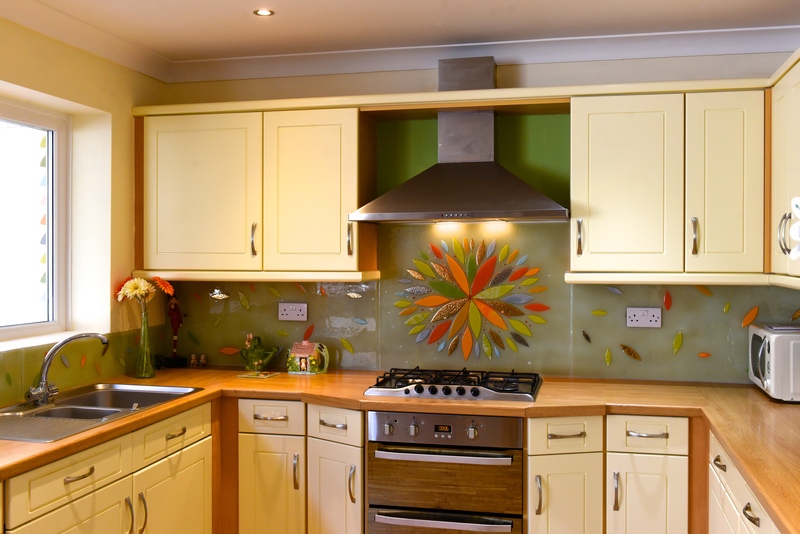 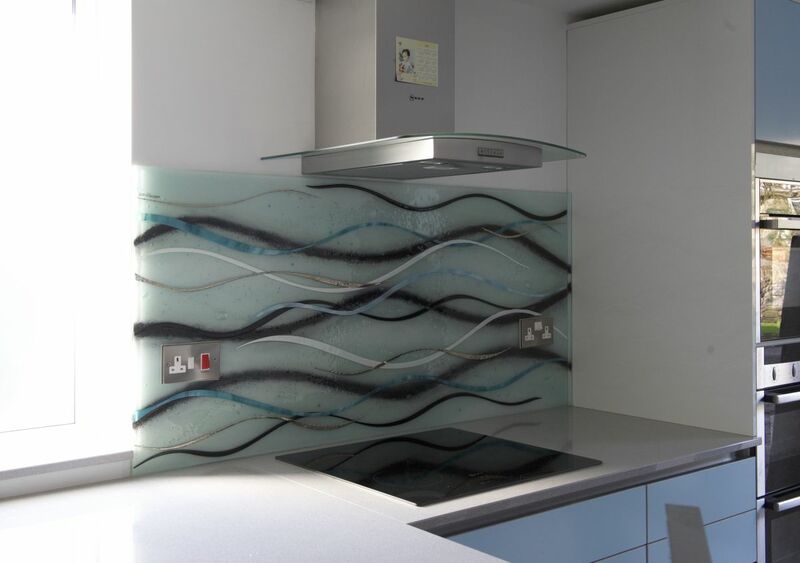 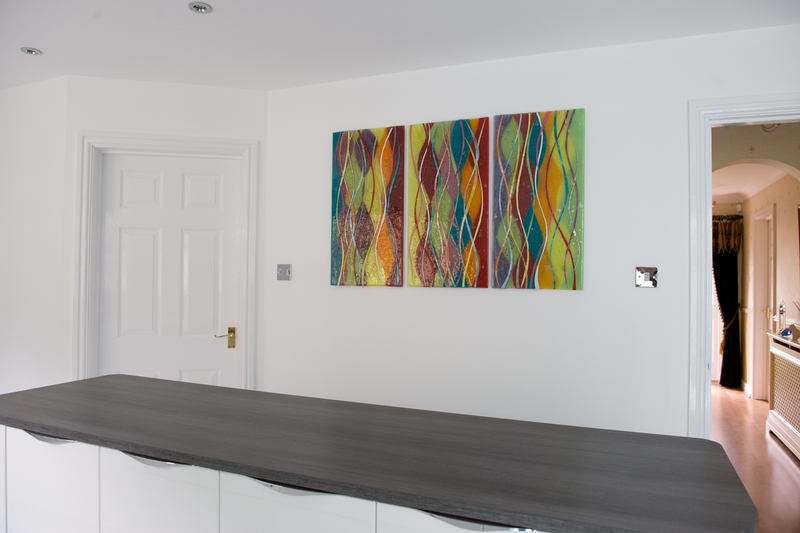 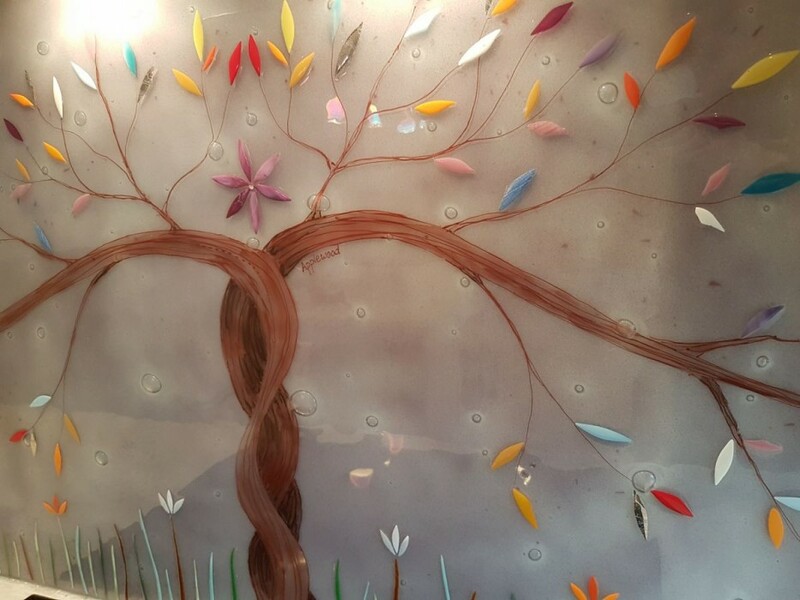 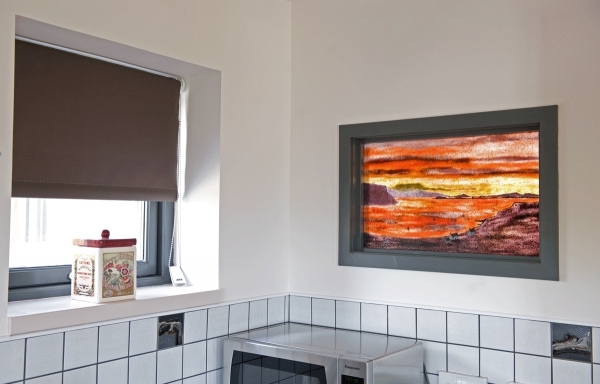 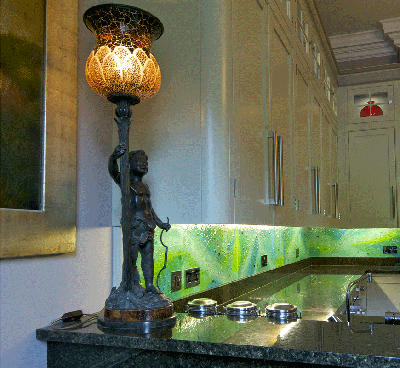 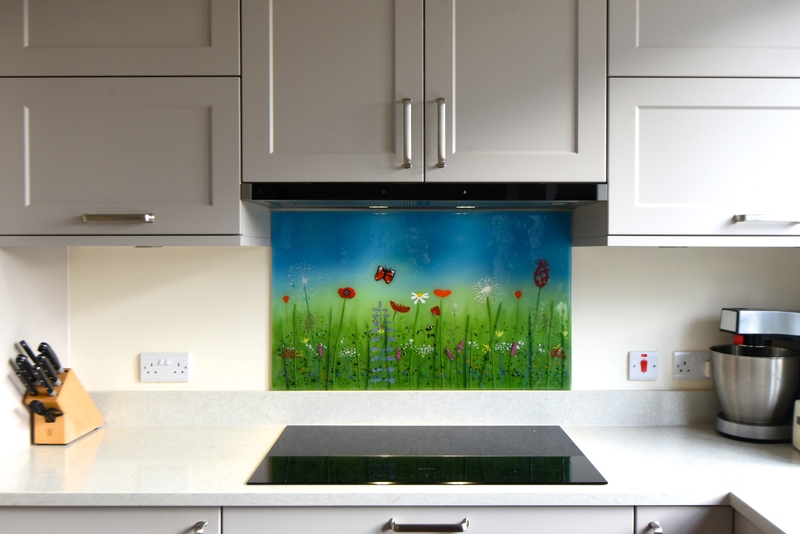 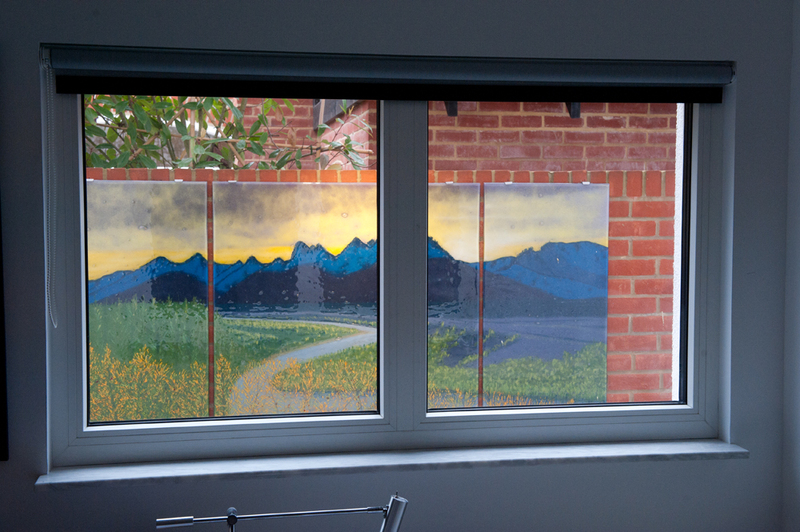 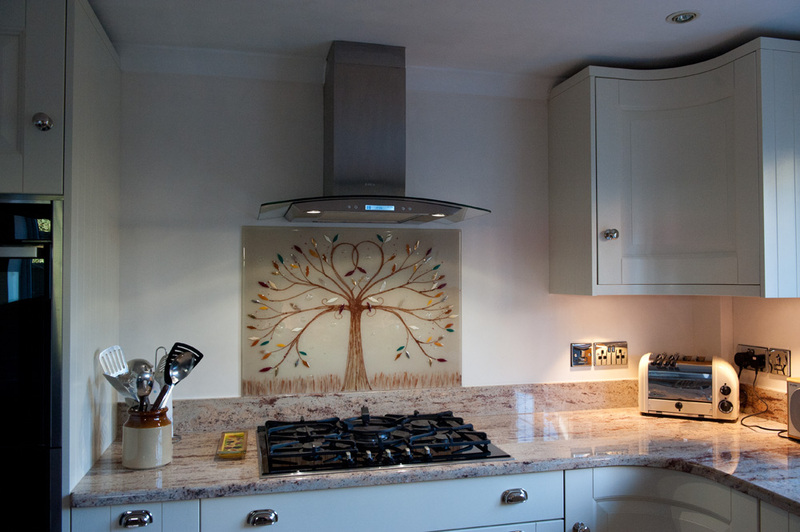 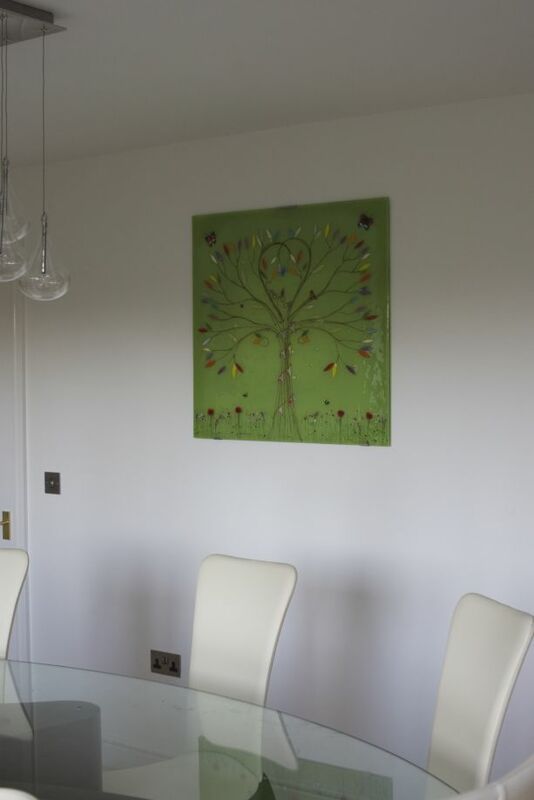 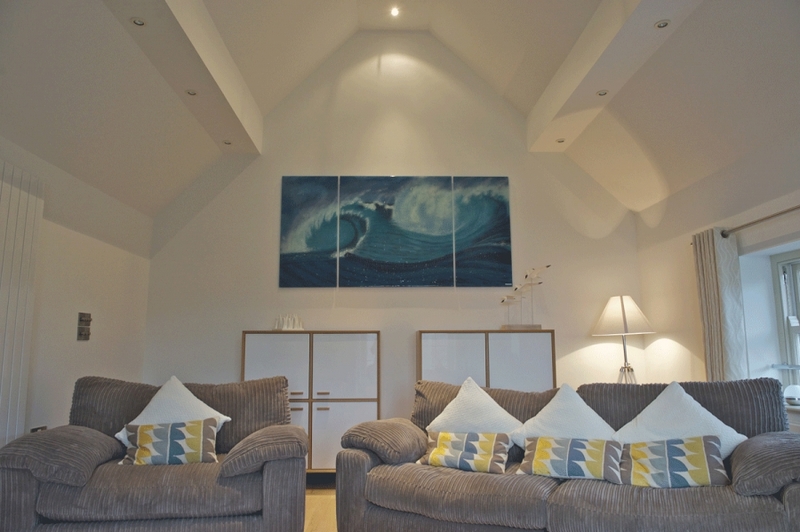 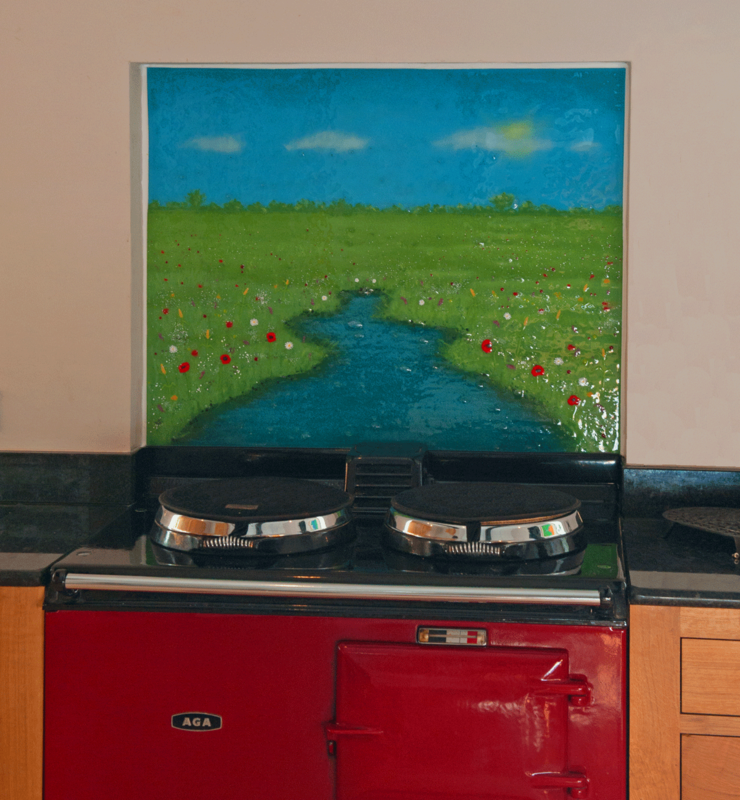 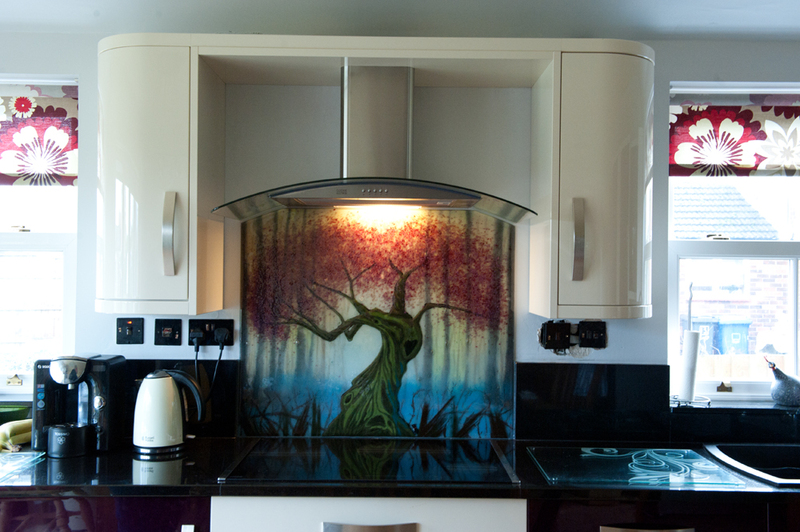 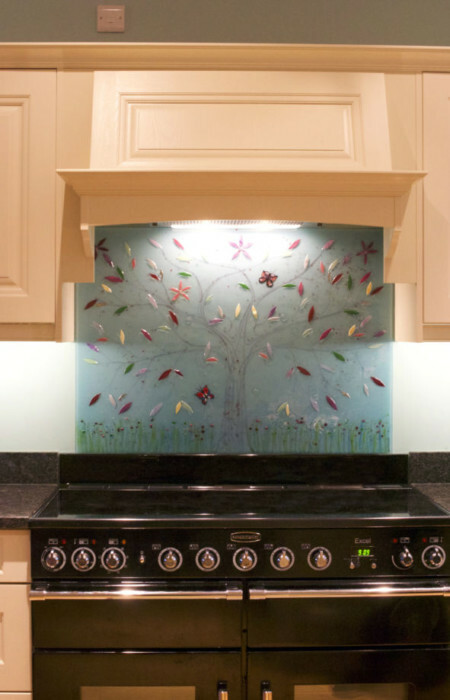 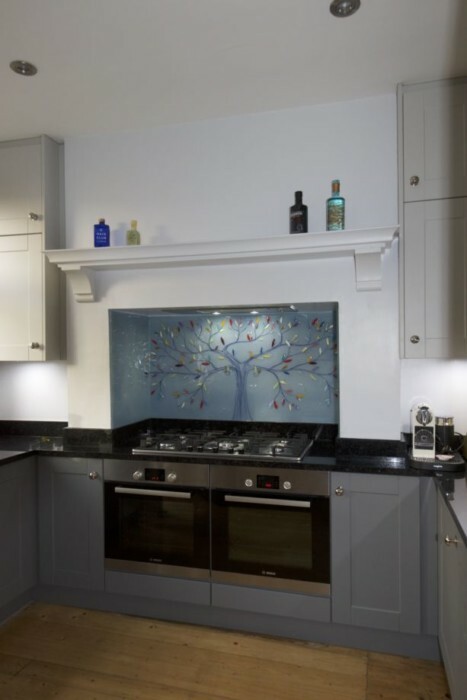 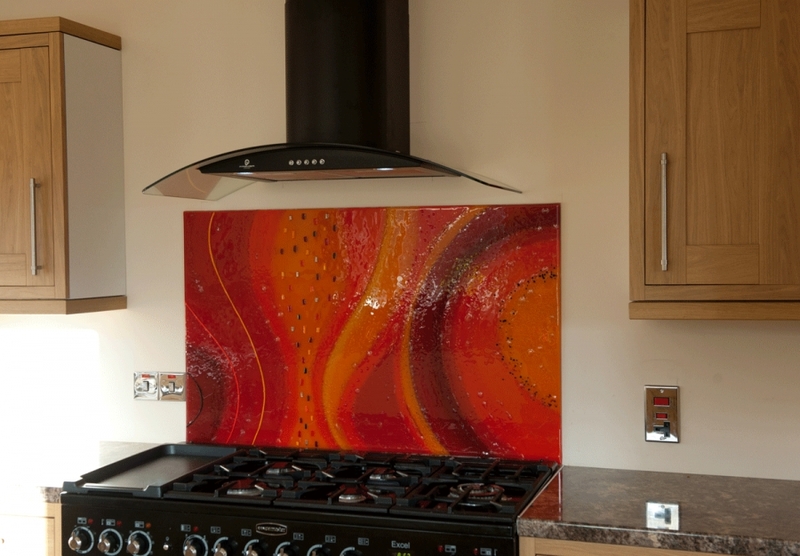 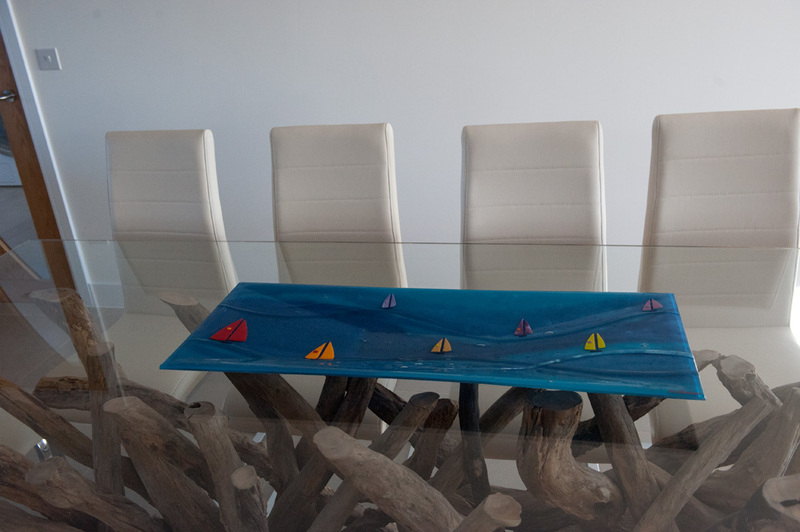 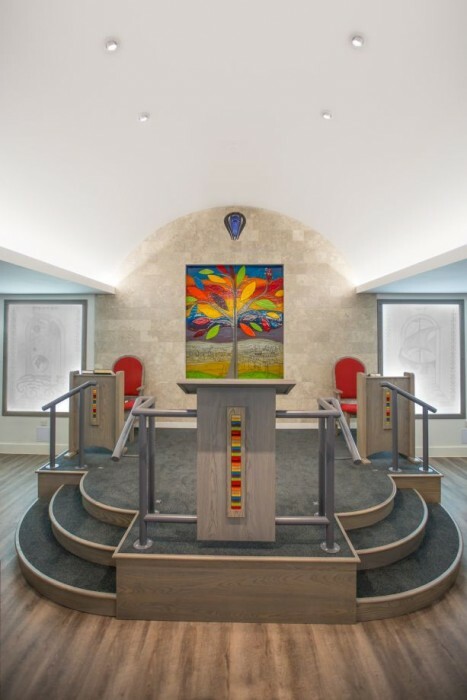 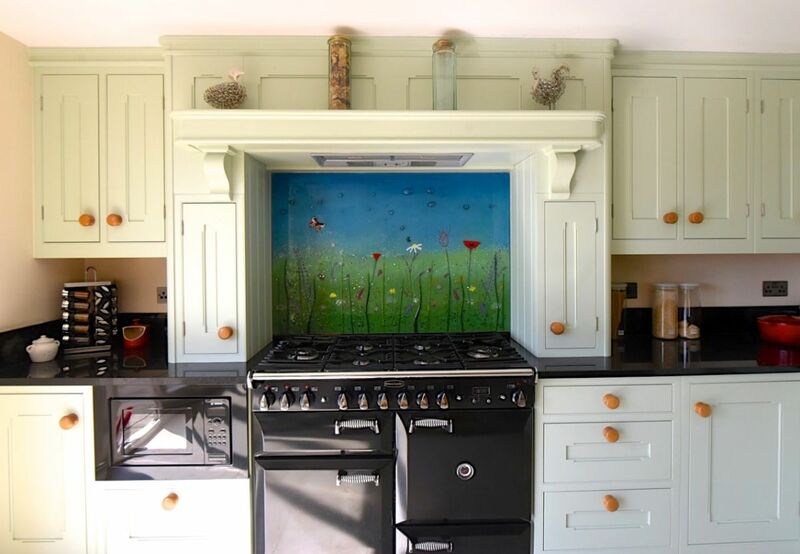 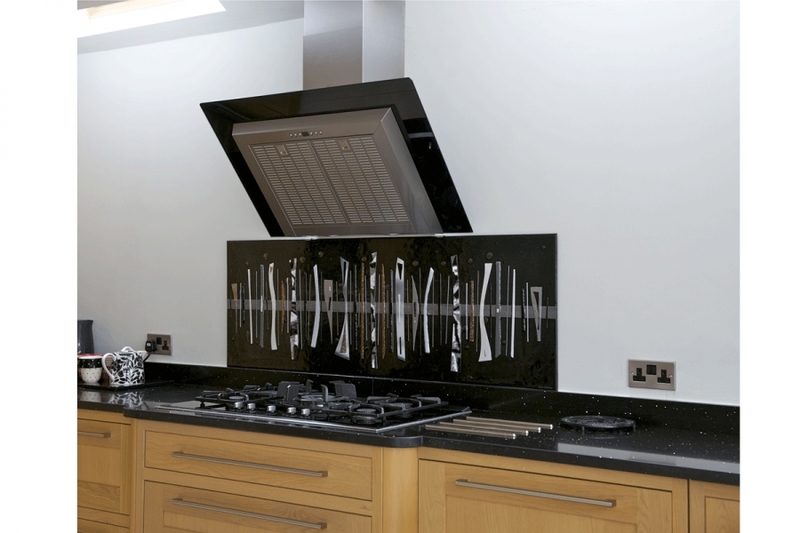 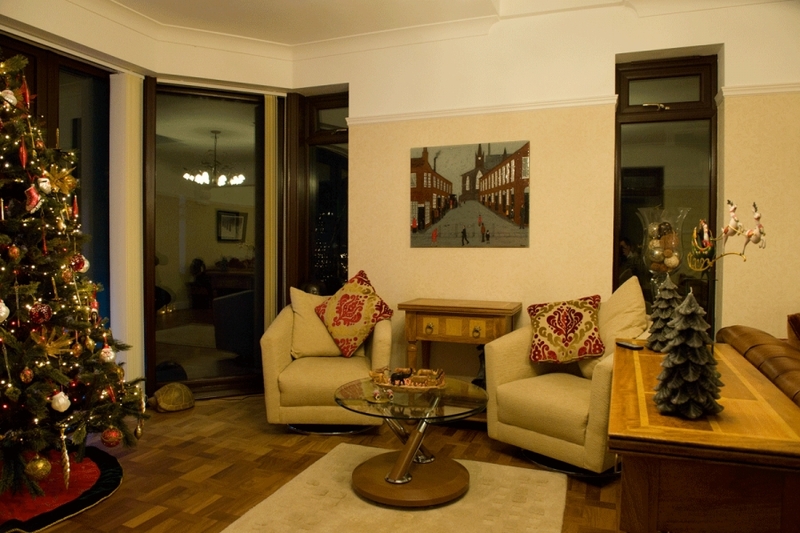 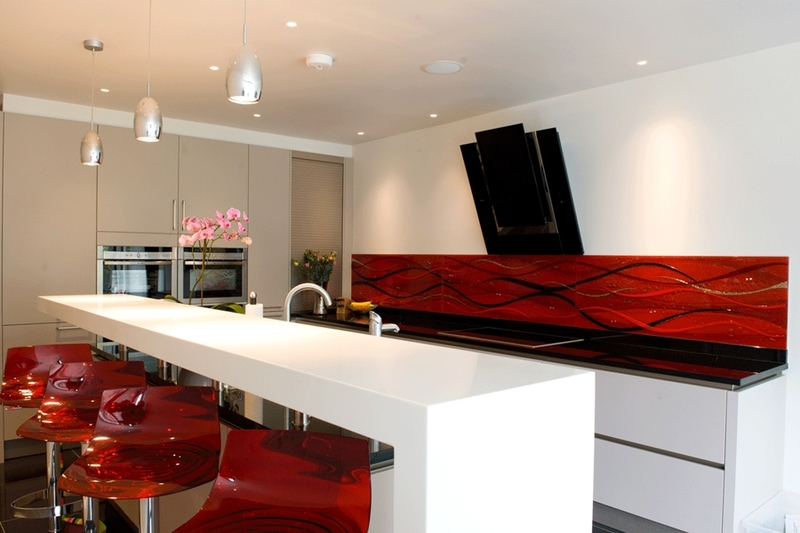 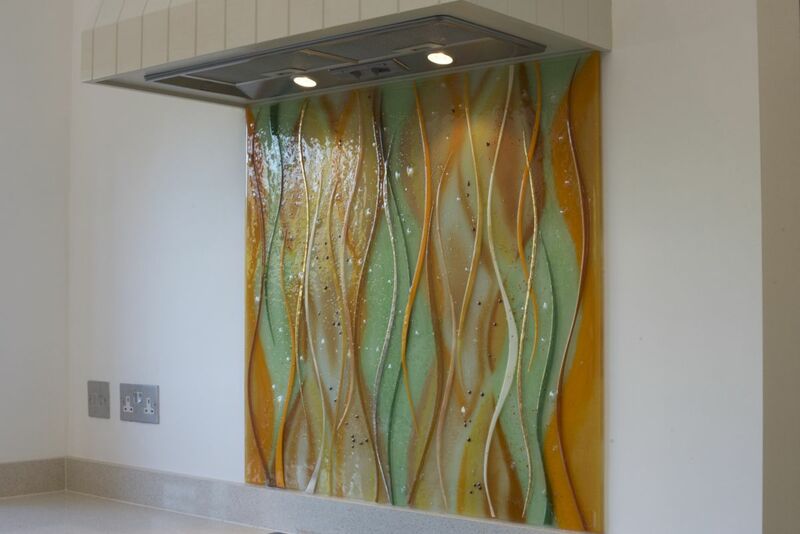 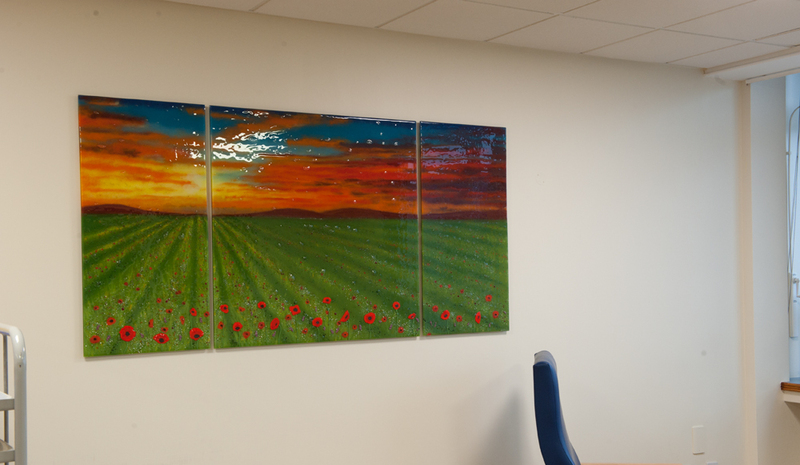 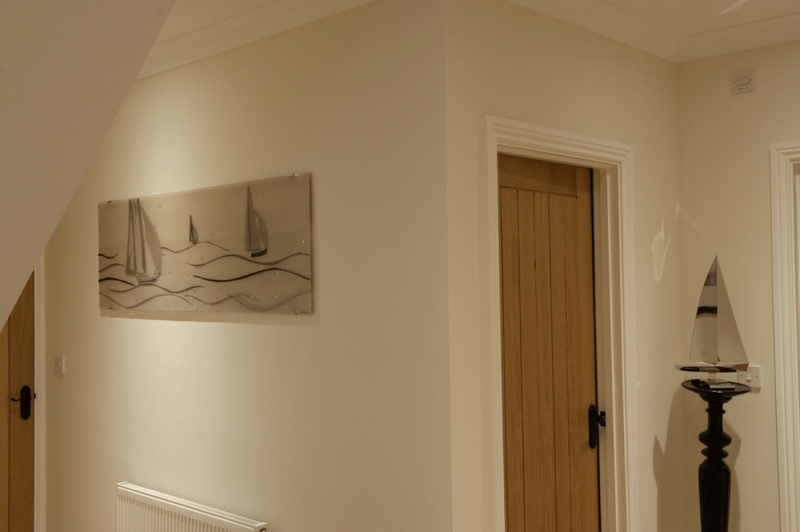 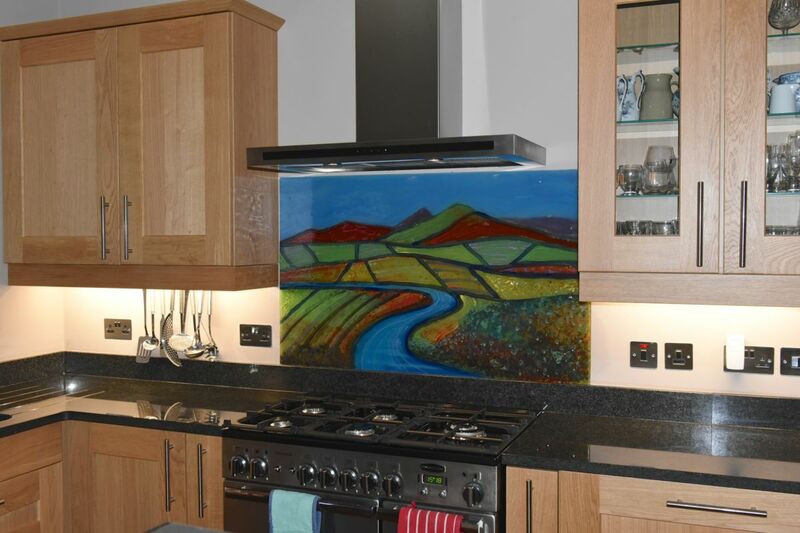 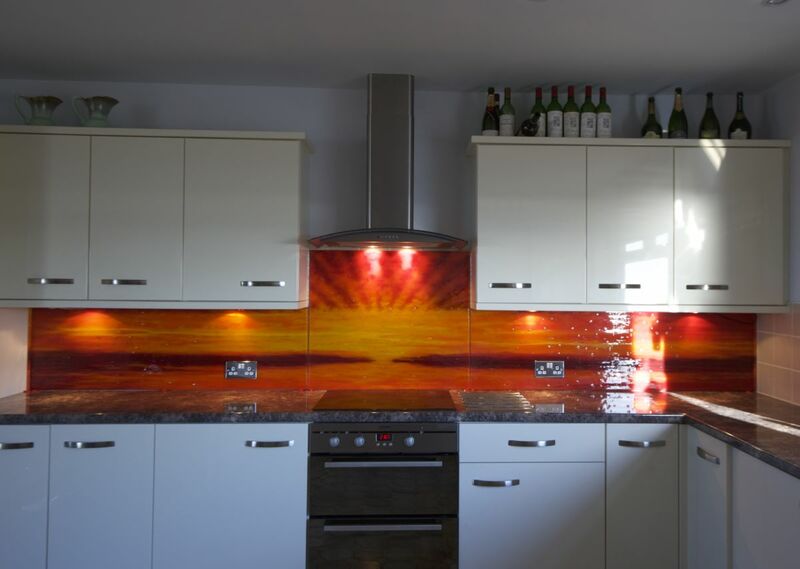 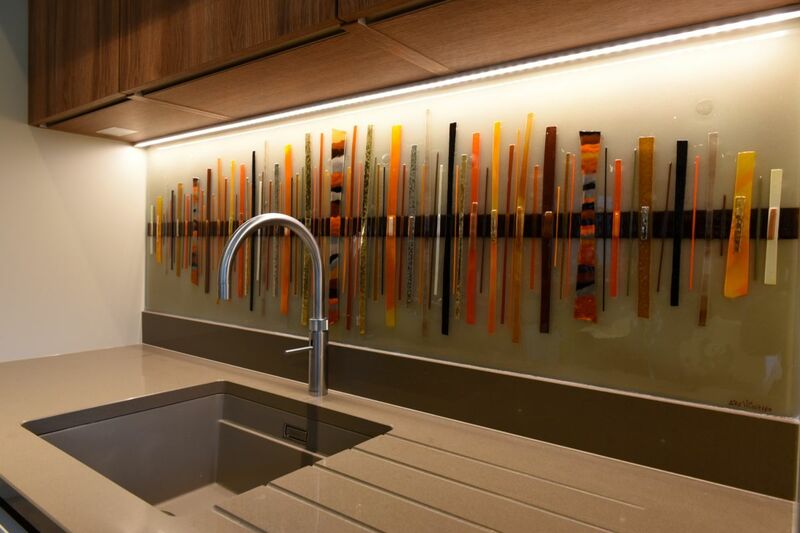 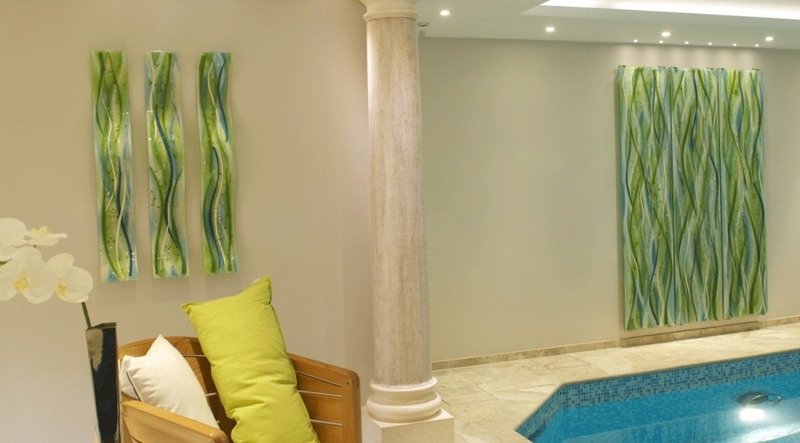 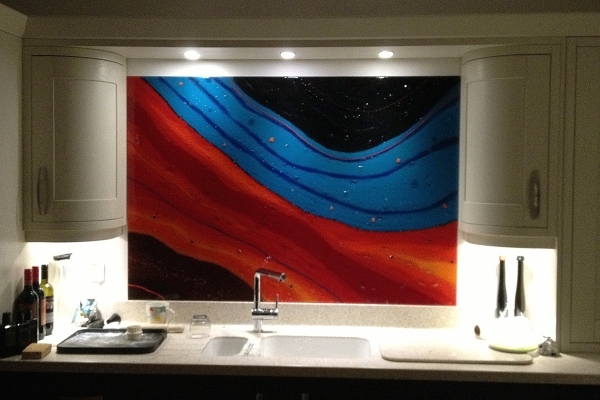 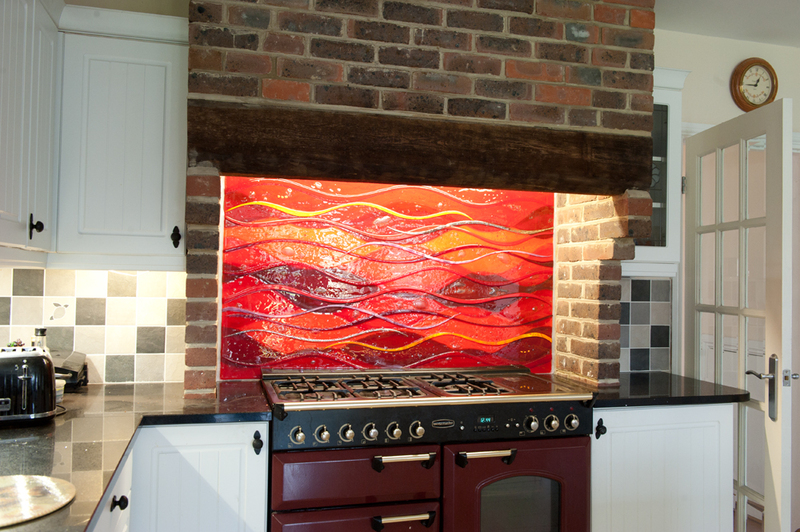 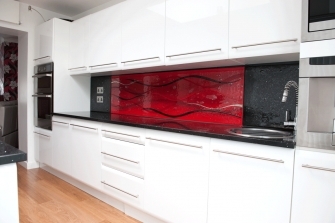 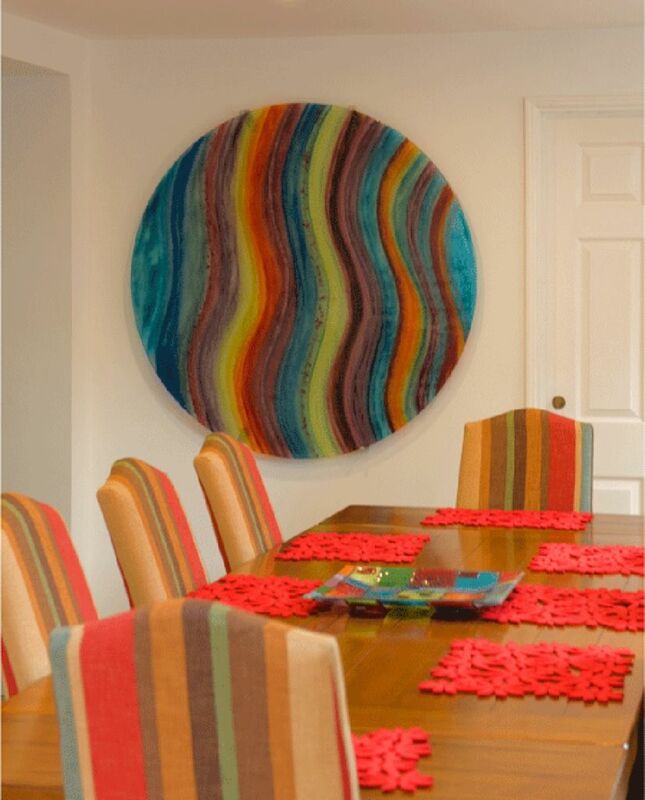 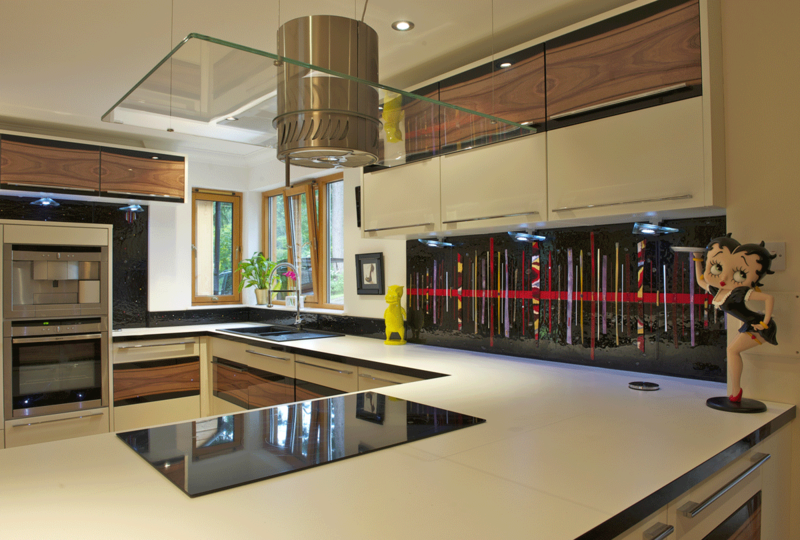 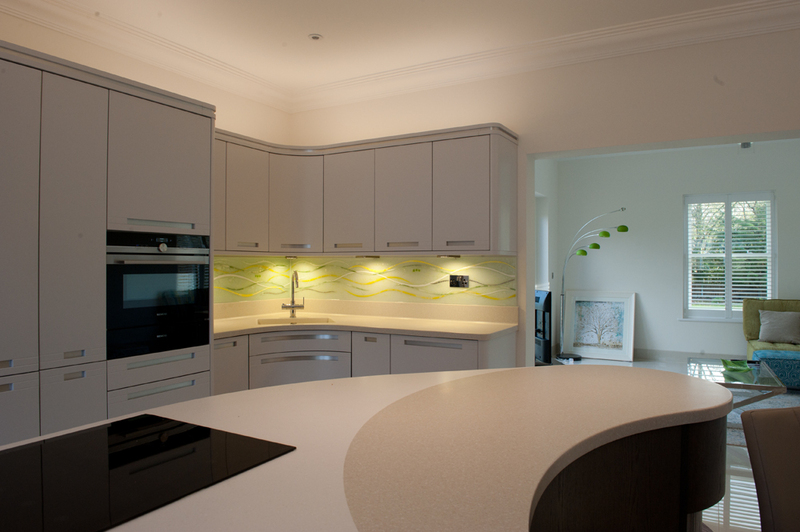 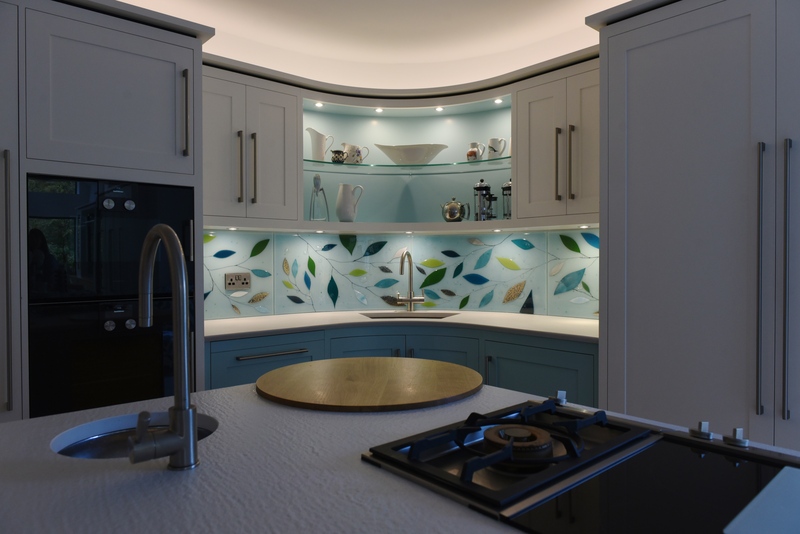 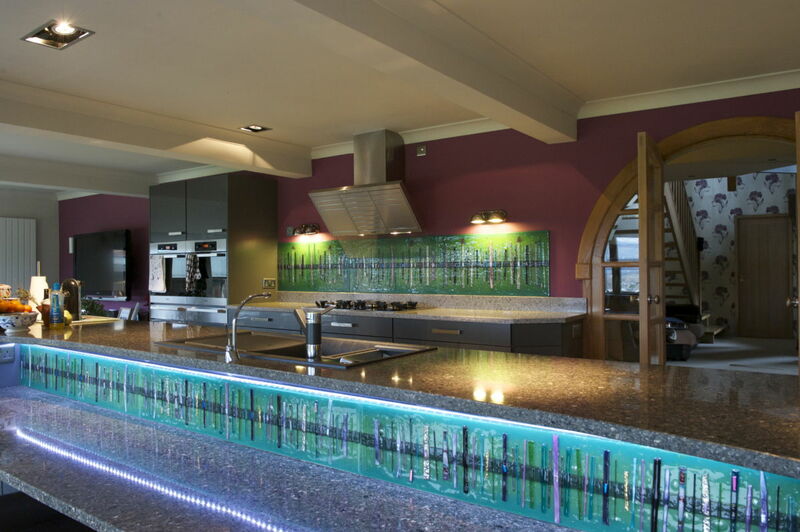 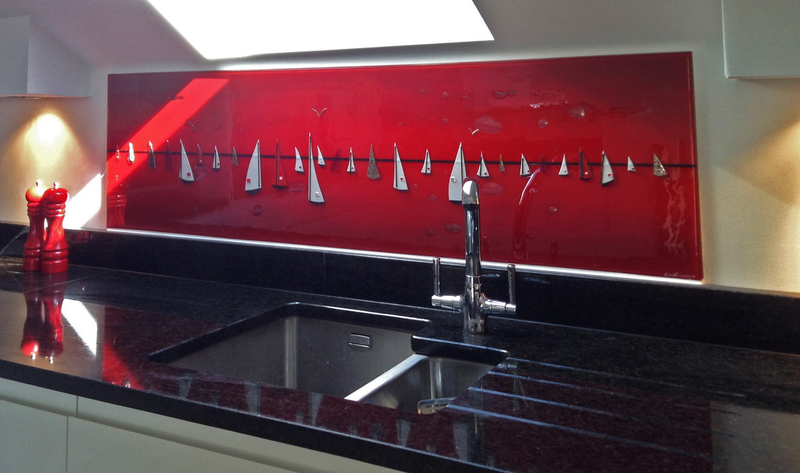 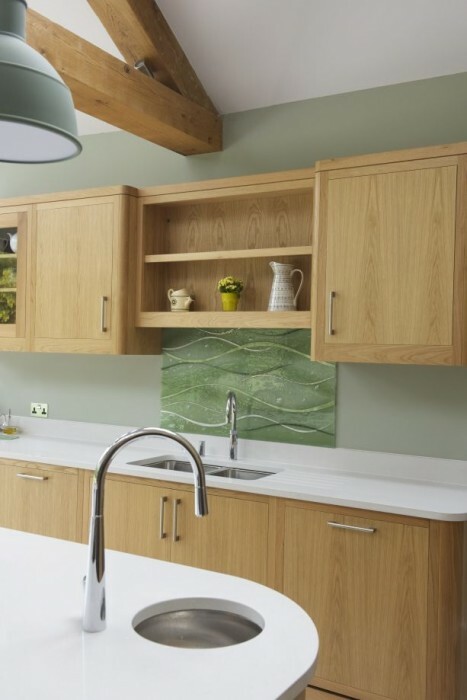 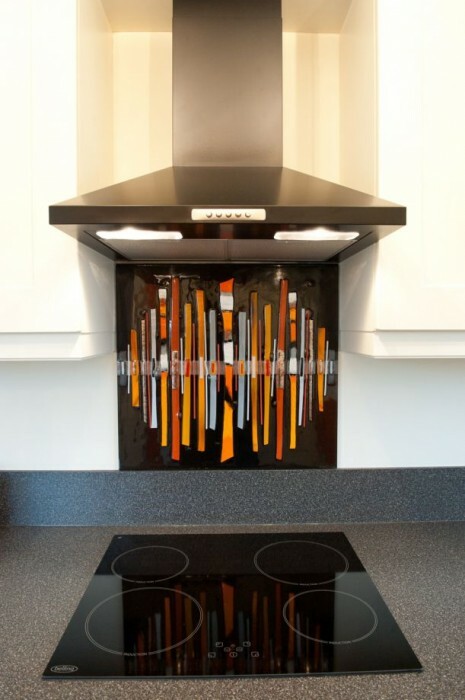 This client of ours in Mansfield wanted a piece of our bespoke fused glass art featuring a tree that was horizontally dominant, branching up in the centre, behind the hob and reaching down to go under each cabinet on the sides. 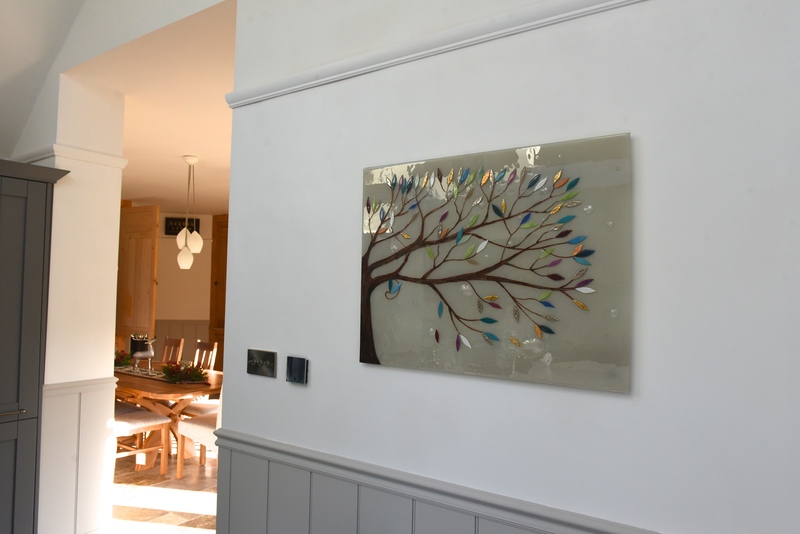 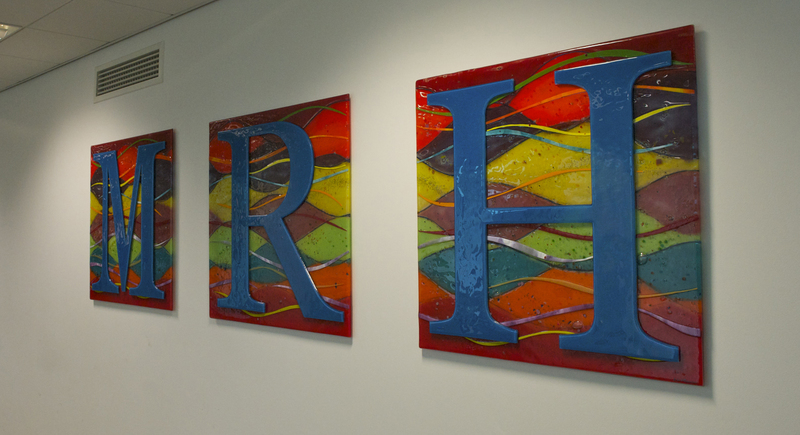 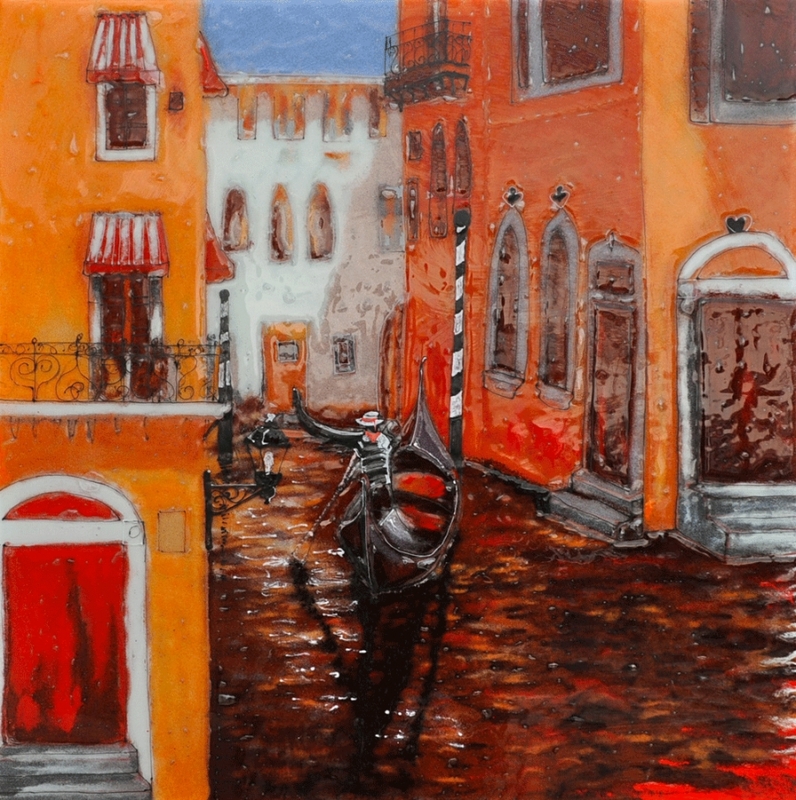 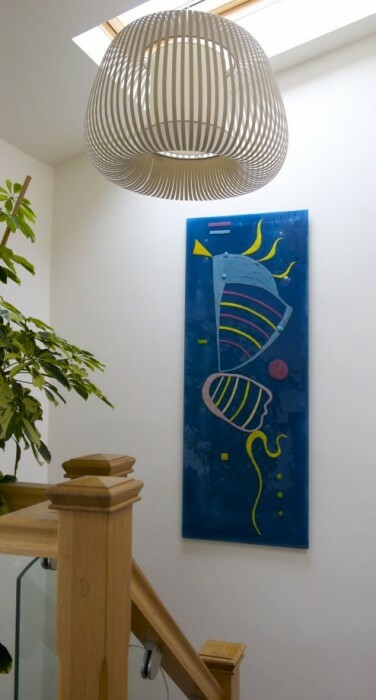 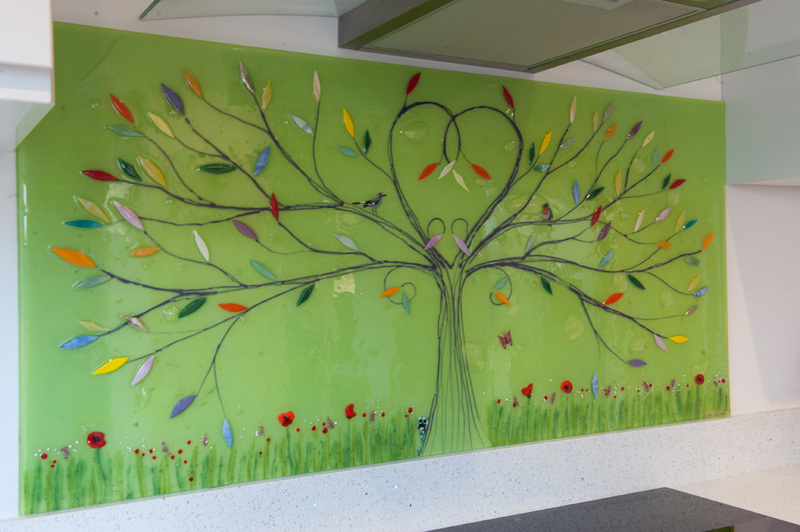 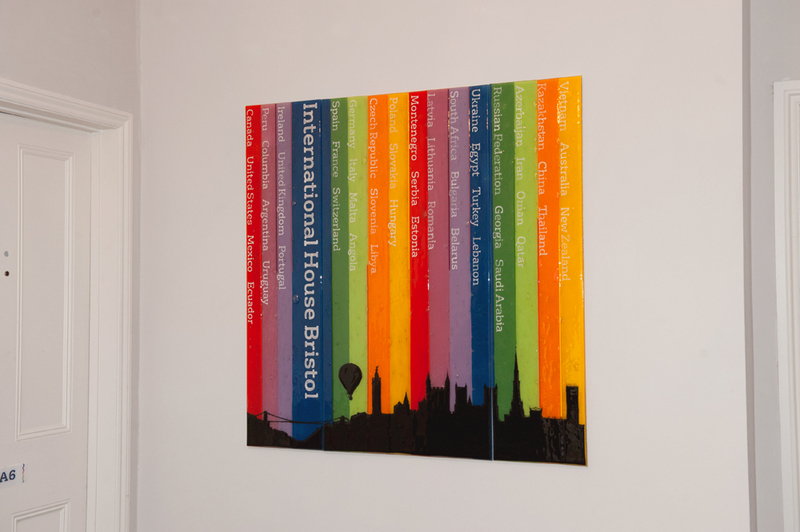 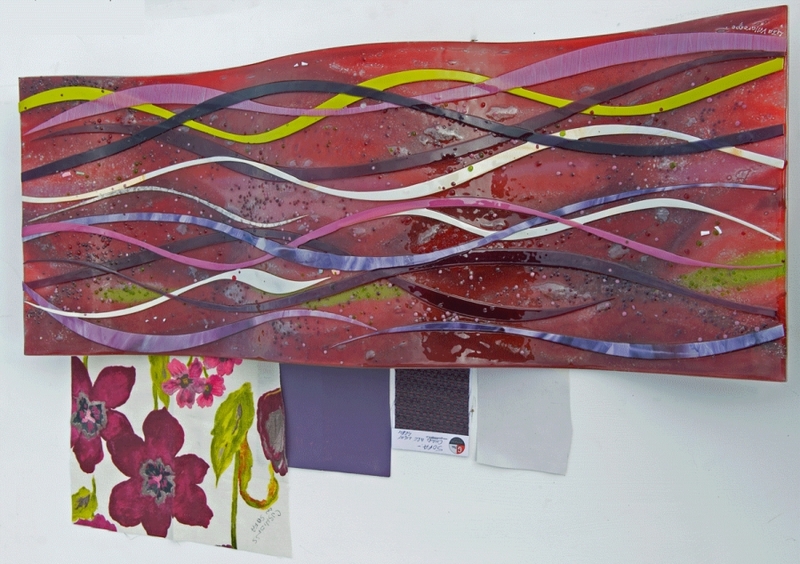 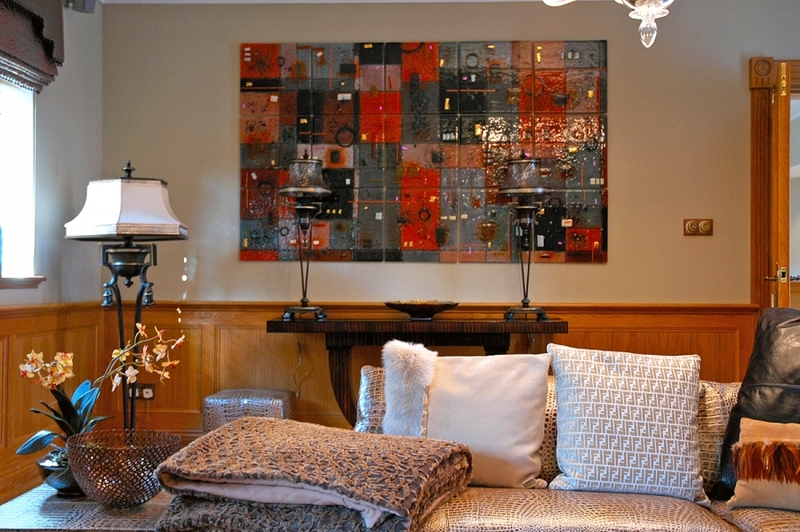 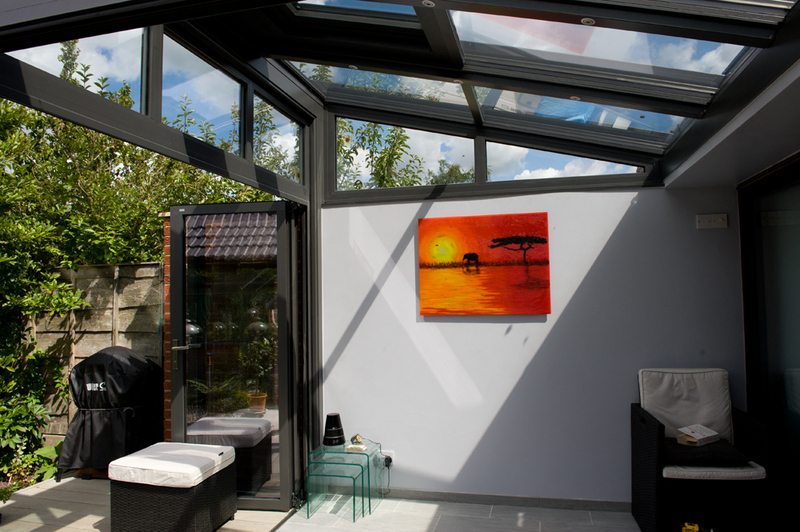 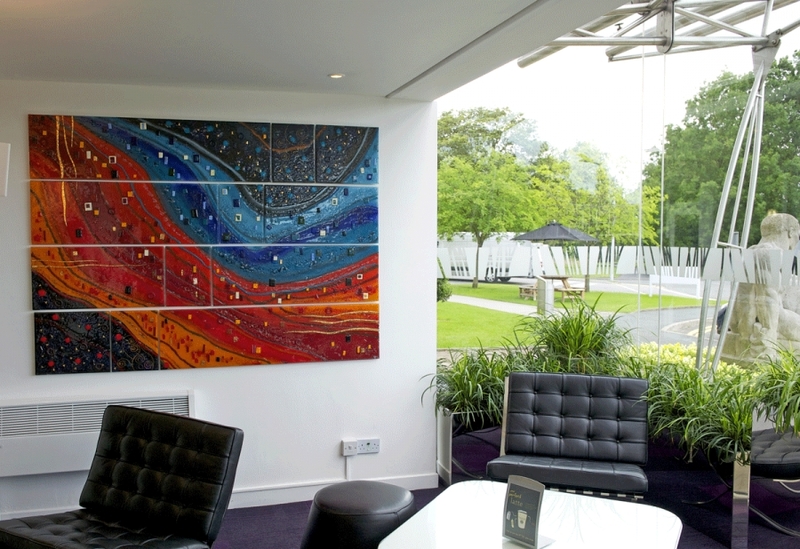 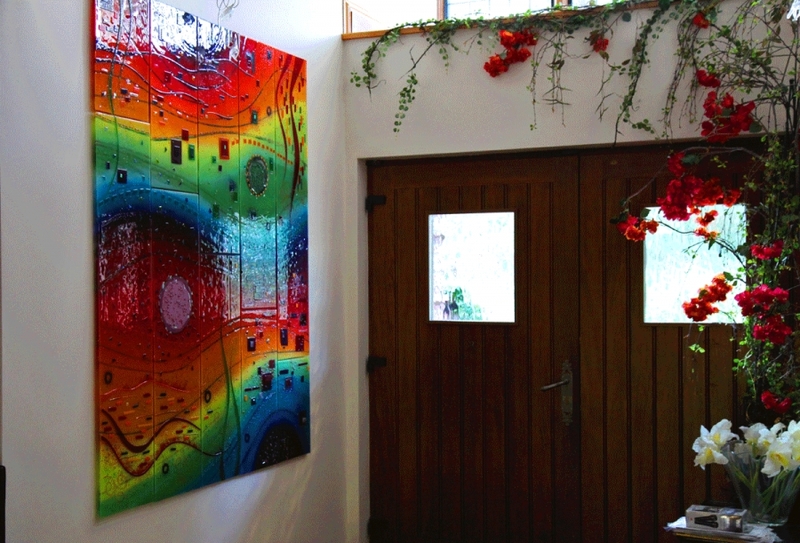 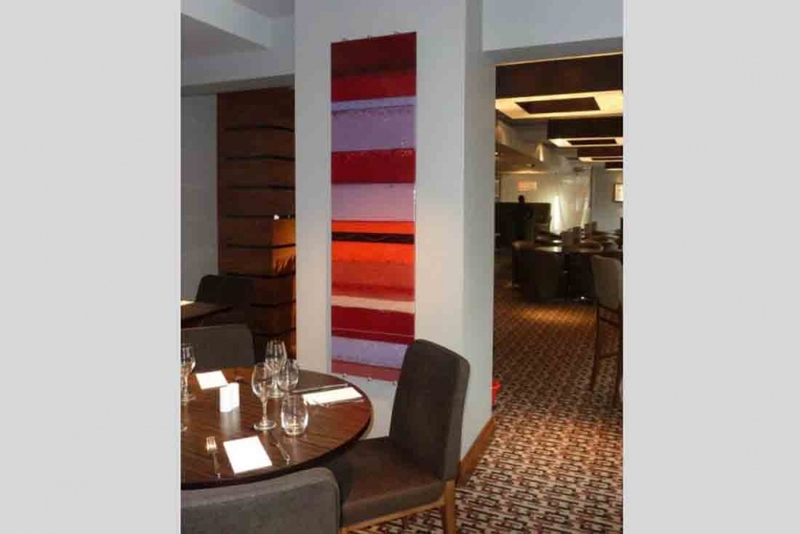 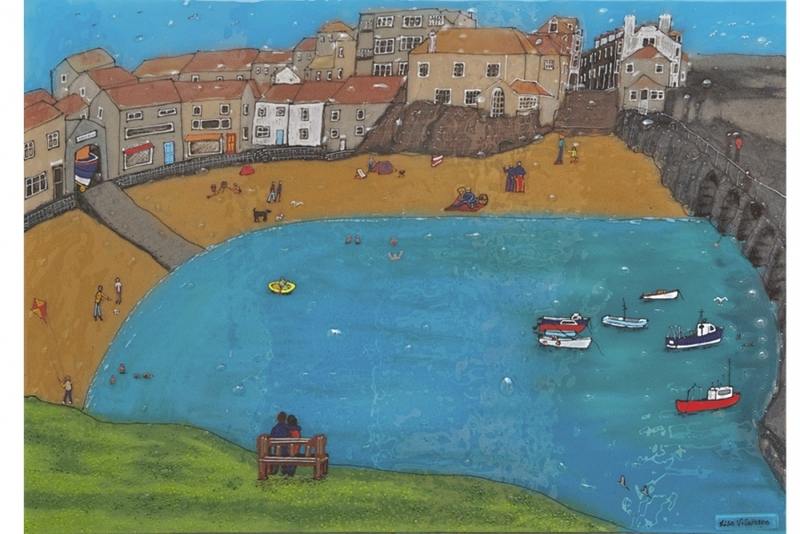 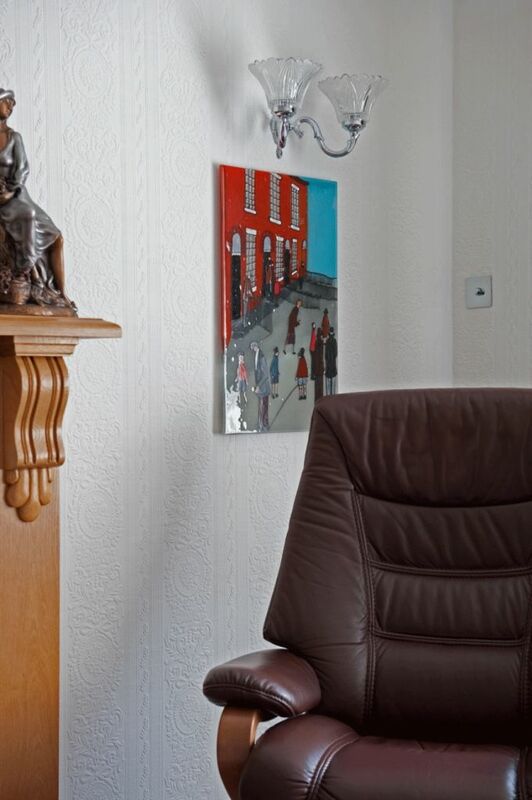 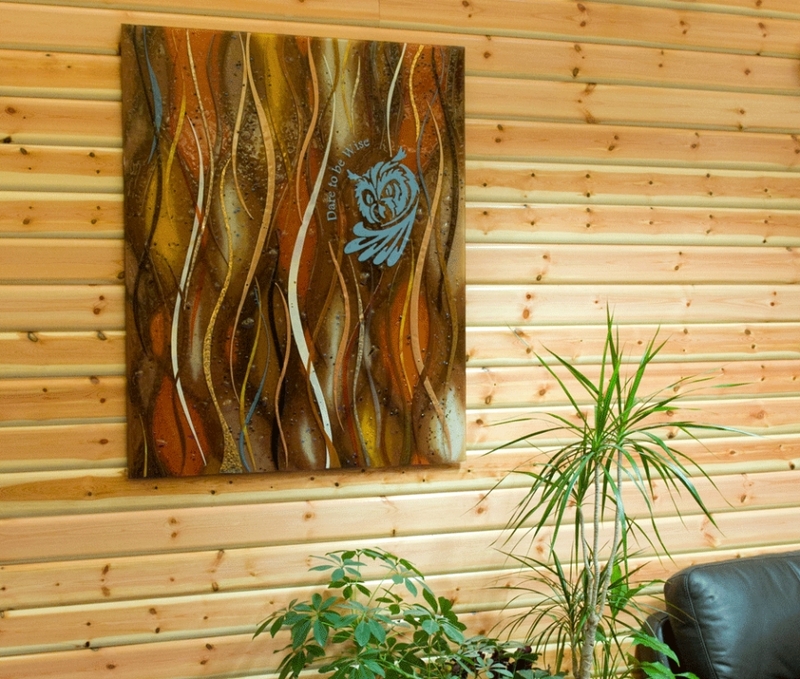 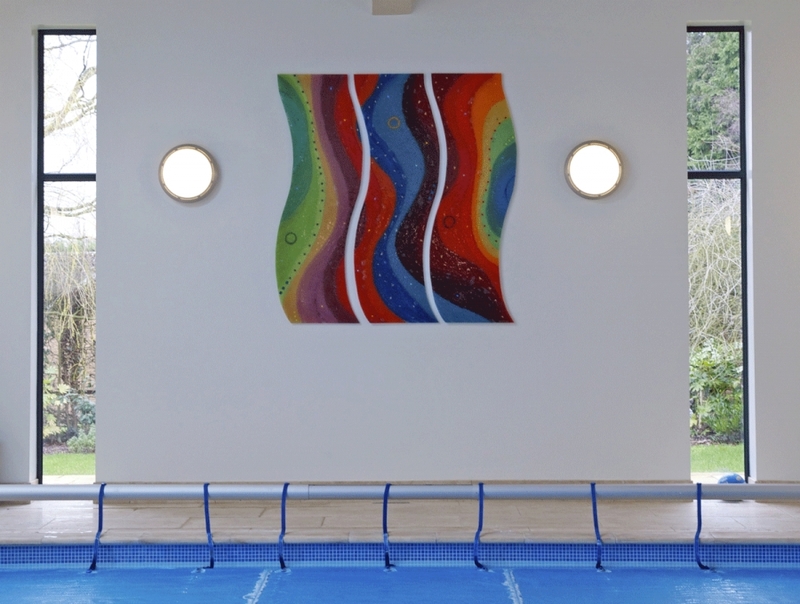 With lights coming down from the top of the piece, the colours come out in a great way, allowing the multicoloured leaves of the tree to shine, as well as lifting the purple hues of the background. 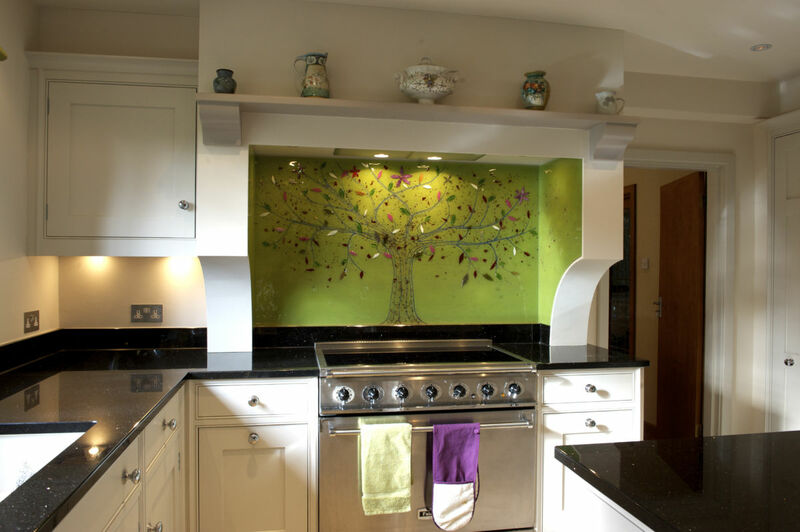 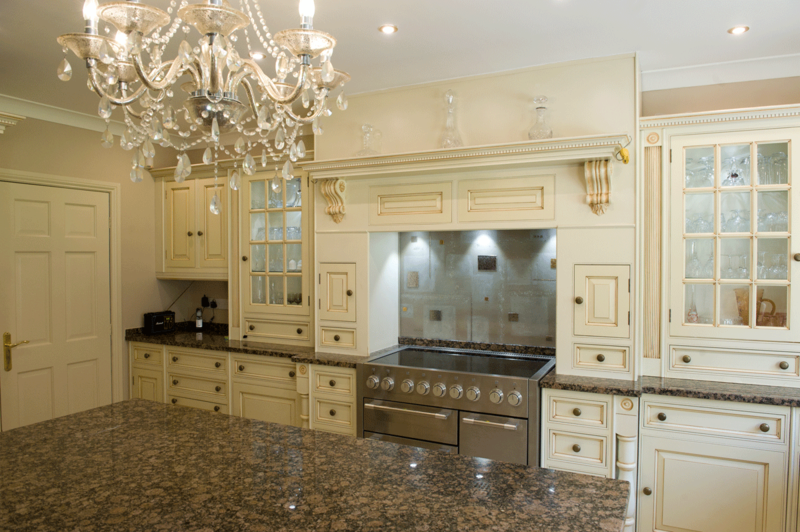 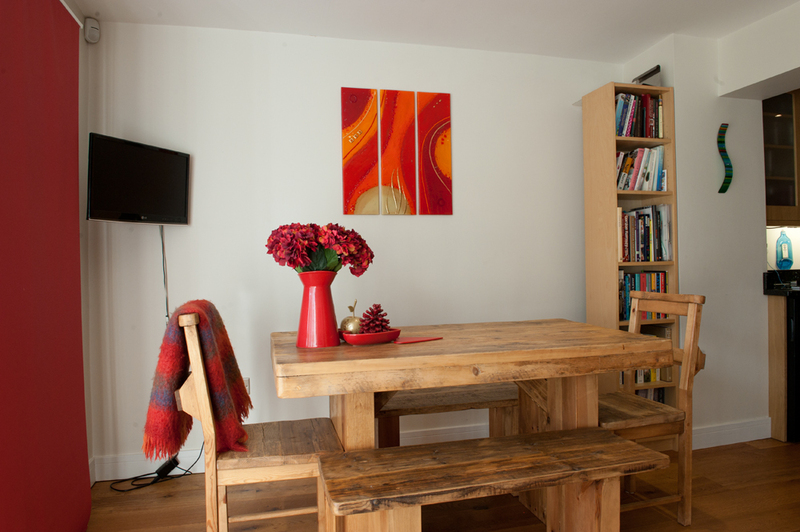 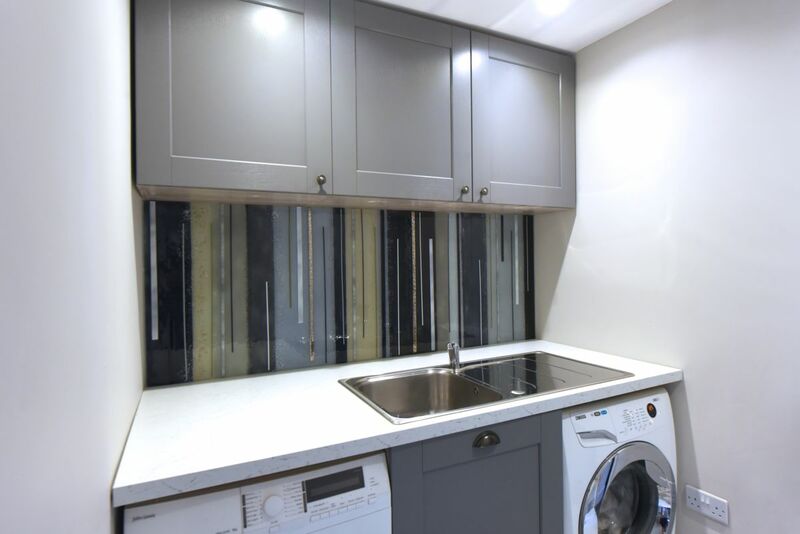 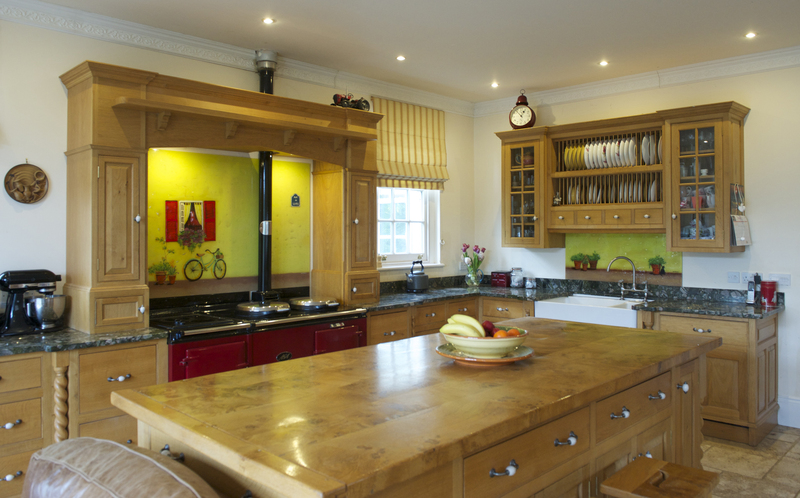 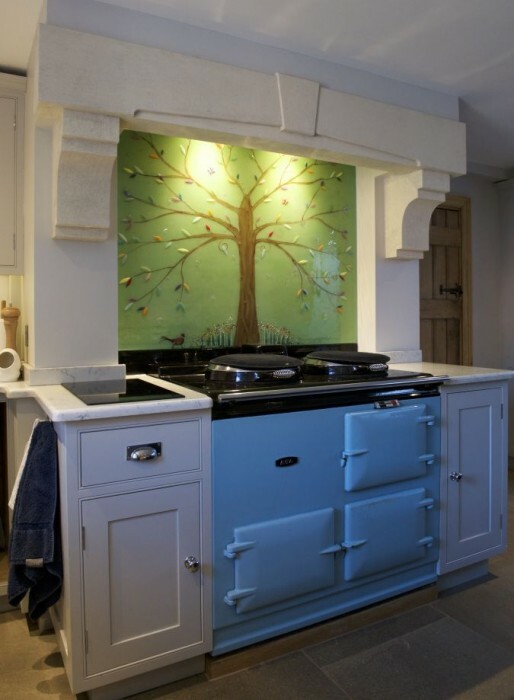 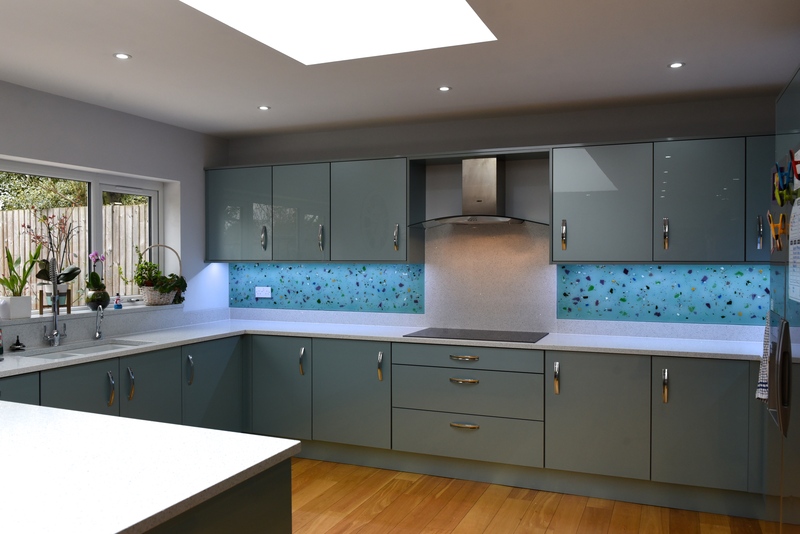 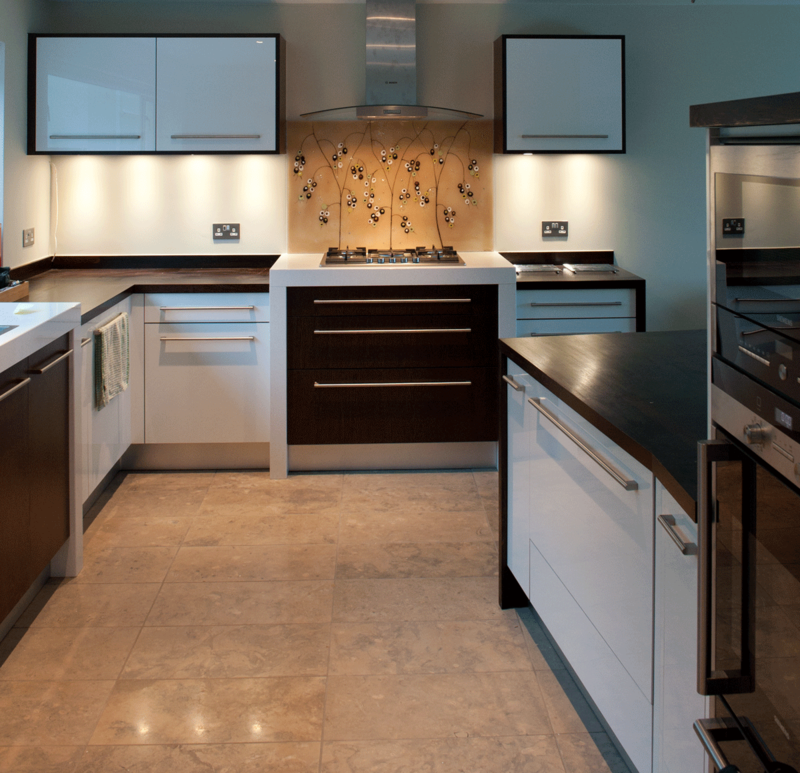 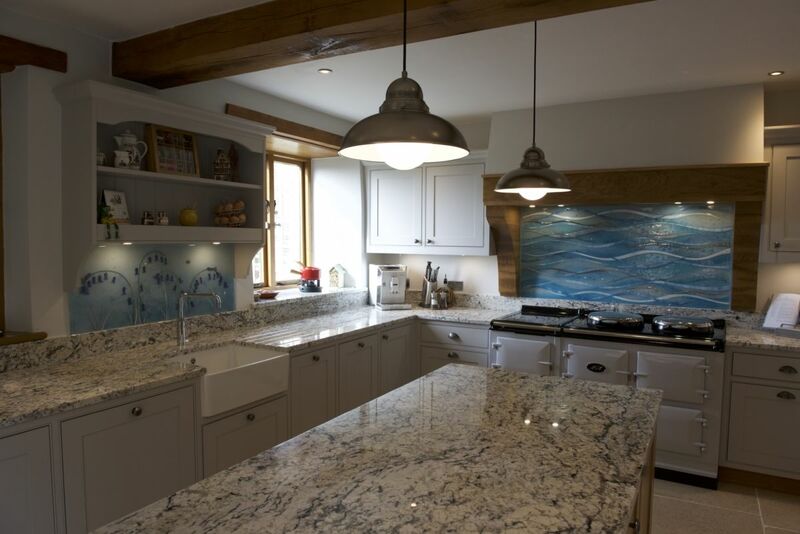 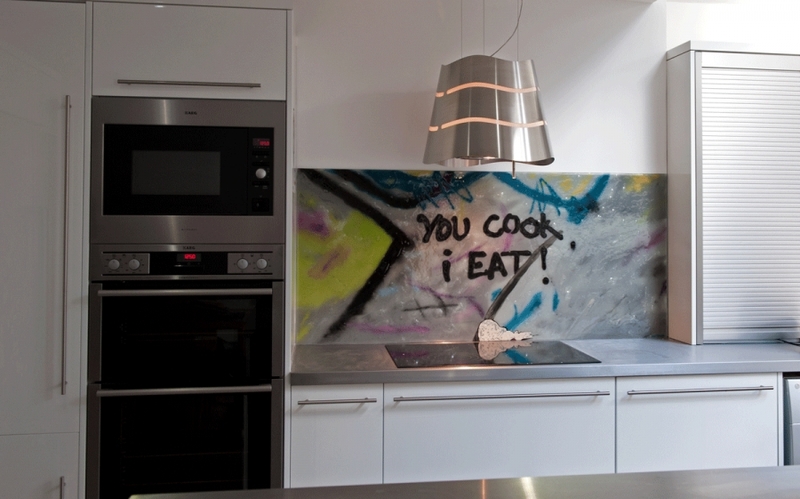 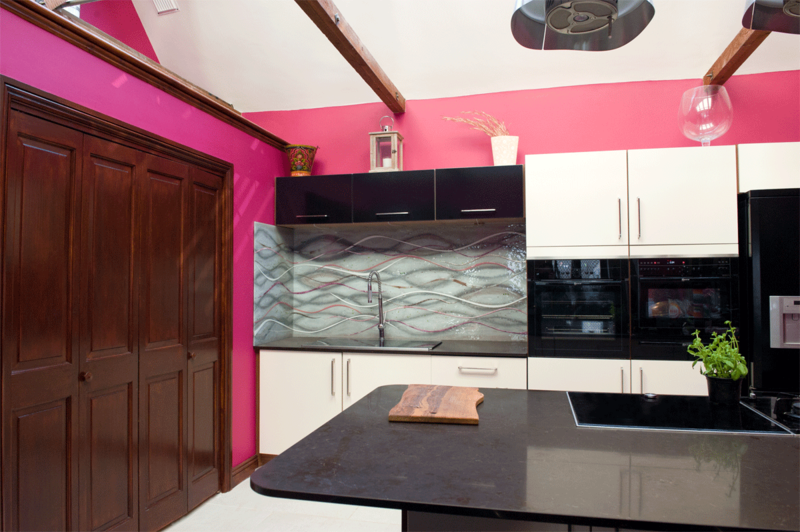 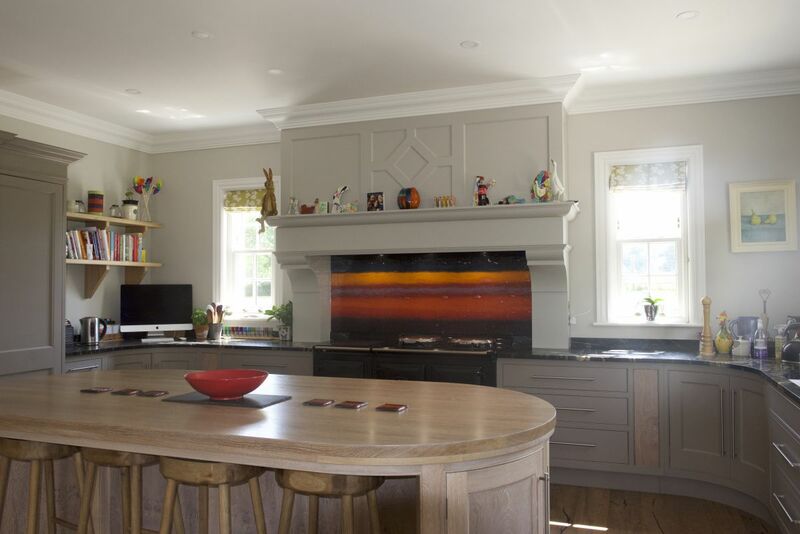 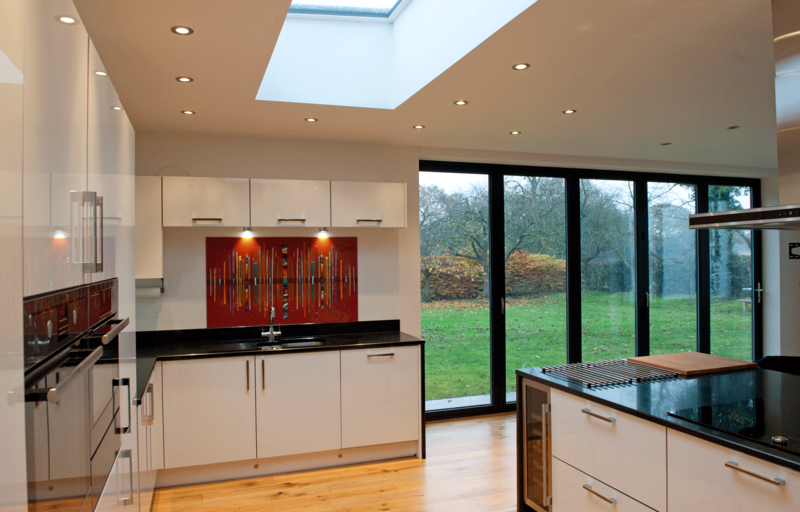 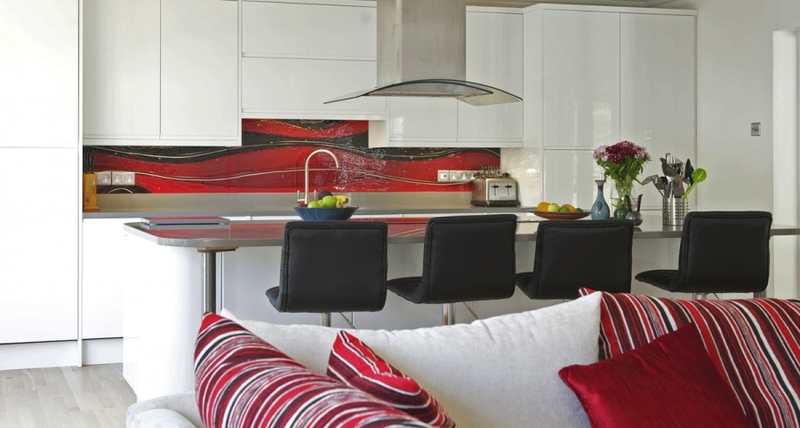 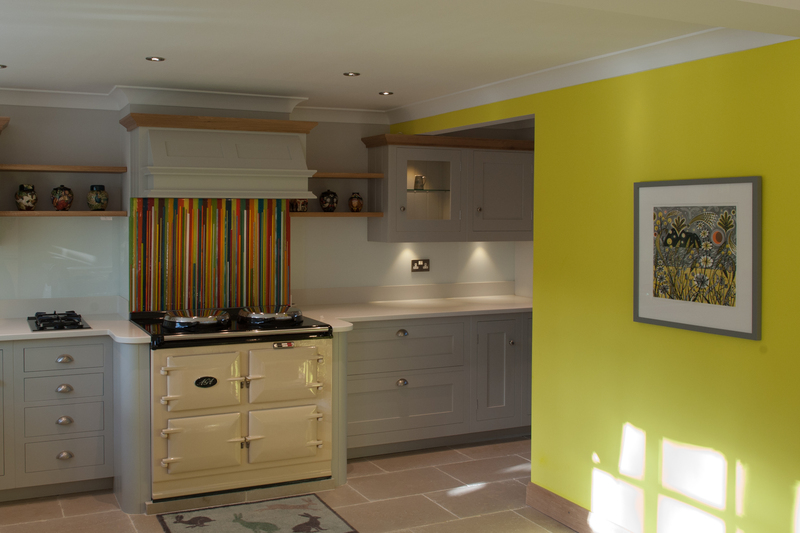 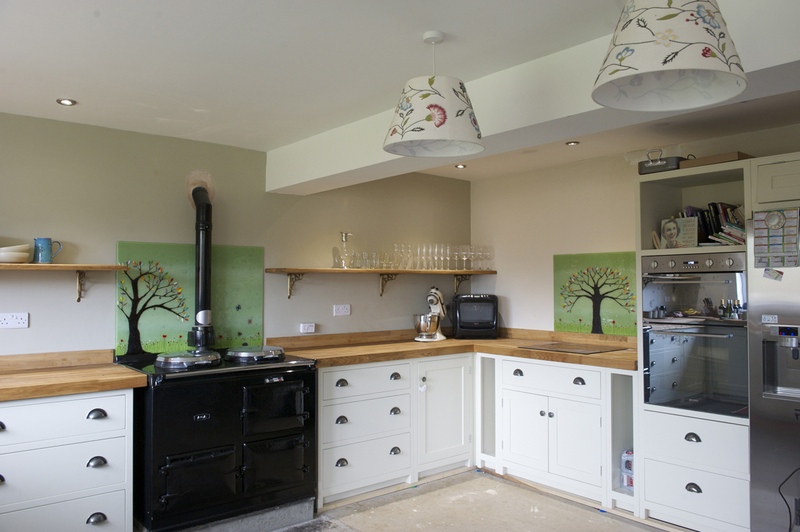 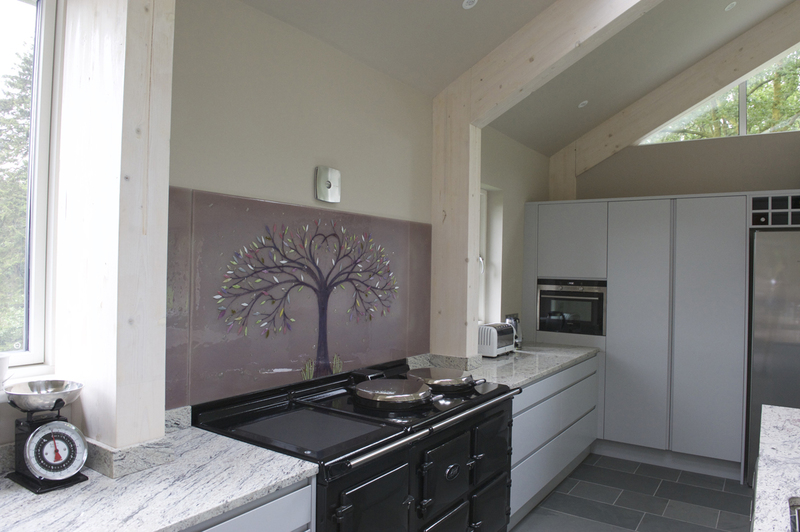 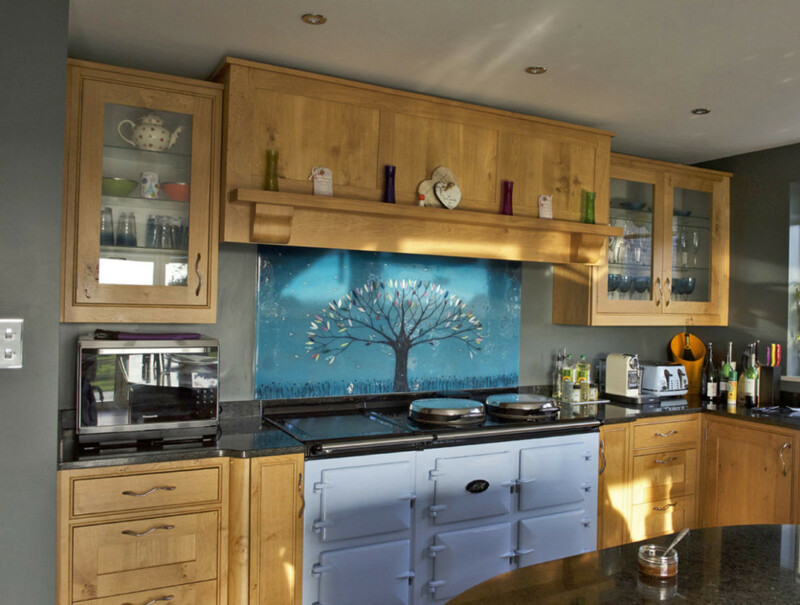 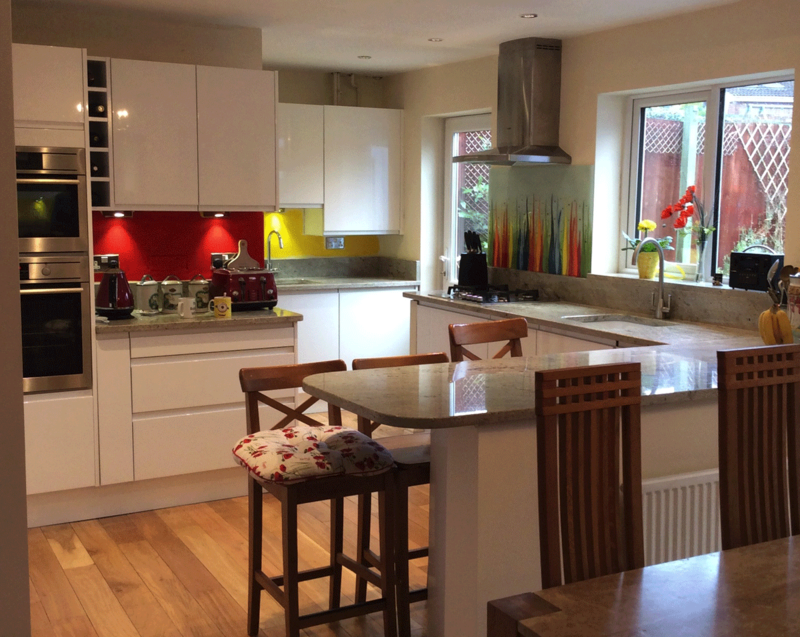 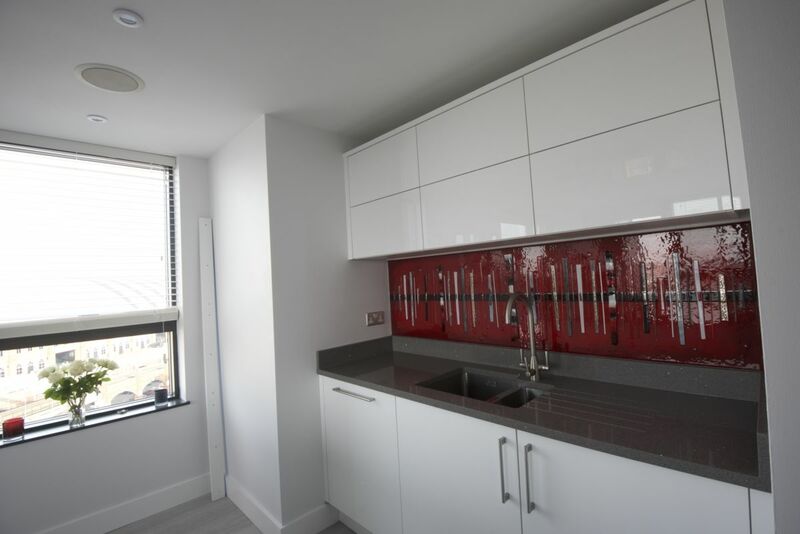 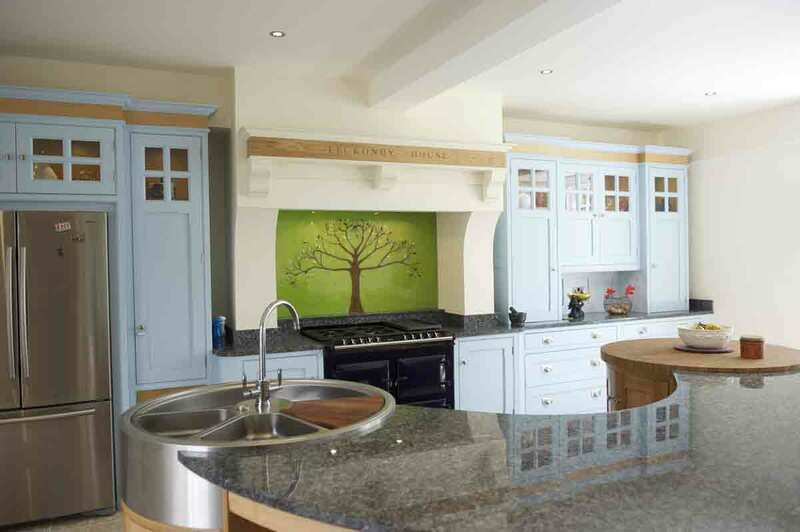 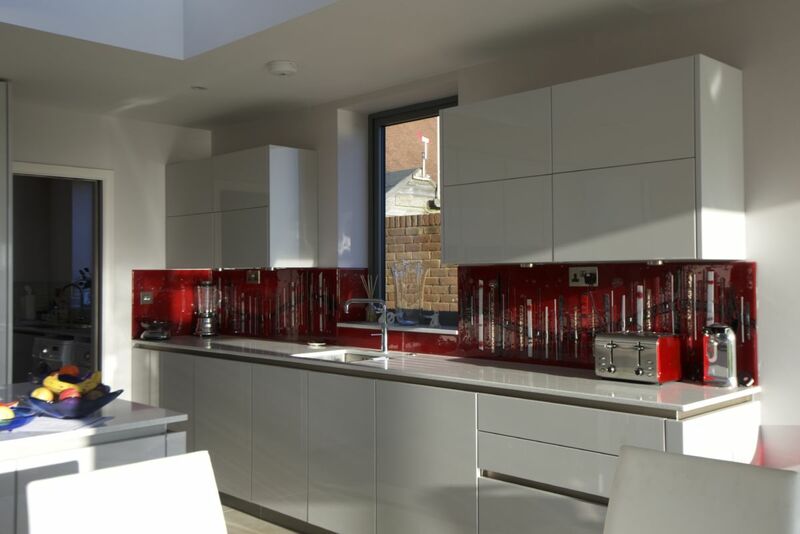 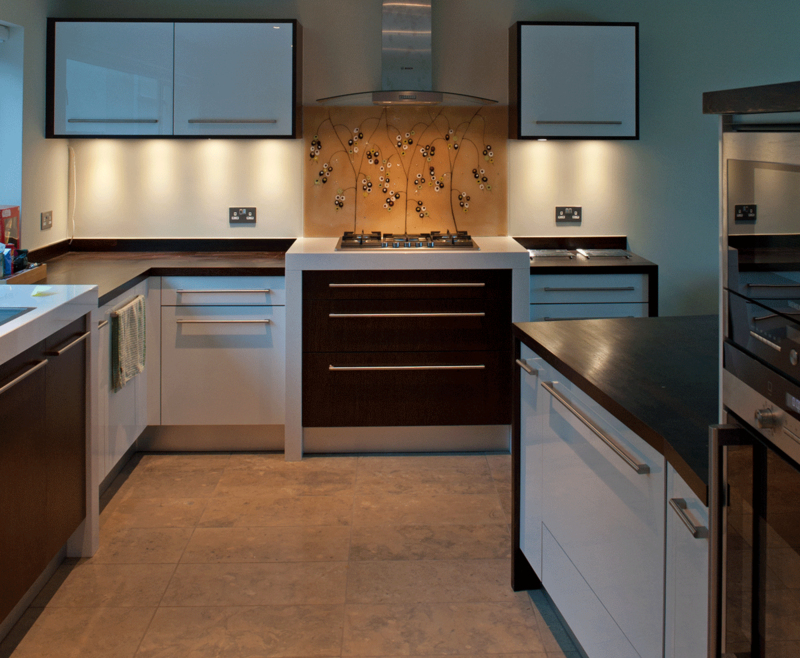 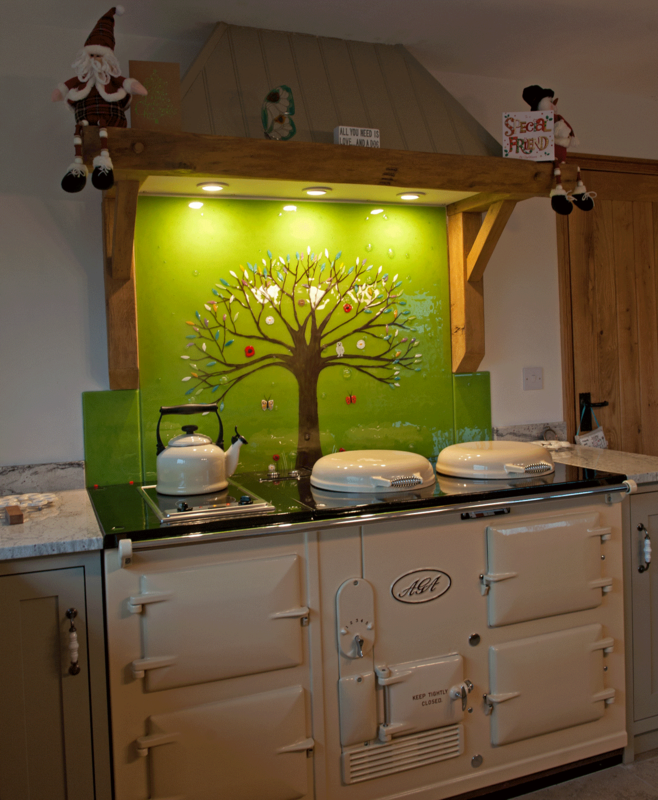 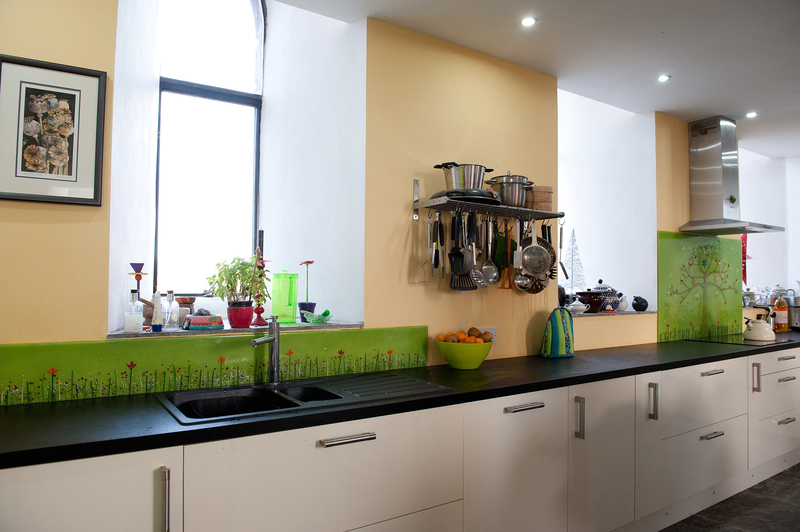 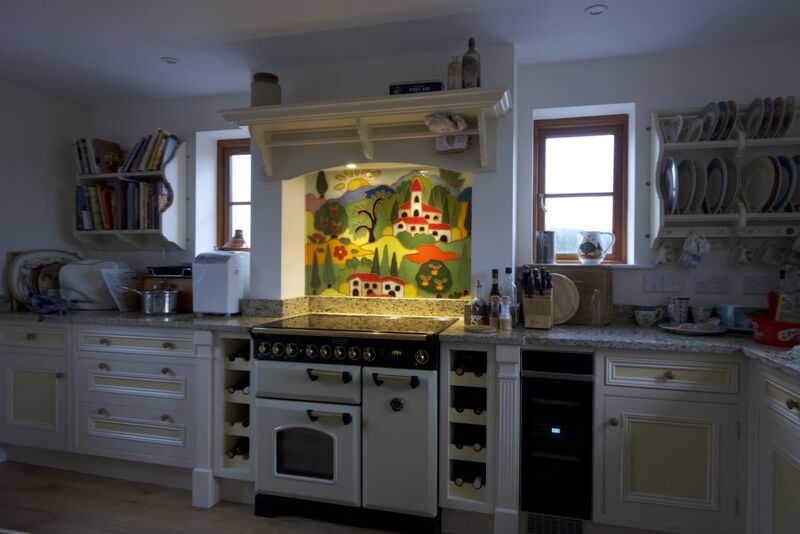 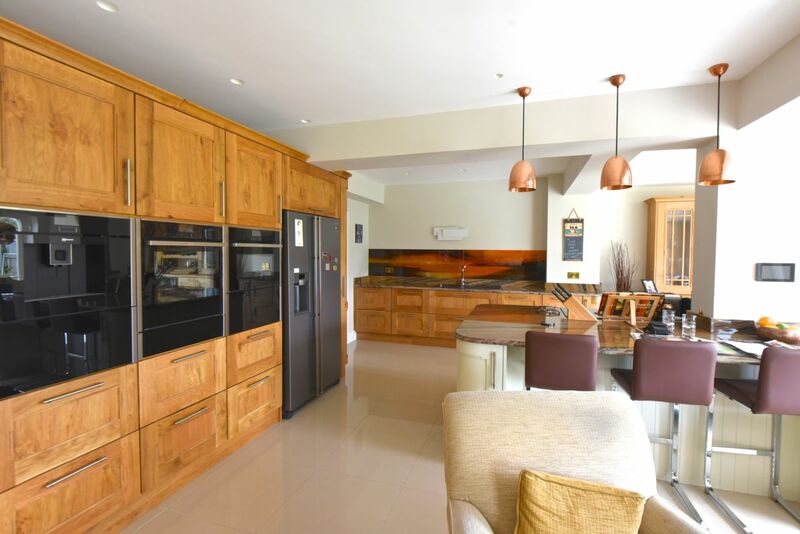 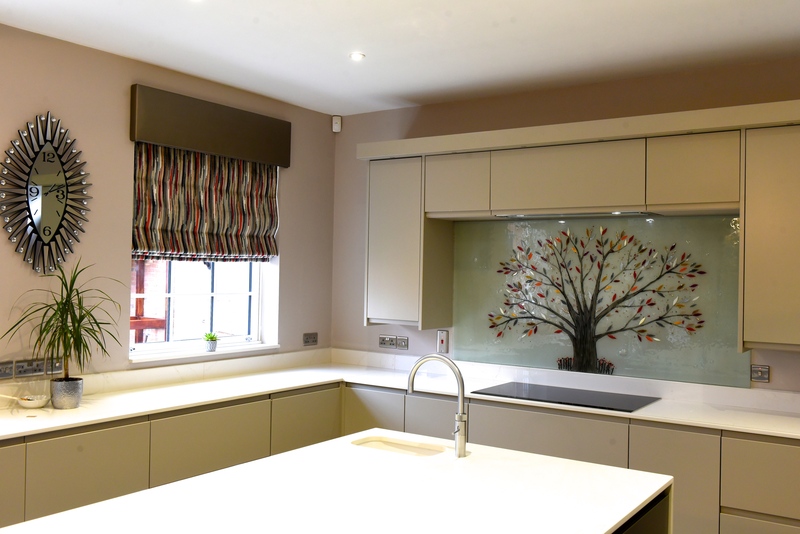 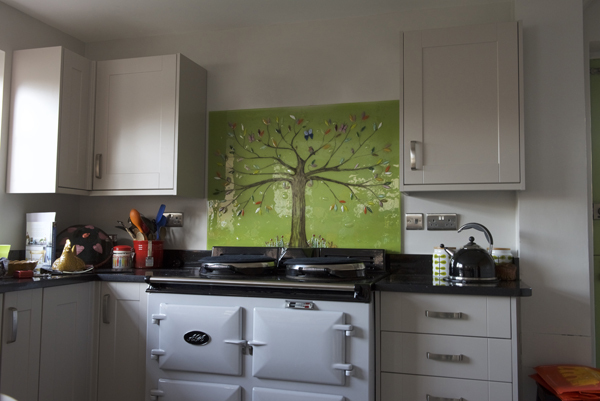 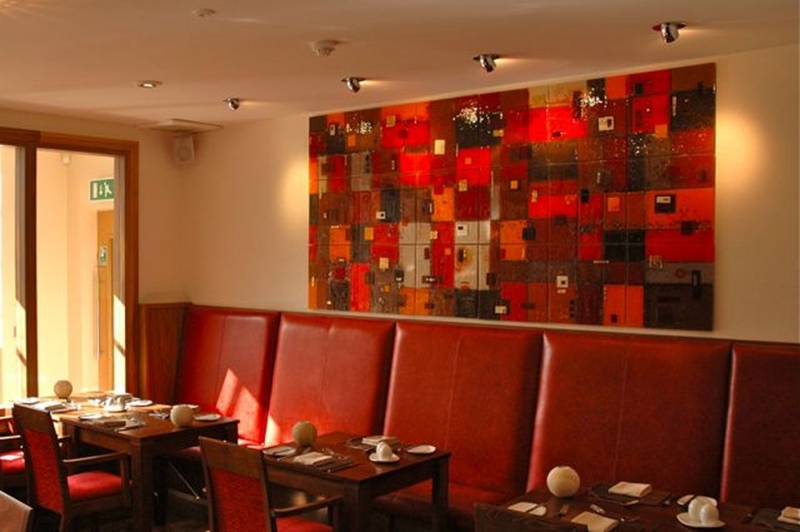 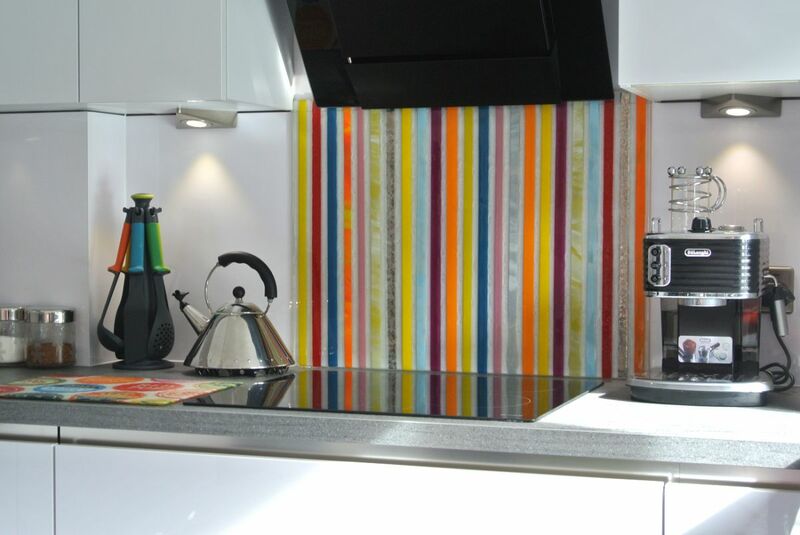 The details of the tree can really be seen at any time of the day, and we think that it definitely adds a lot of personality and colour to a kitchen that would otherwise have quite a neutral colour scheme.